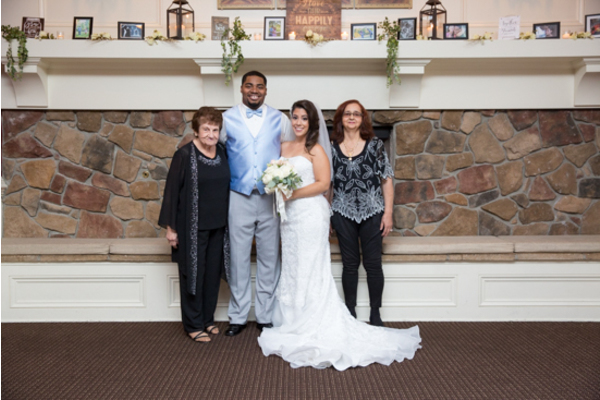 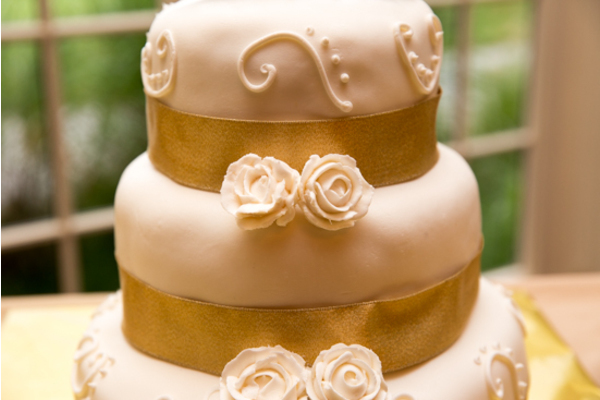 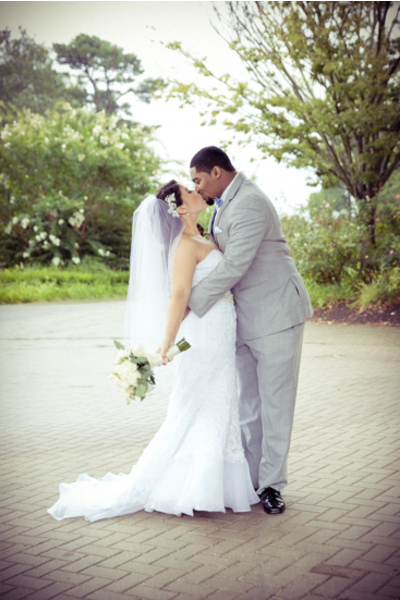 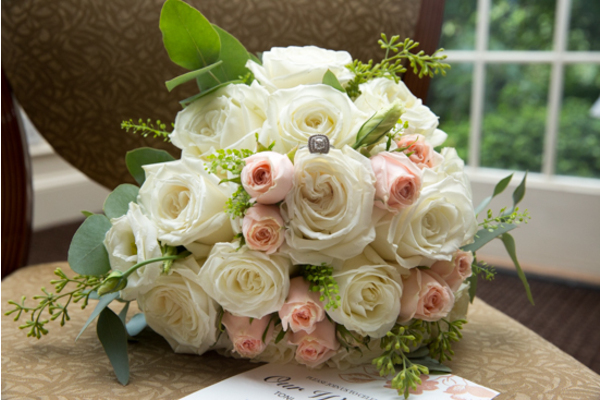 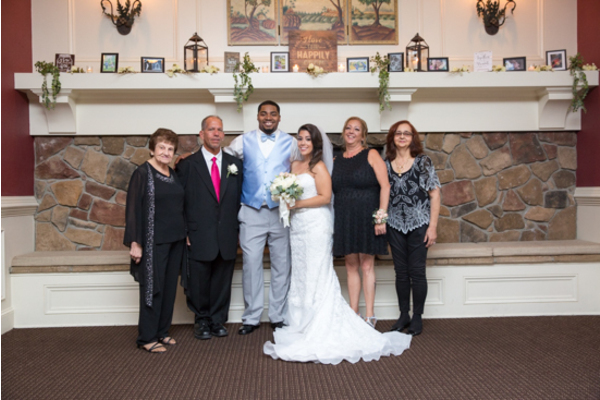 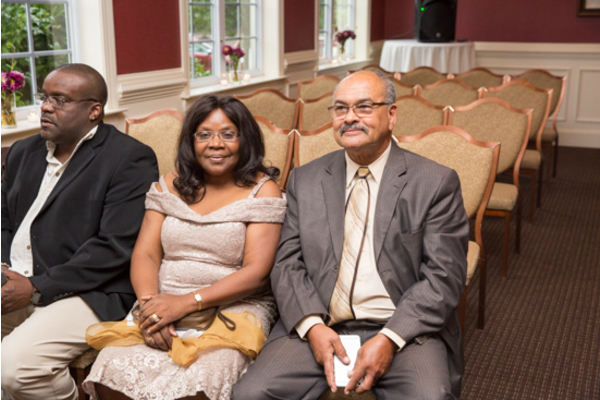 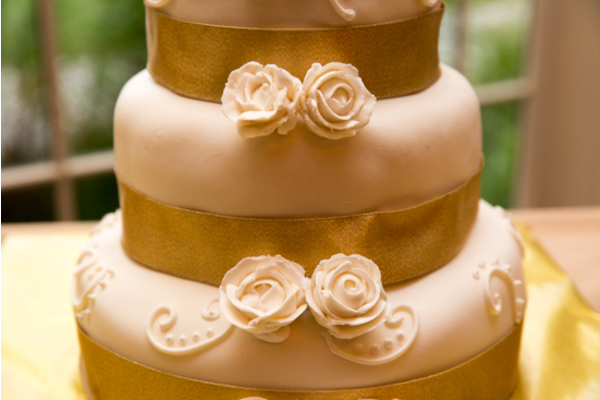 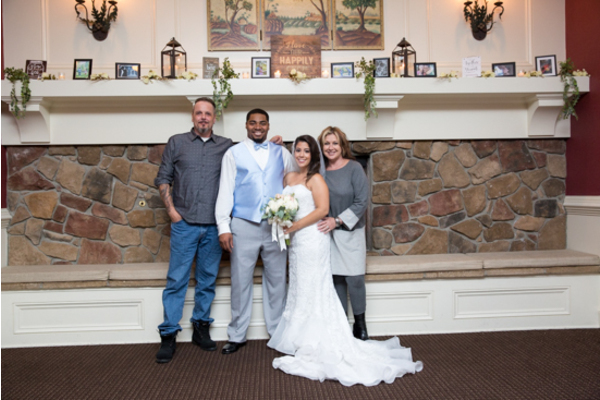 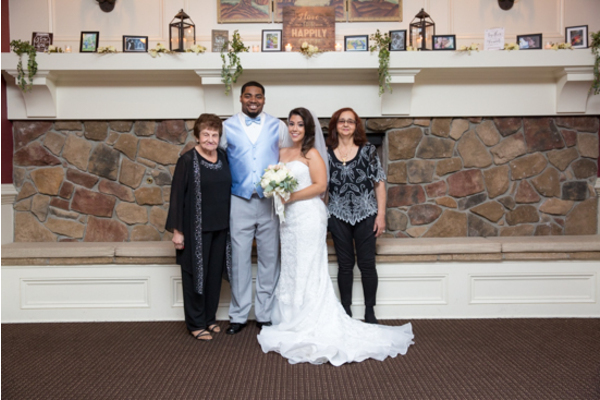 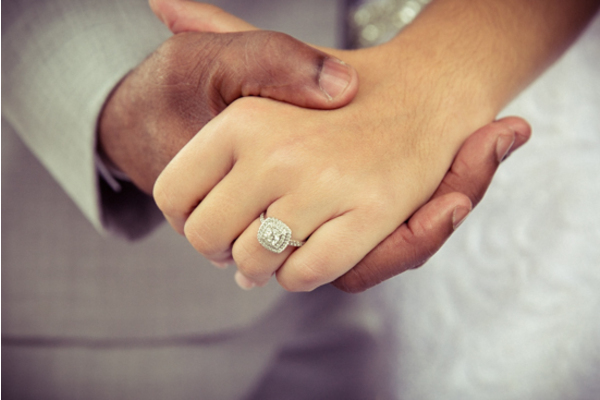 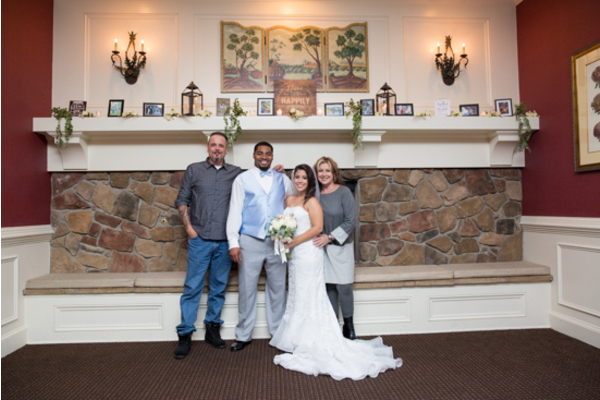 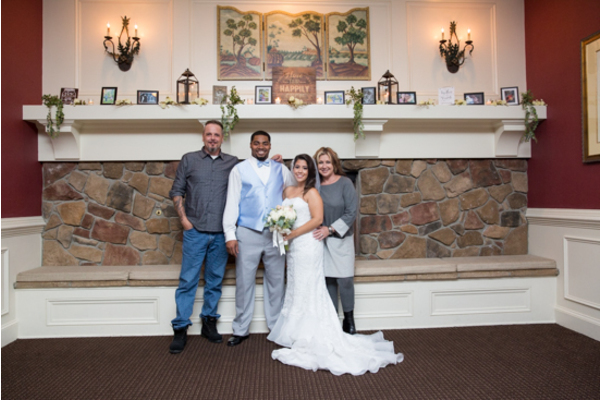 Congratulations to Toni Ann and Antonio on their recent marriage! 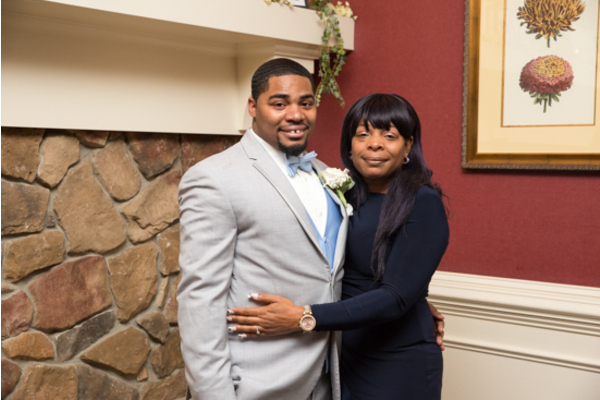 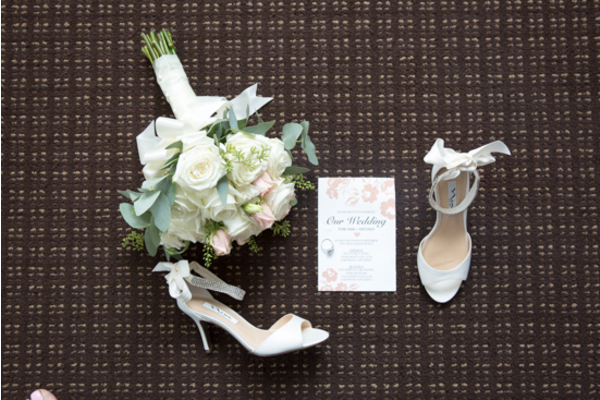 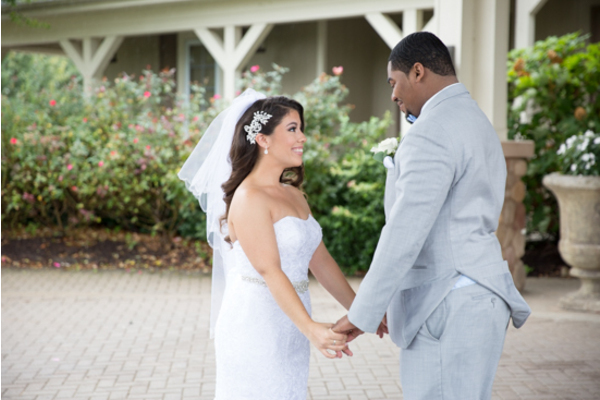 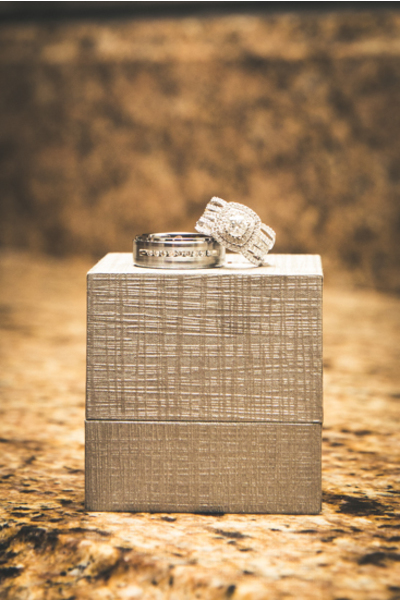 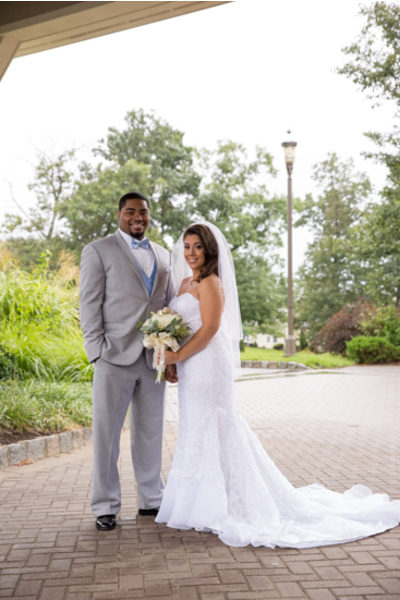 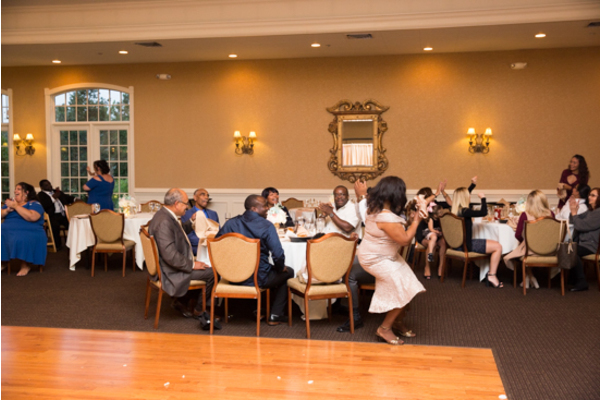 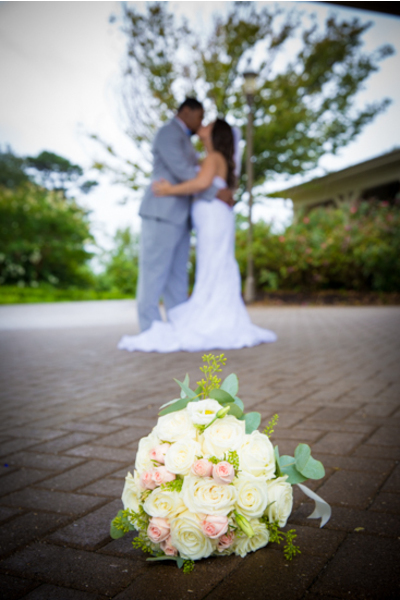 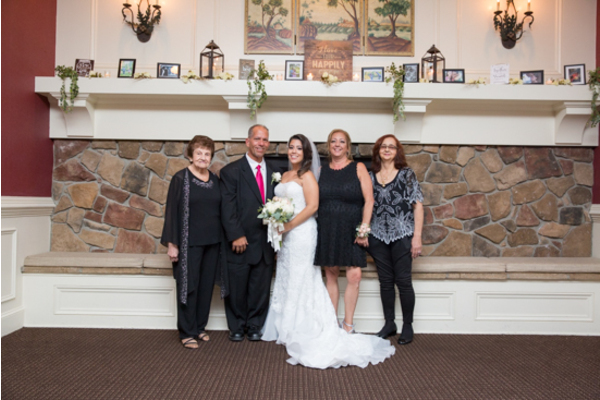 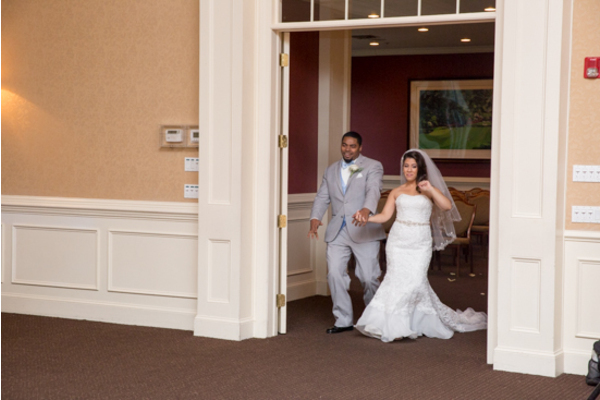 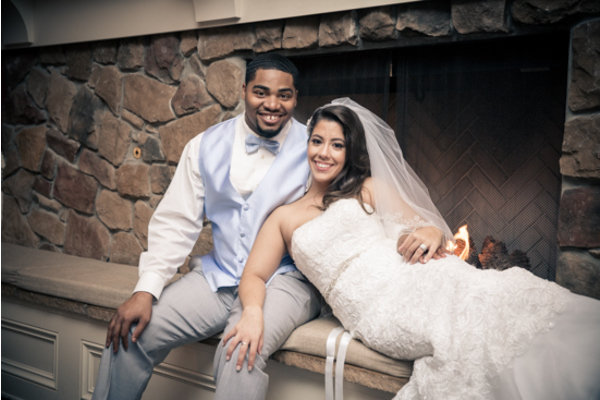 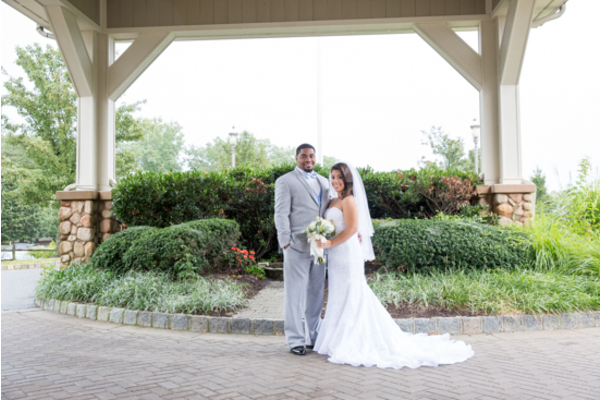 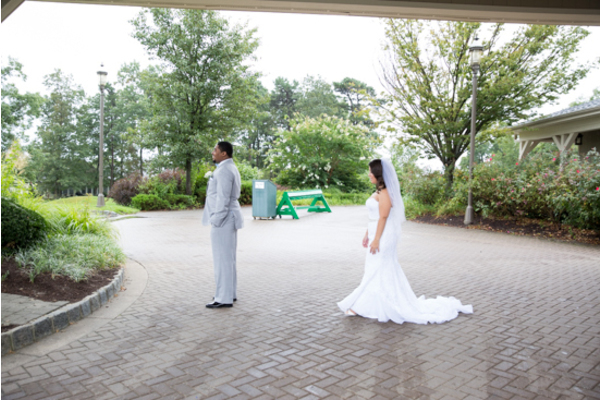 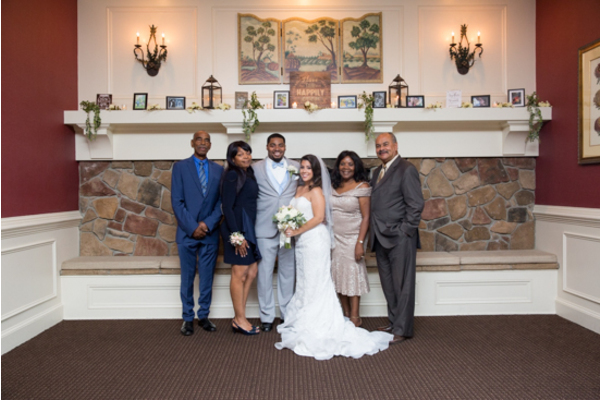 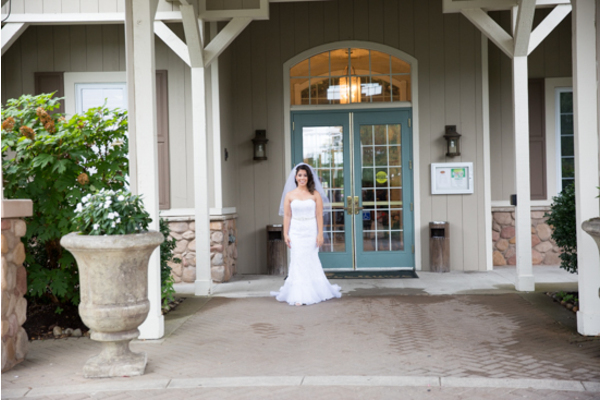 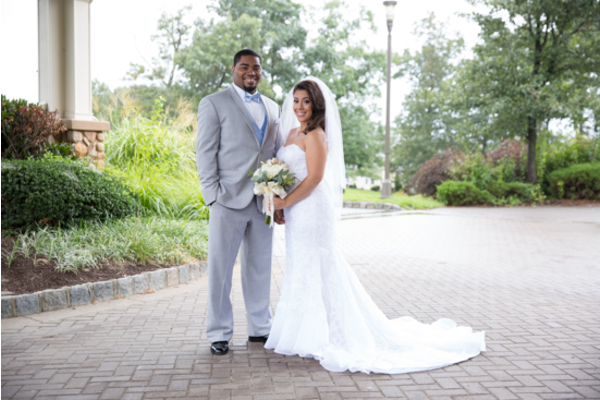 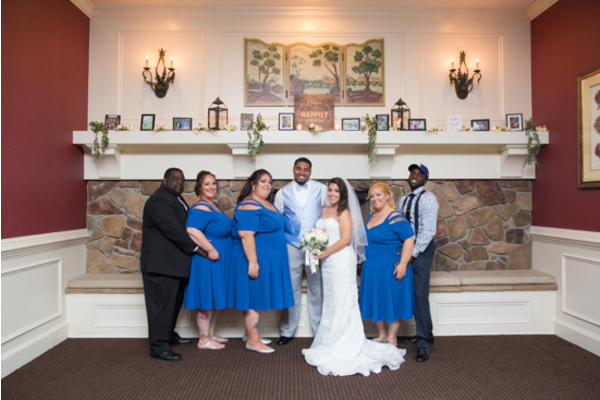 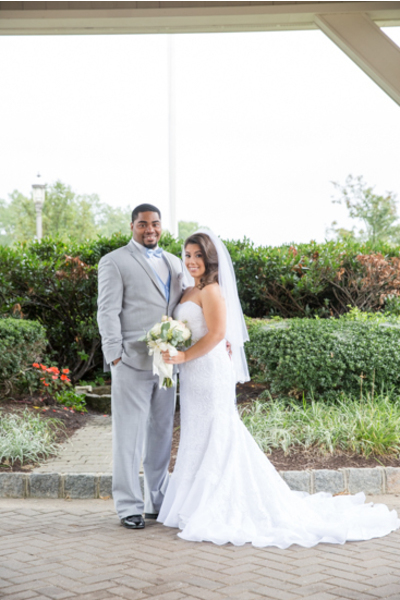 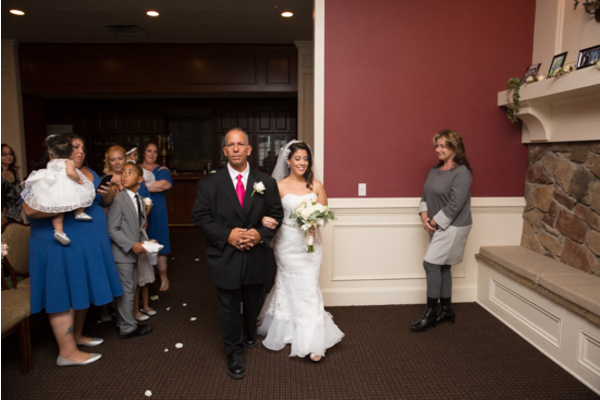 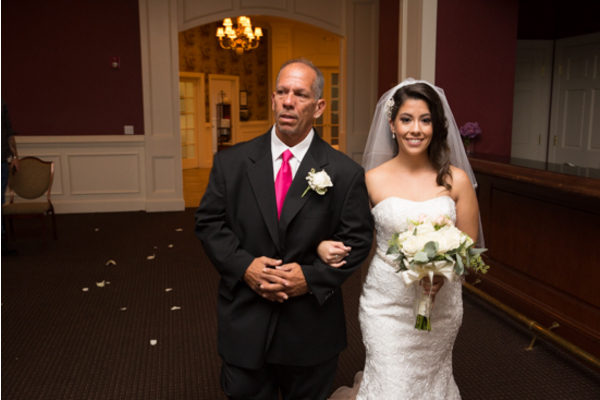 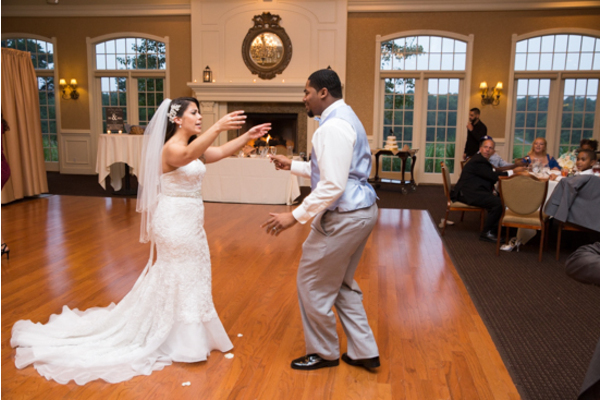 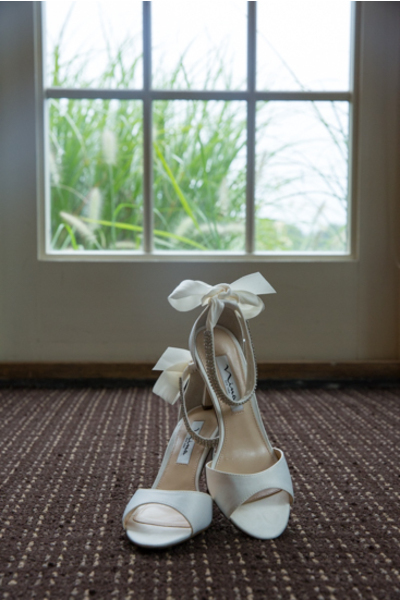 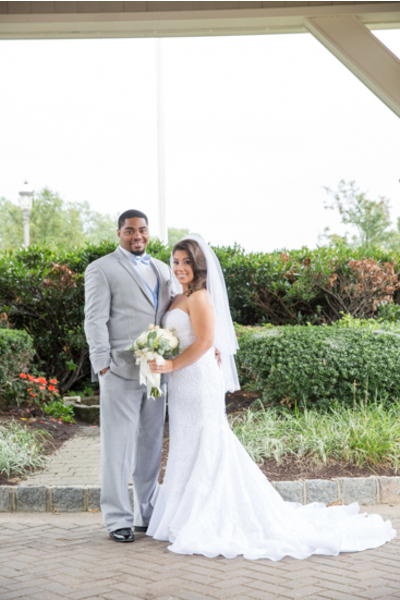 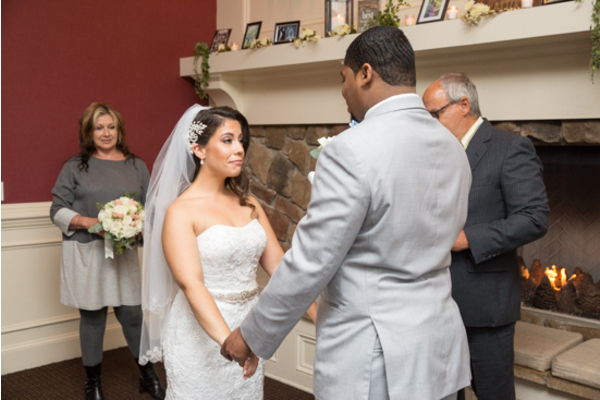 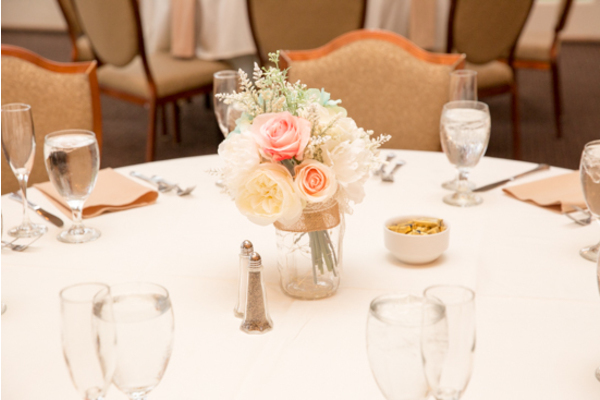 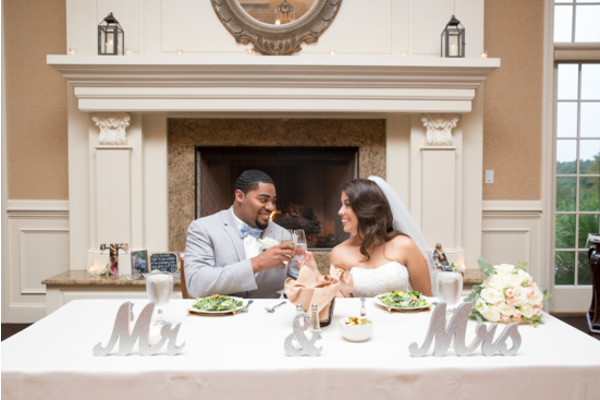 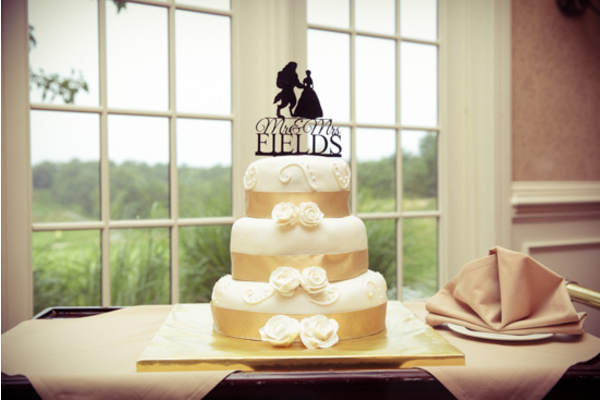 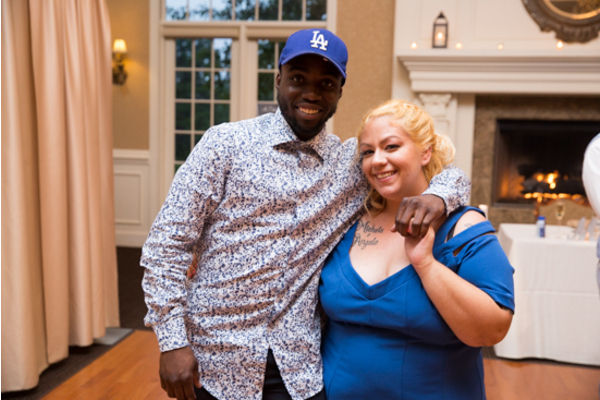 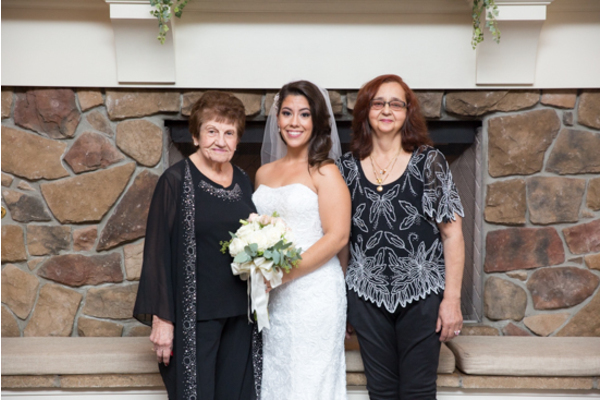 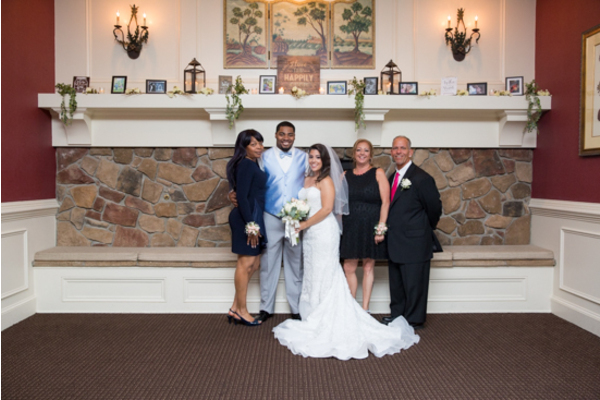 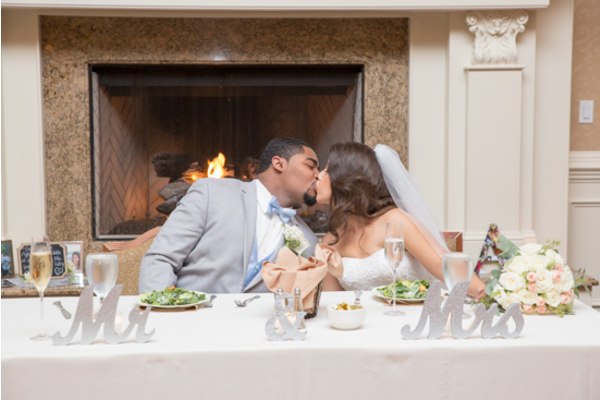 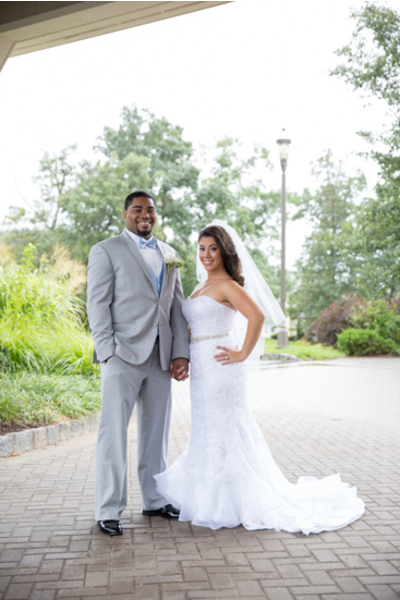 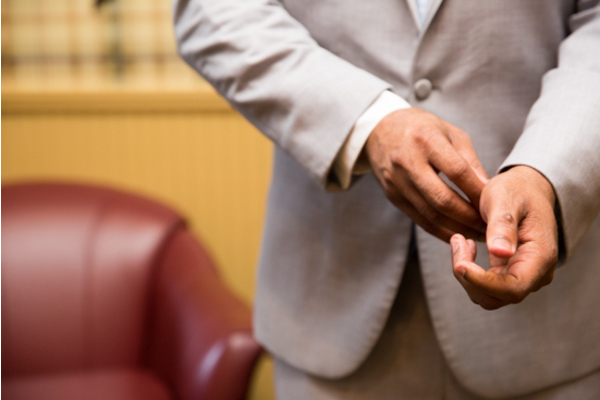 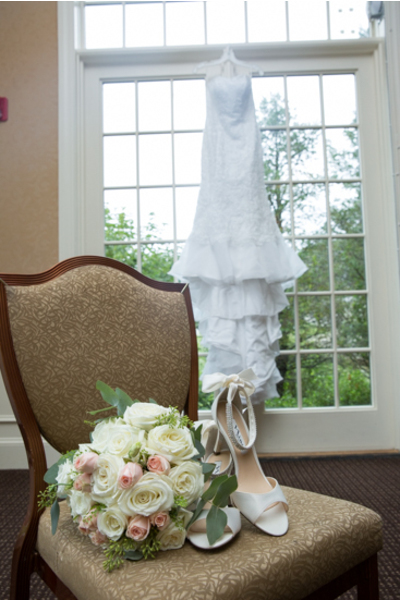 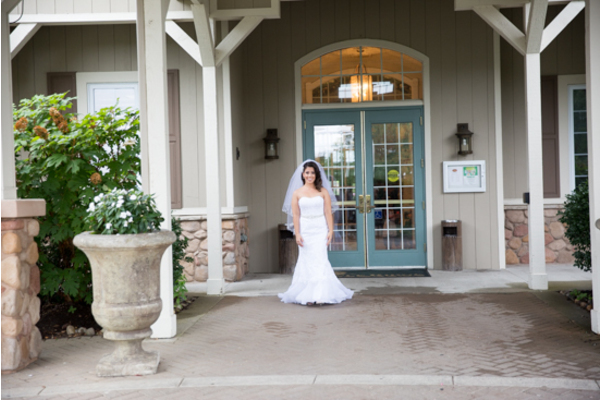 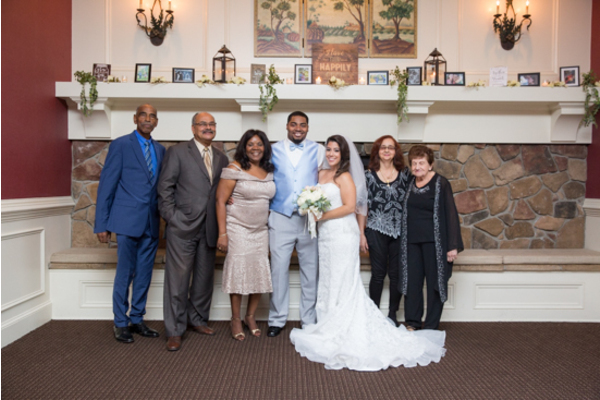 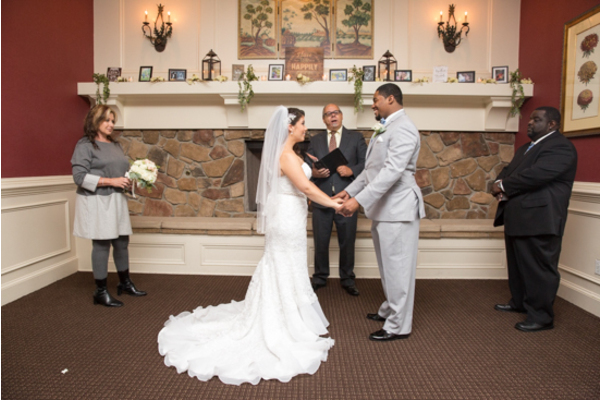 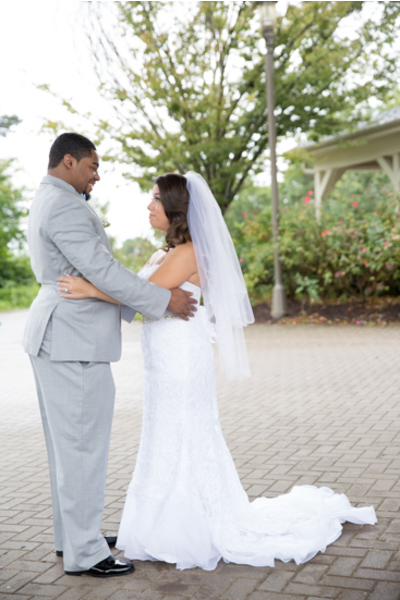 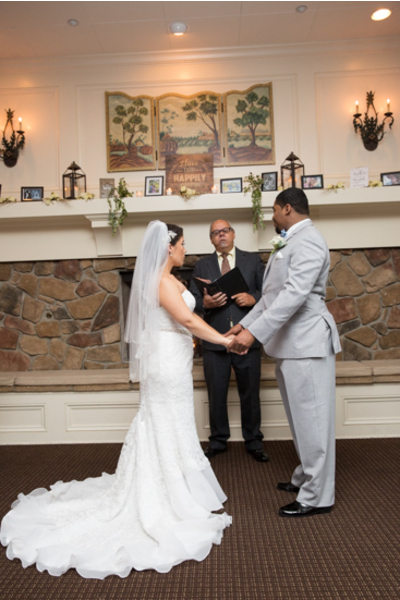 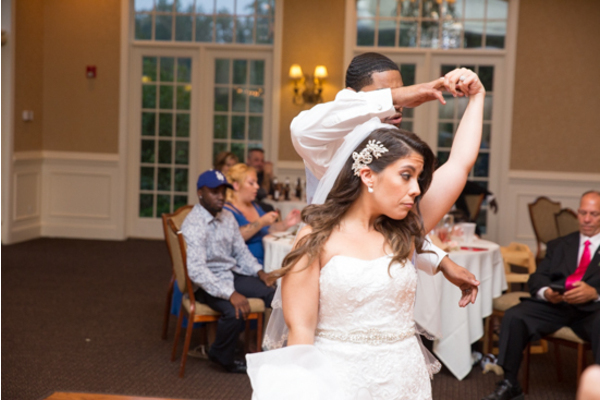 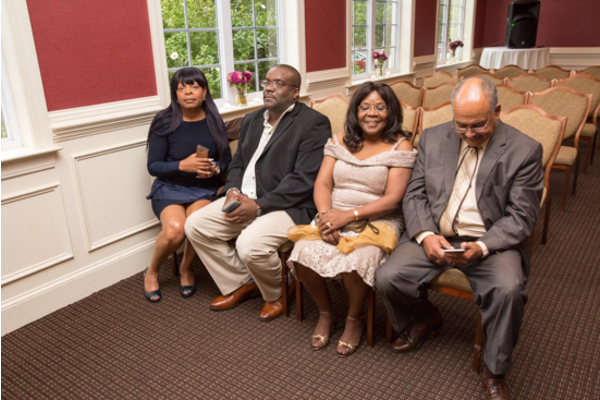 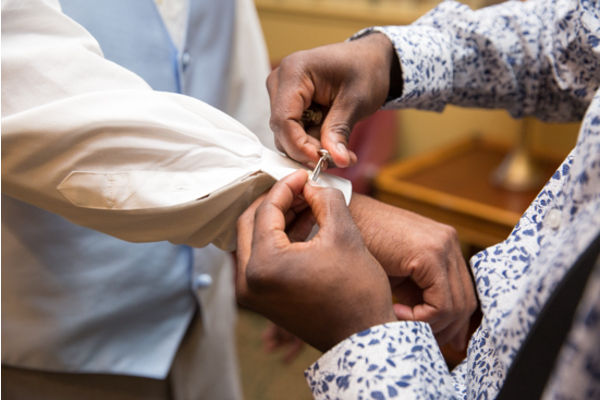 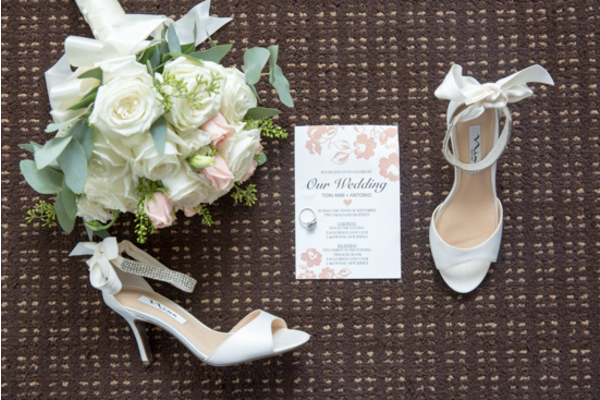 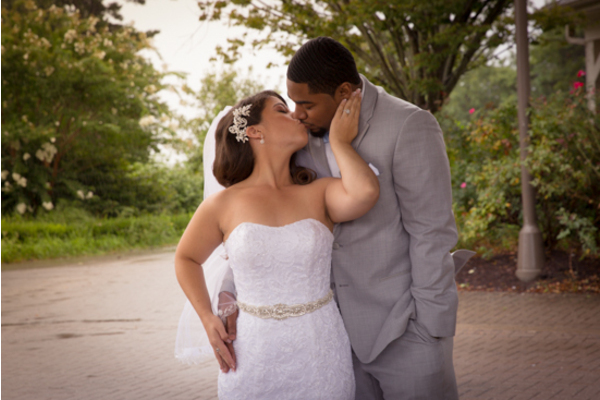 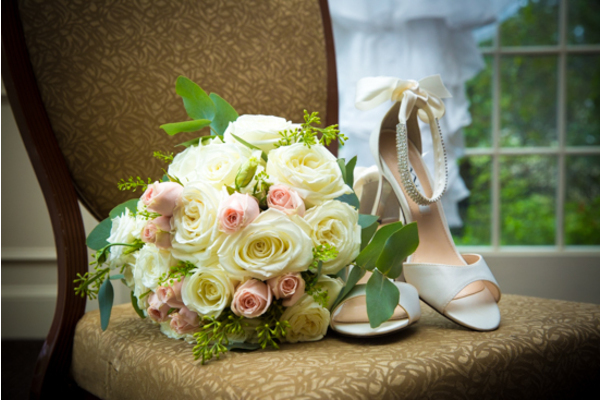 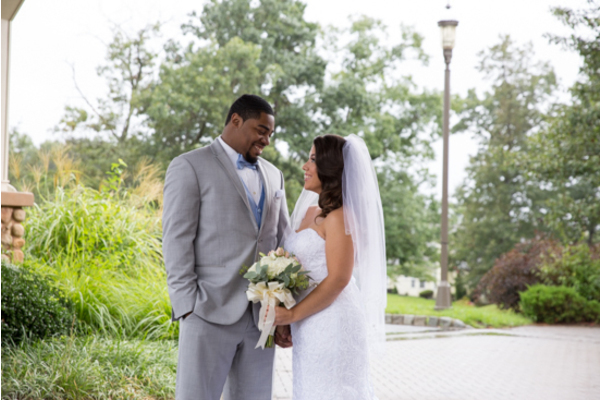 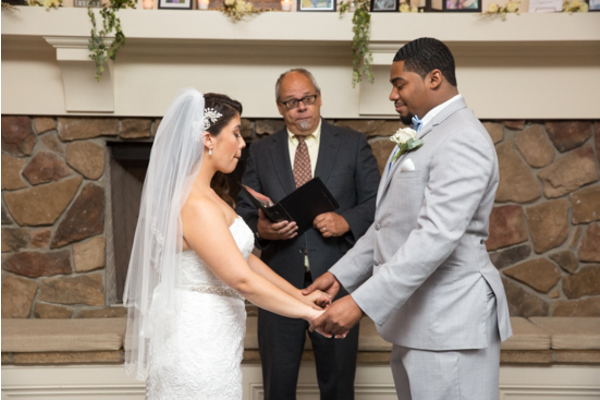 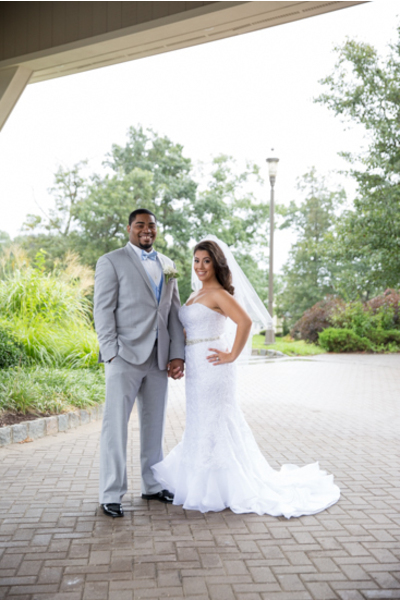 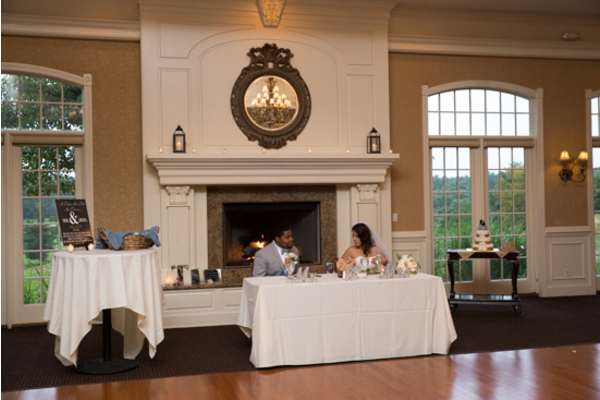 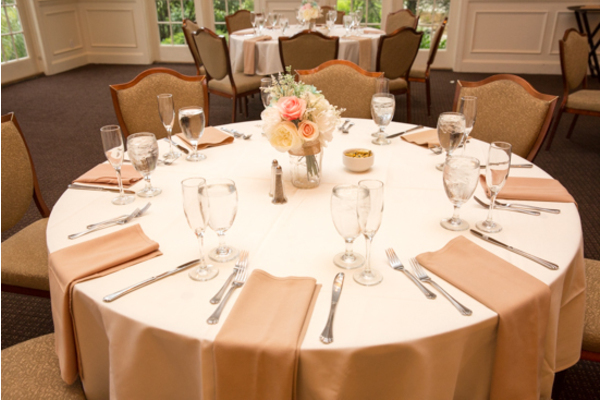 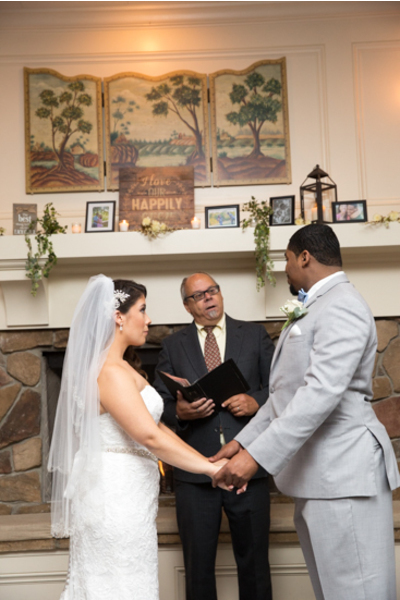 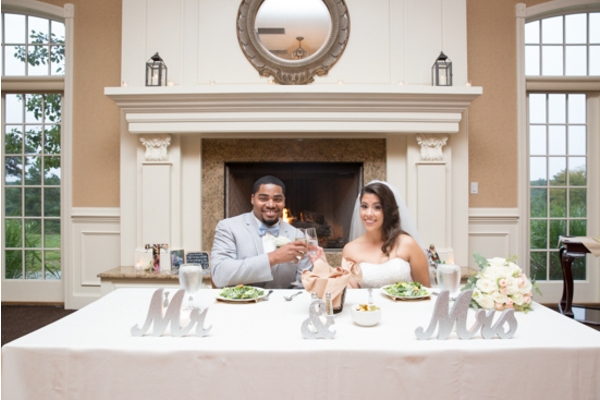 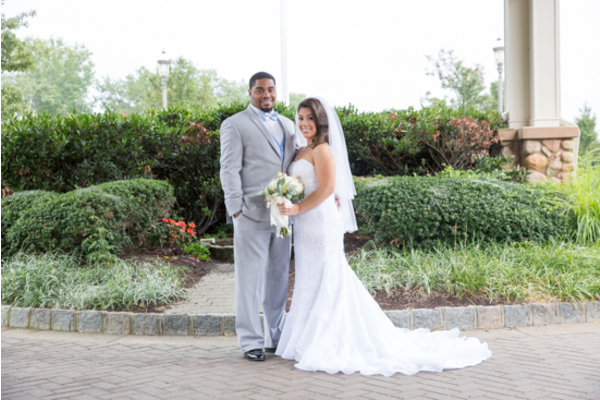 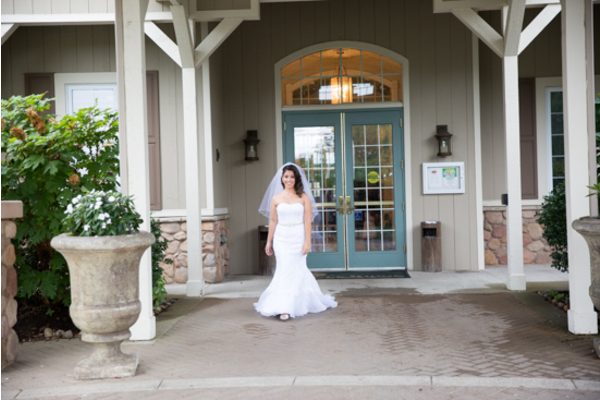 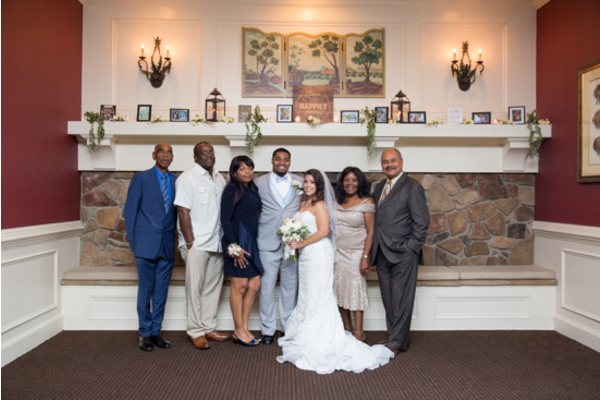 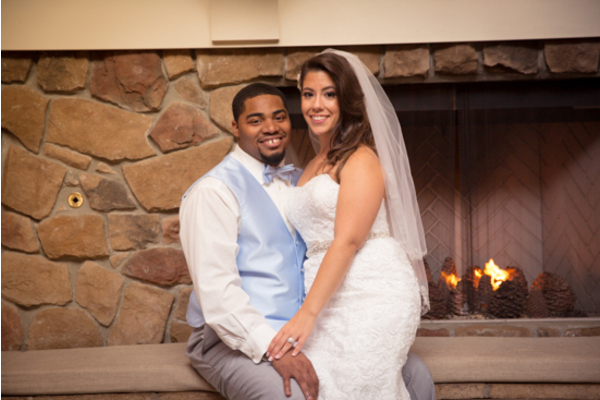 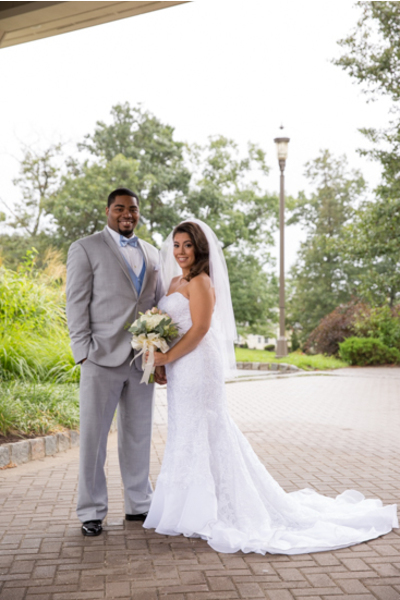 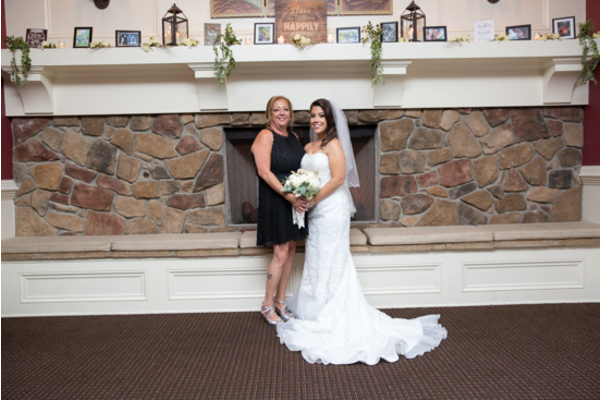 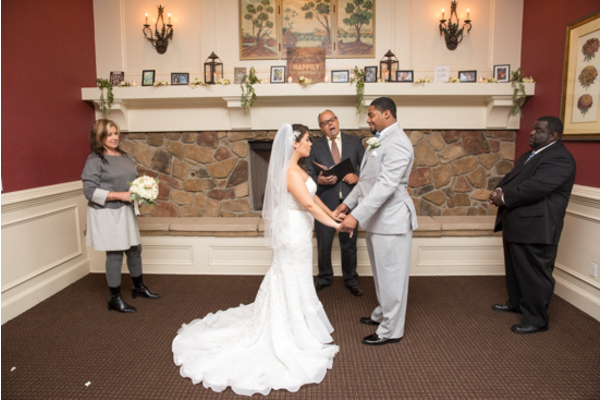 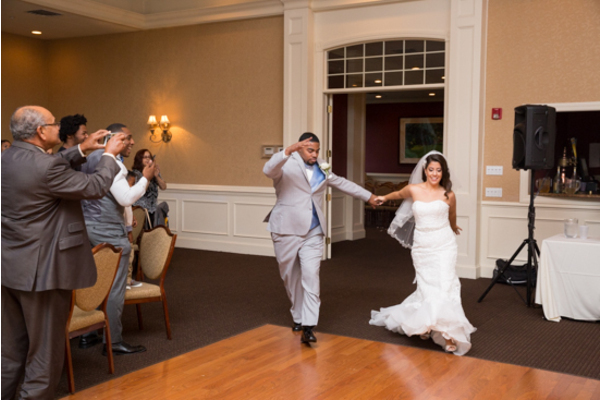 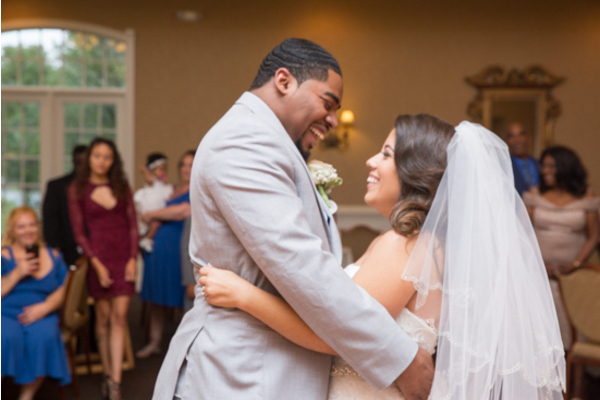 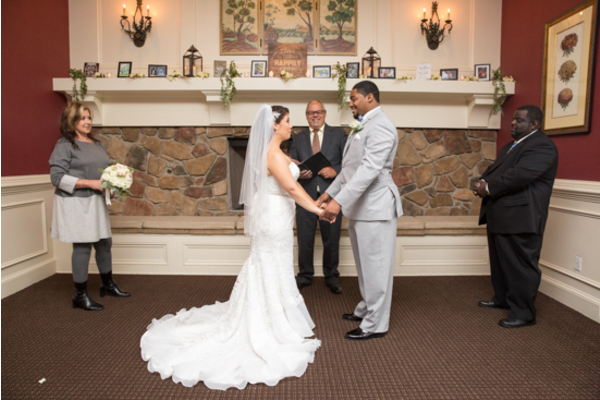 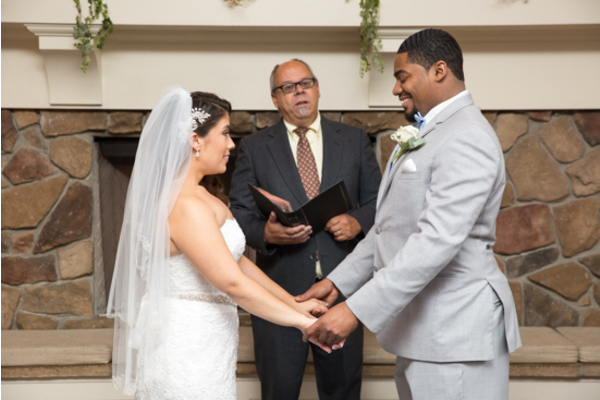 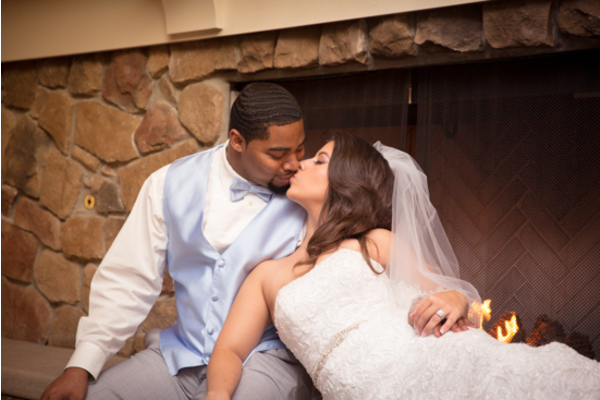 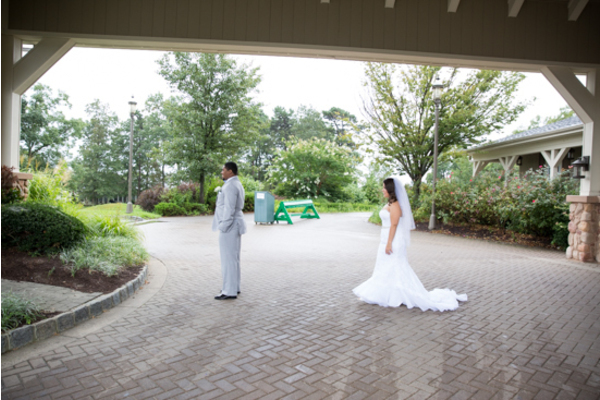 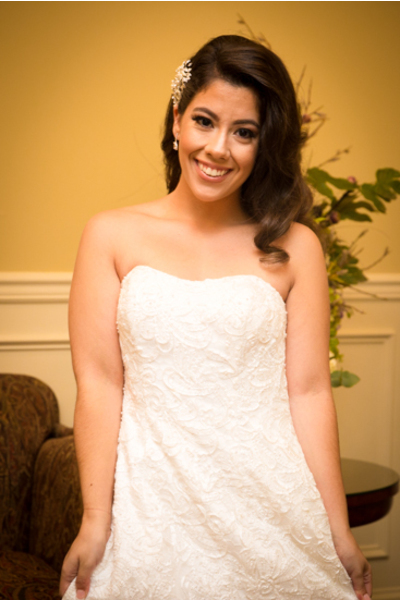 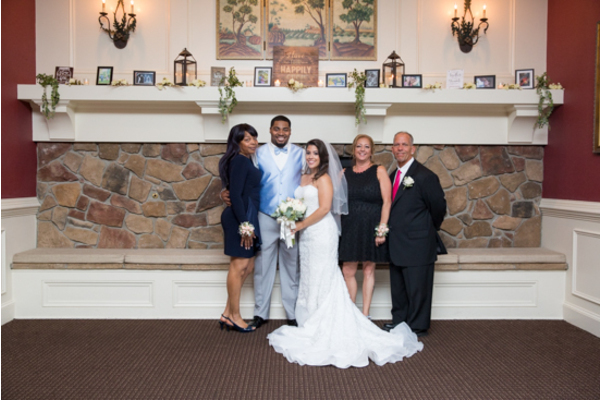 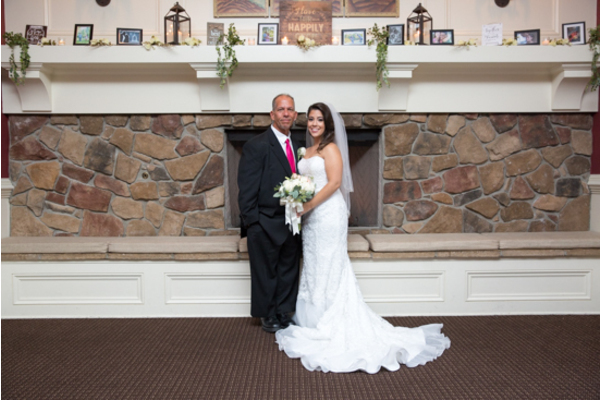 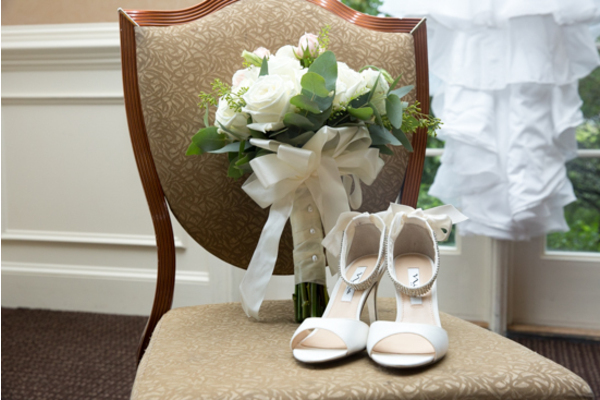 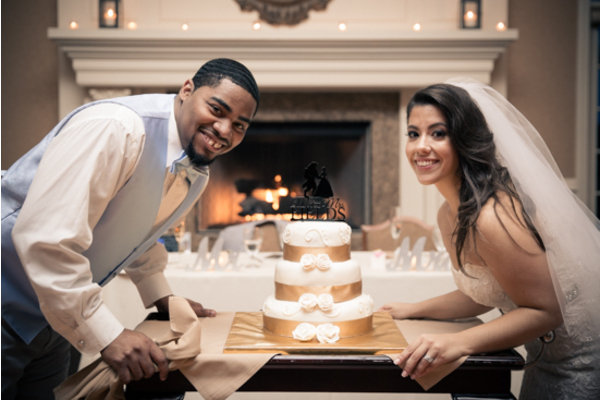 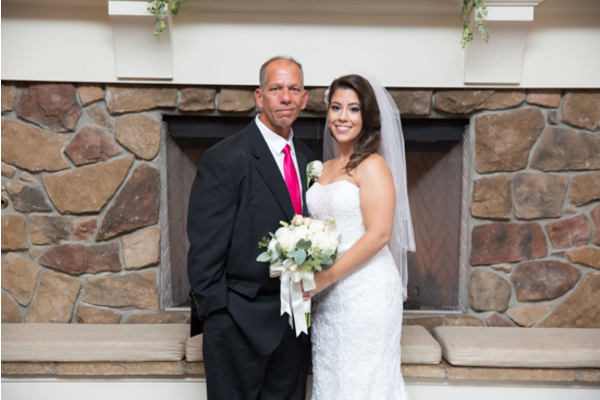 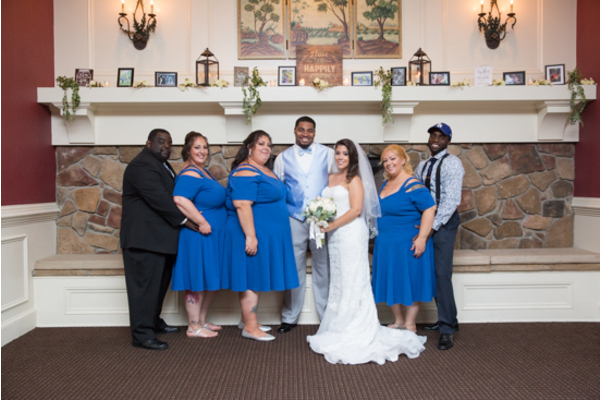 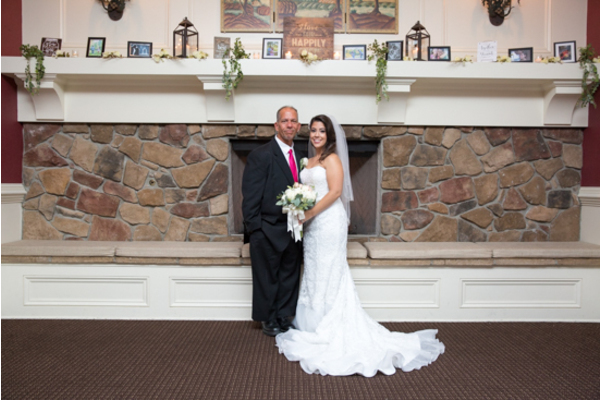 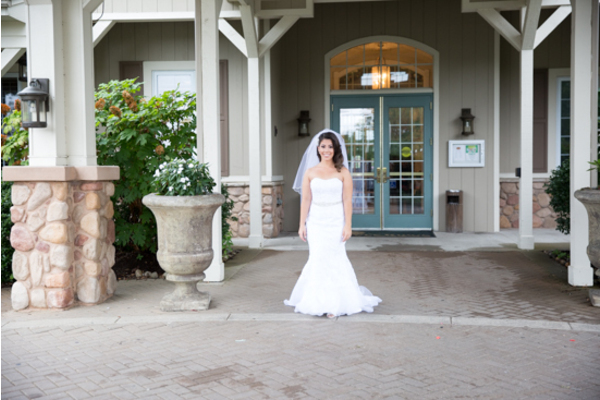 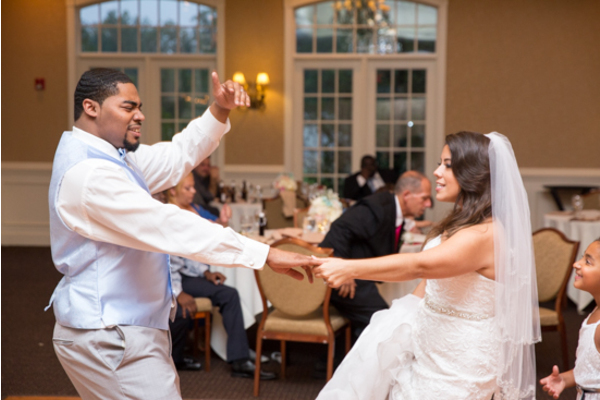 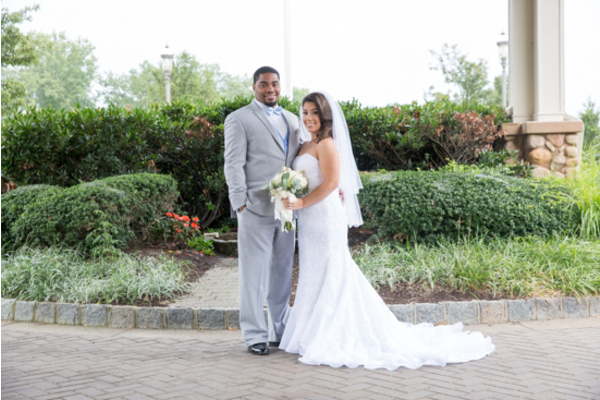 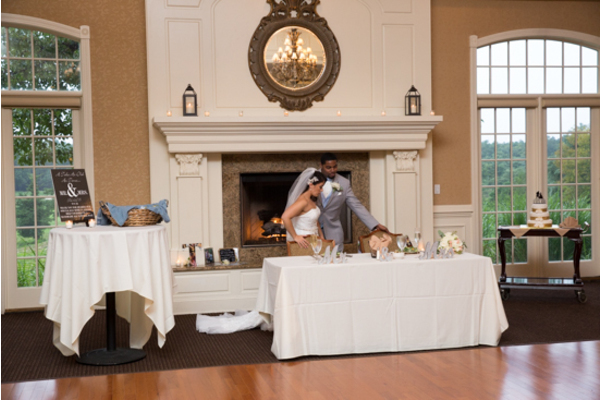 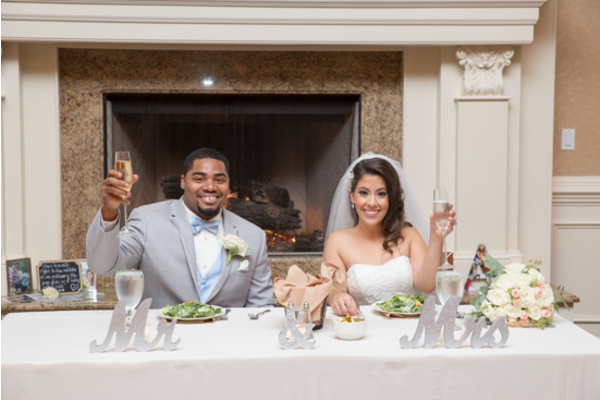 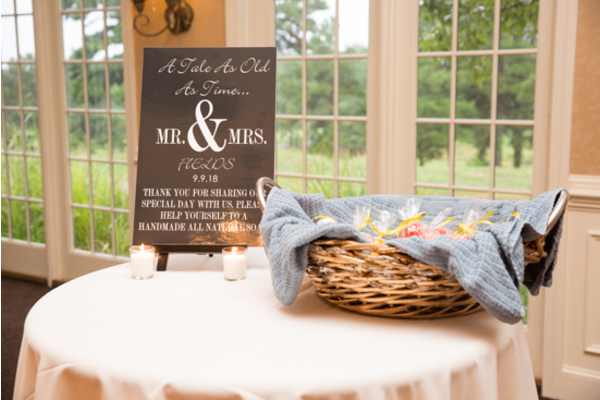 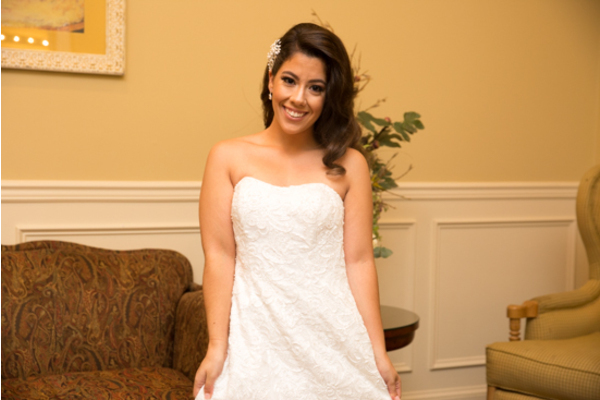 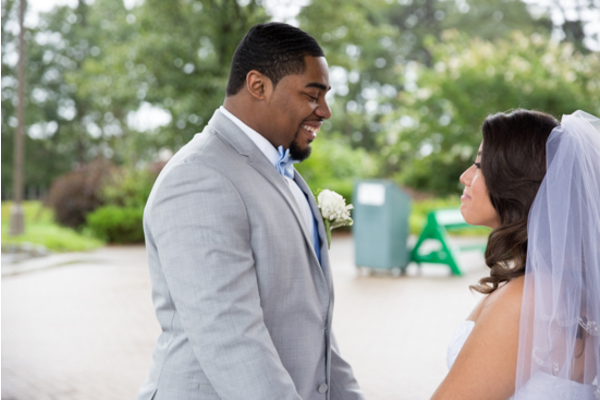 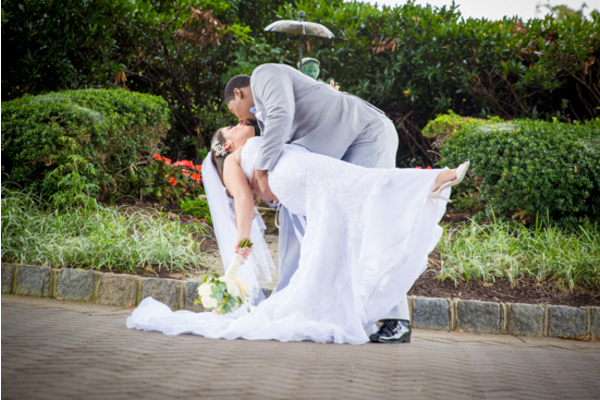 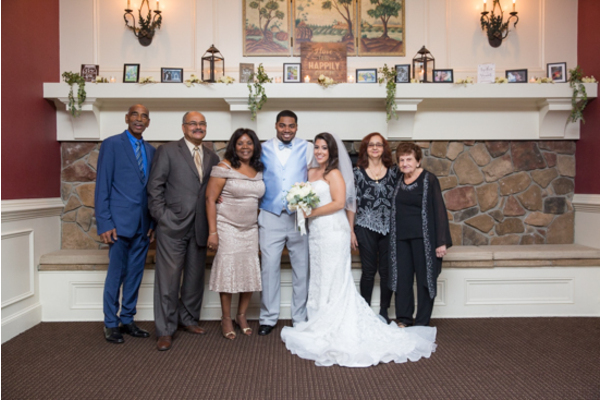 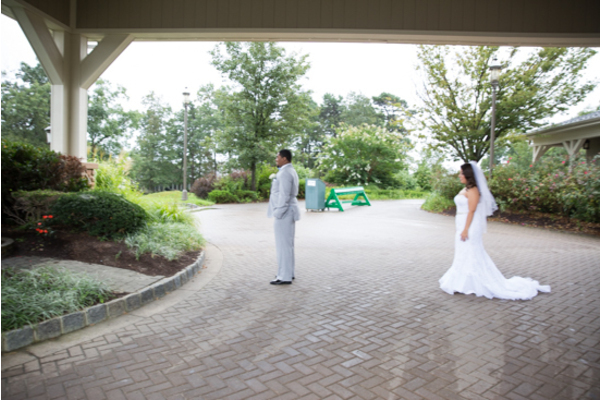 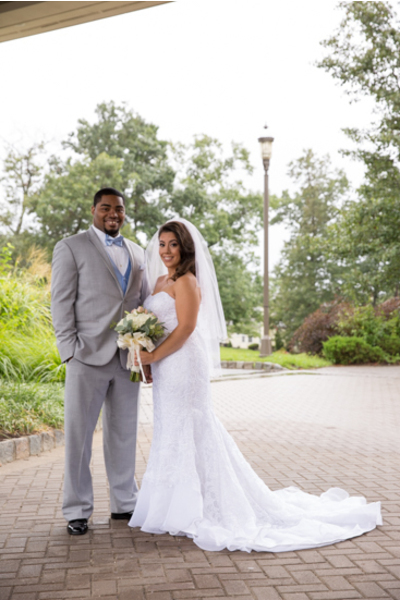 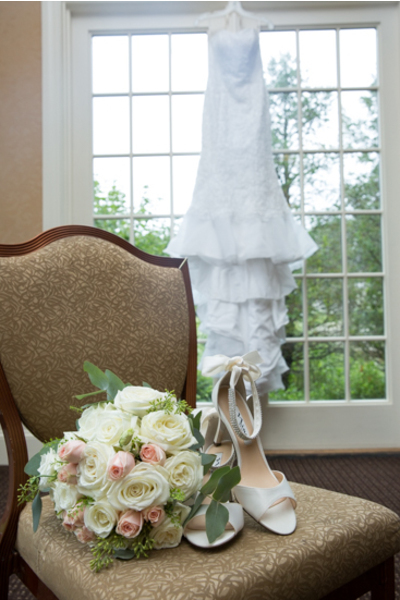 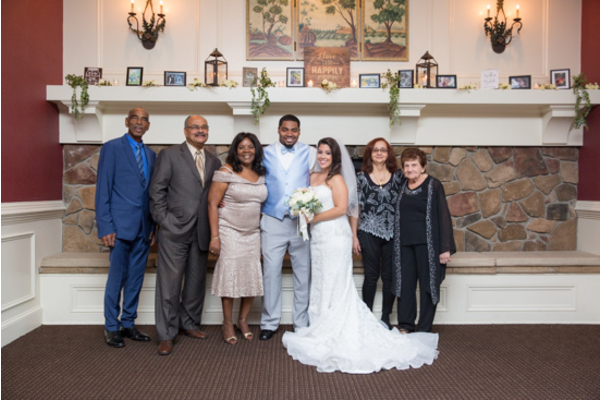 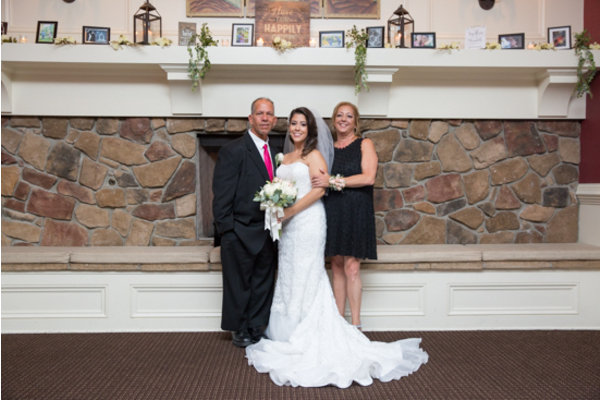 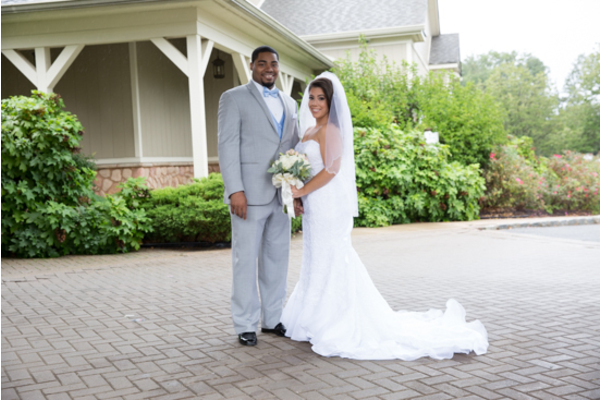 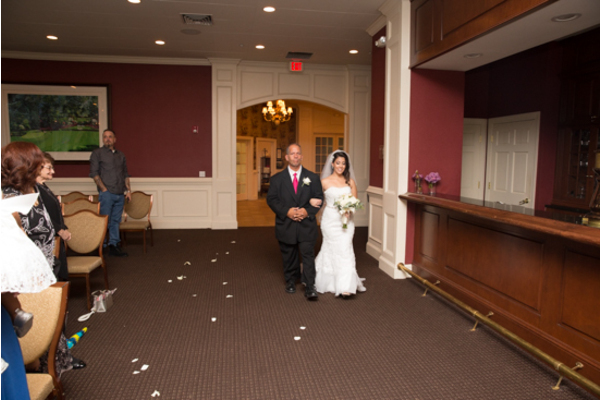 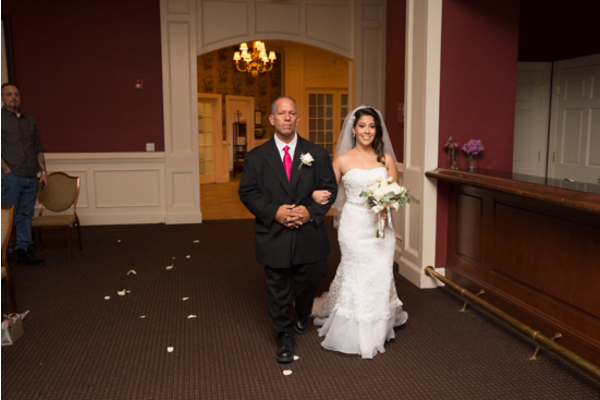 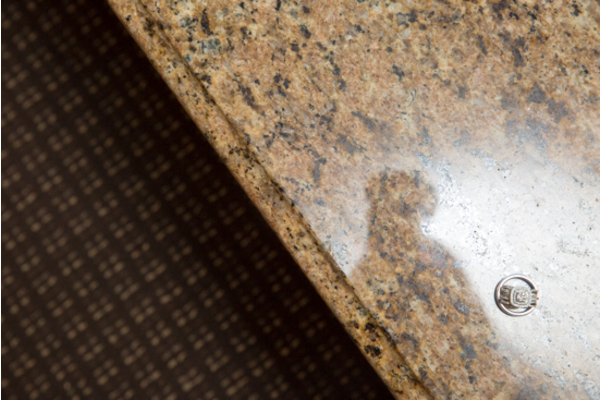 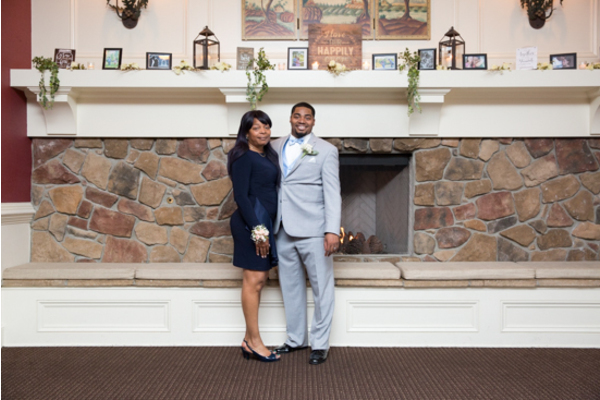 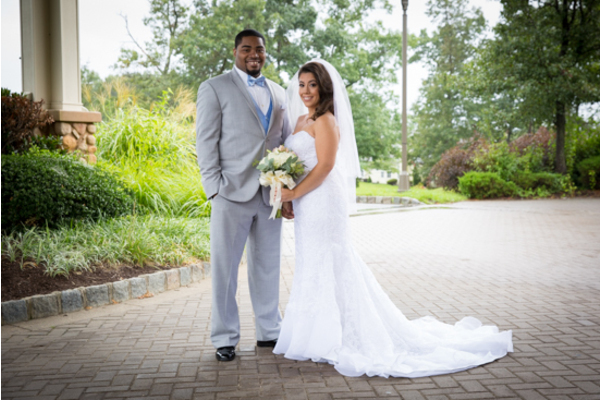 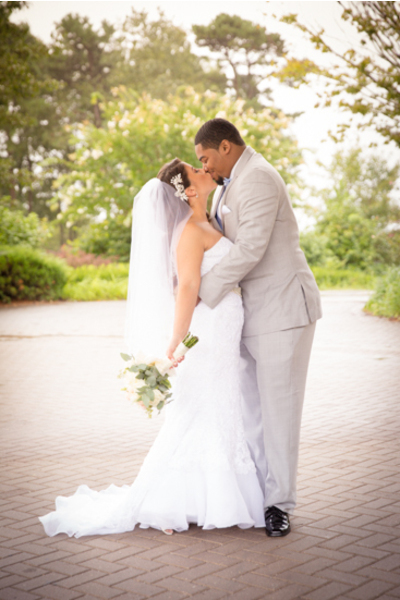 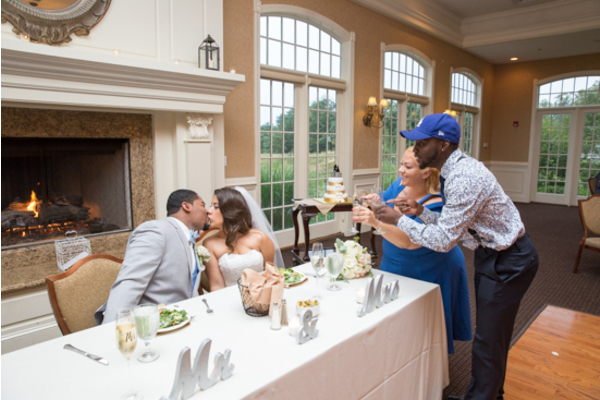 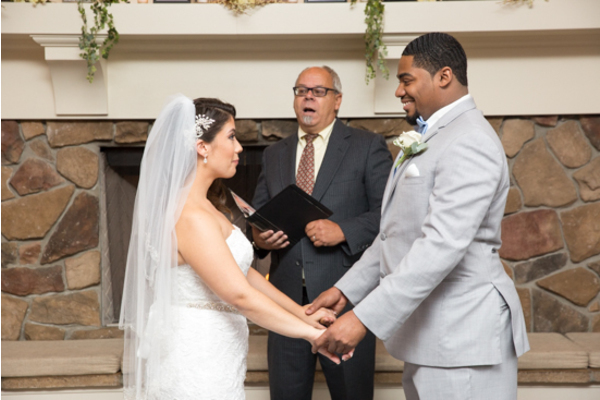 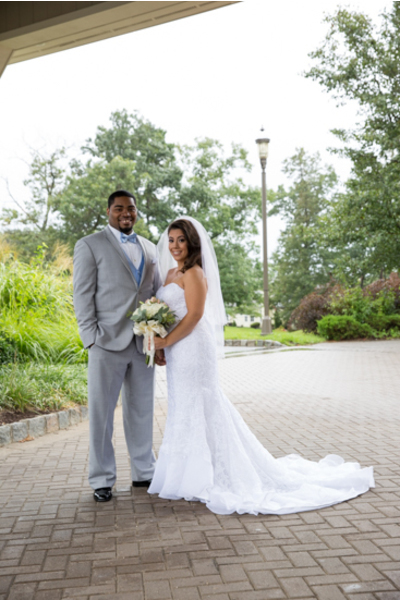 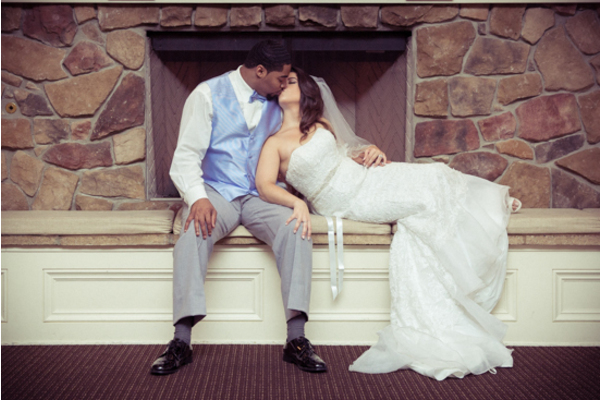 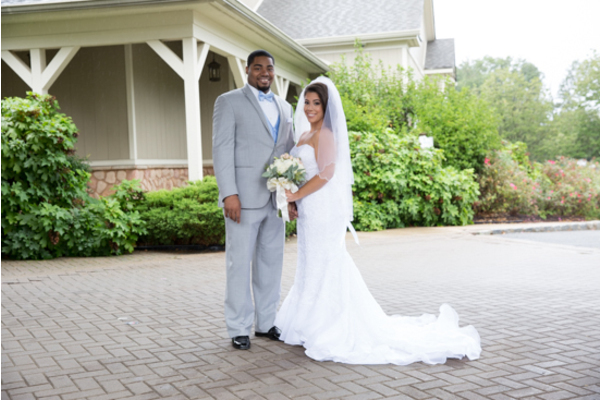 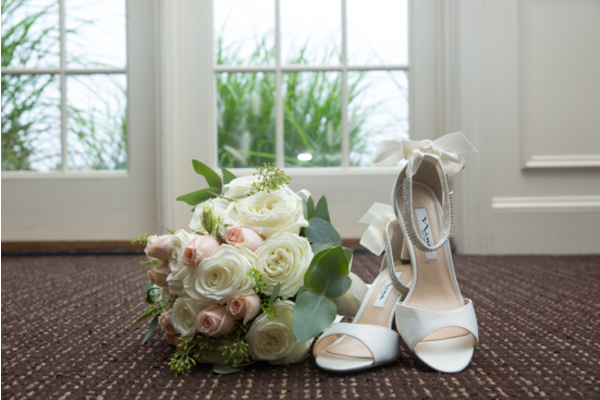 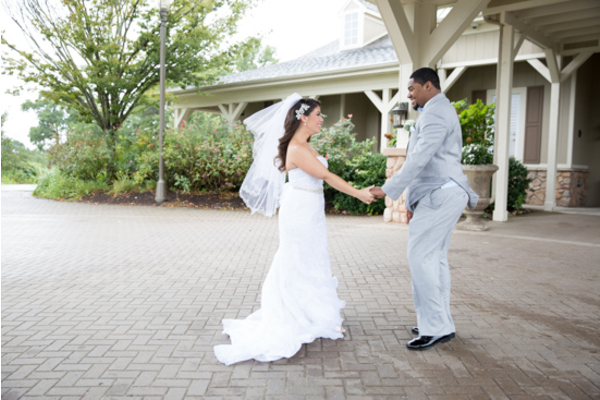 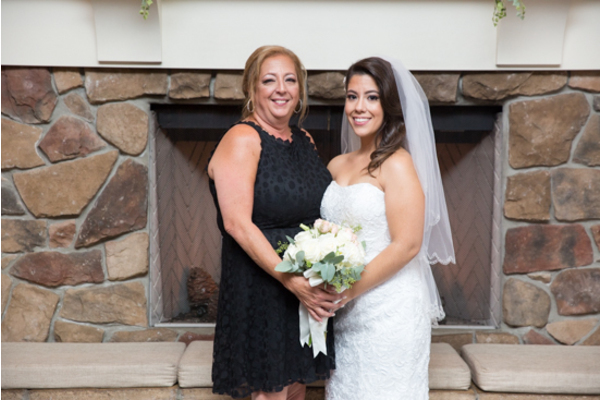 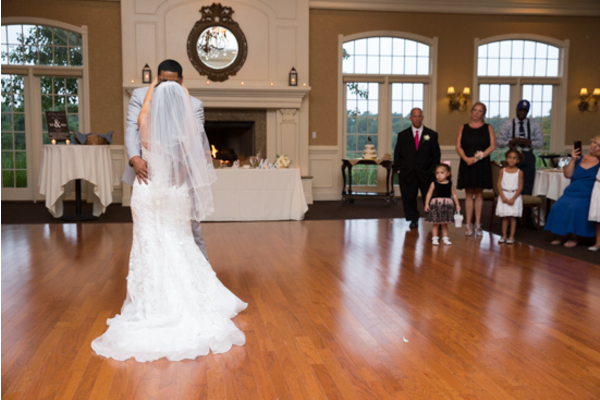 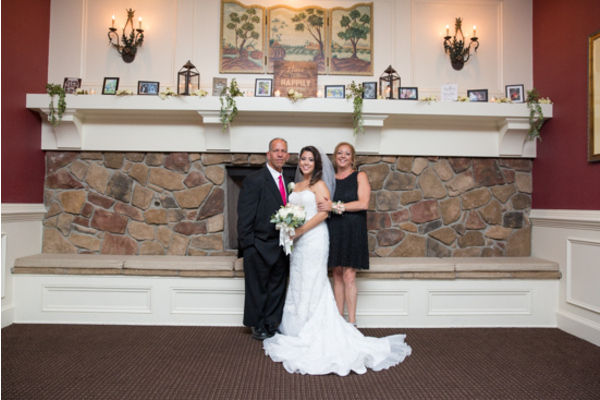 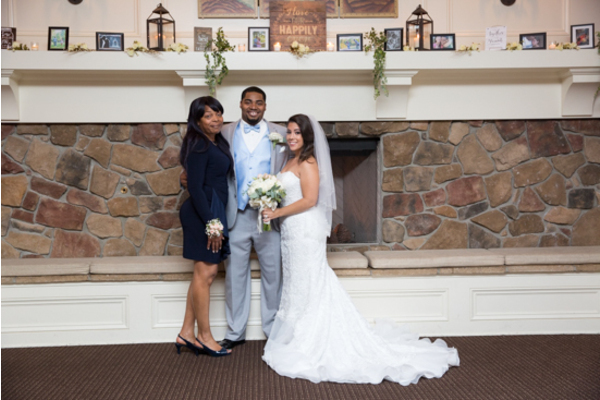 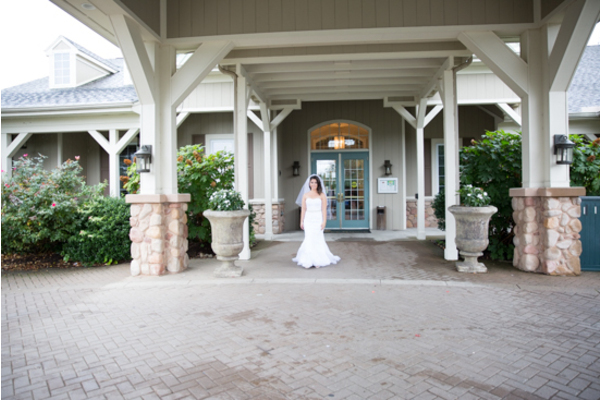 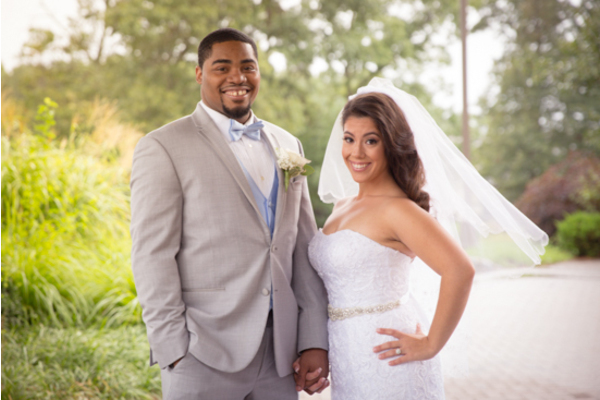 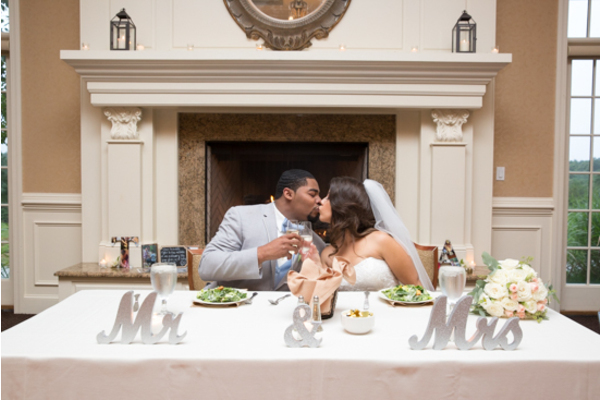 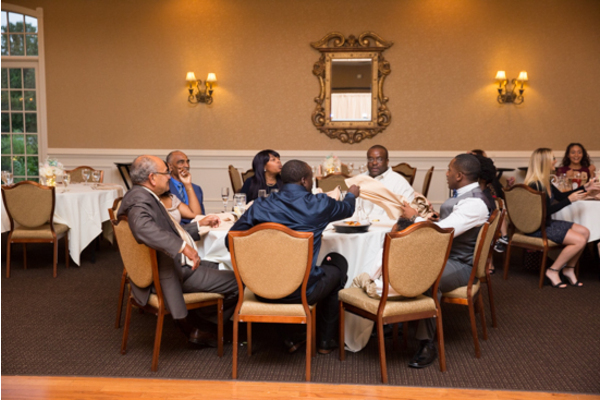 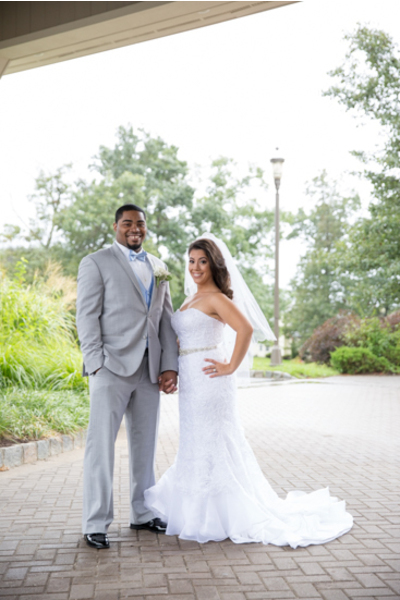 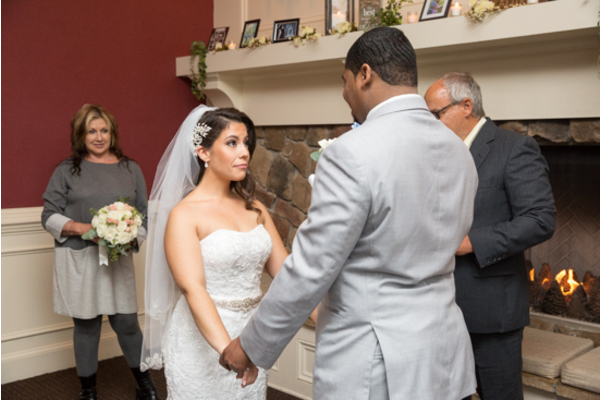 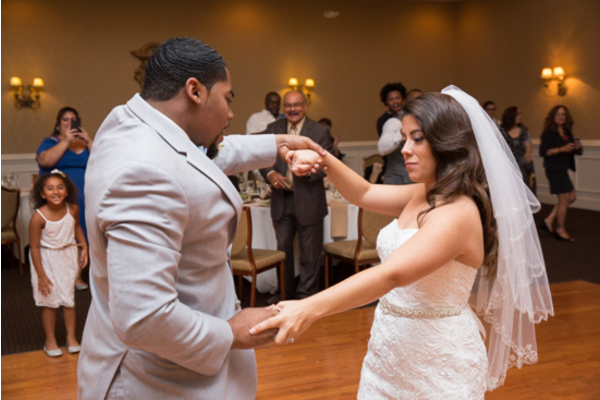 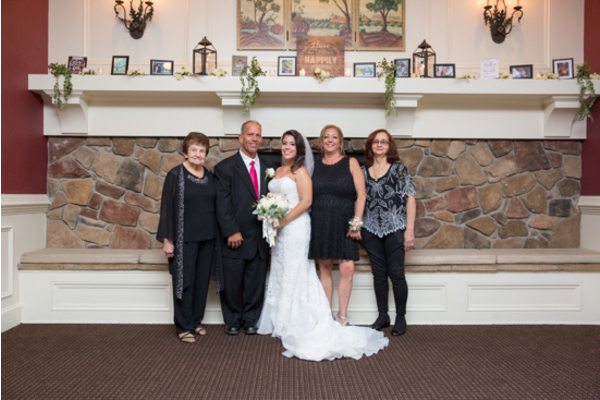 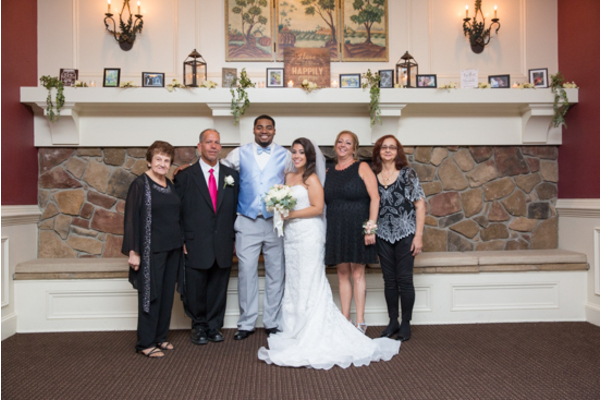 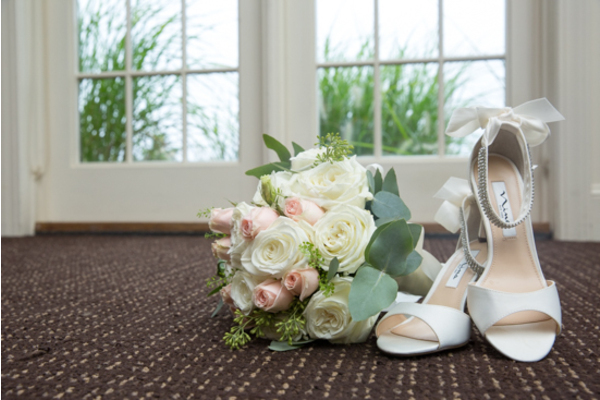 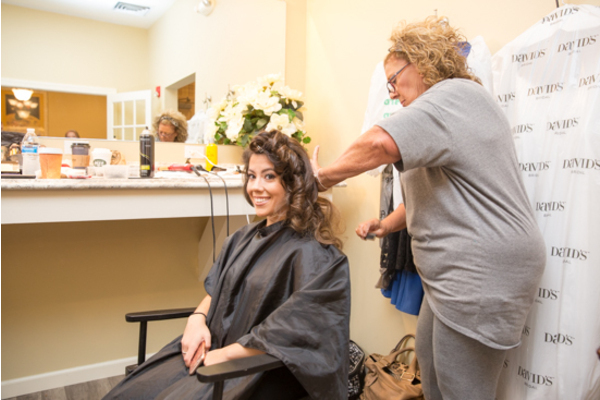 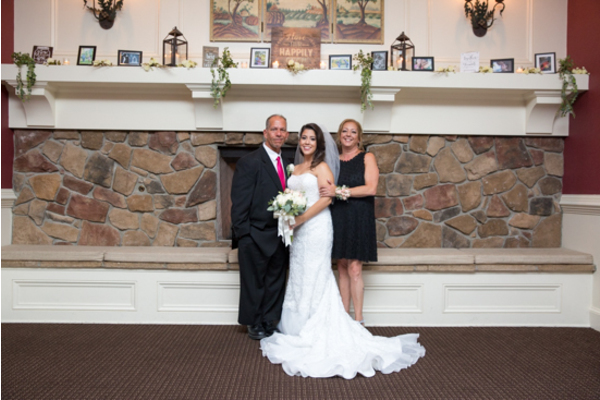 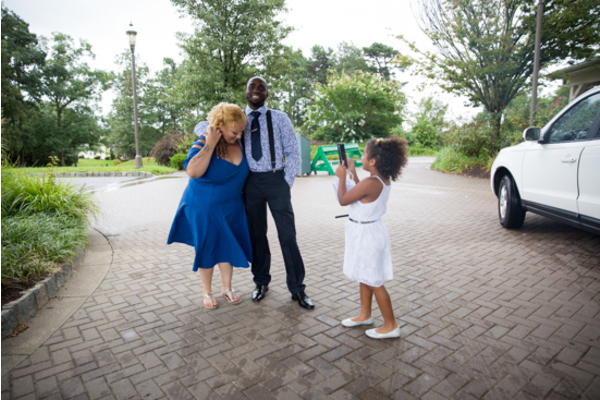 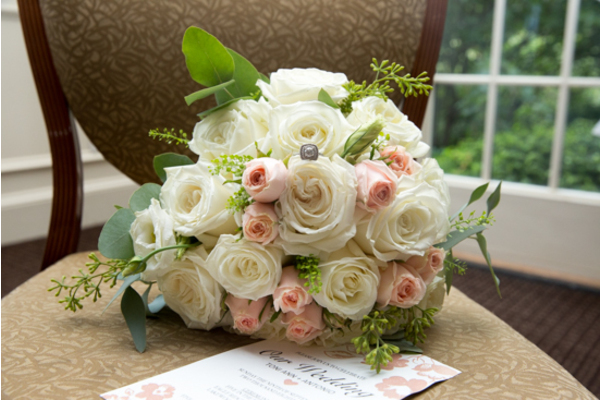 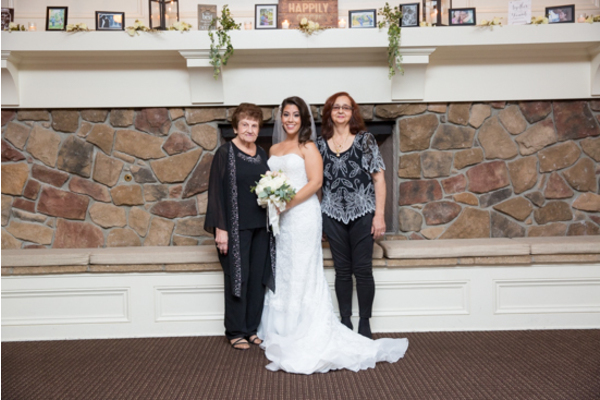 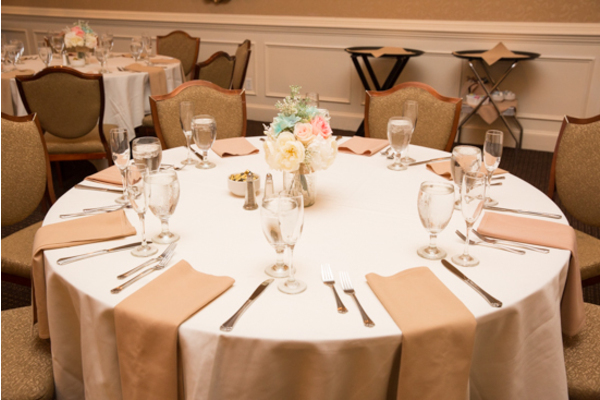 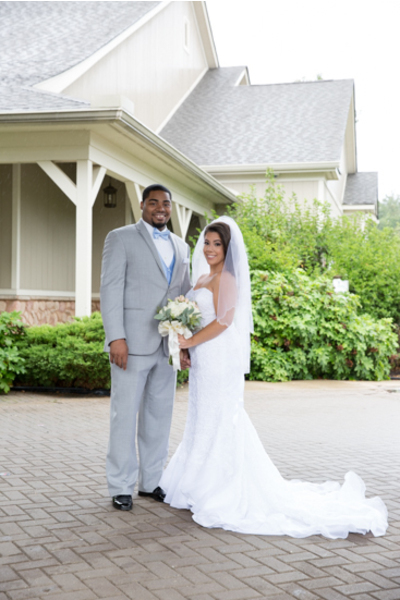 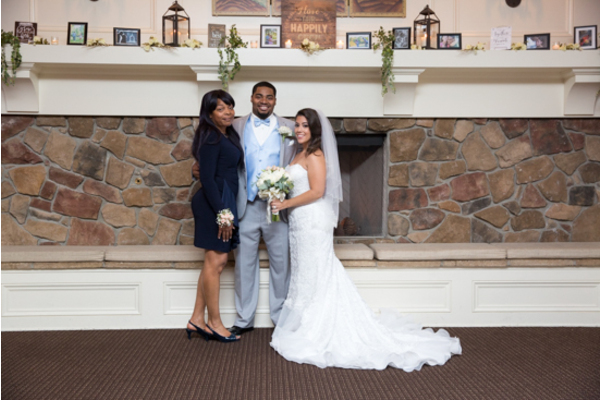 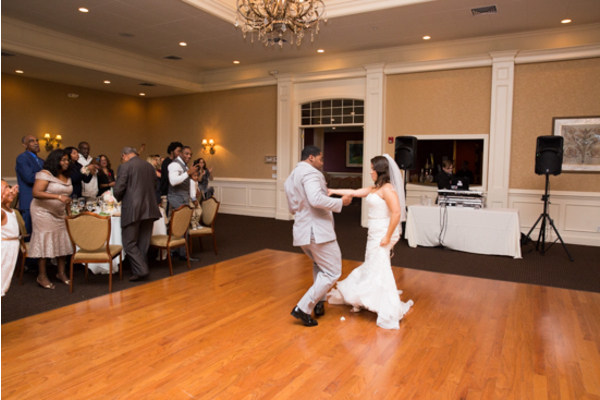 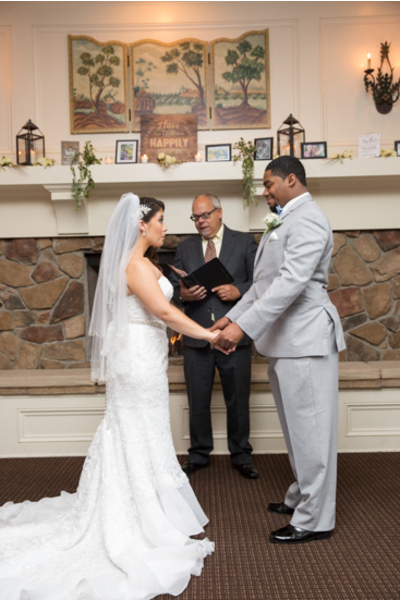 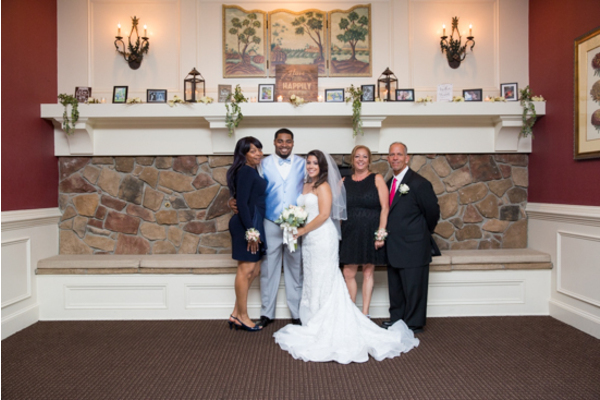 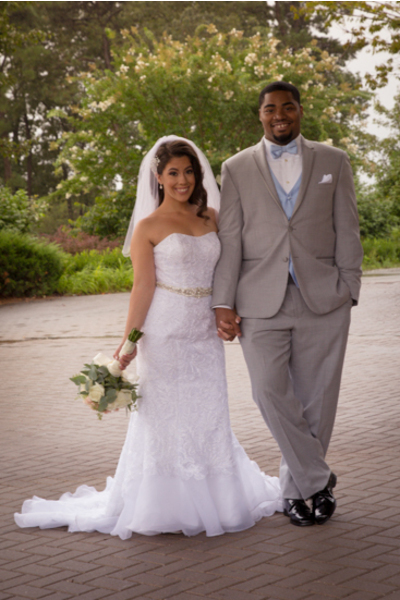 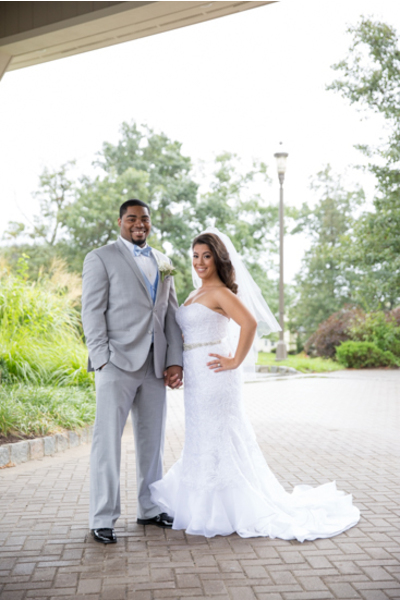 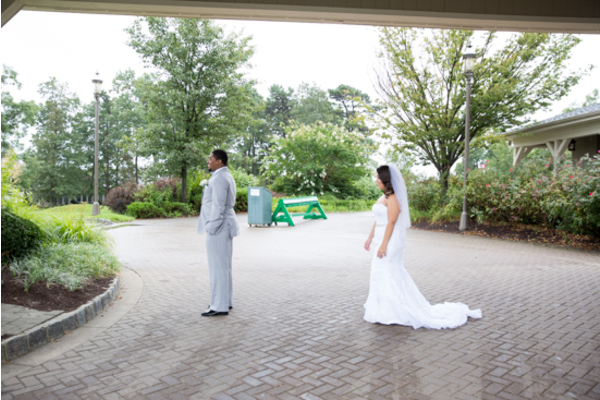 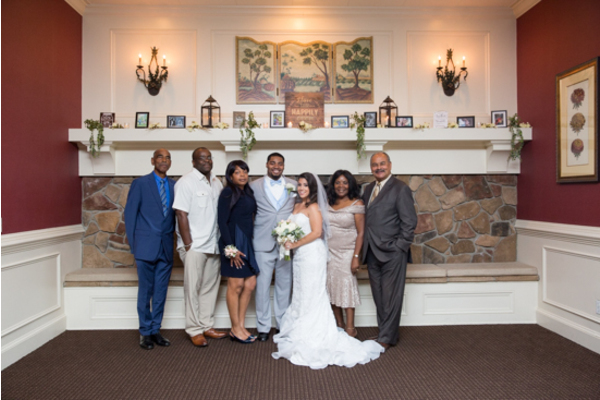 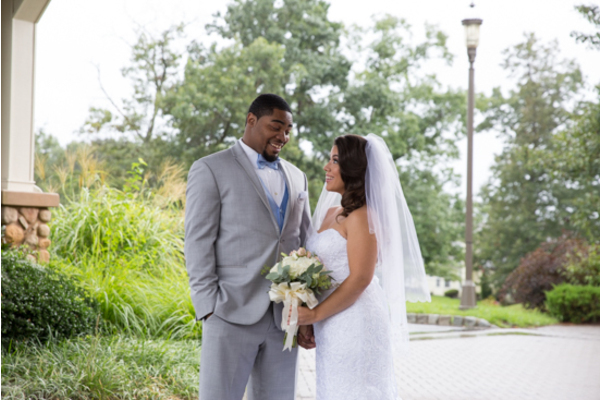 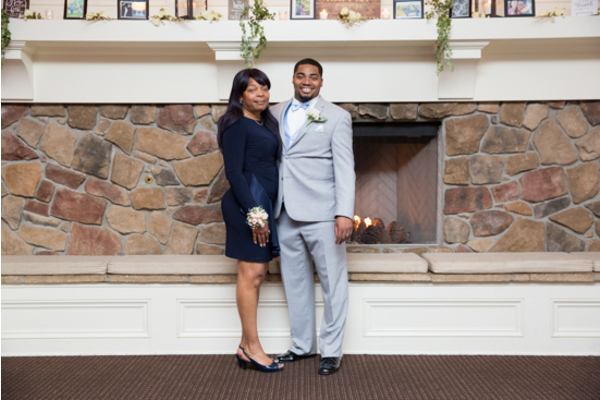 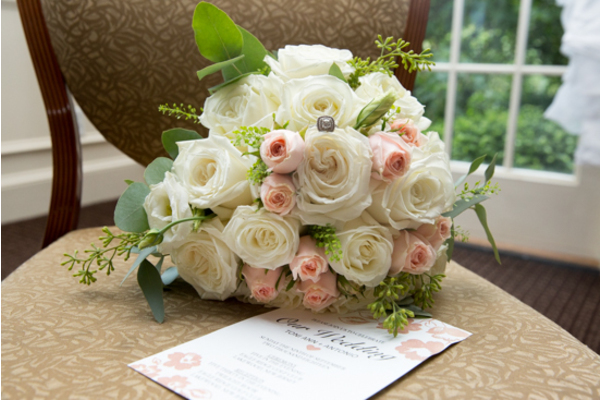 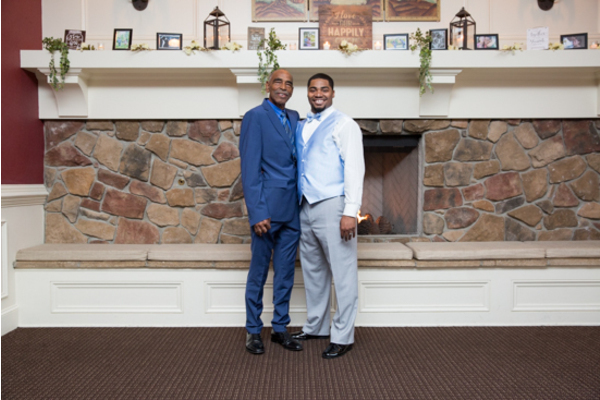 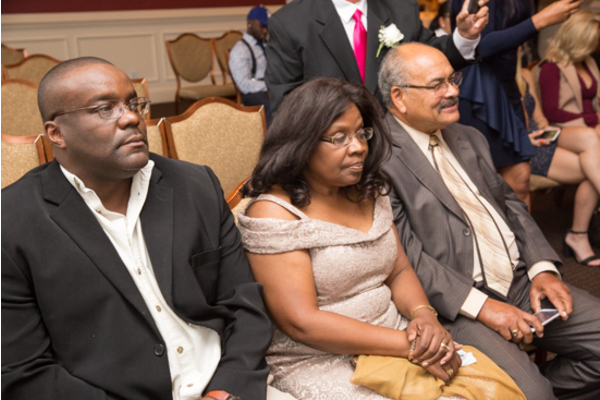 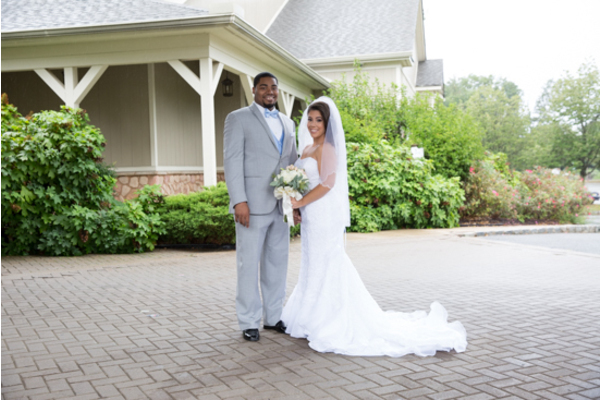 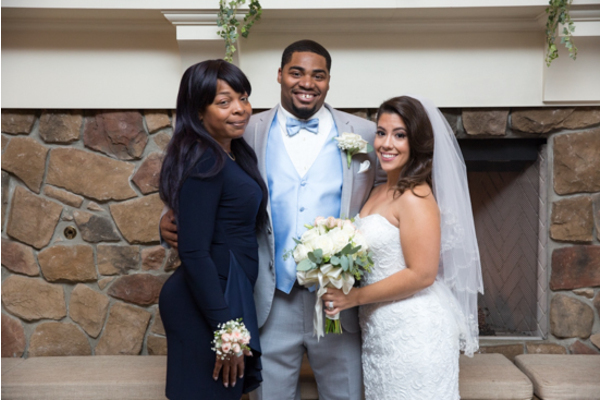 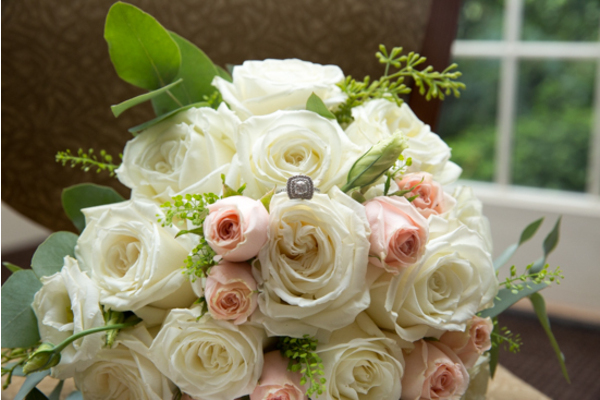 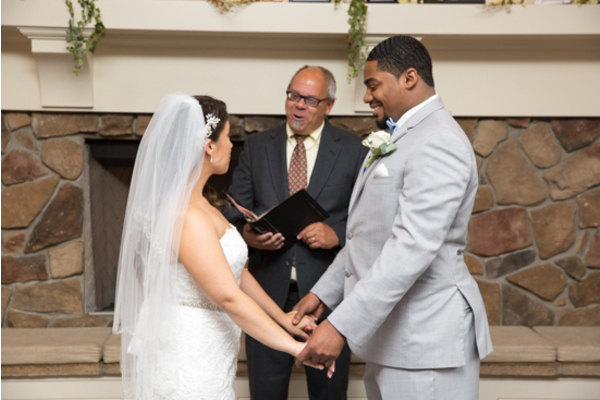 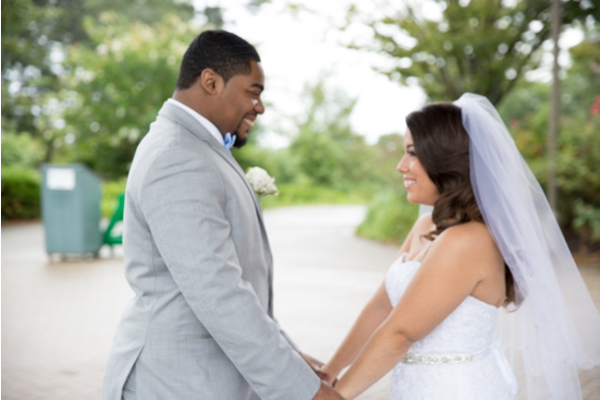 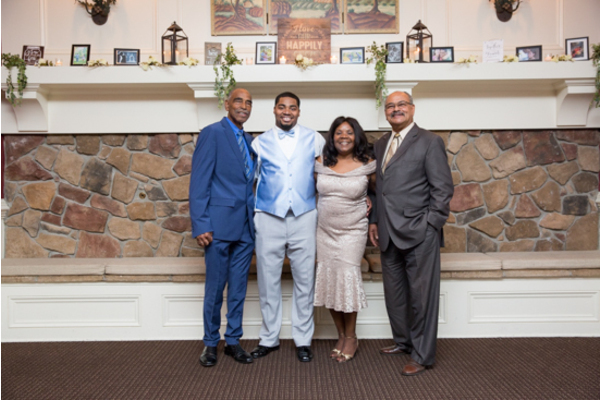 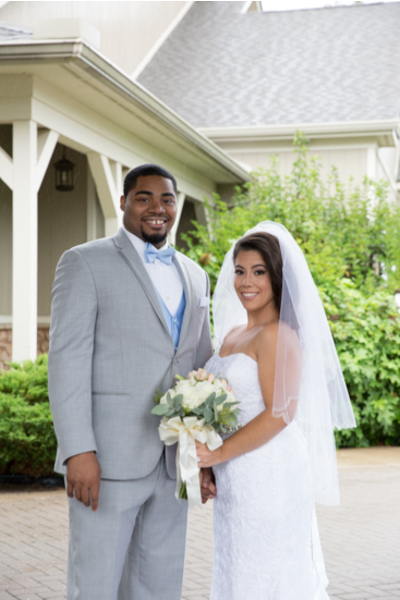 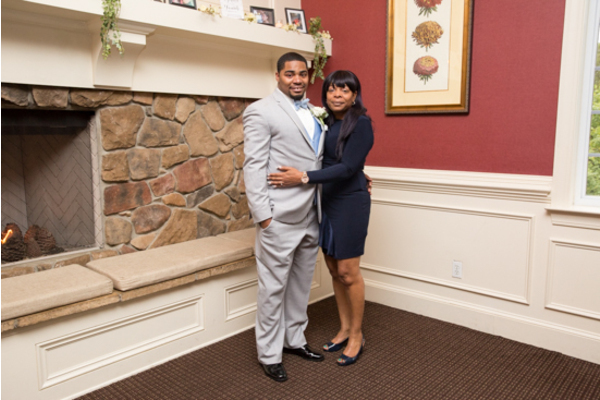 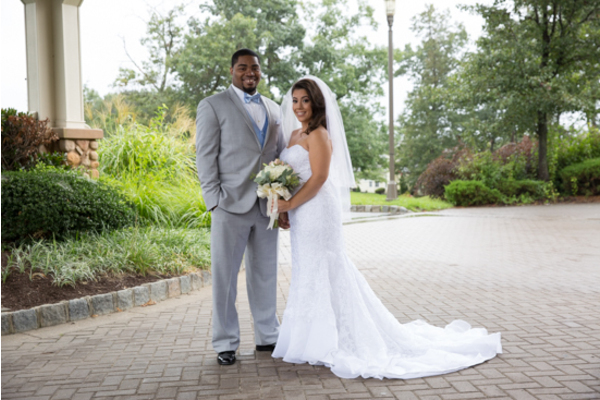 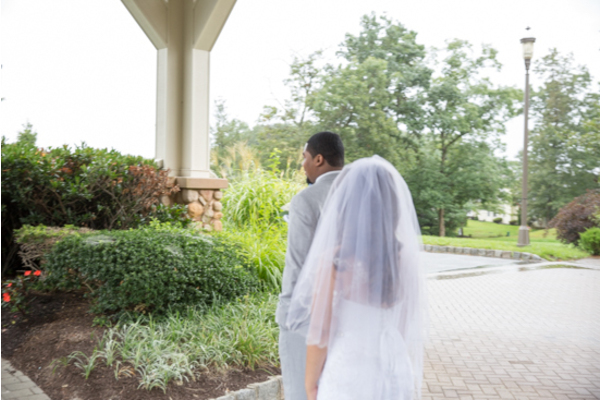 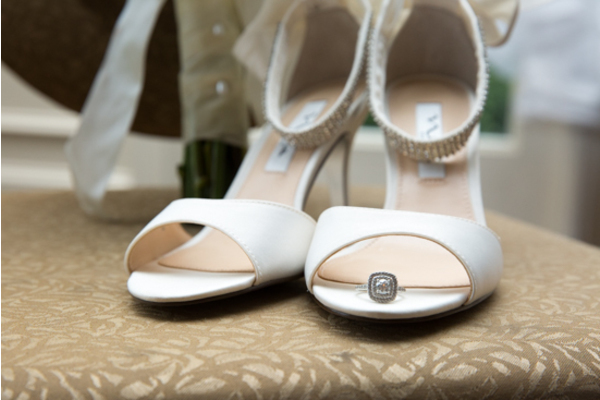 The cute couple tied the knot at Eagle Ridge Golf Club in Lakewood, NJ. 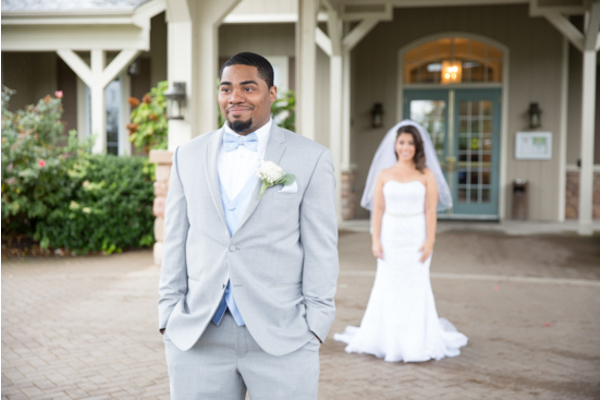 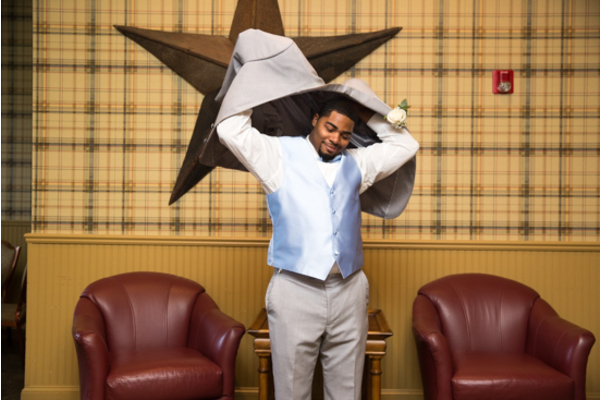 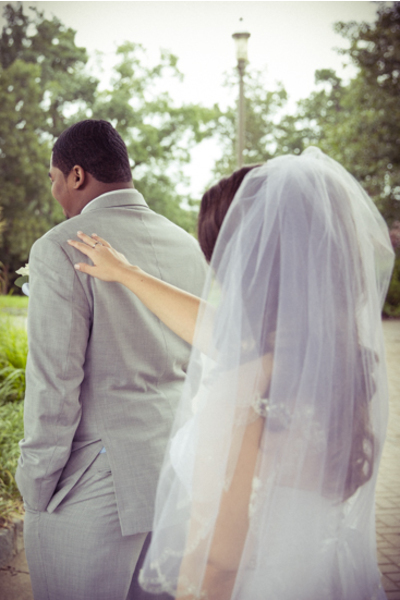 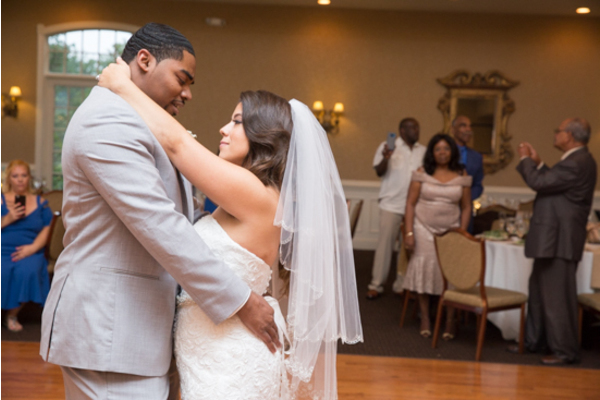 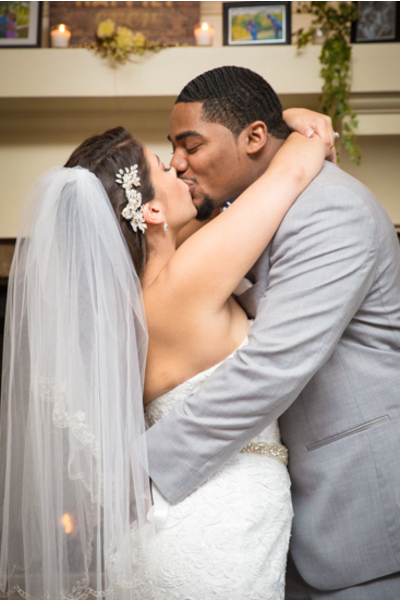 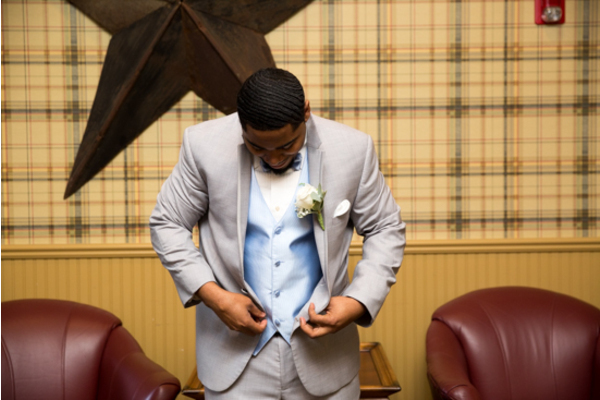 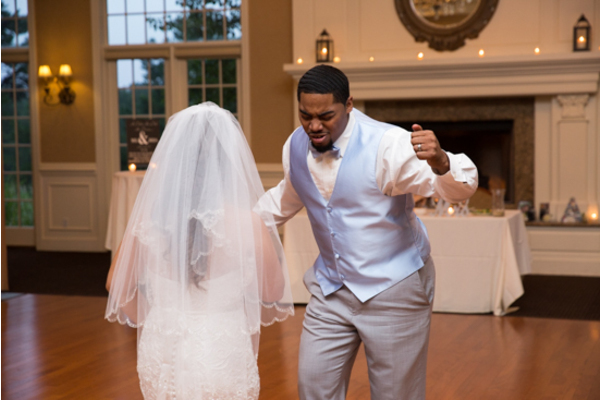 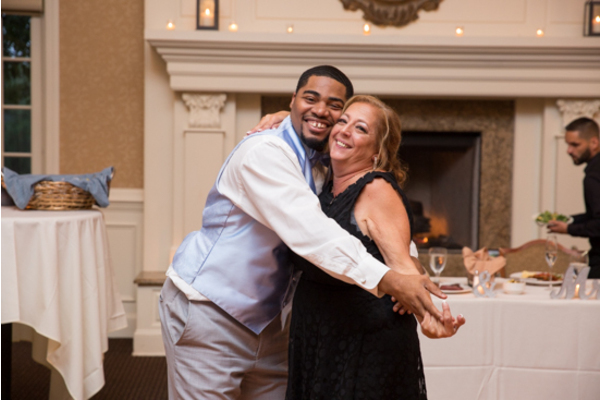 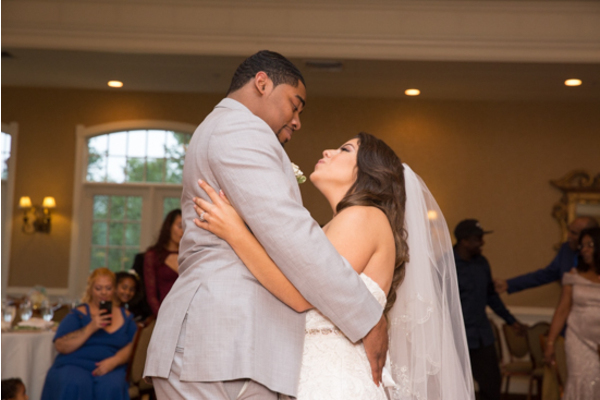 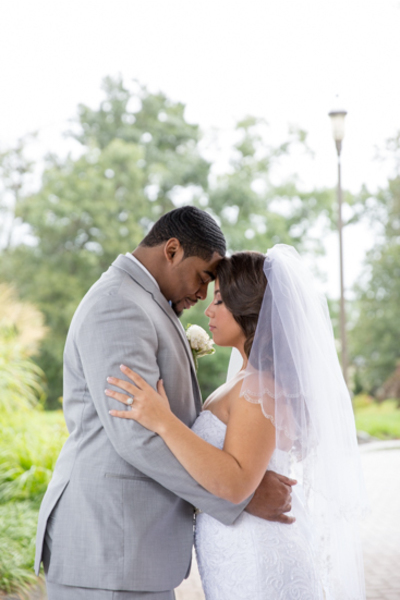 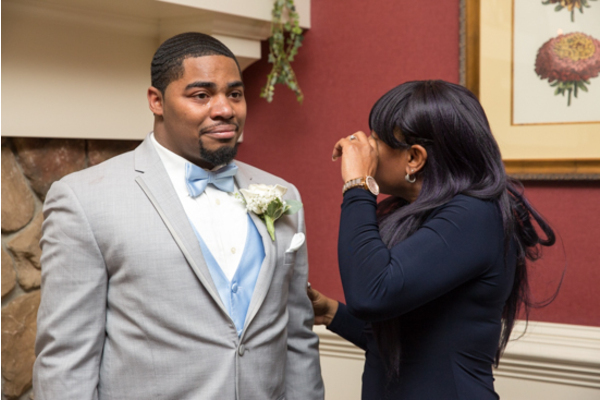 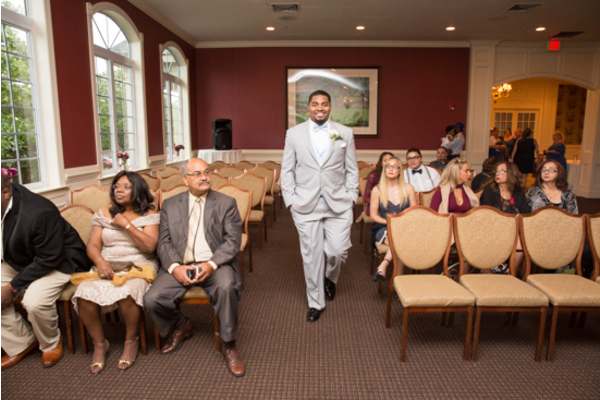 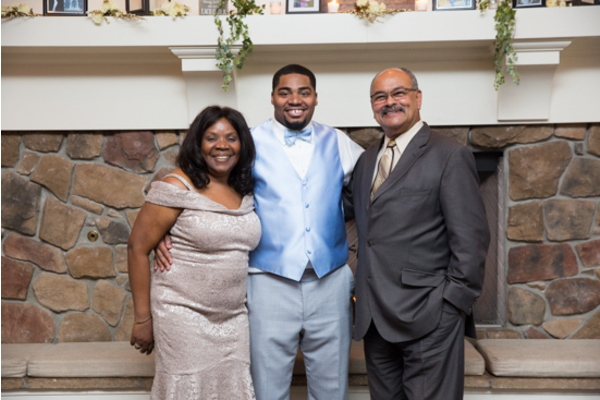 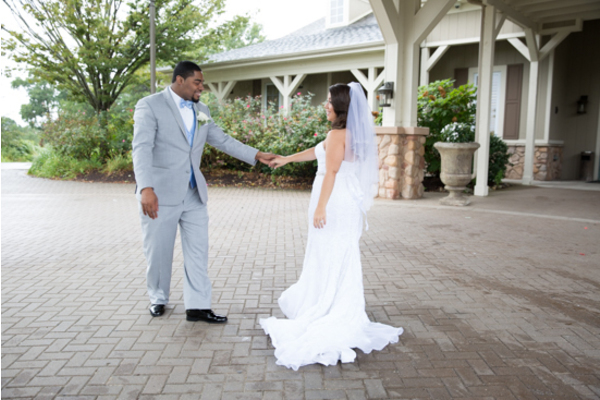 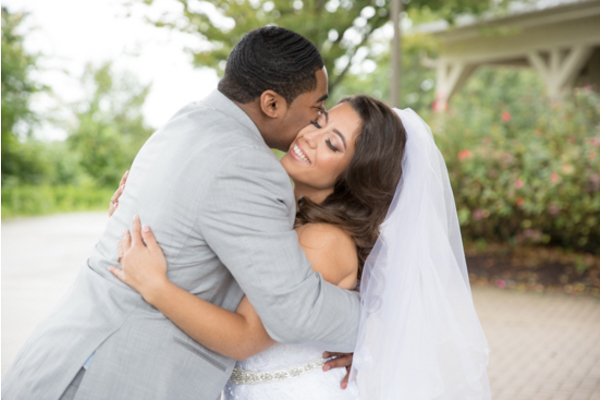 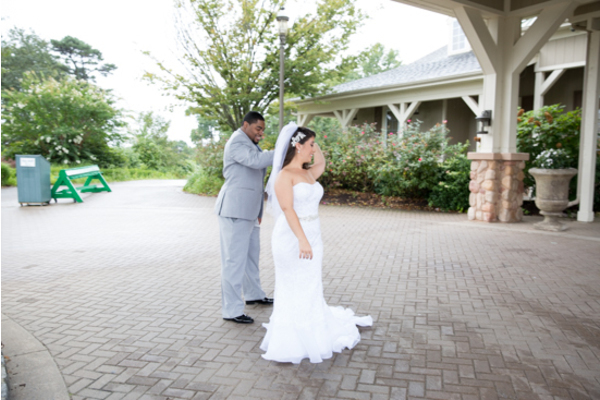 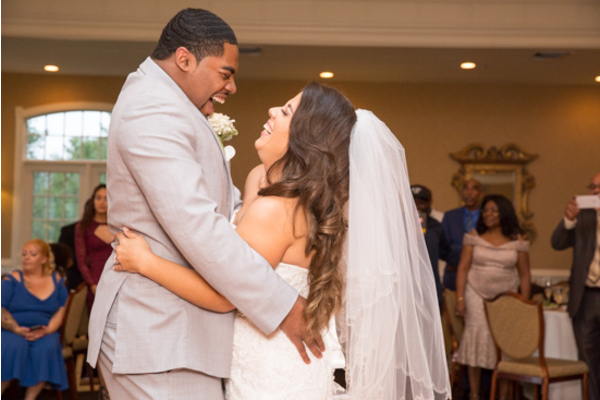 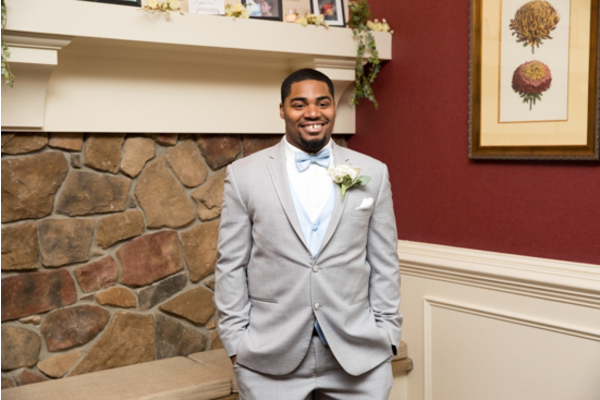 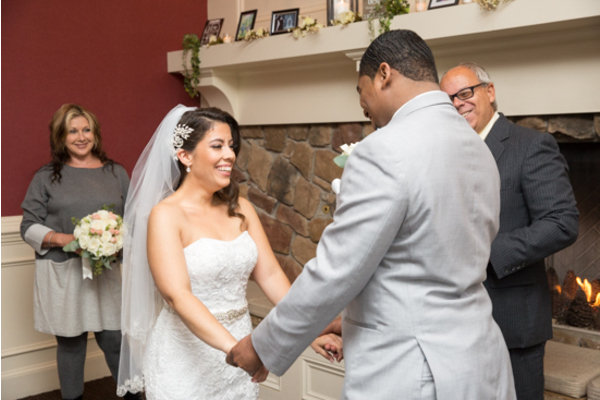 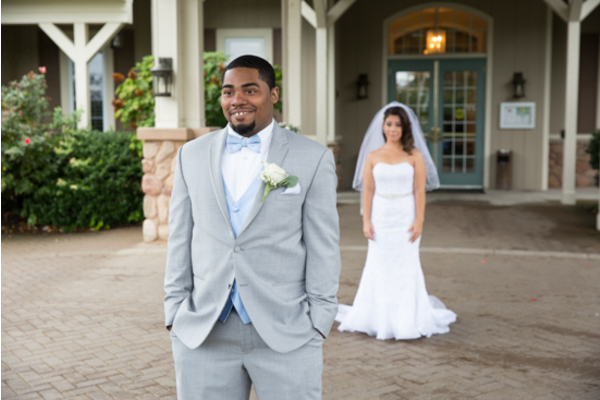 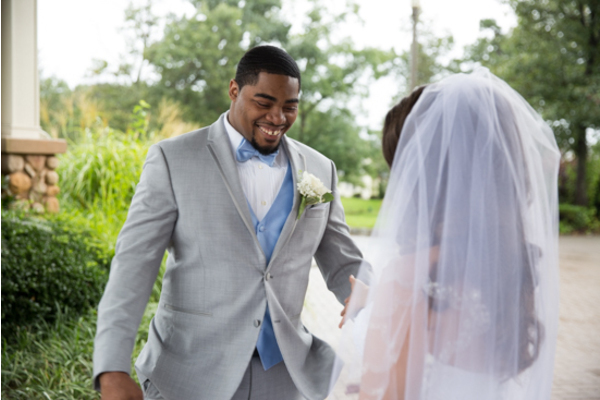 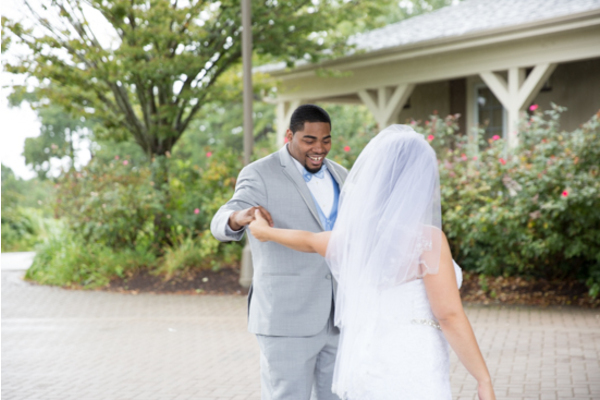 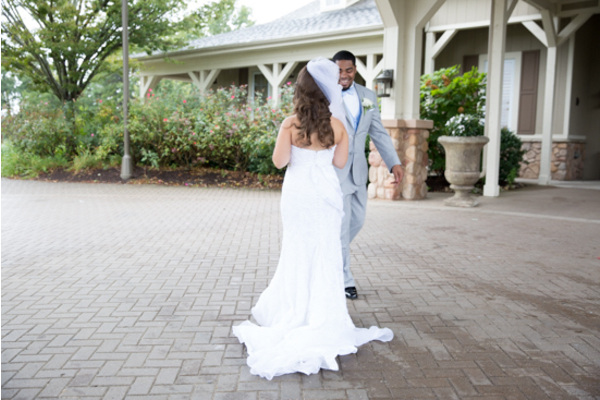 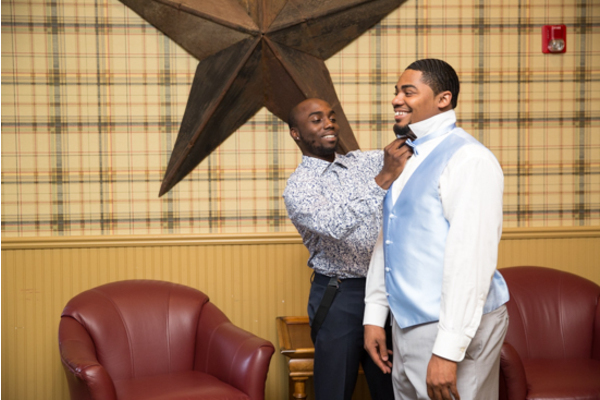 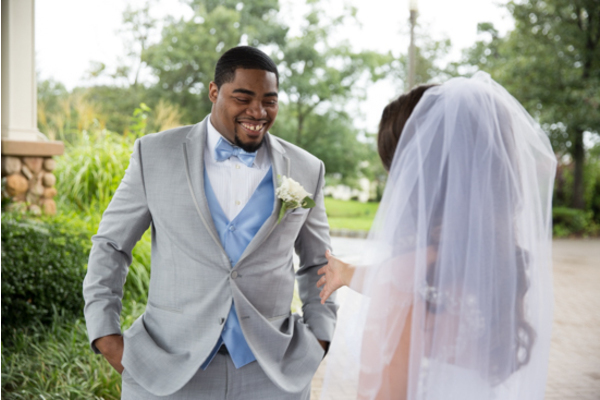 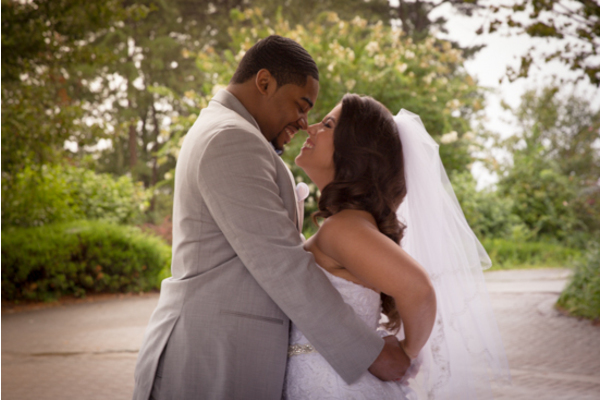 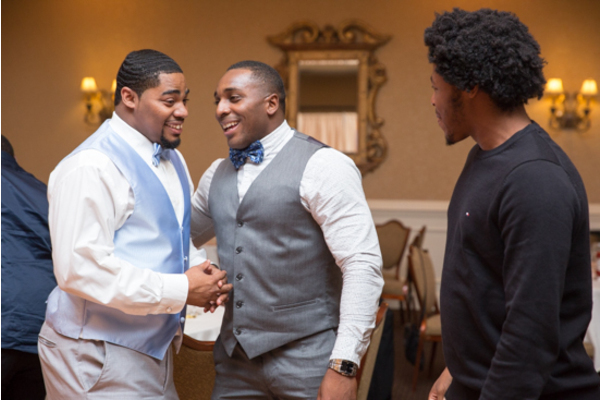 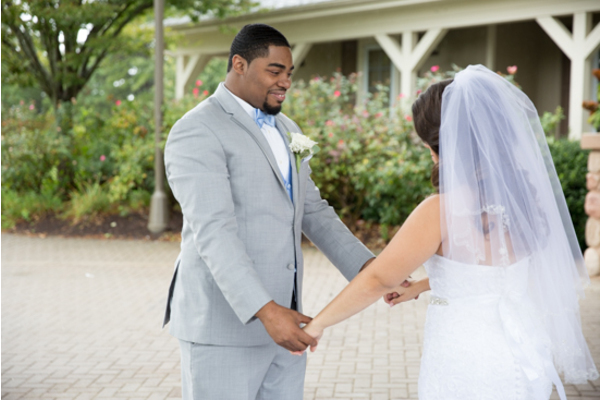 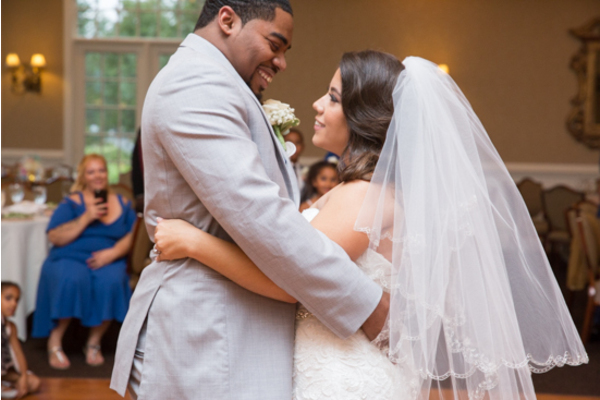 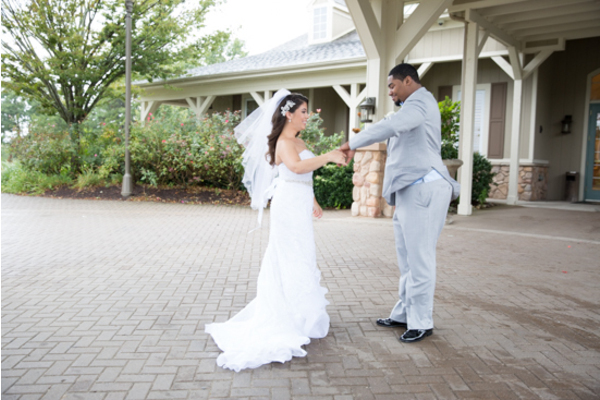 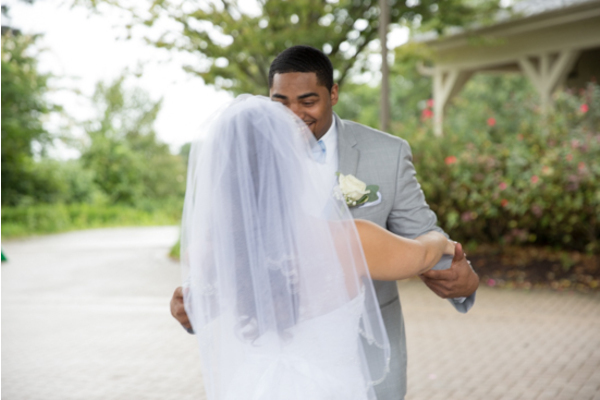 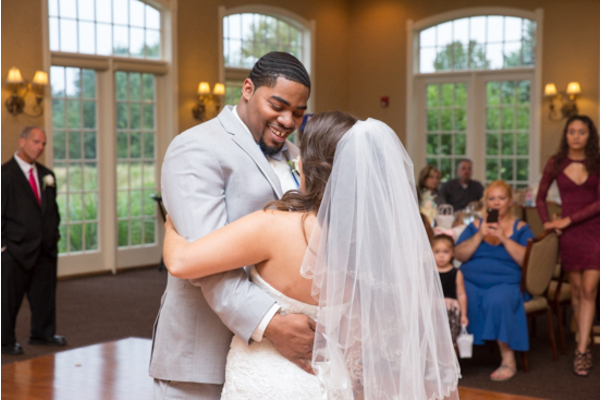 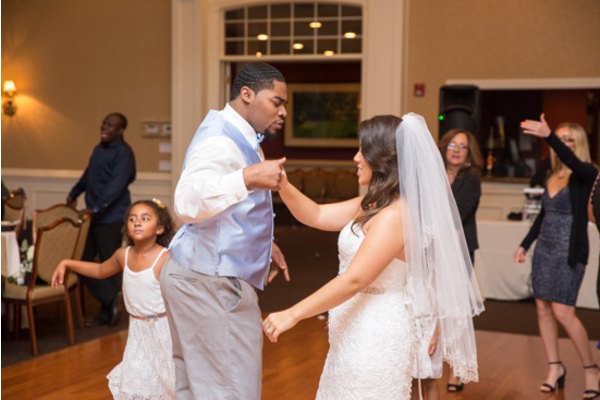 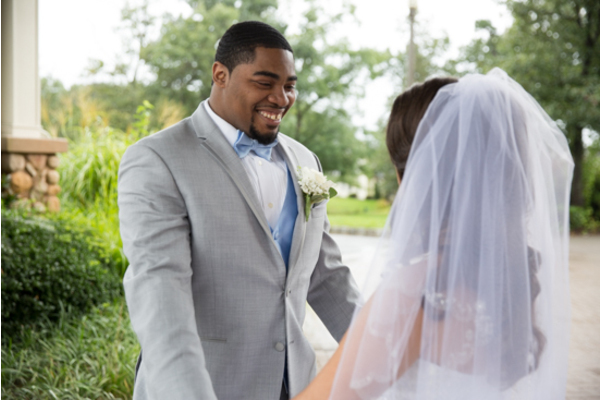 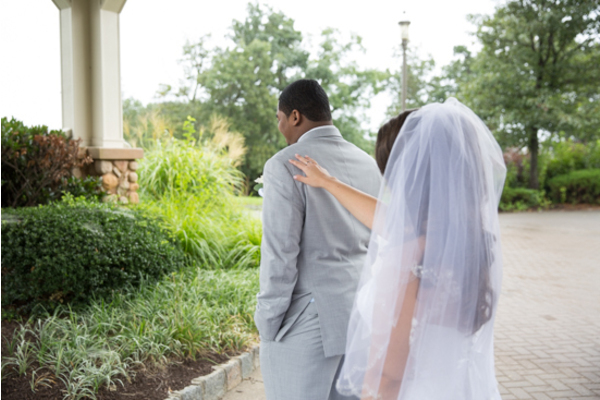 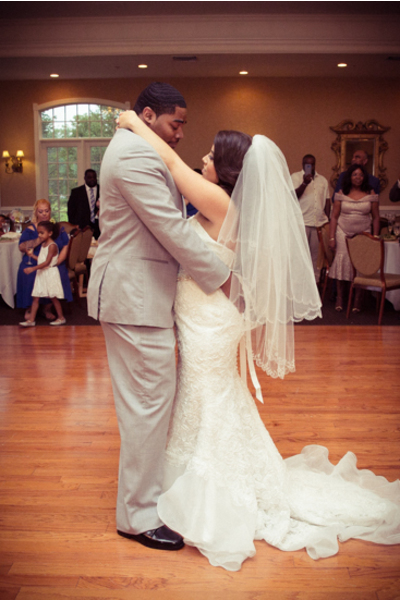 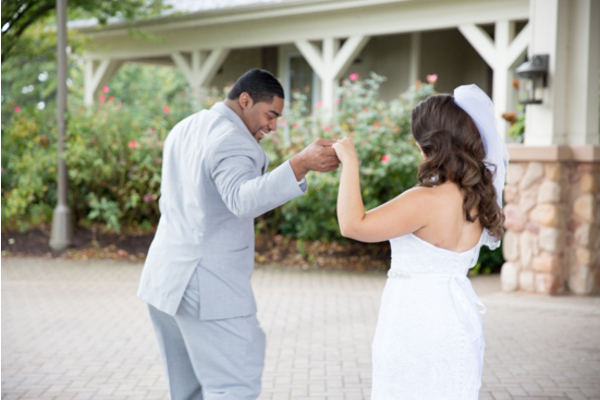 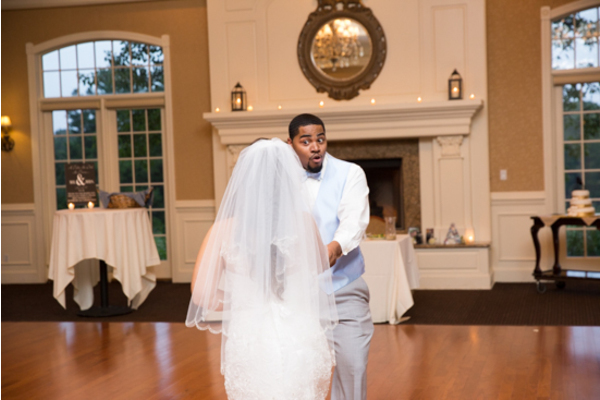 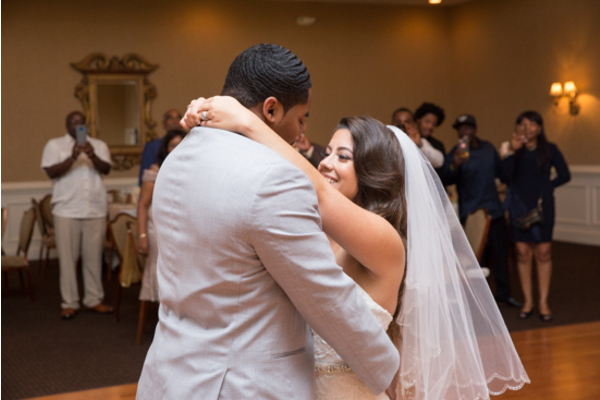 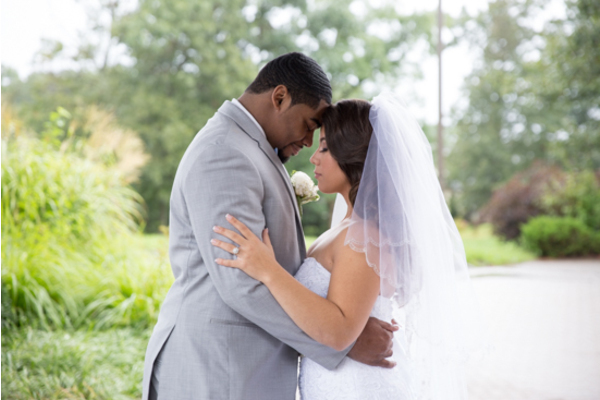 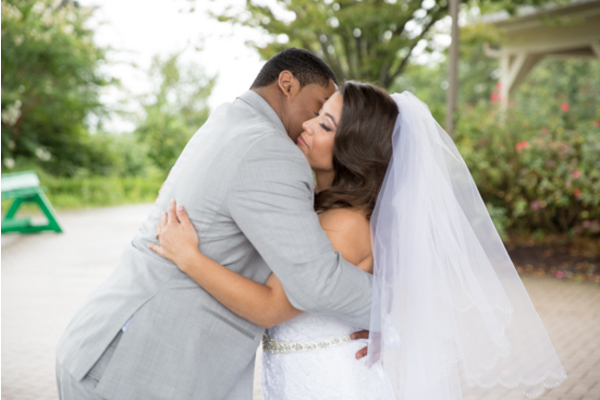 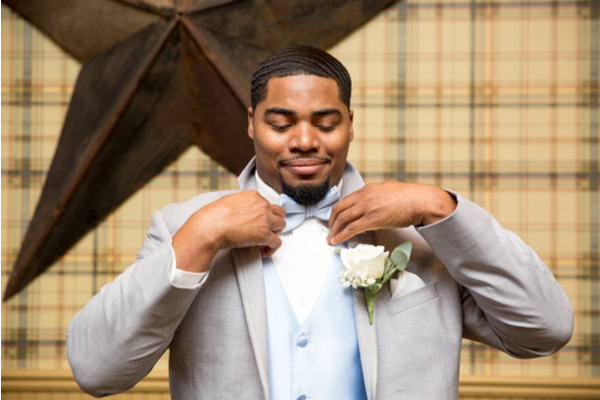 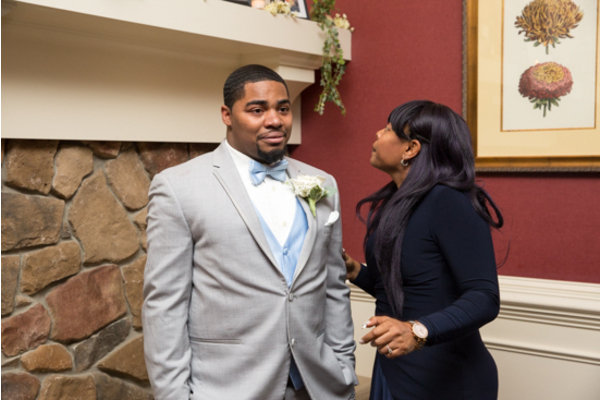 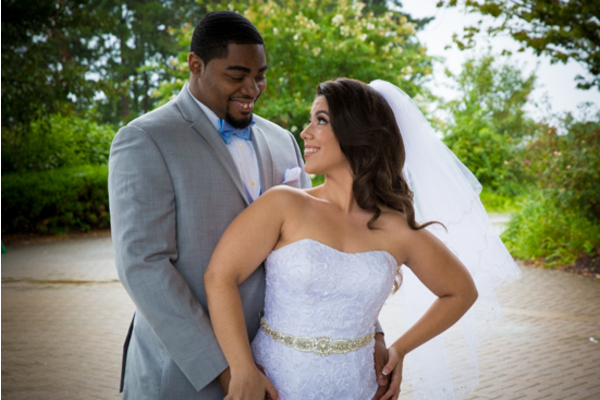 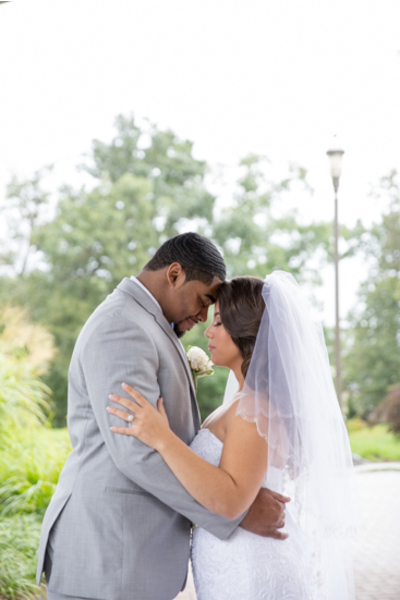 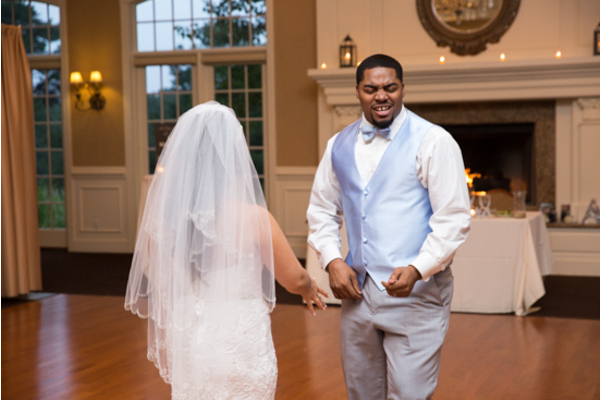 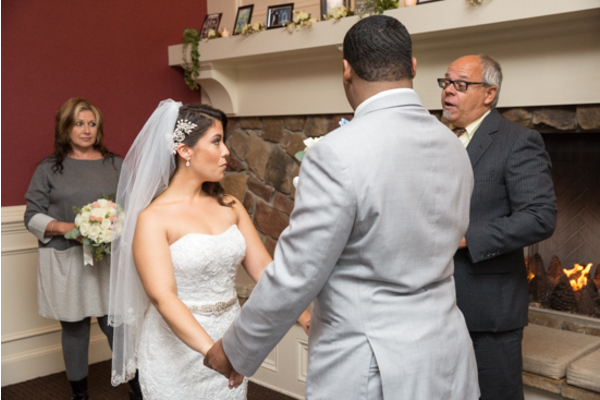 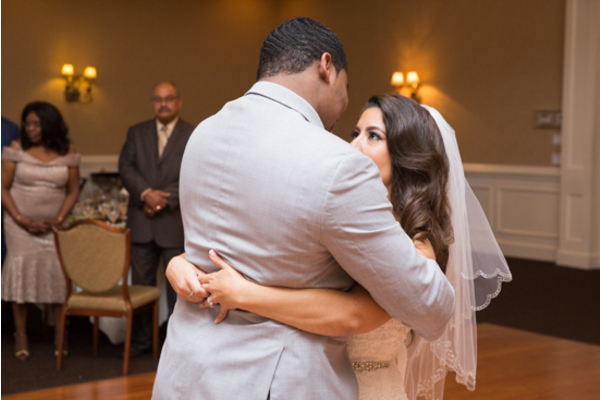 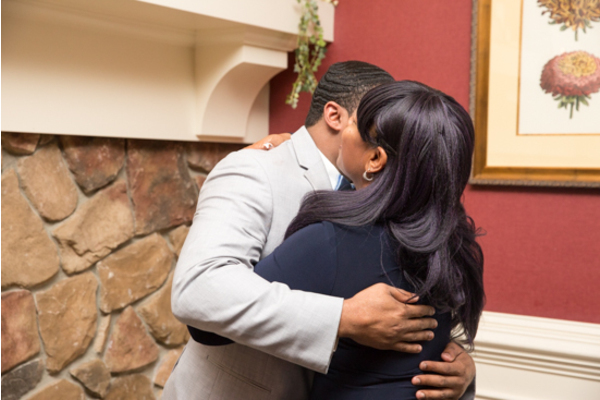 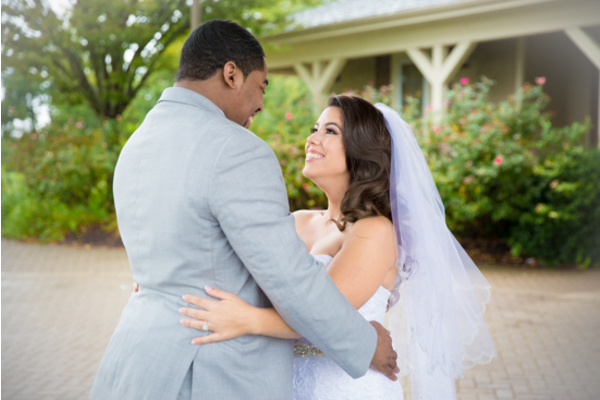 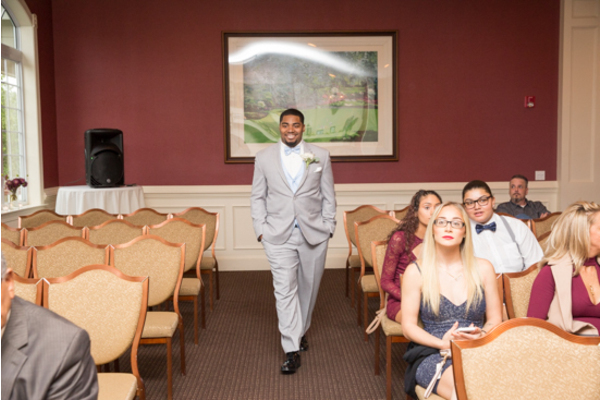 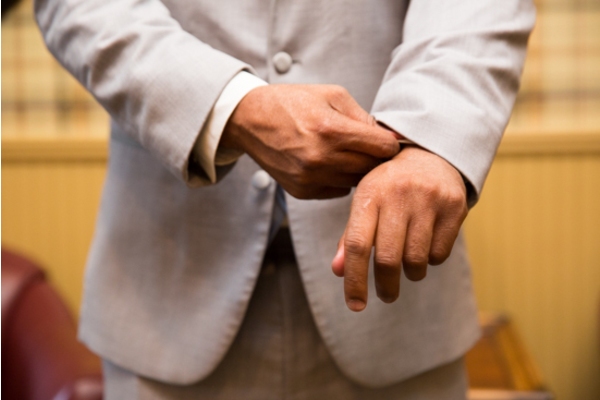 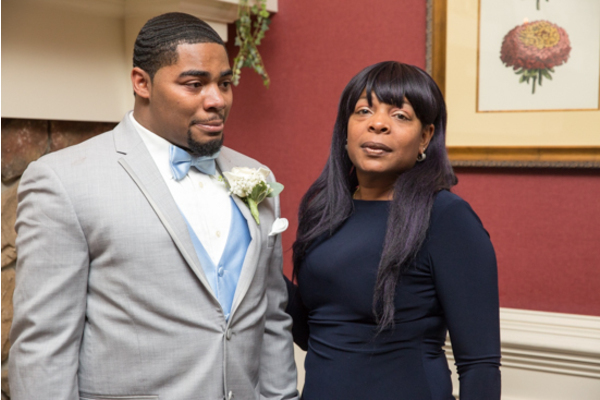 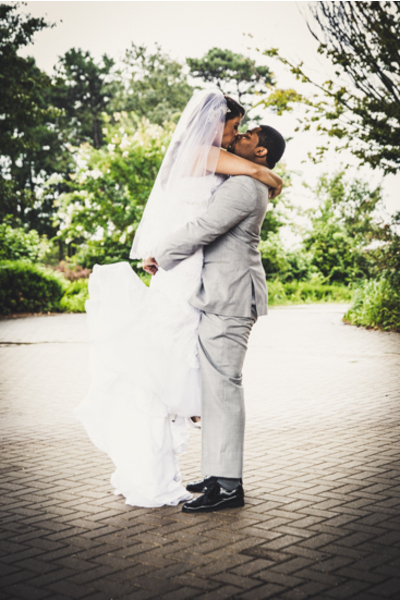 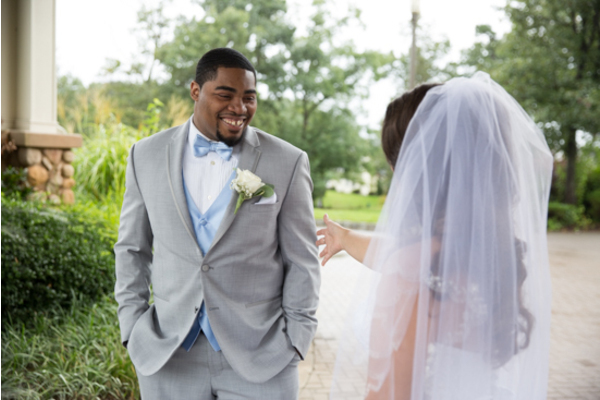 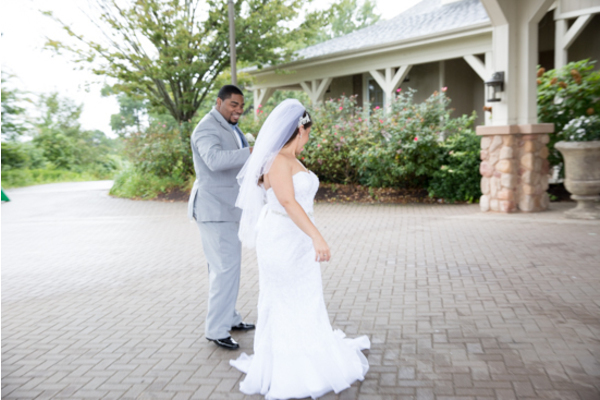 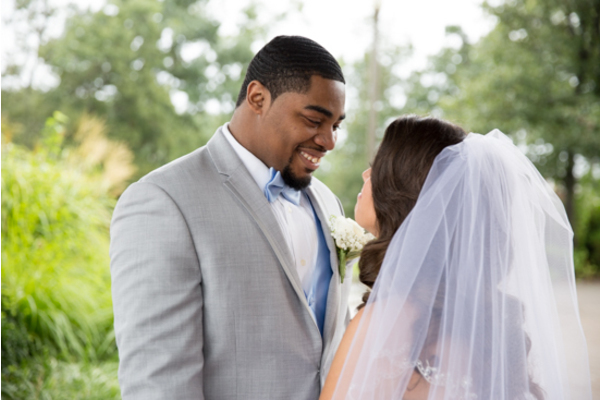 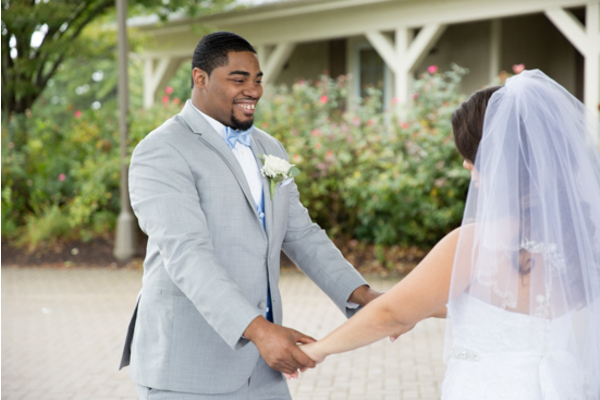 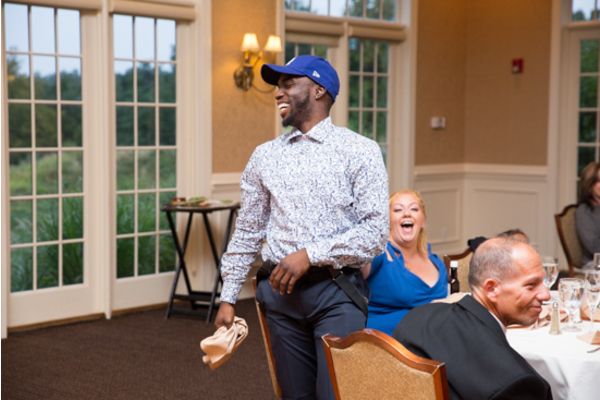 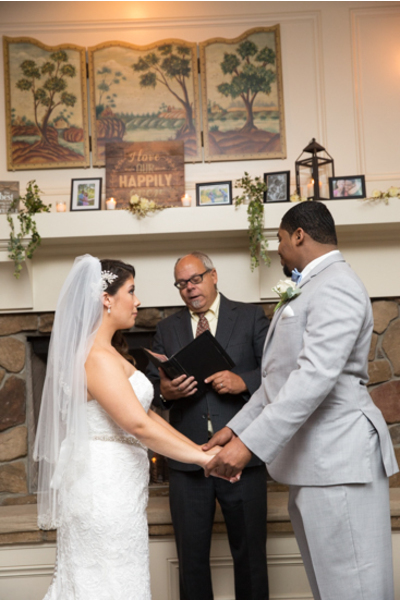 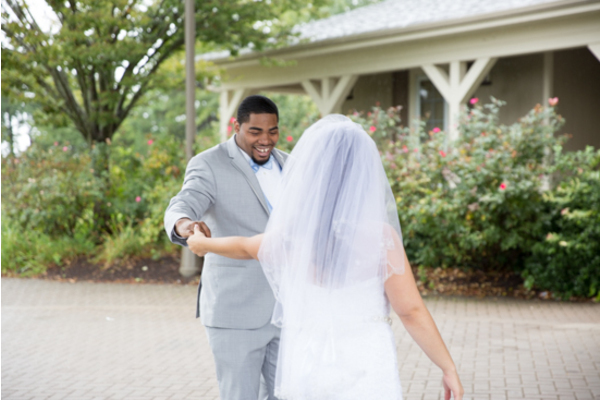 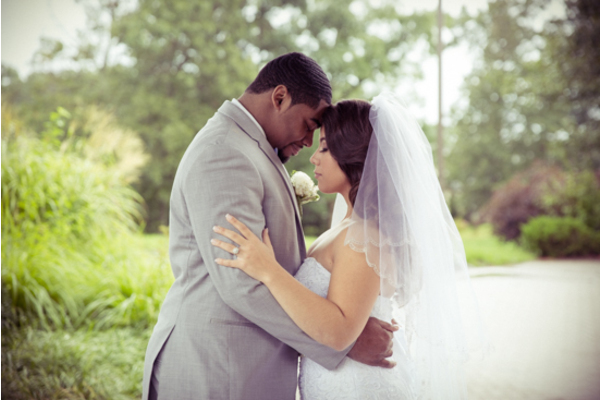 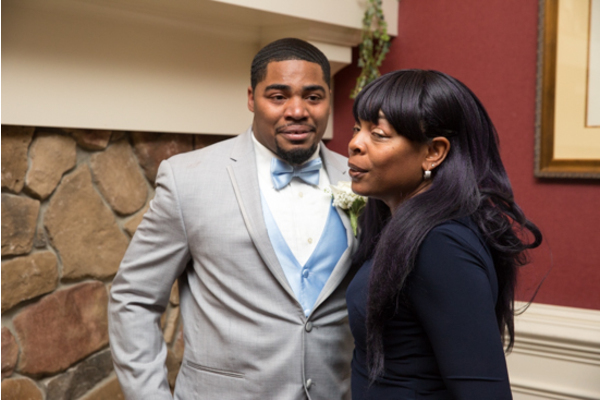 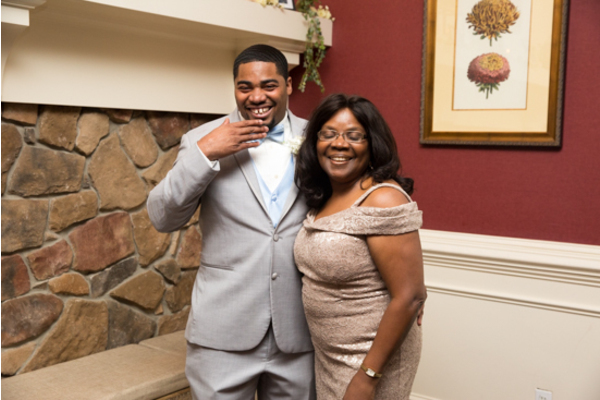 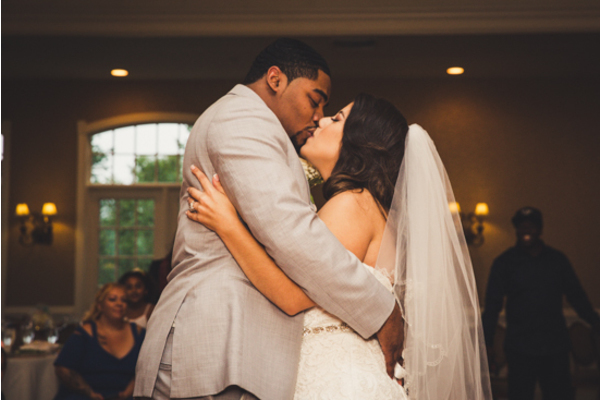 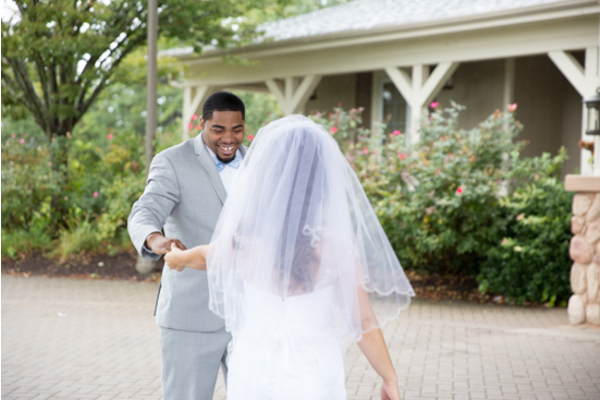 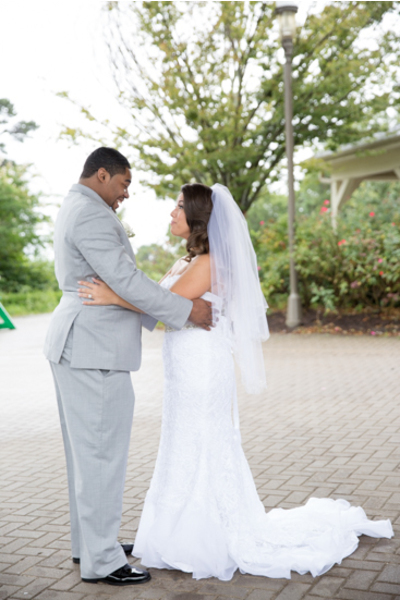 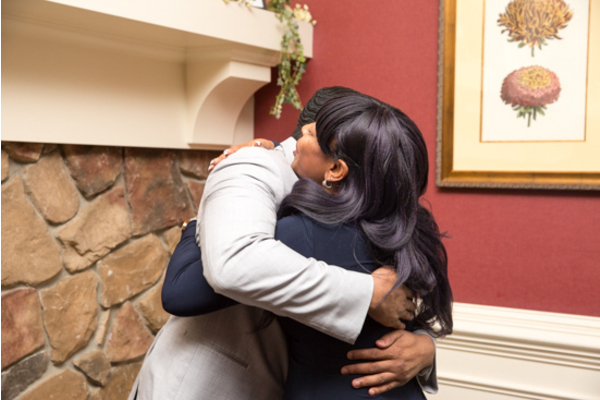 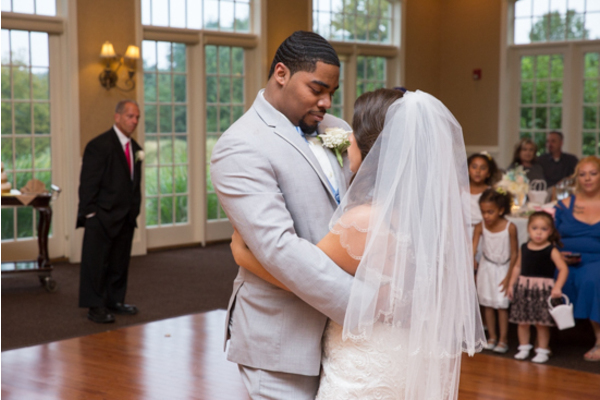 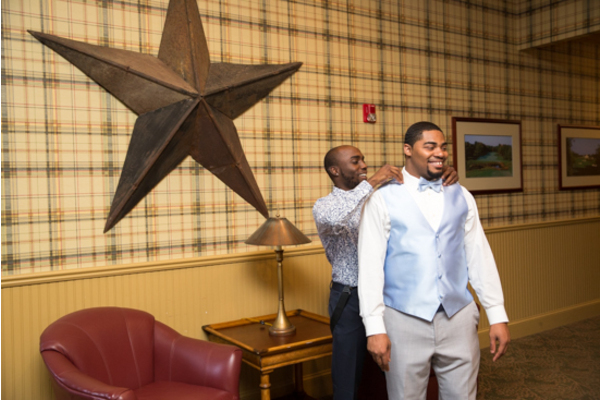 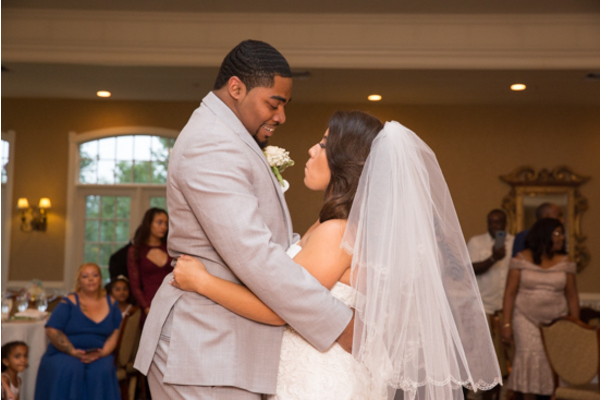 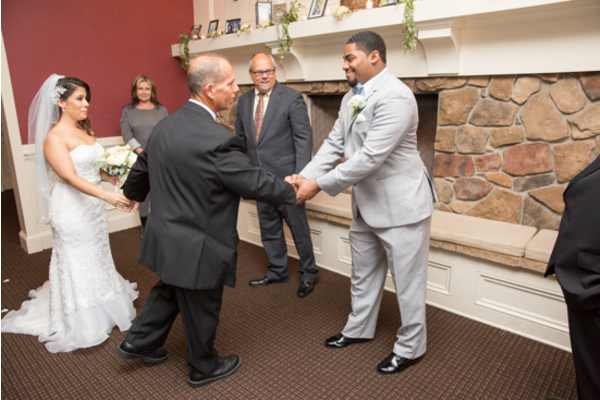 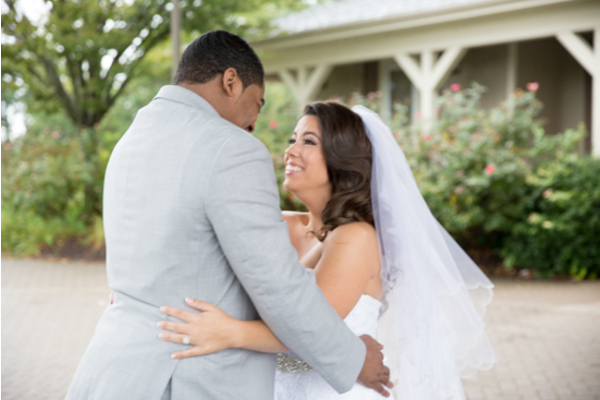 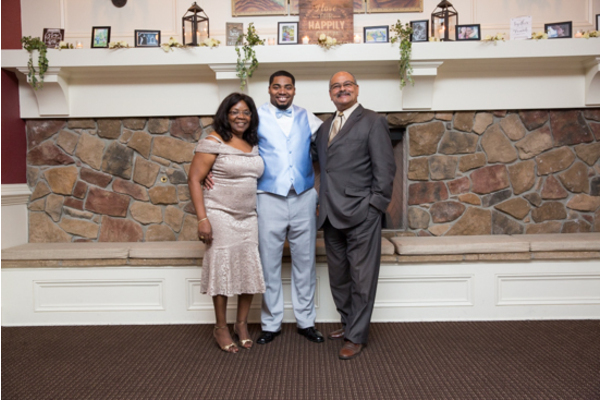 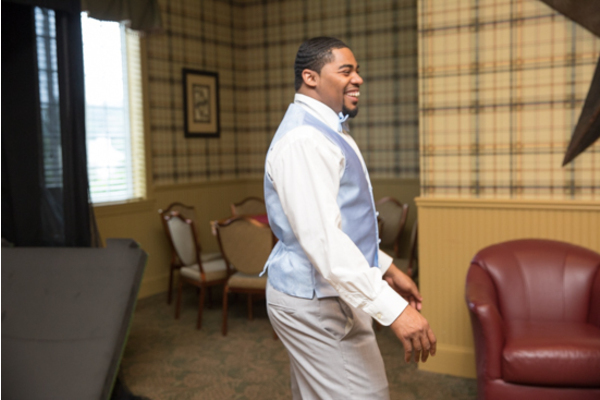 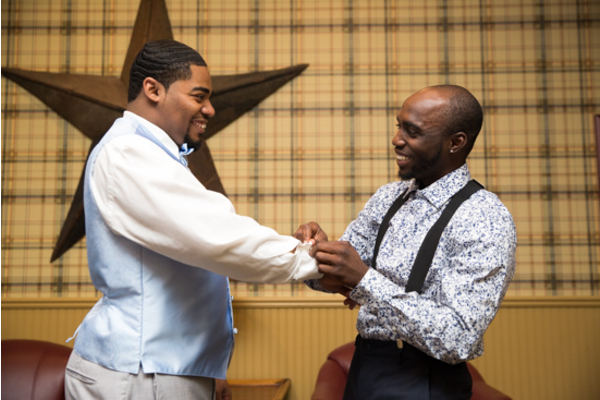 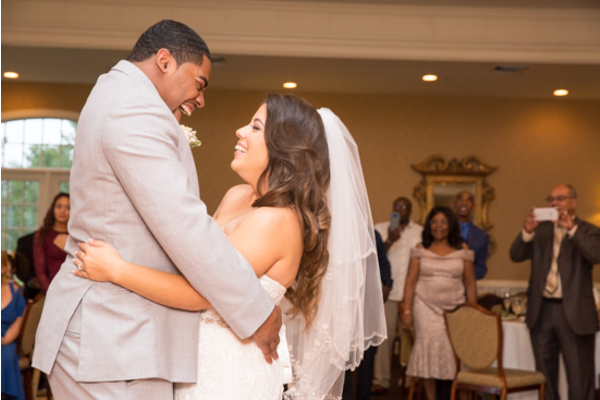 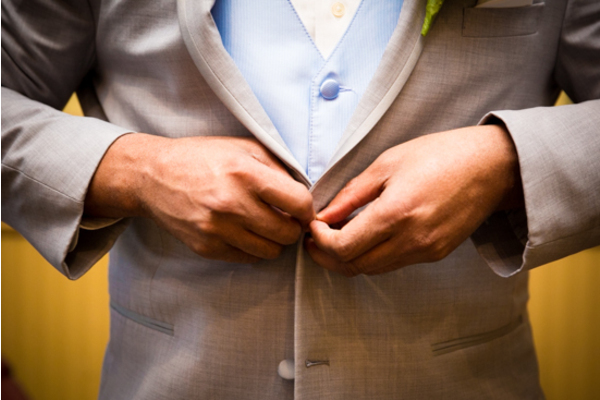 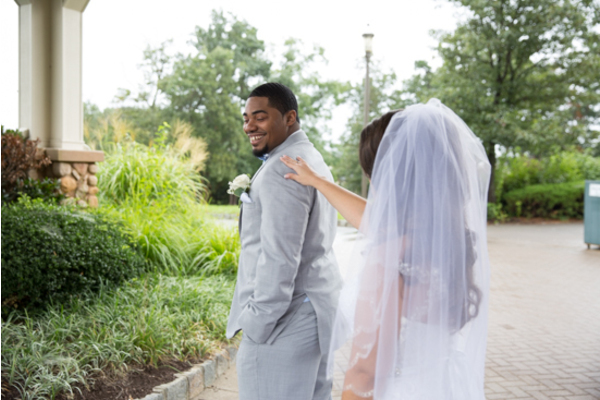 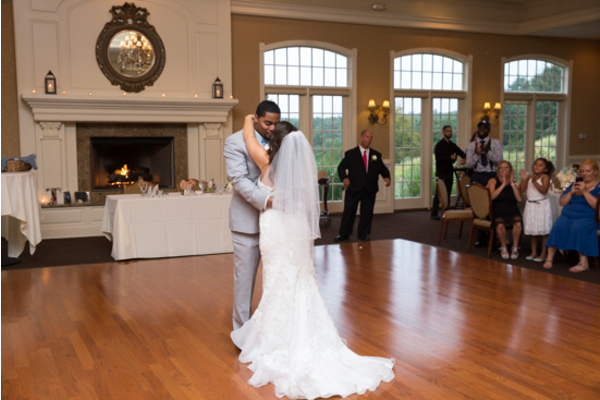 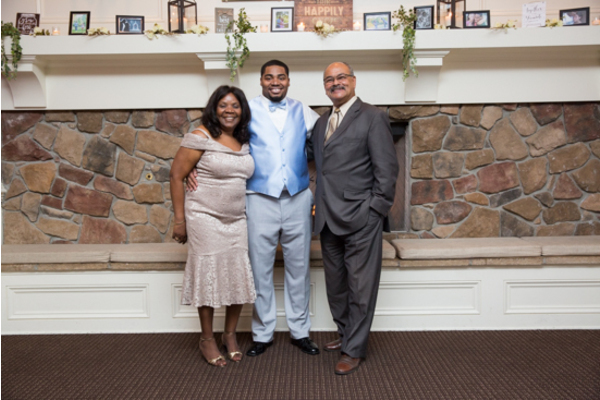 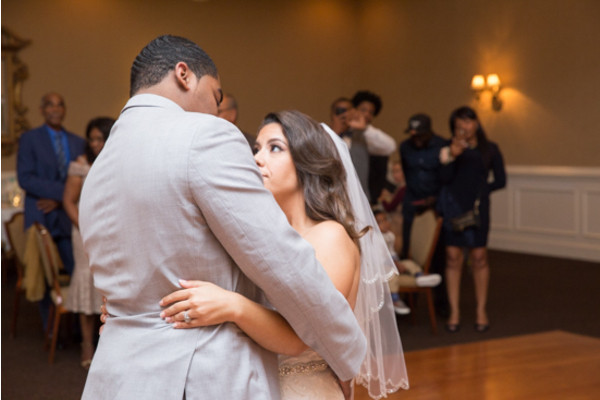 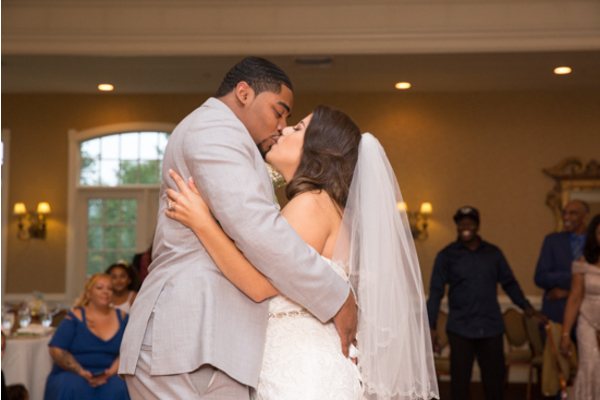 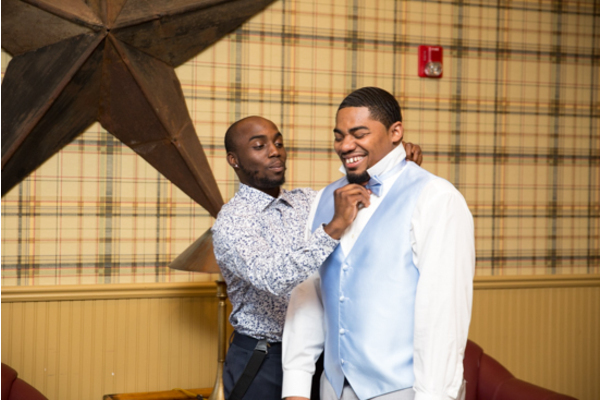 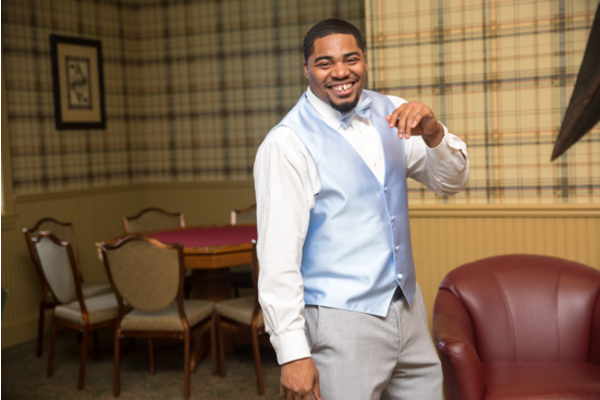 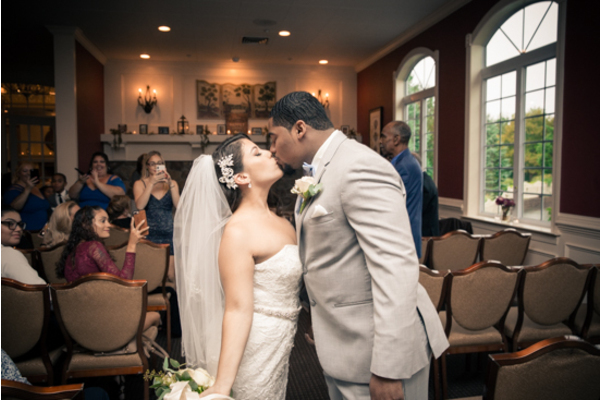 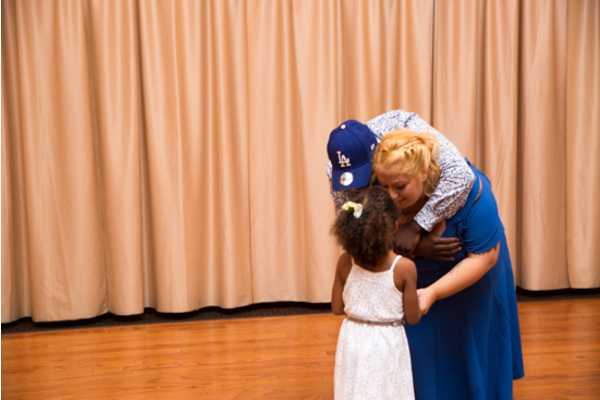 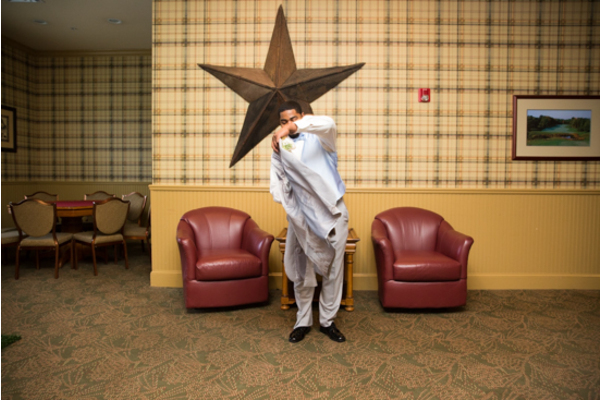 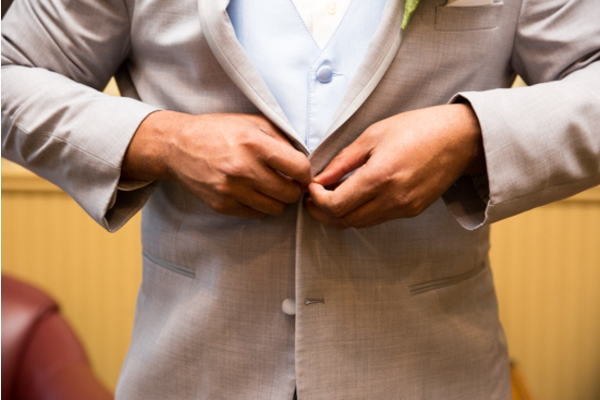 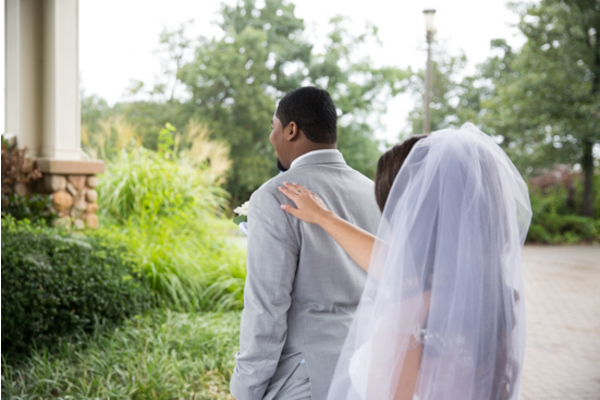 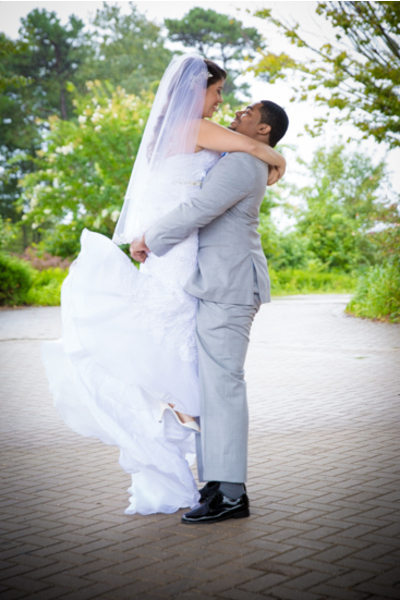 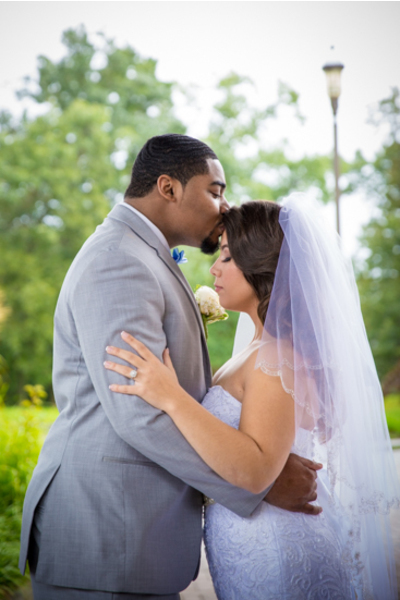 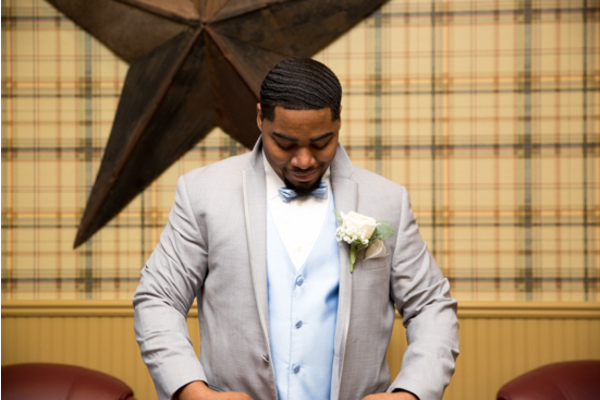 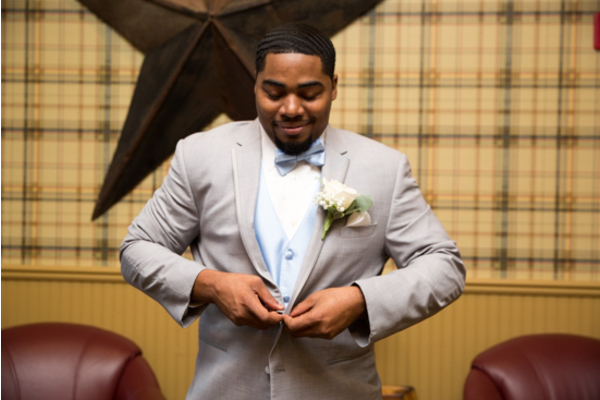 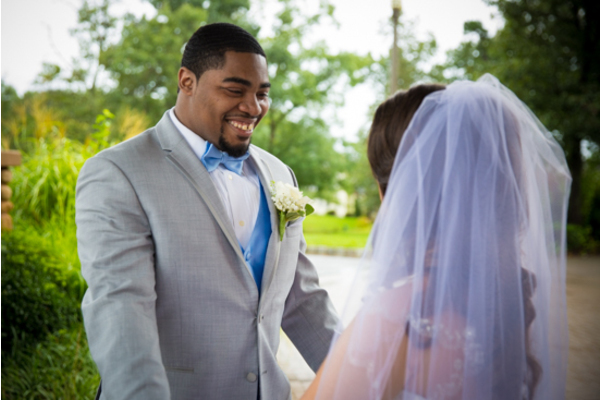 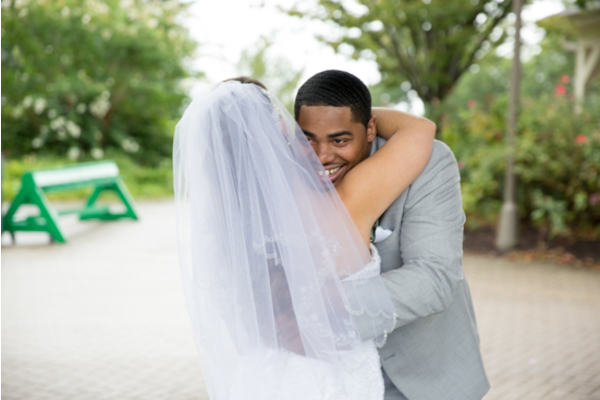 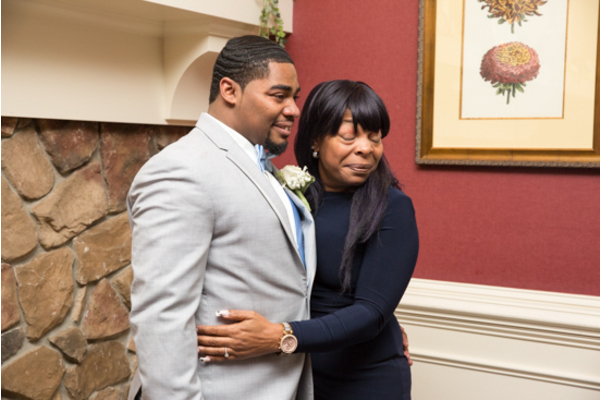 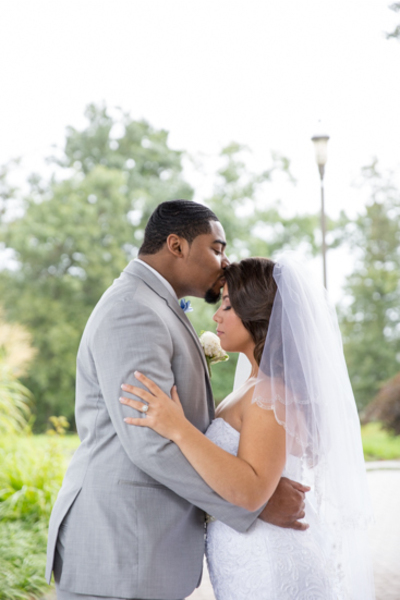 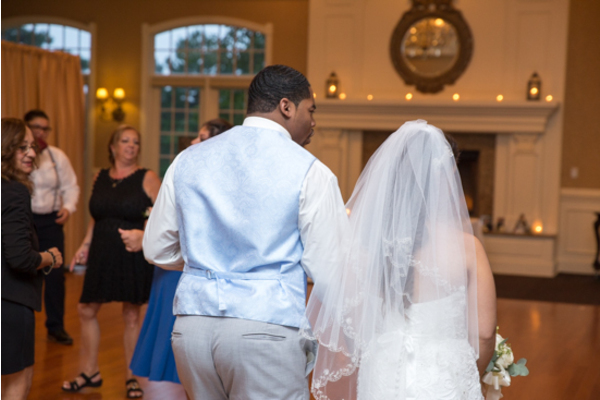 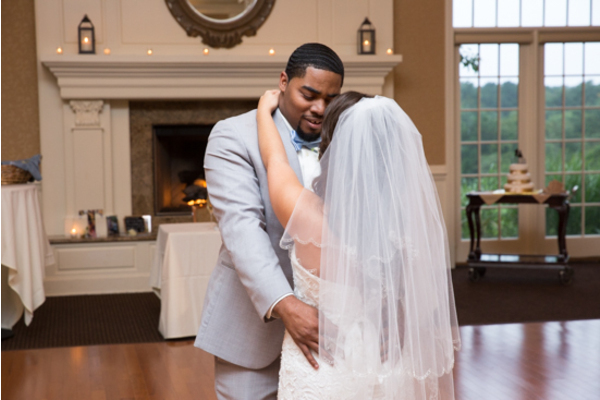 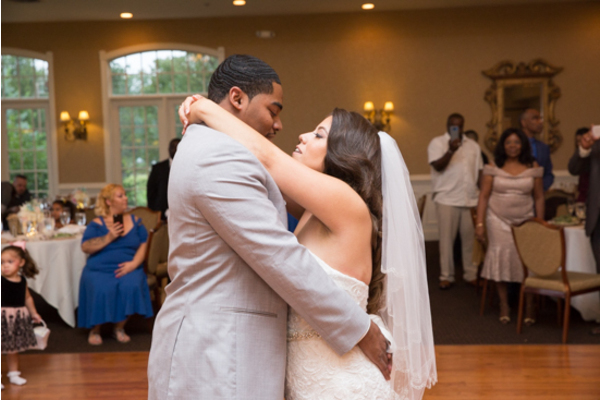 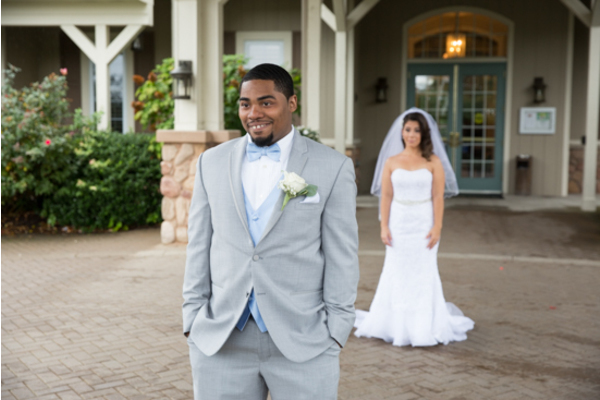 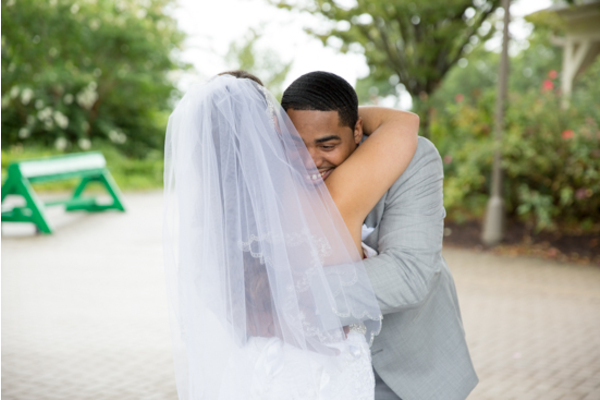 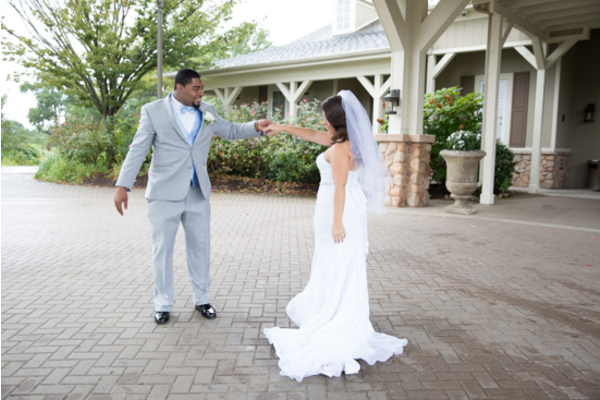 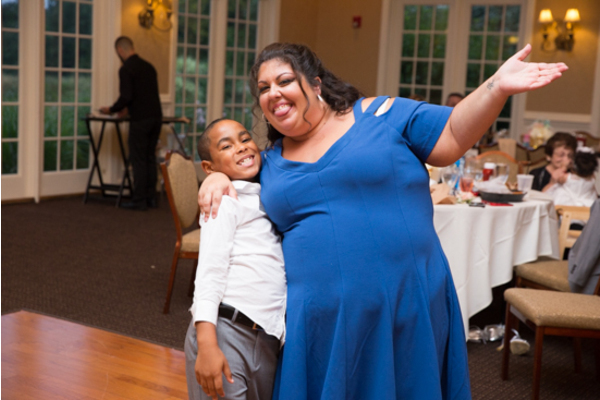 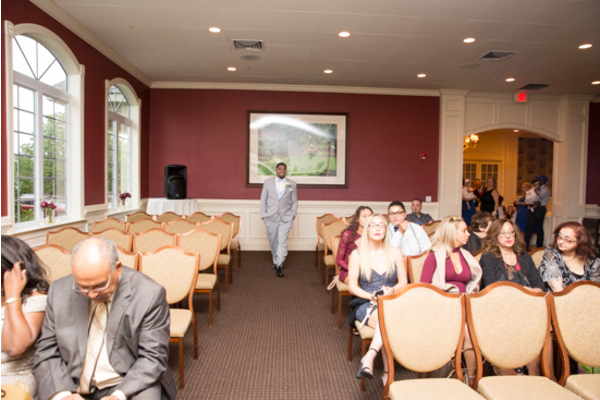 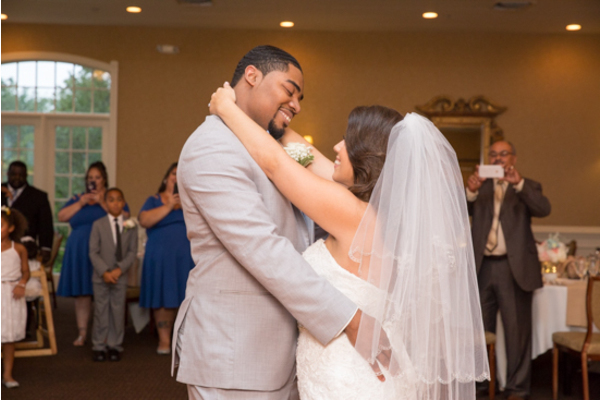 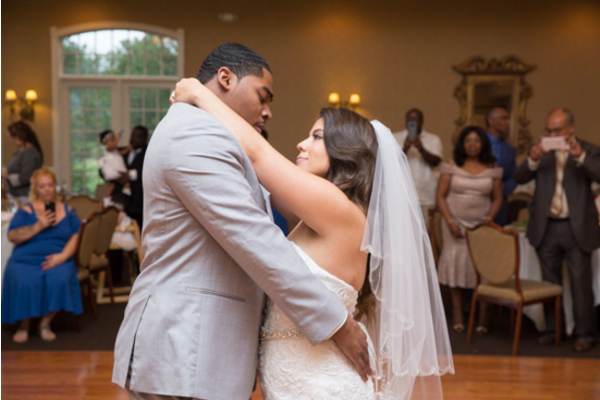 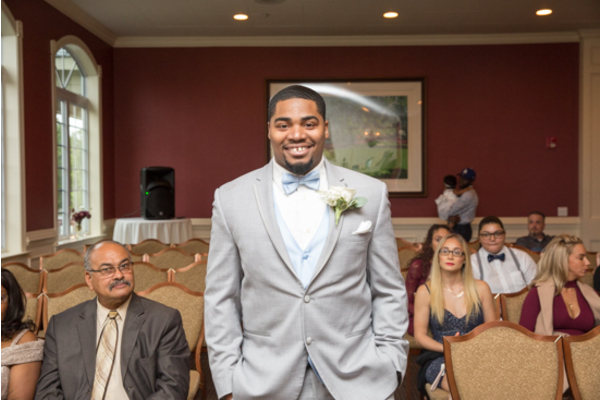 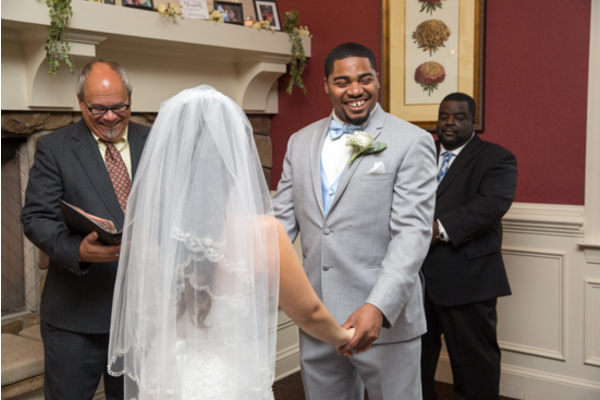 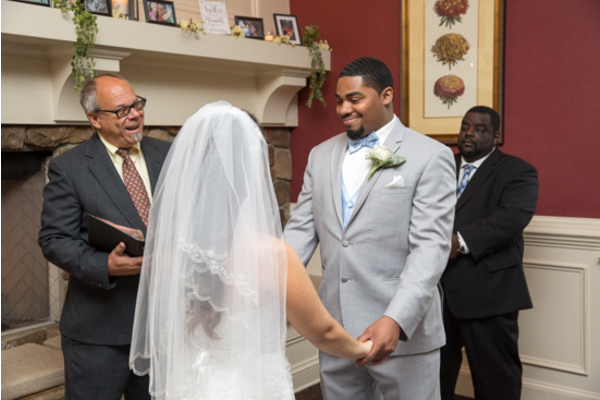 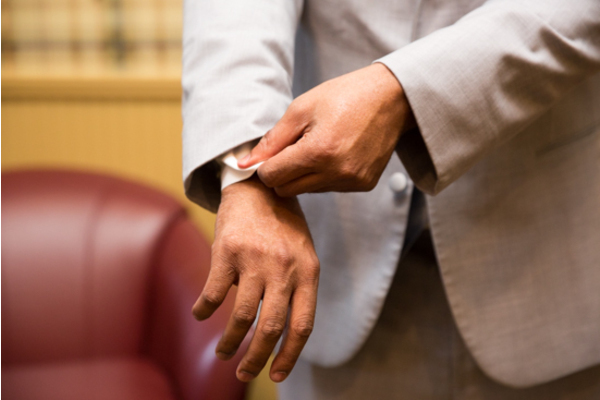 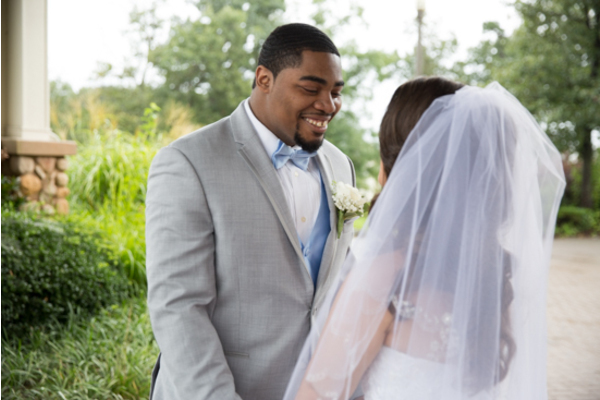 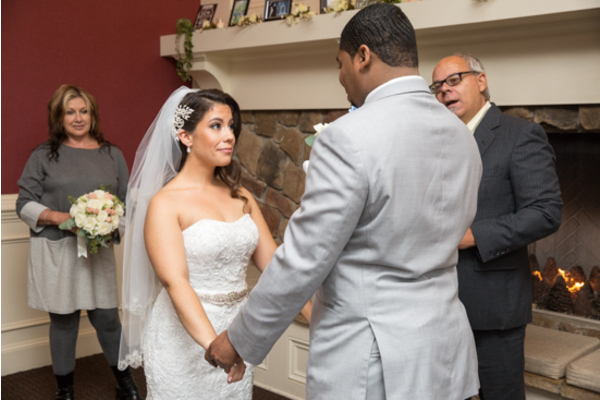 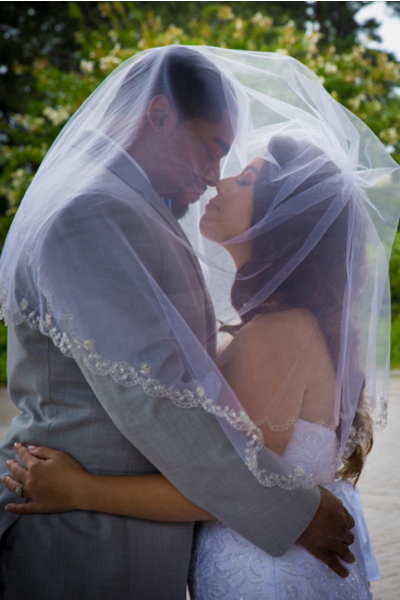 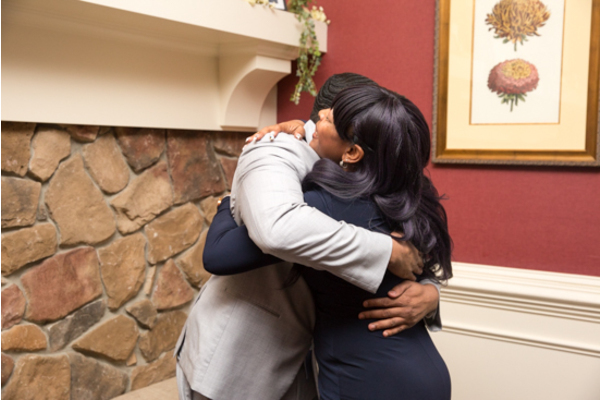 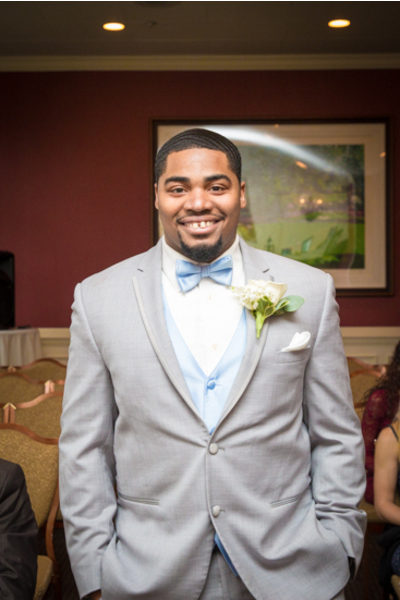 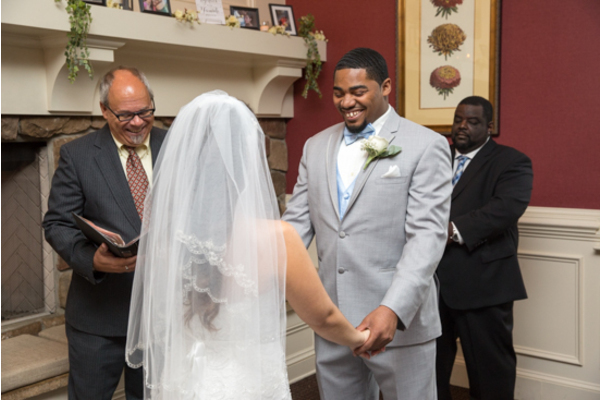 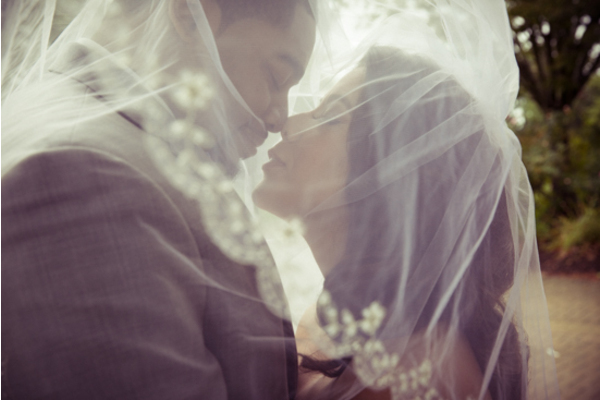 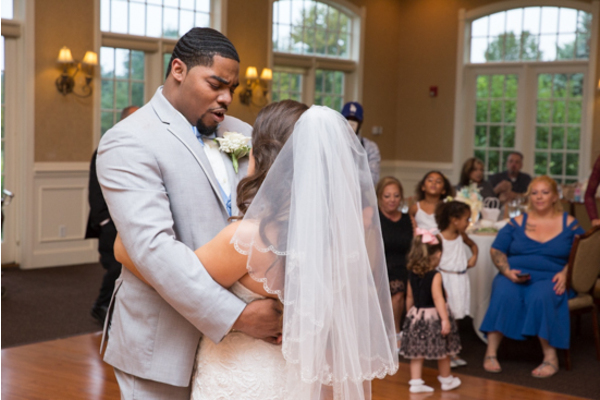 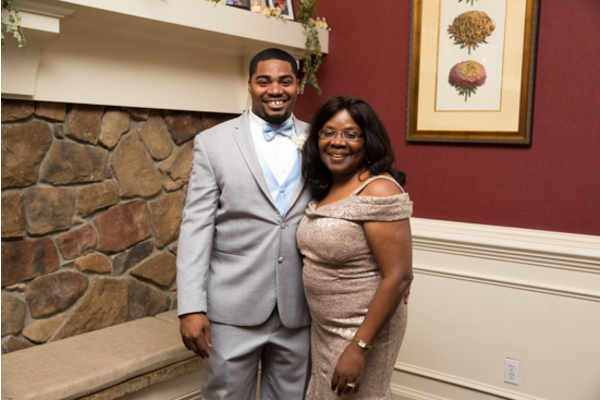 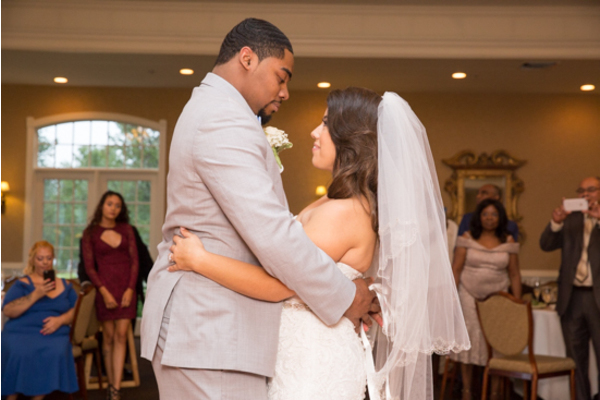 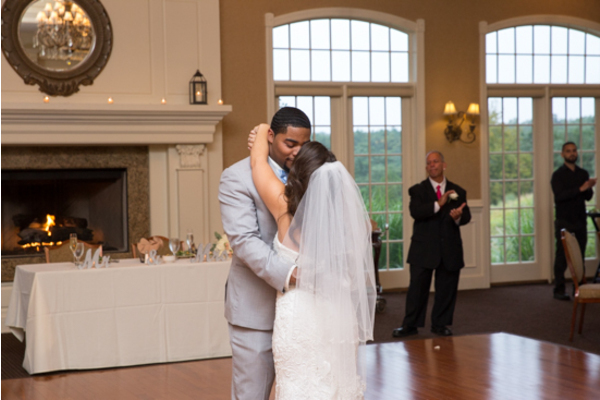 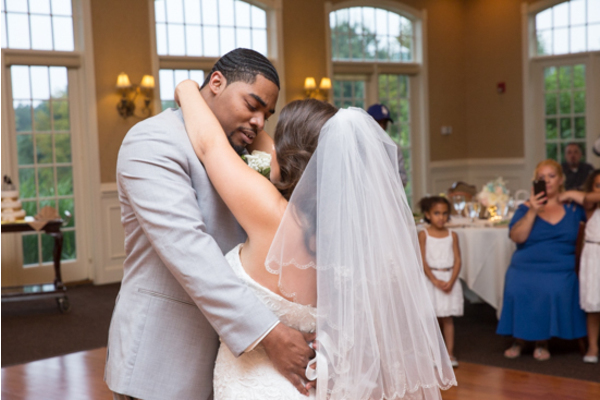 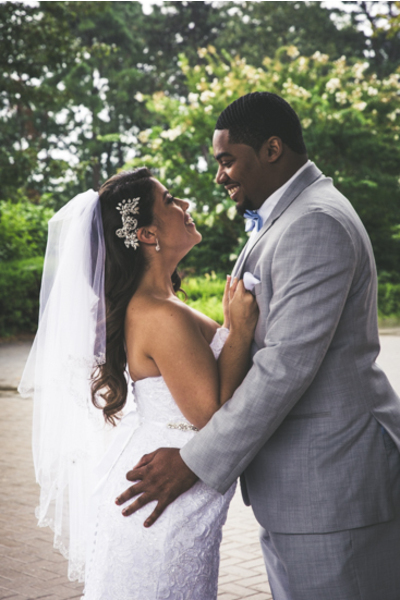 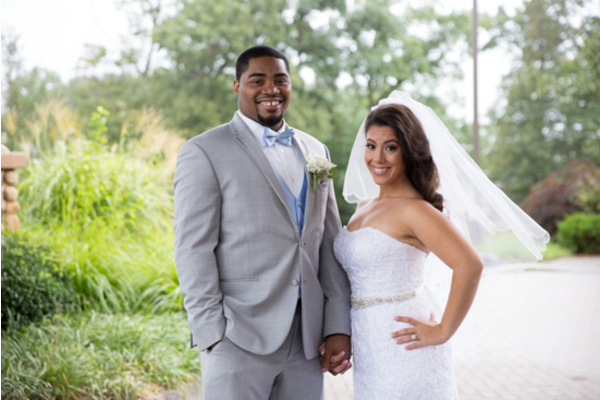 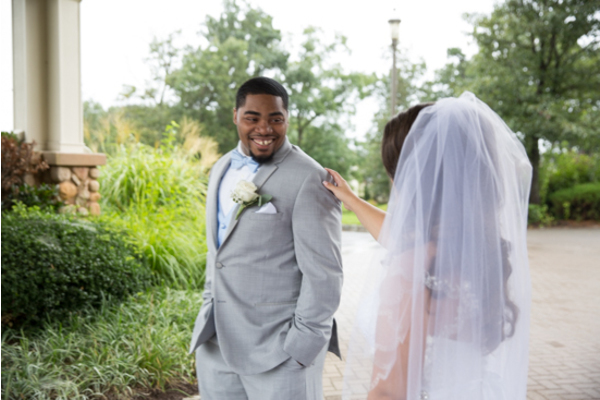 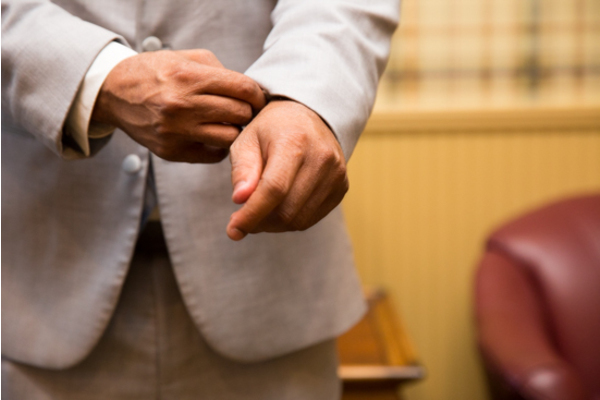 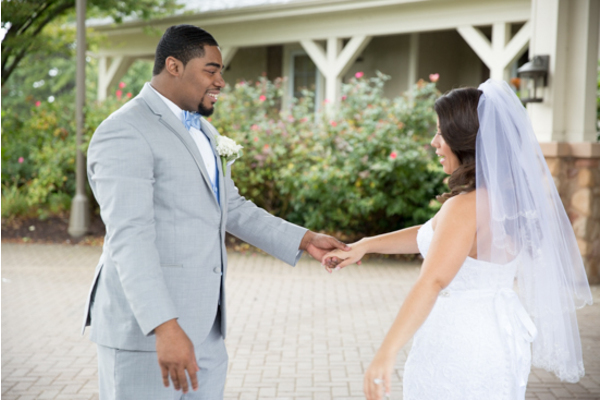 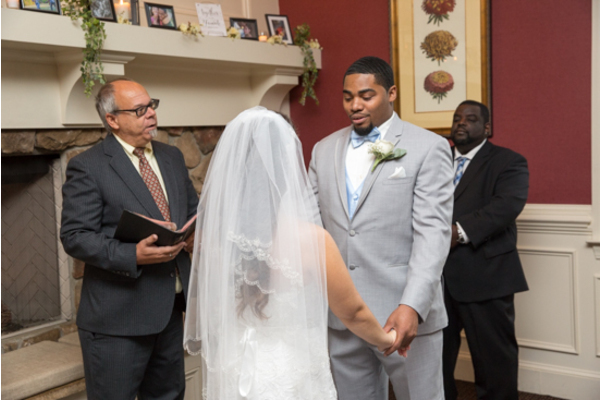 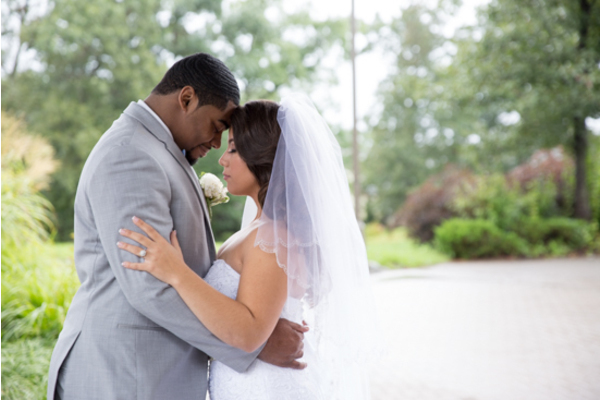 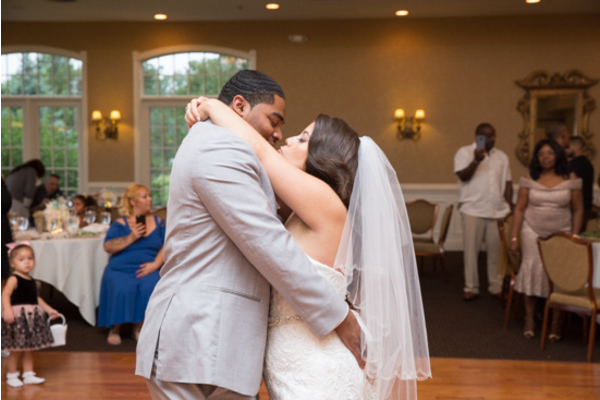 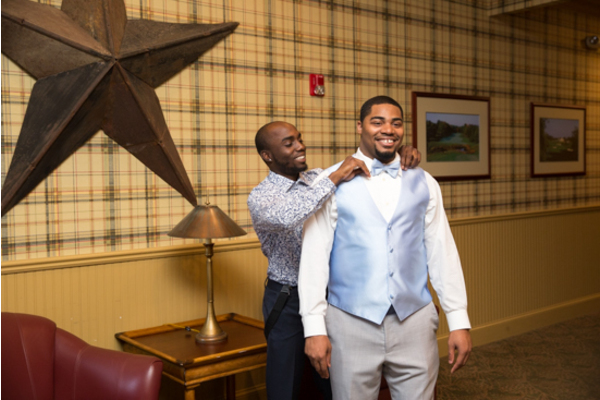 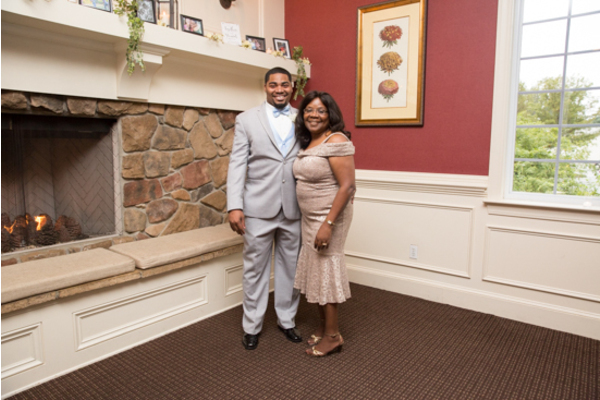 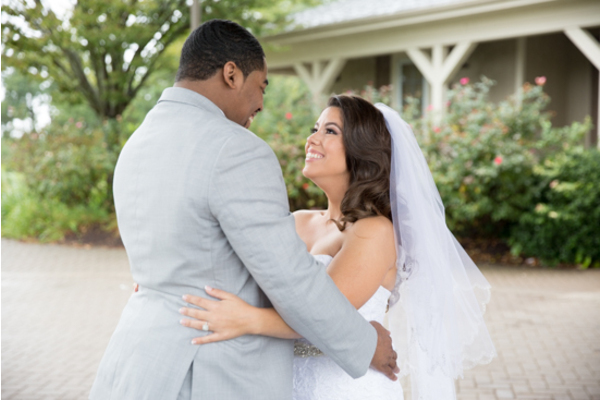 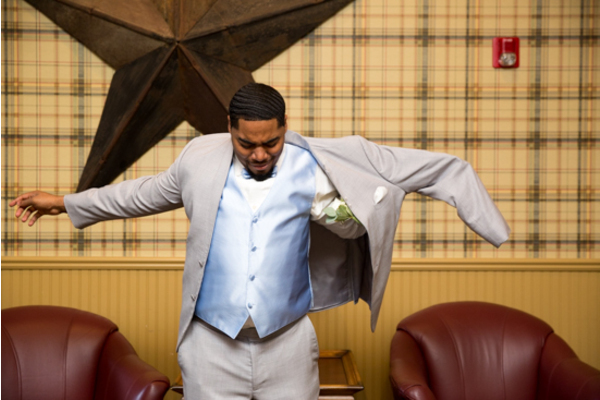 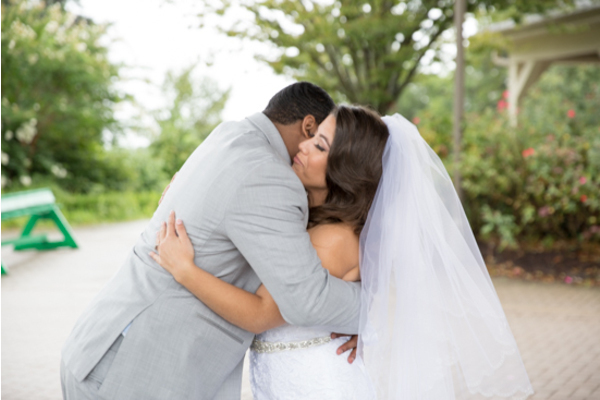 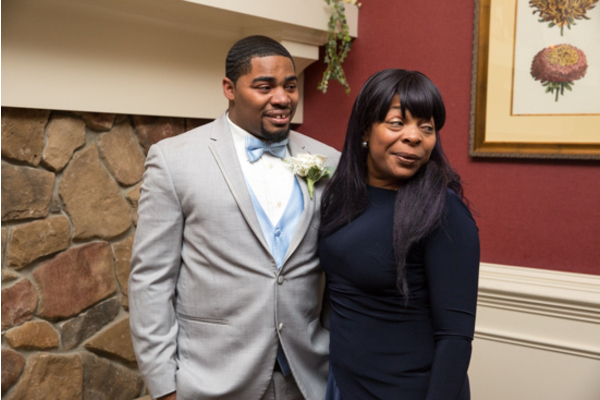 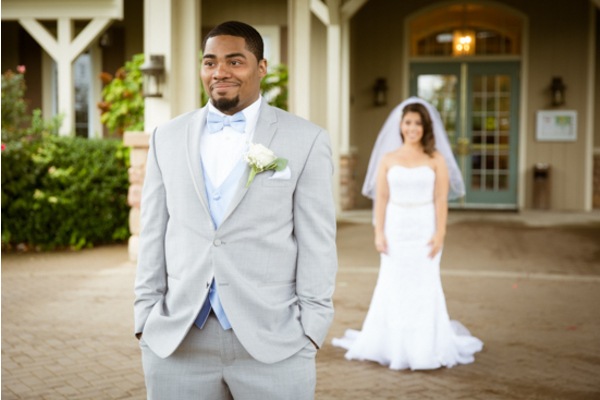 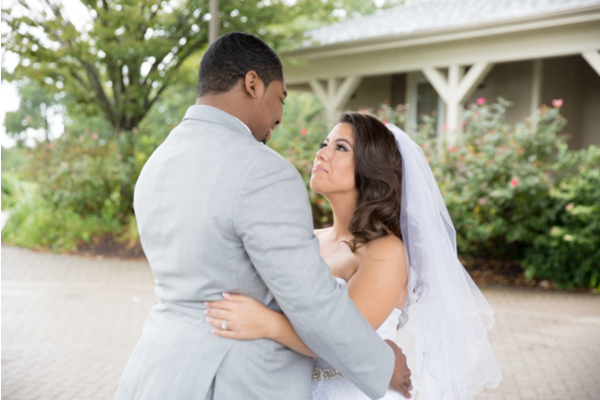 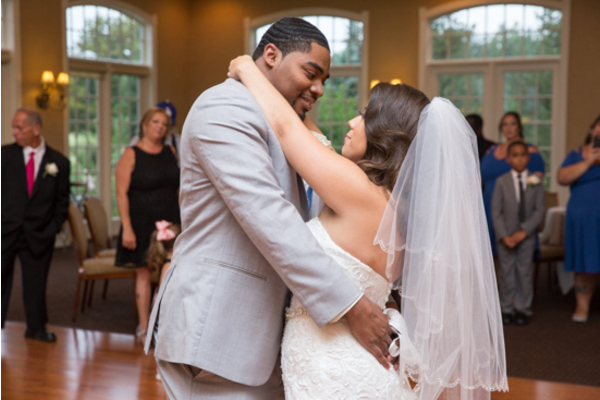 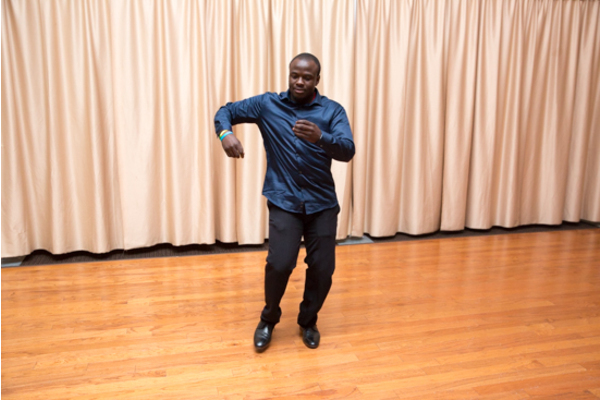 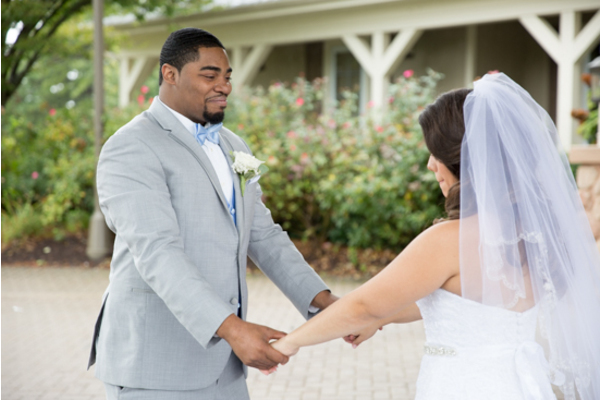 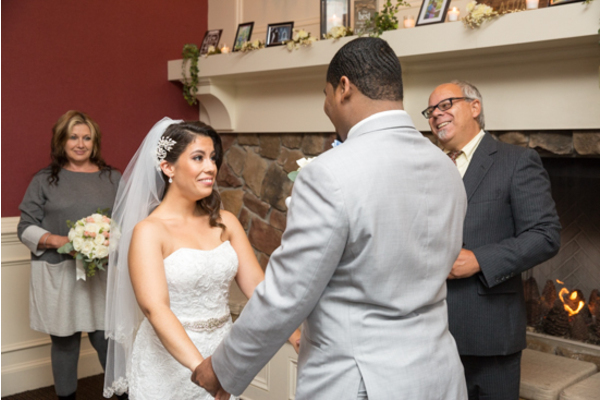 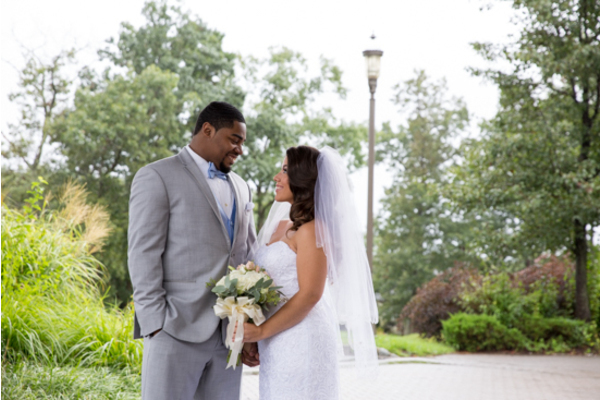 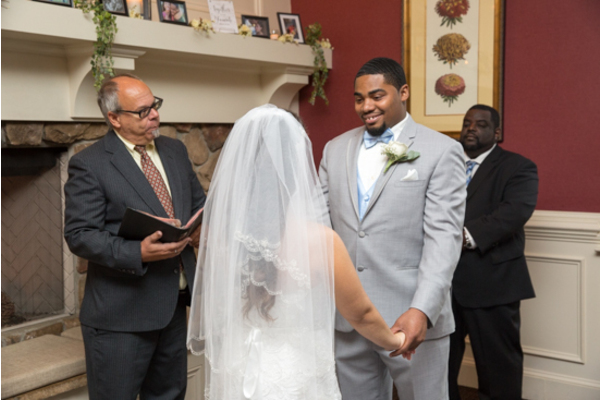 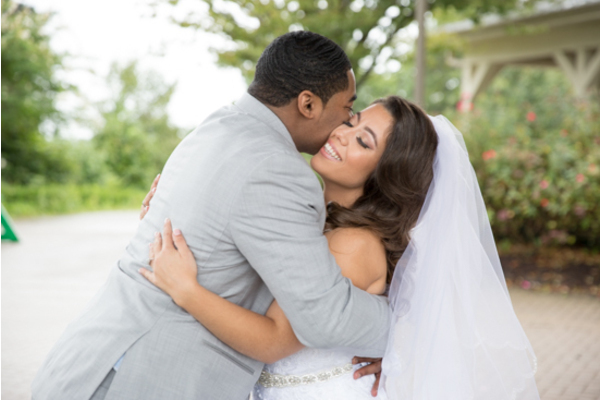 At the end of the alter, Antonio was excited to be reunited with his lady once again! 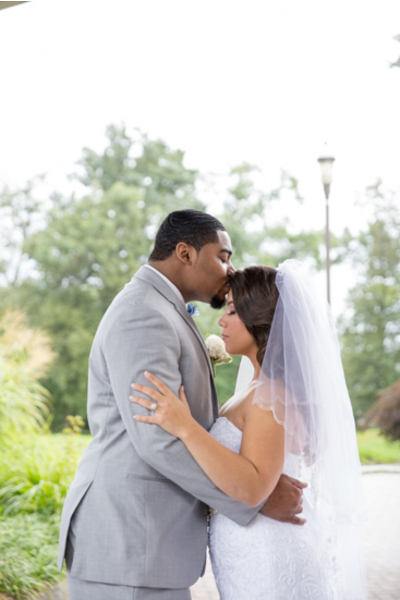 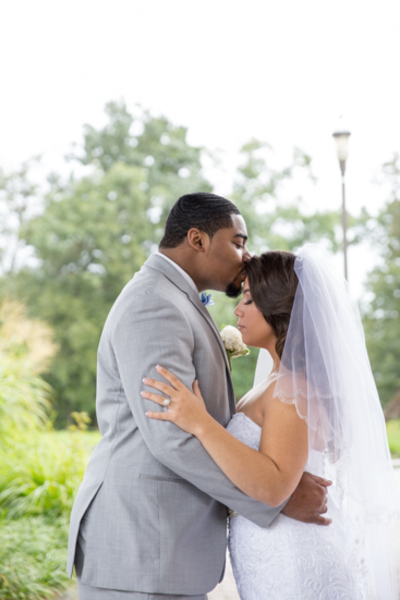 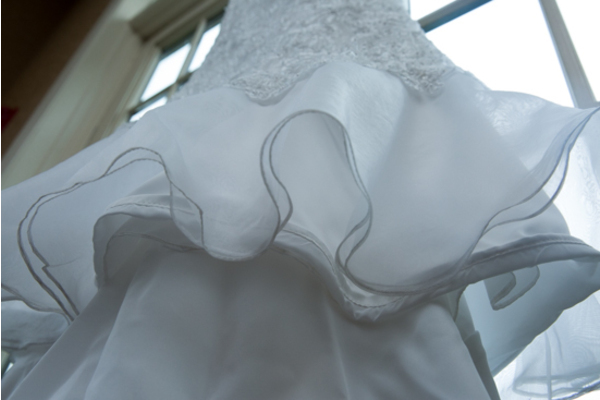 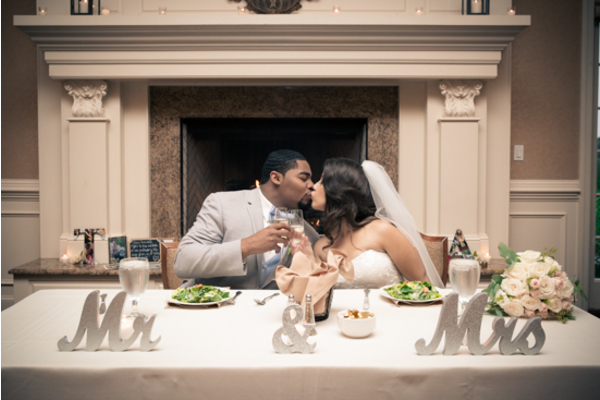 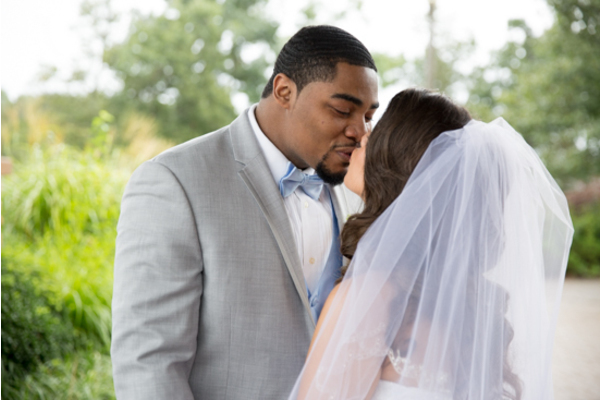 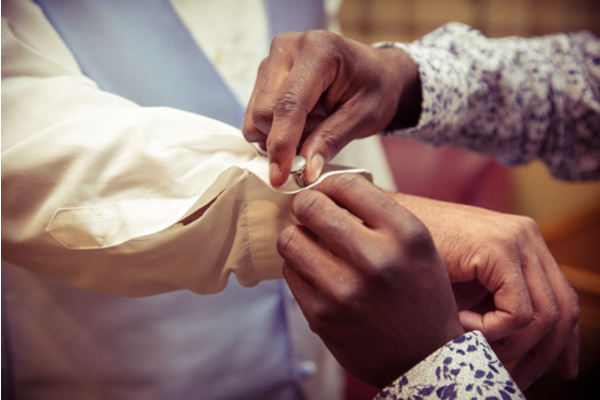 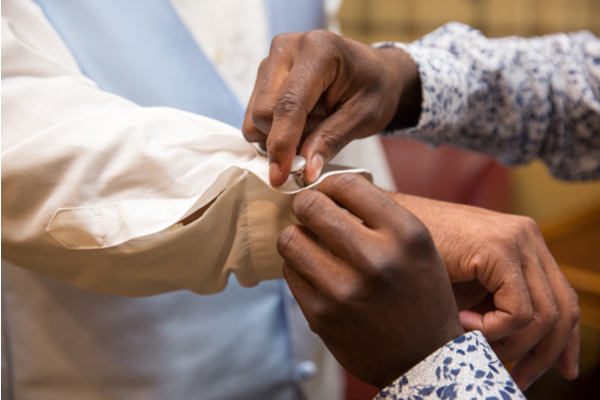 After the vows were complete, the bride and groom shared their first kiss as husband and wife. 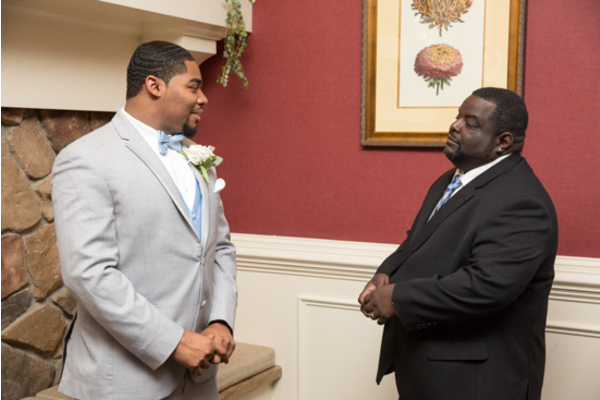 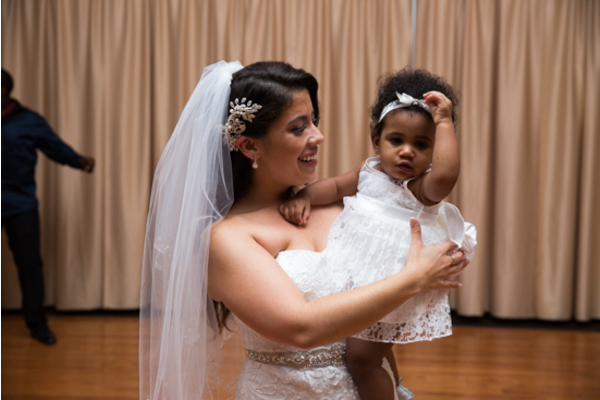 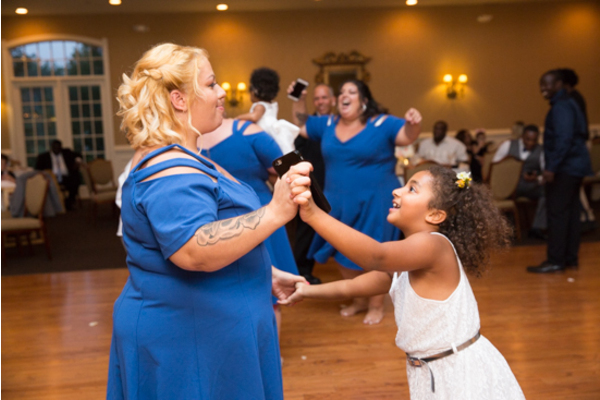 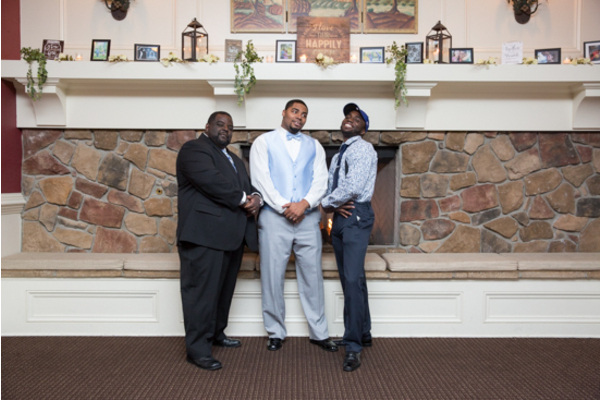 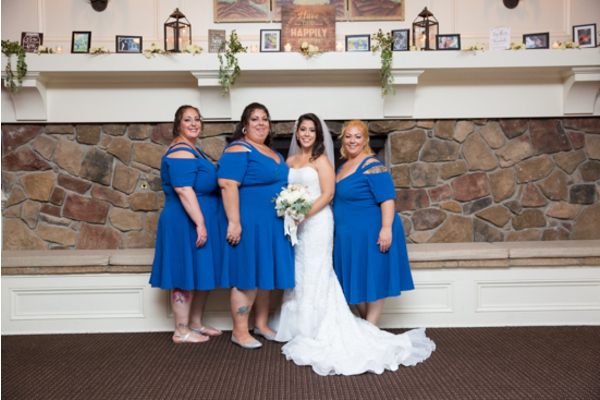 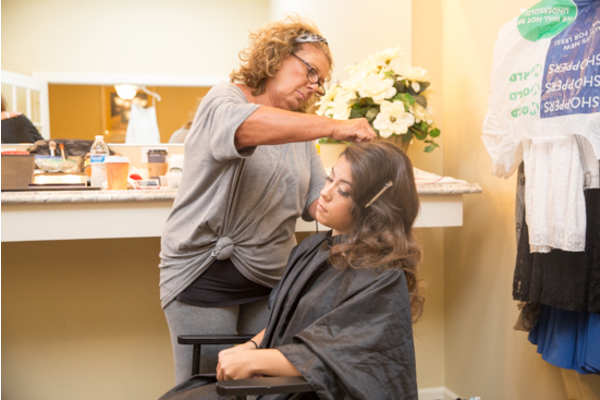 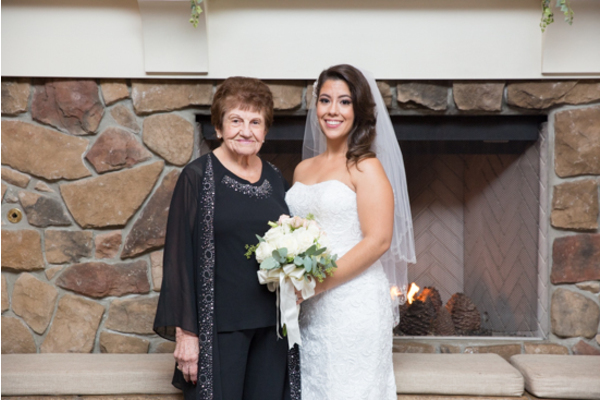 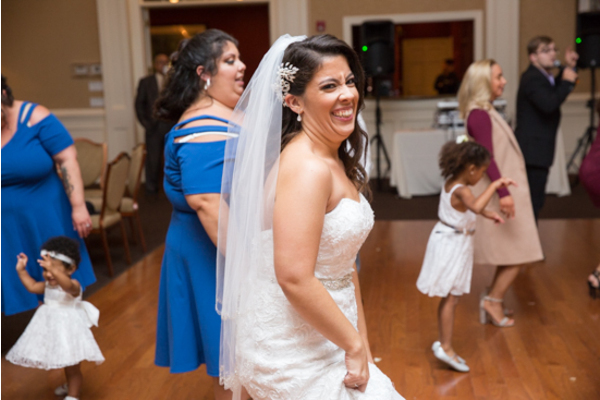 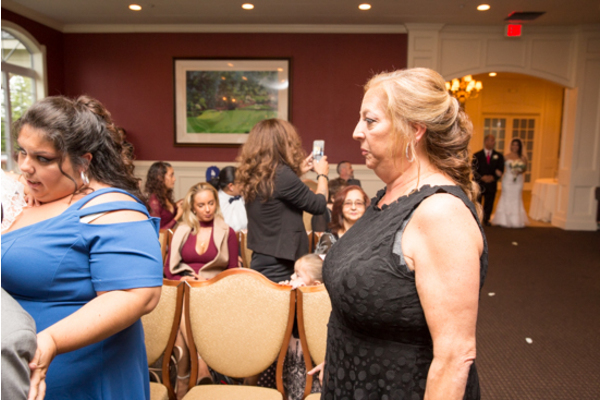 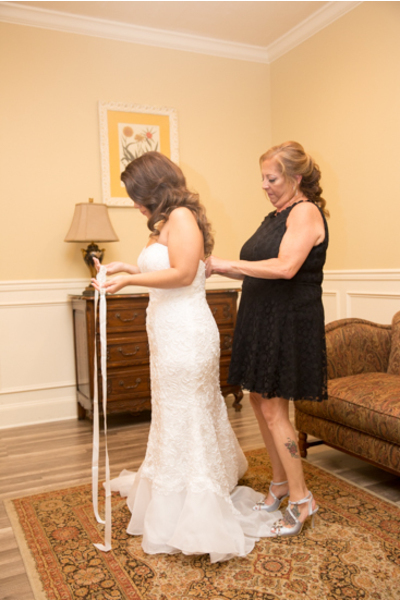 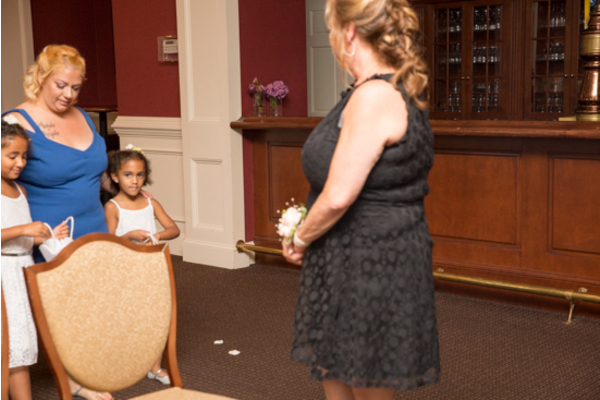 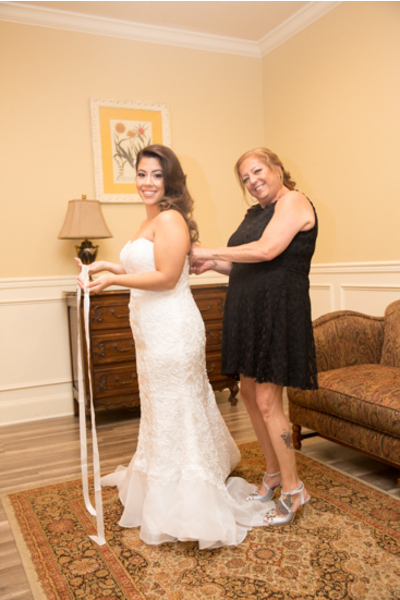 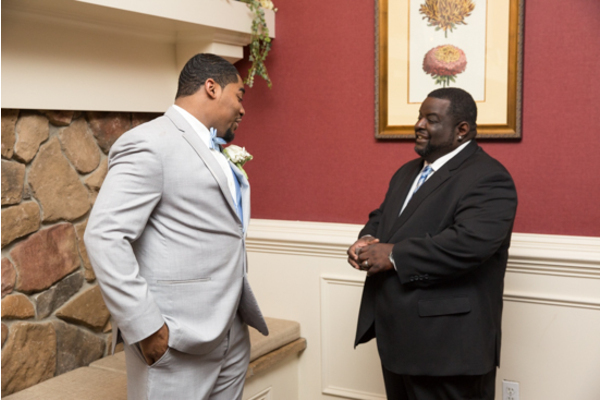 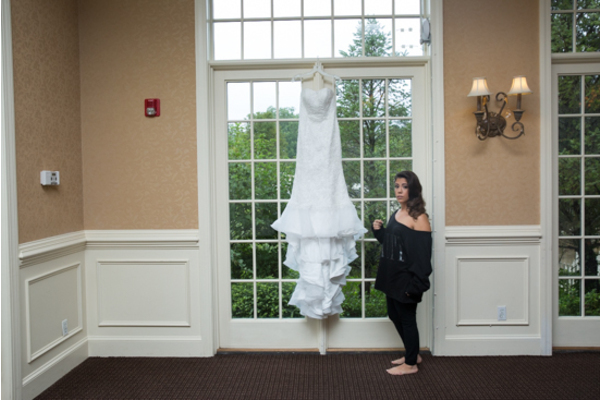 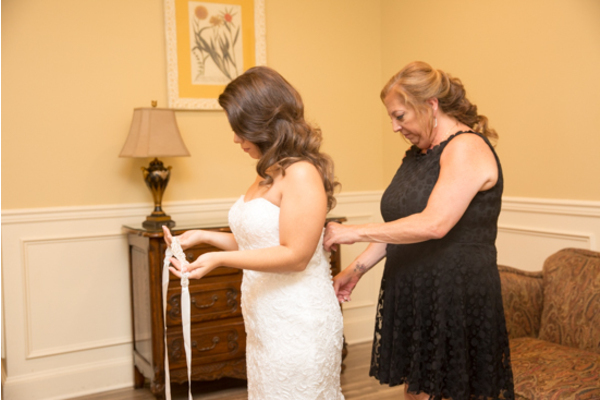 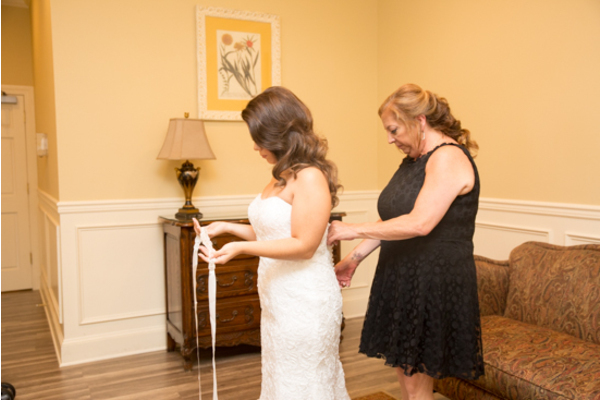 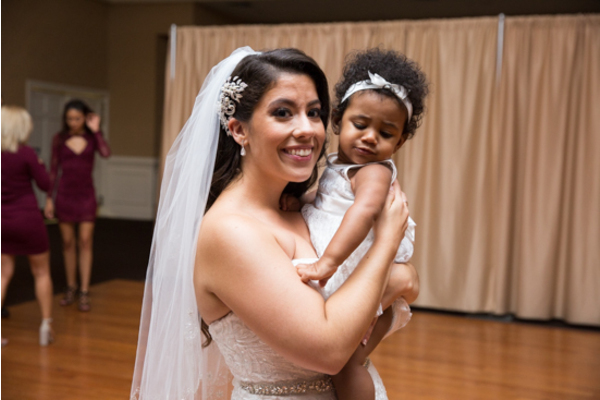 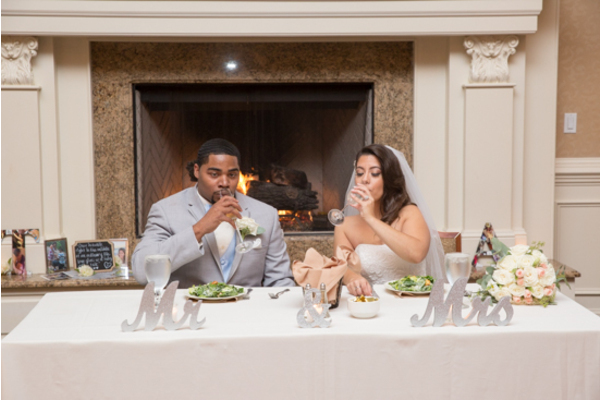 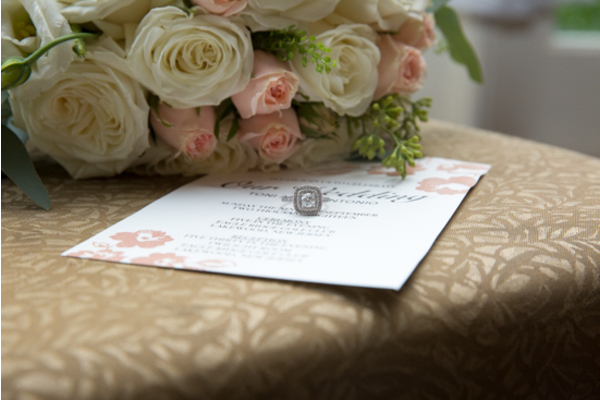 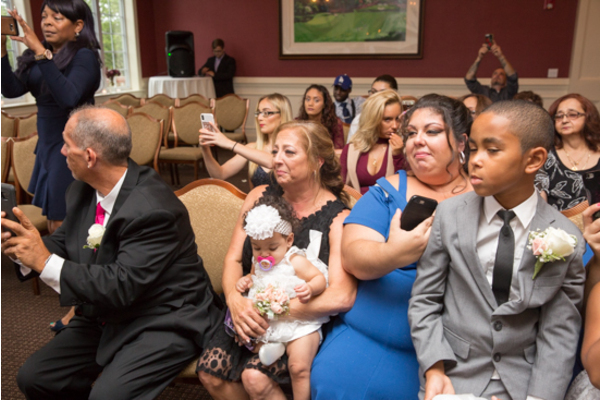 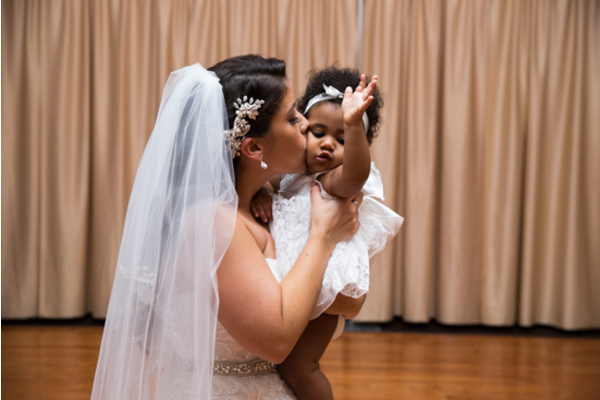 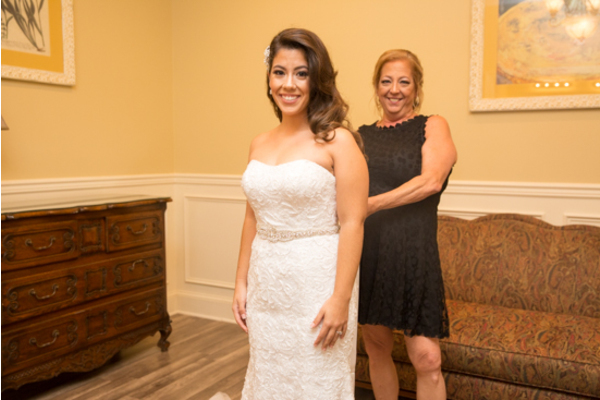 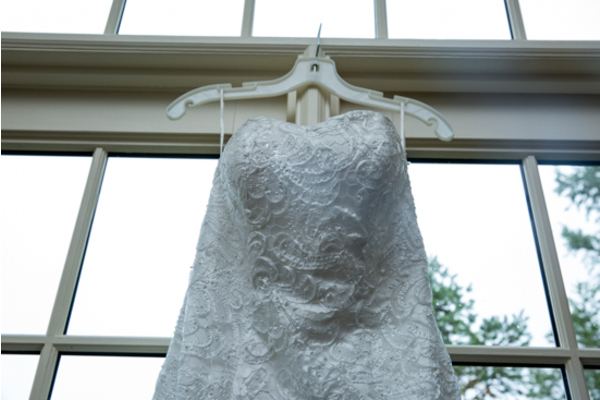 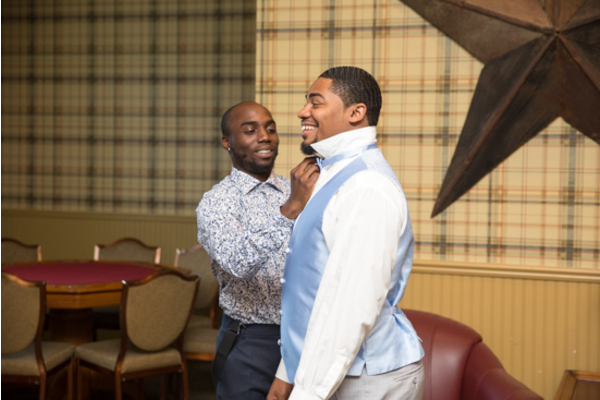 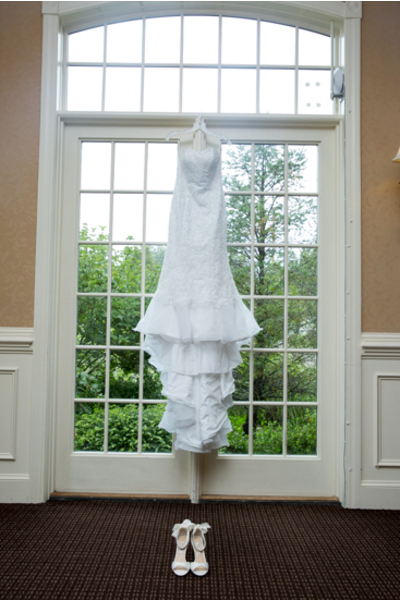 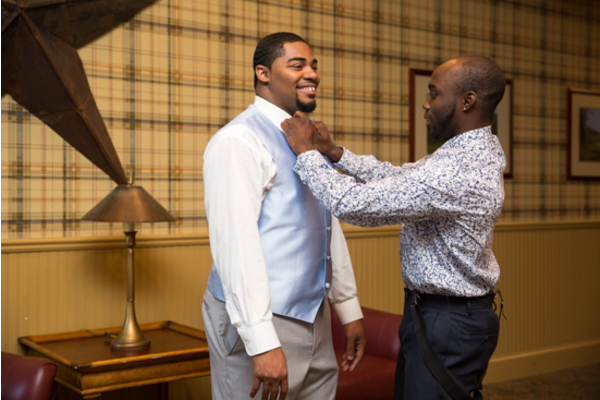 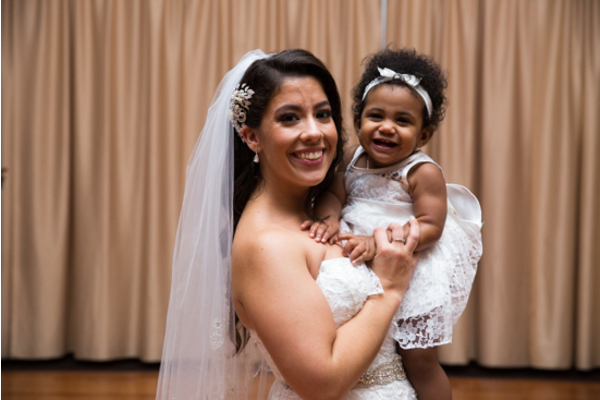 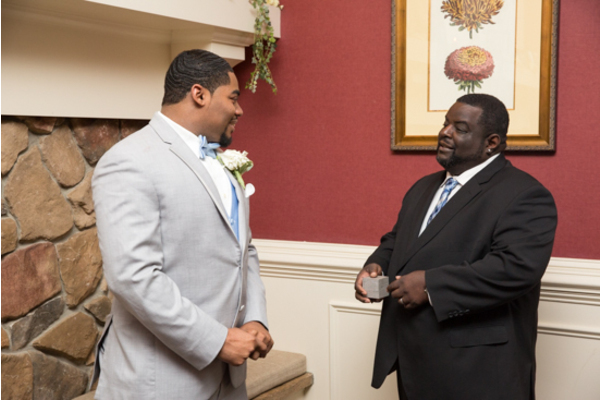 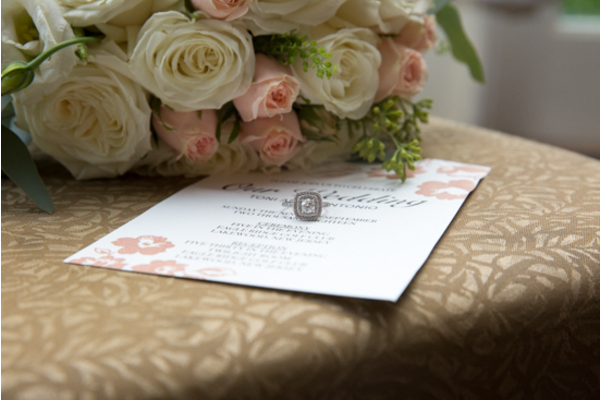 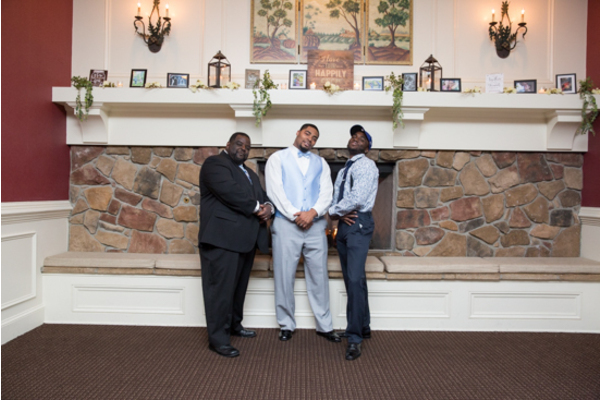 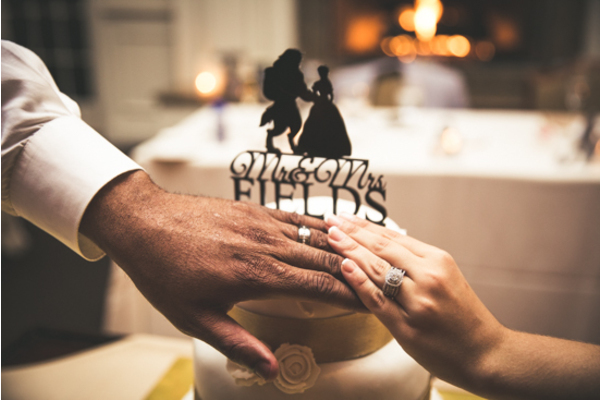 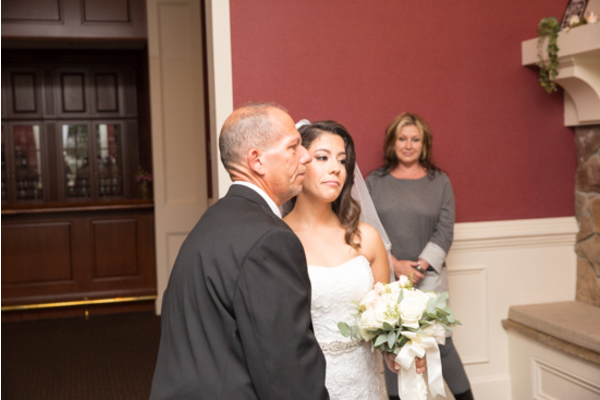 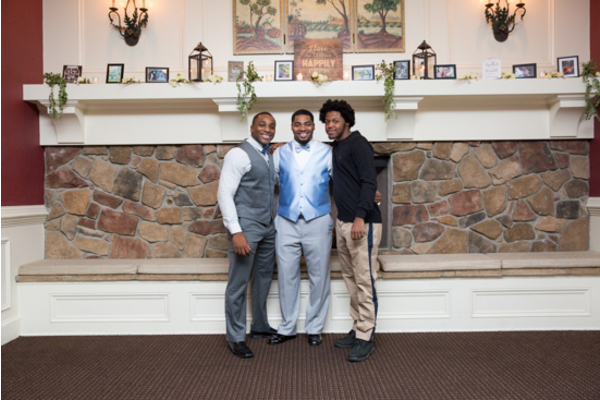 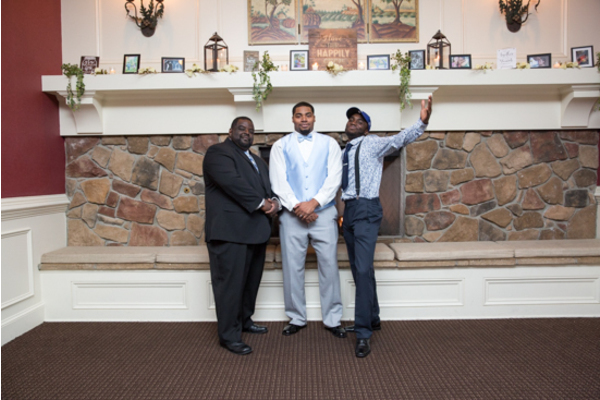 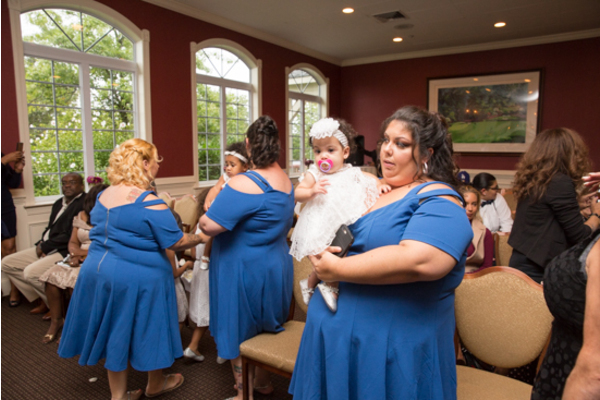 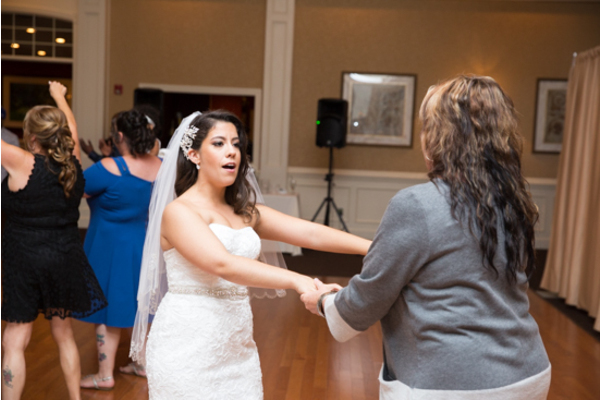 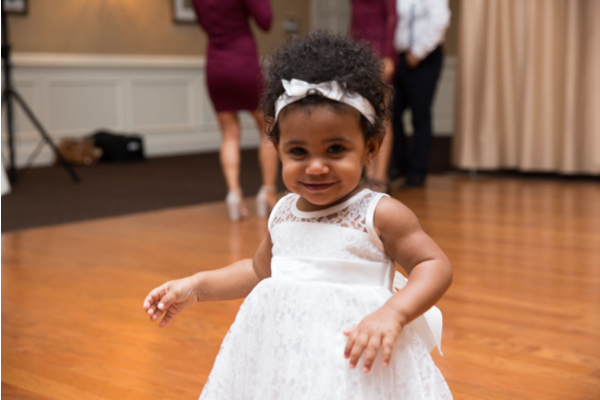 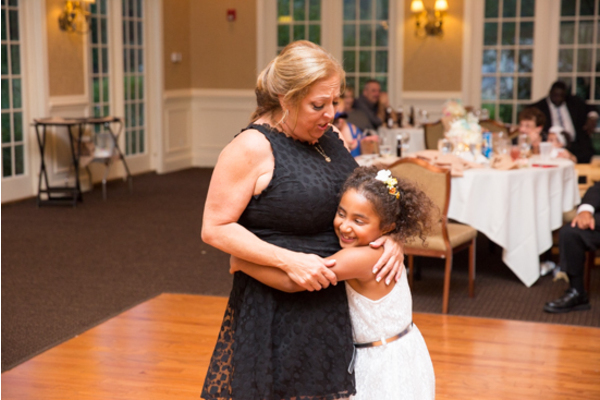 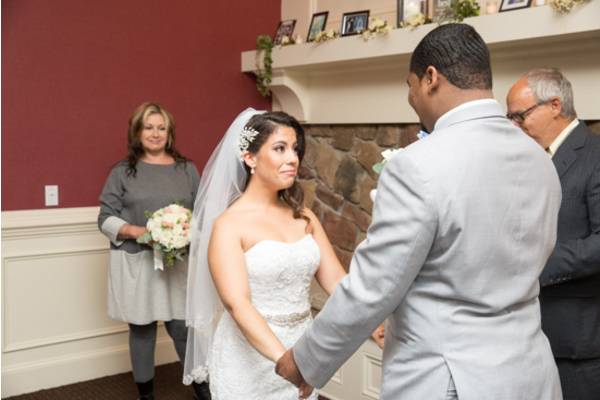 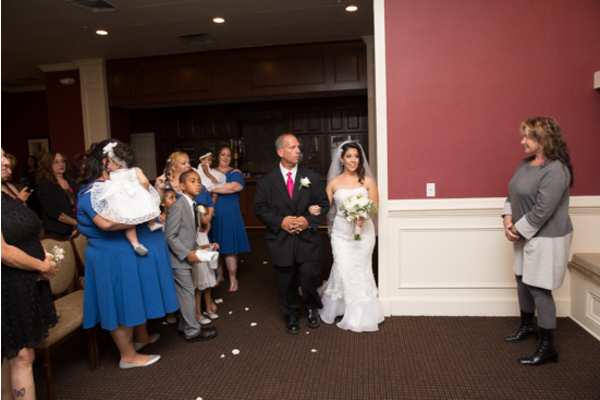 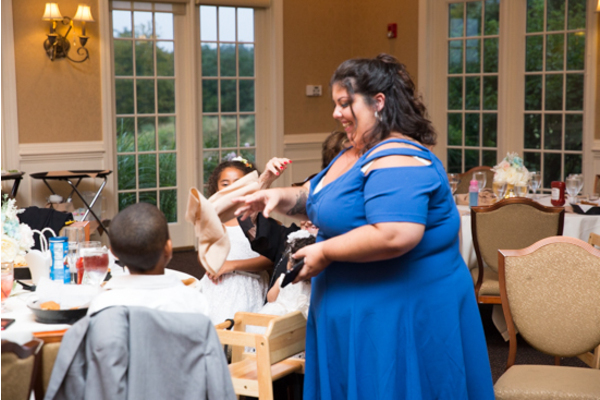 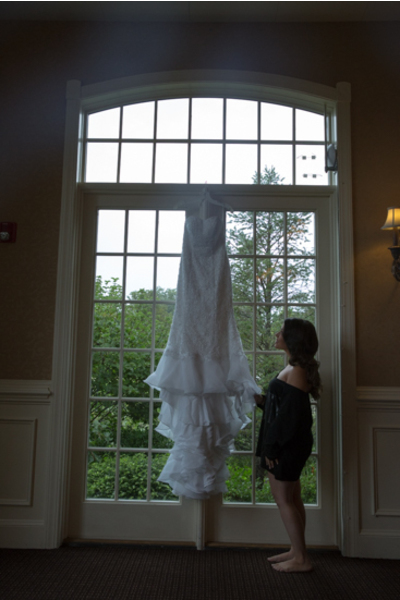 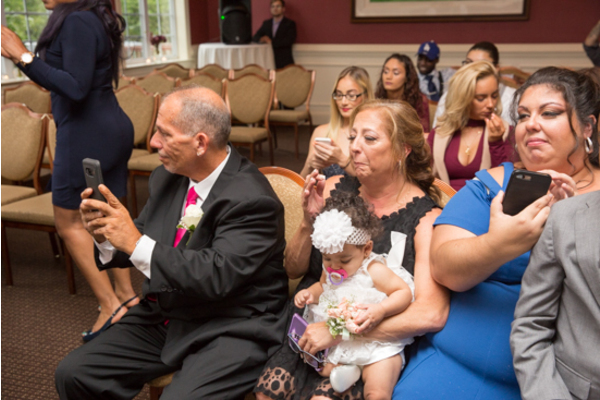 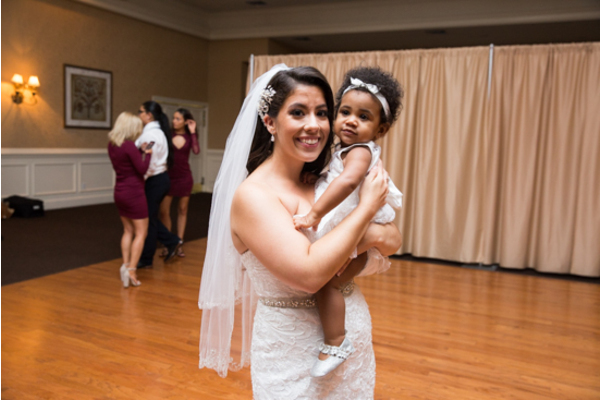 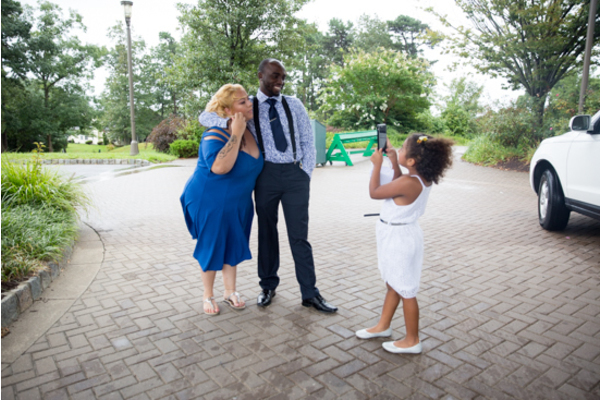 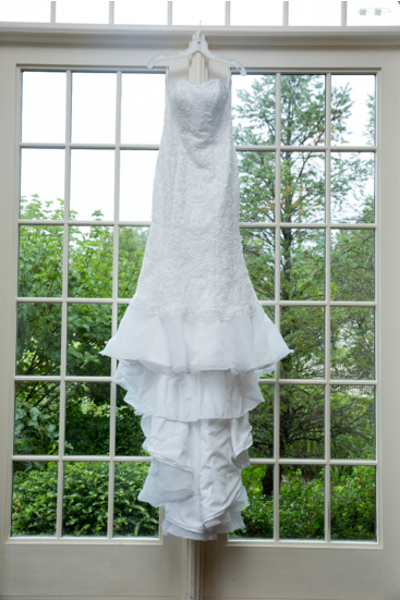 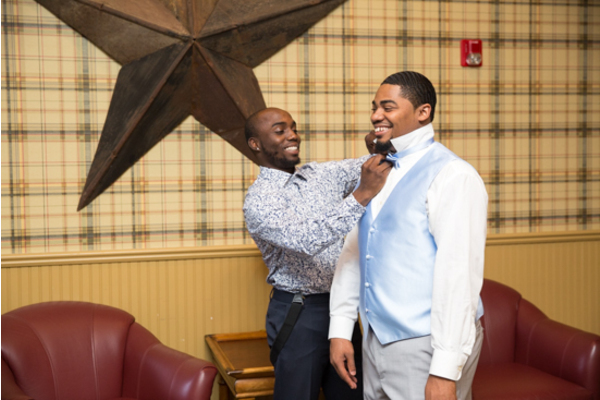 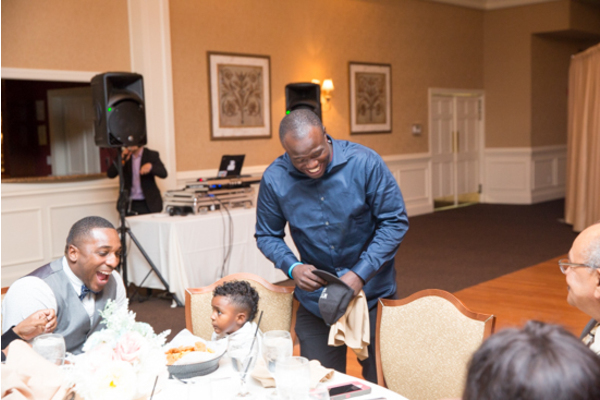 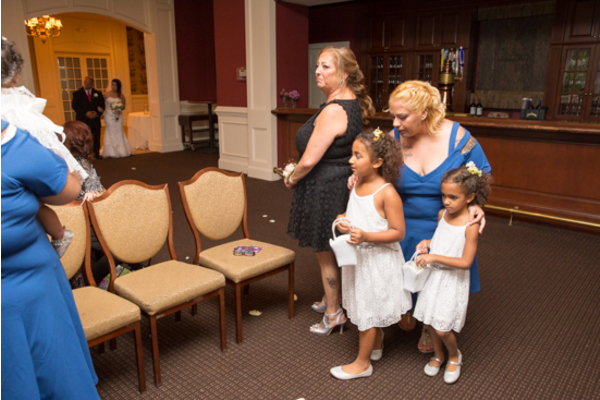 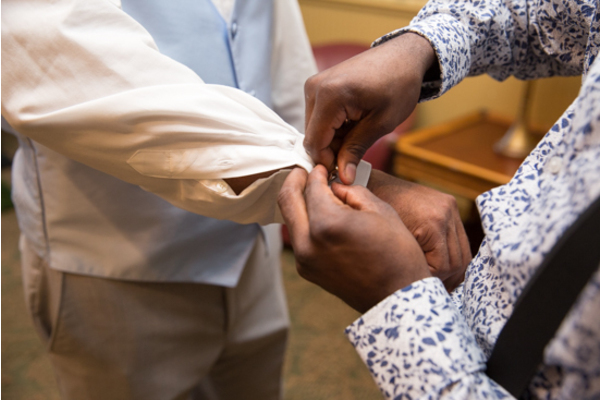 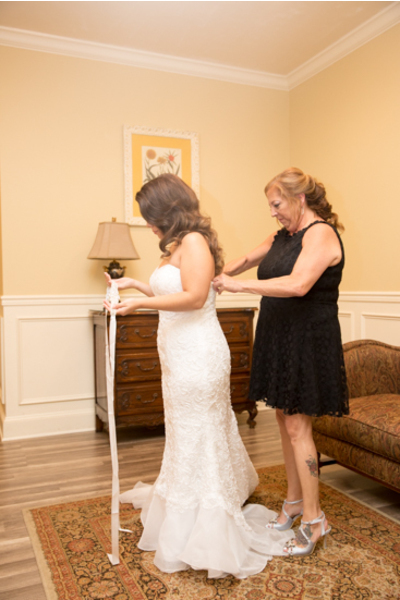 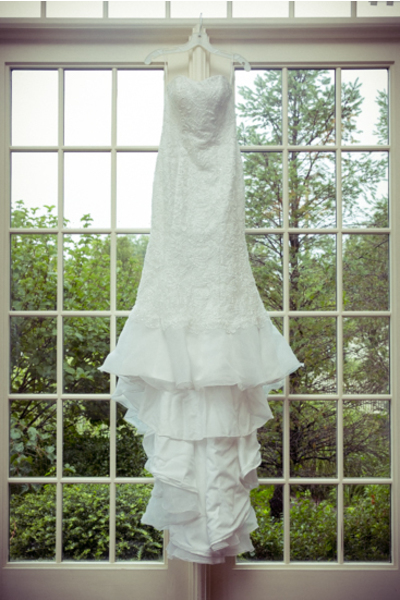 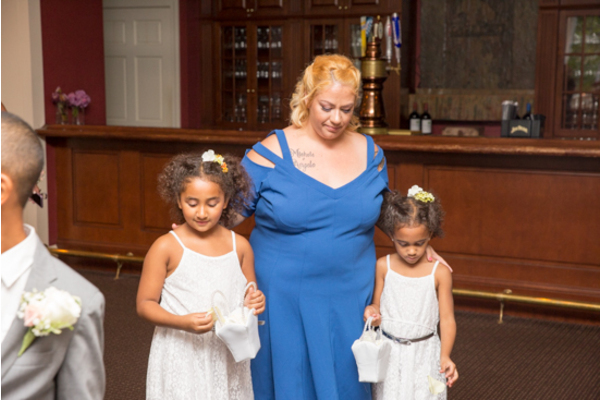 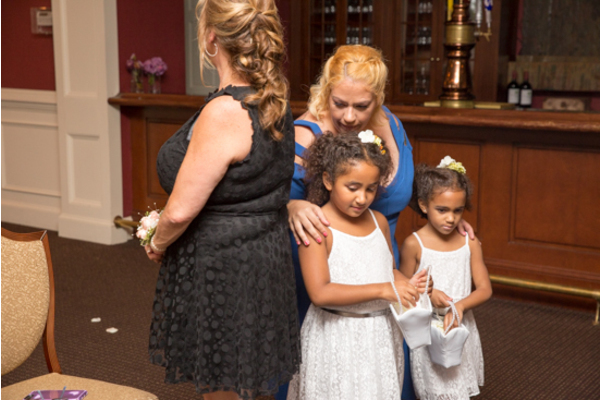 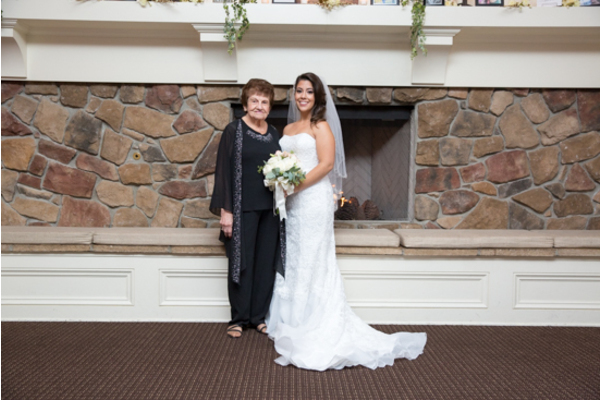 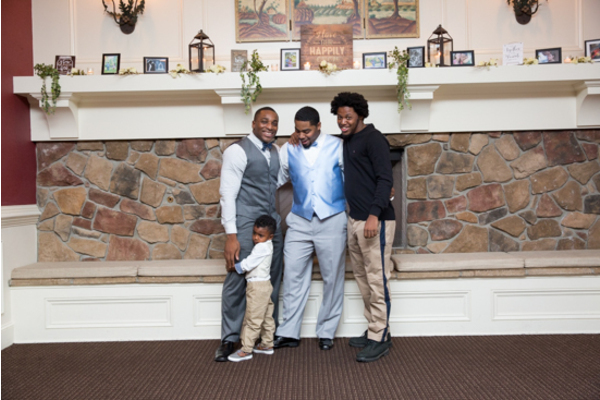 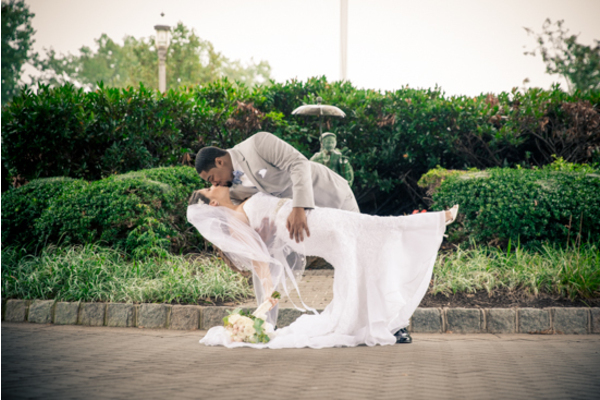 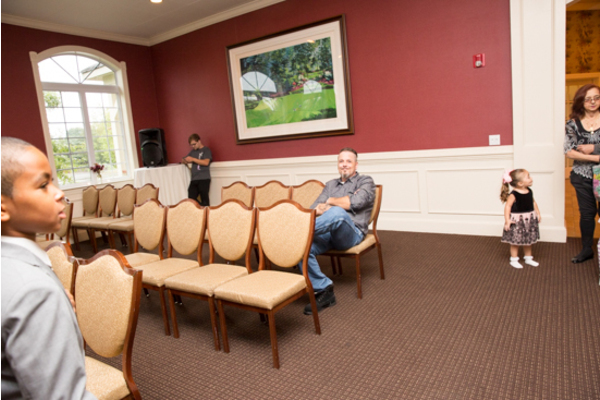 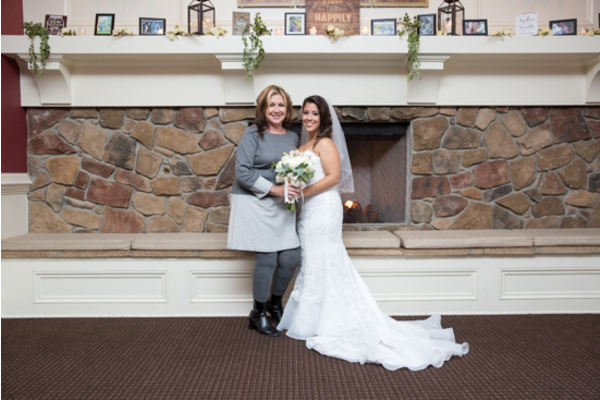 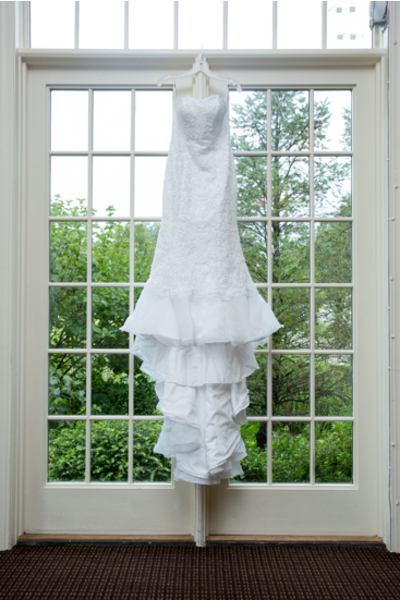 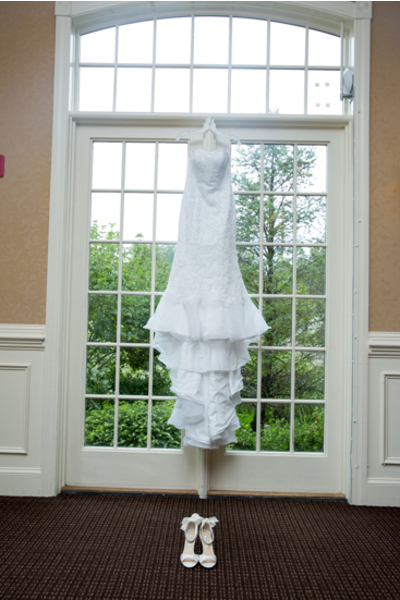 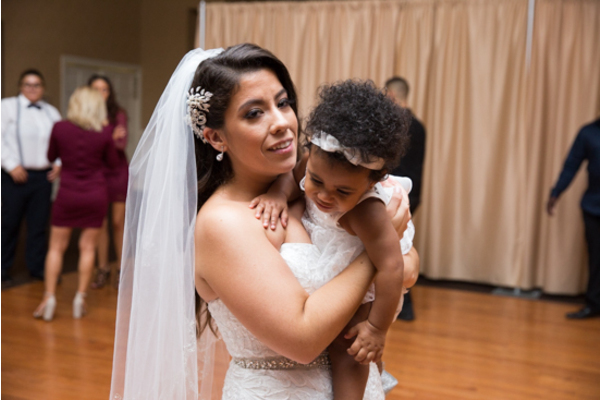 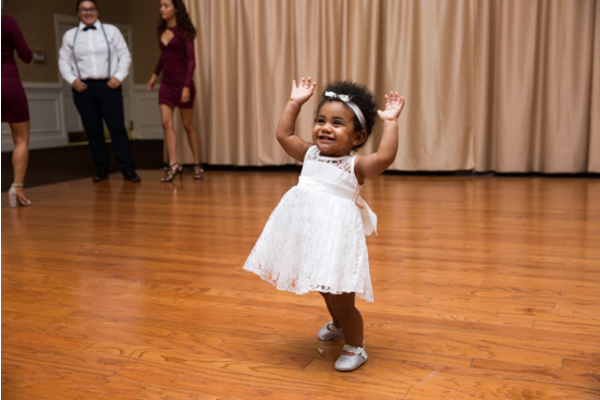 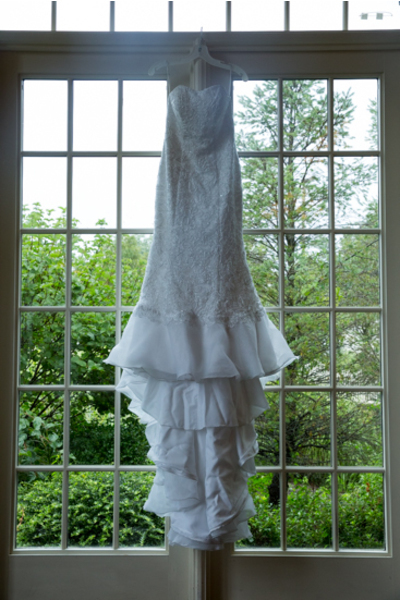 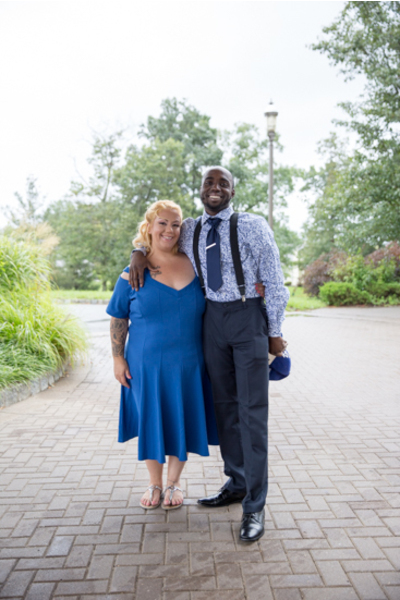 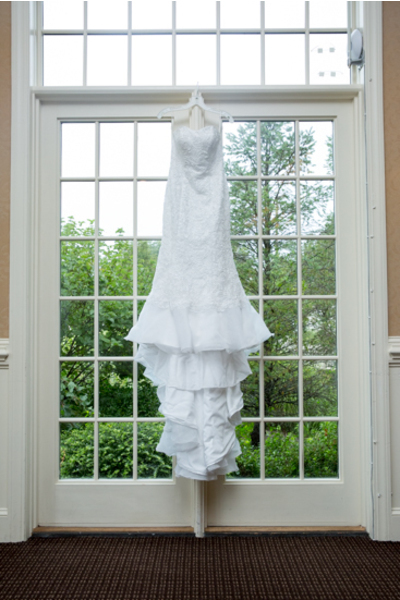 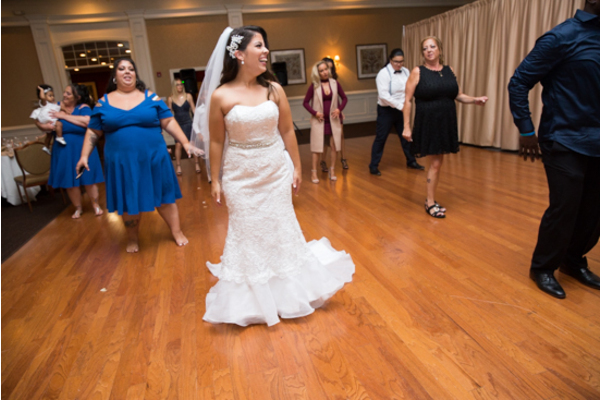 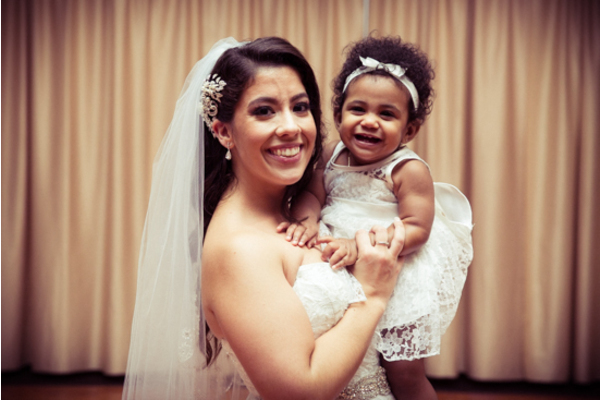 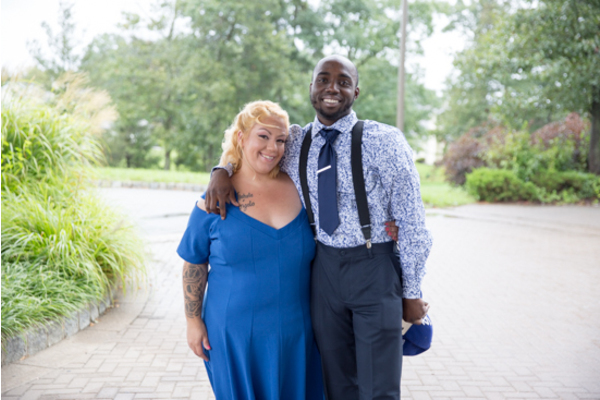 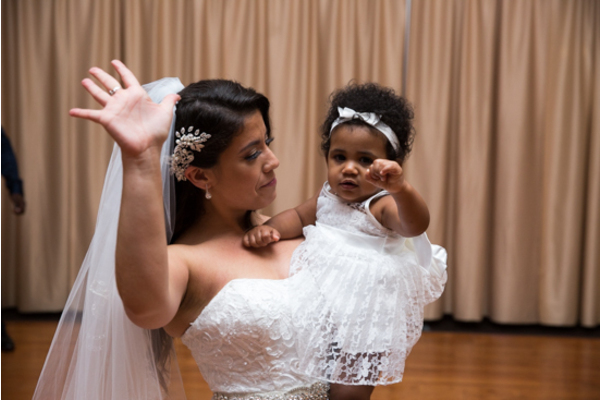 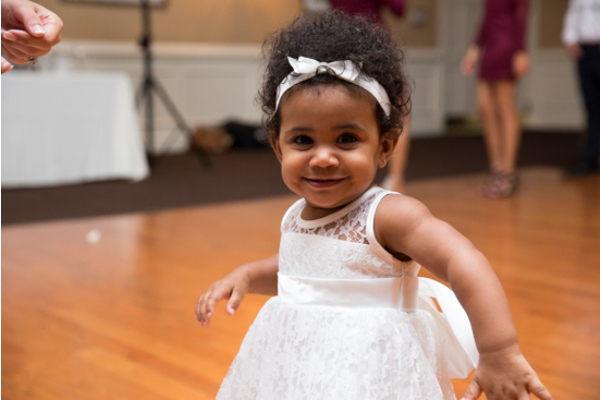 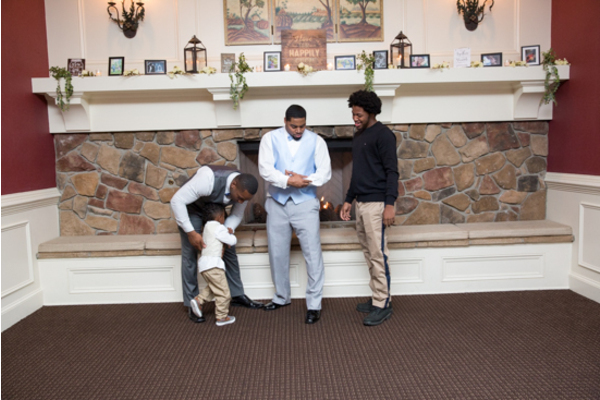 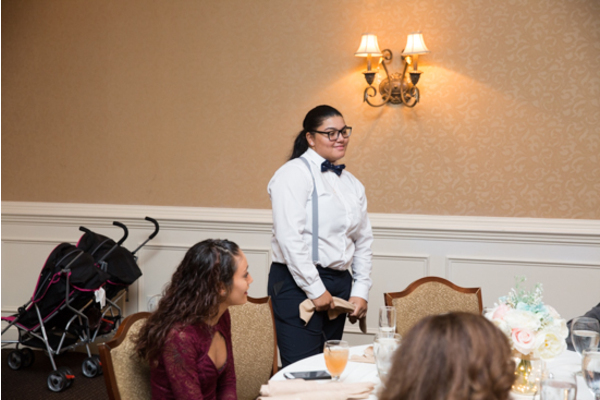 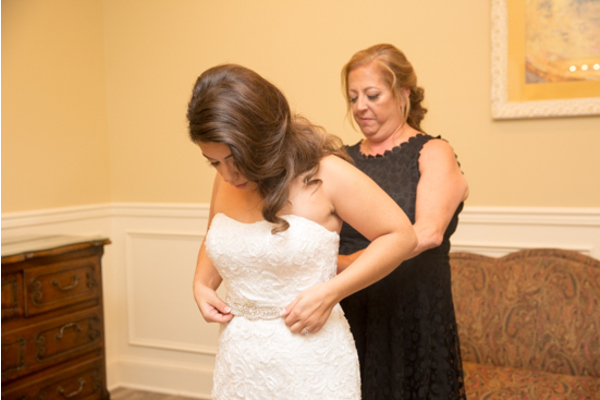 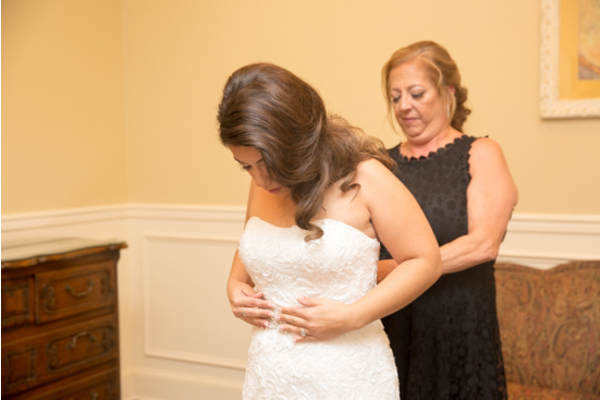 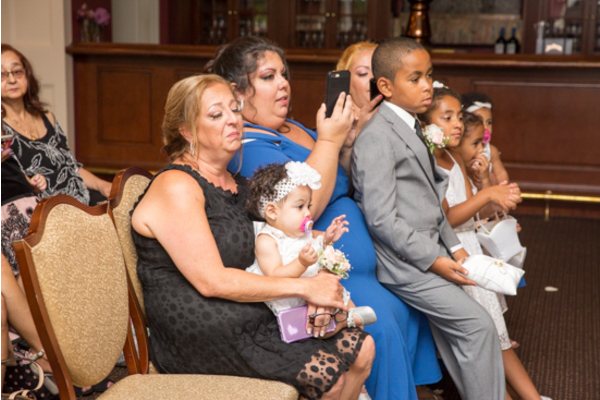 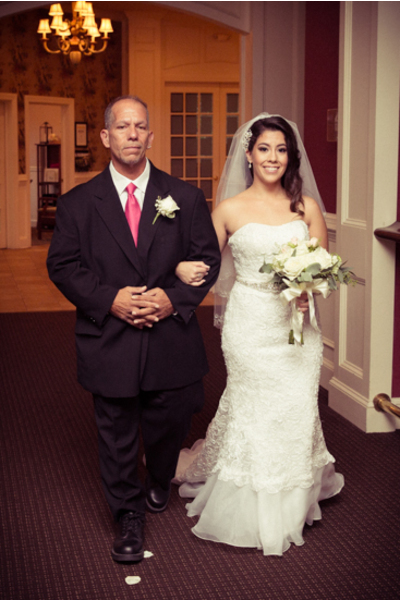 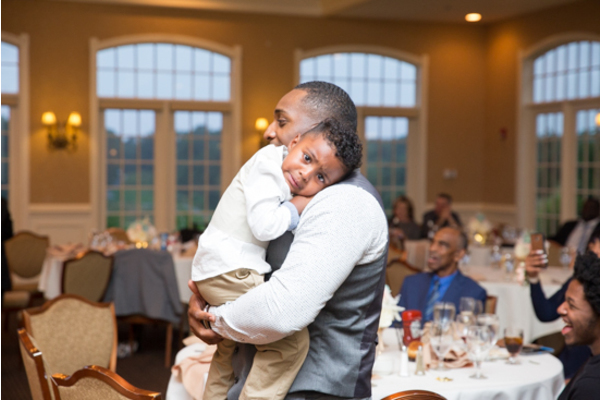 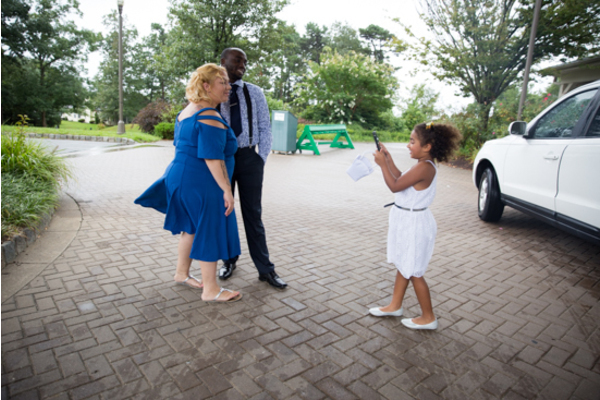 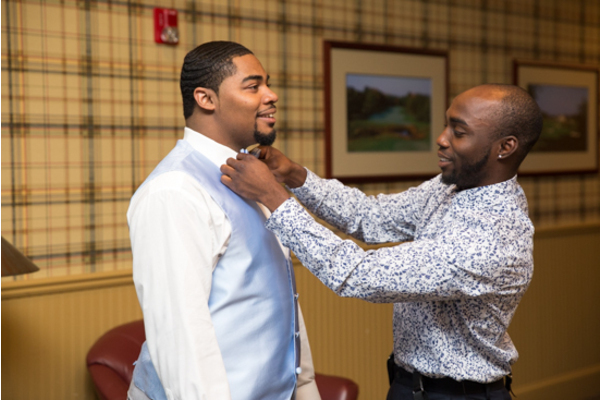 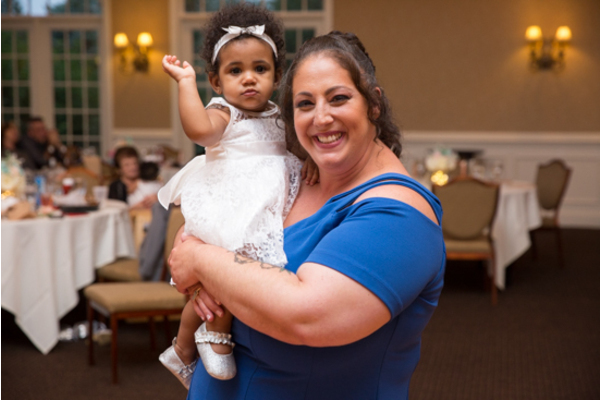 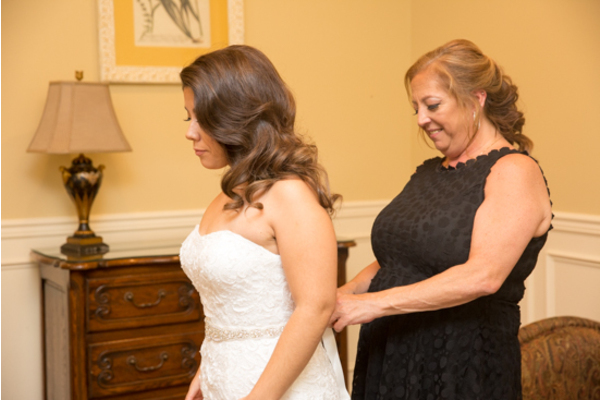 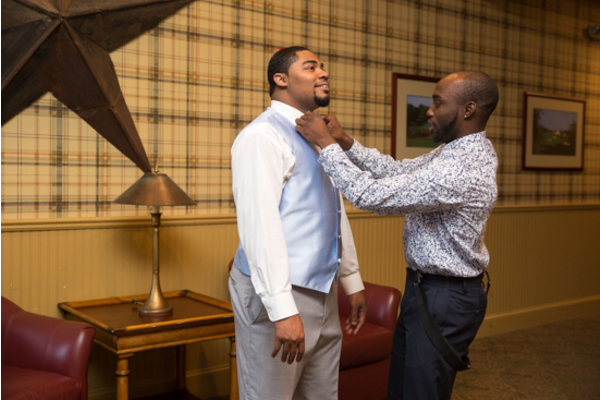 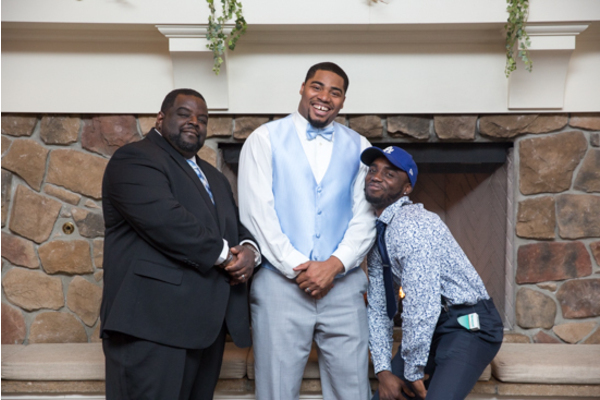 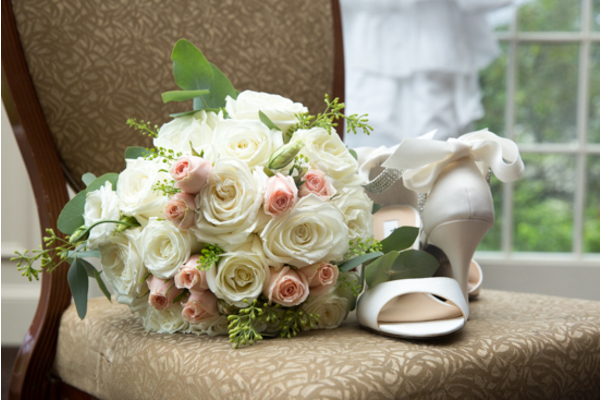 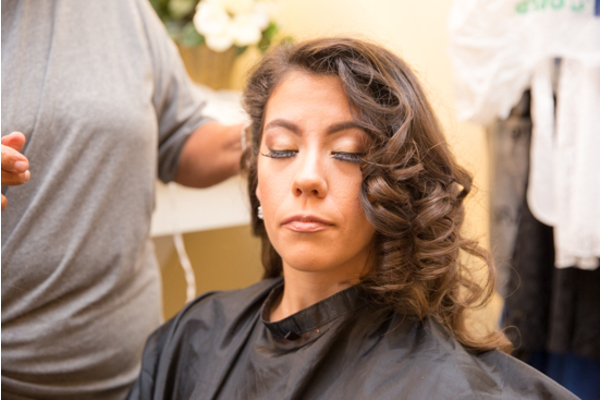 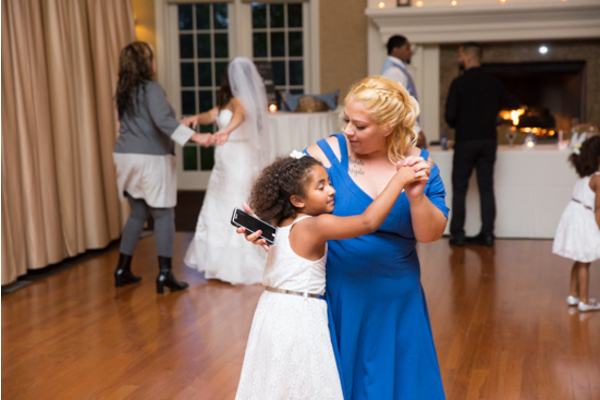 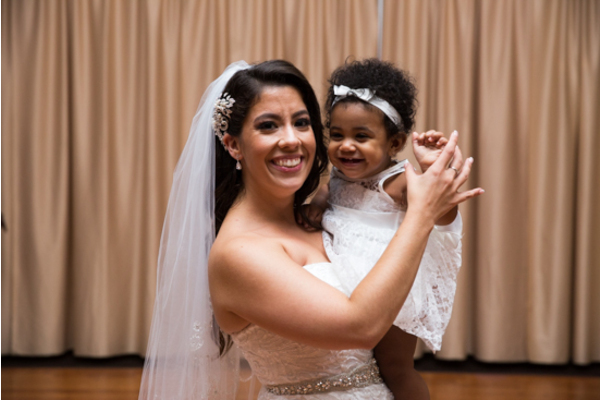 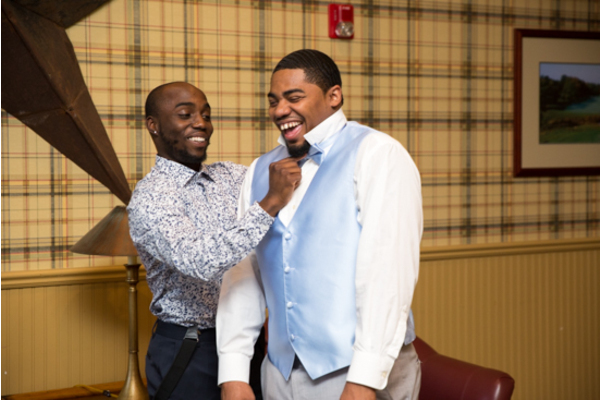 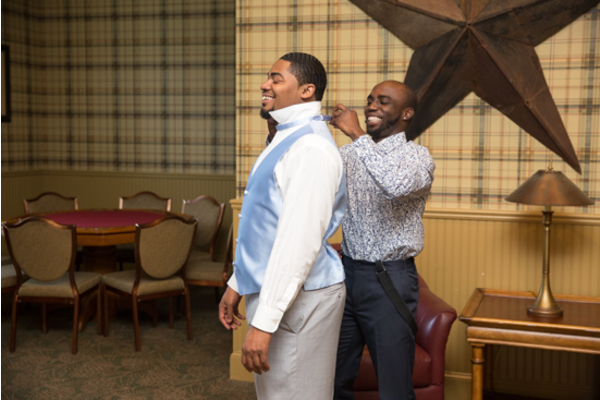 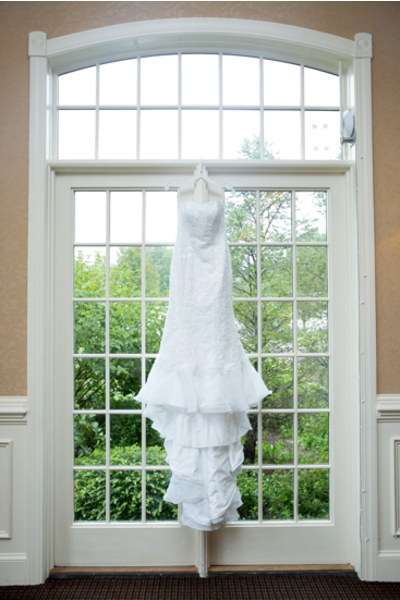 Our NJ Wedding Photographer did not miss this special moment! 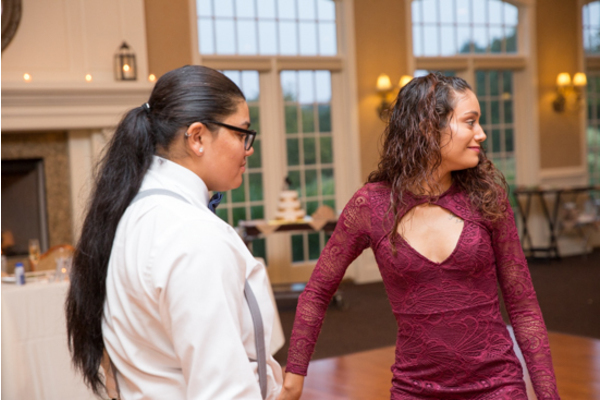 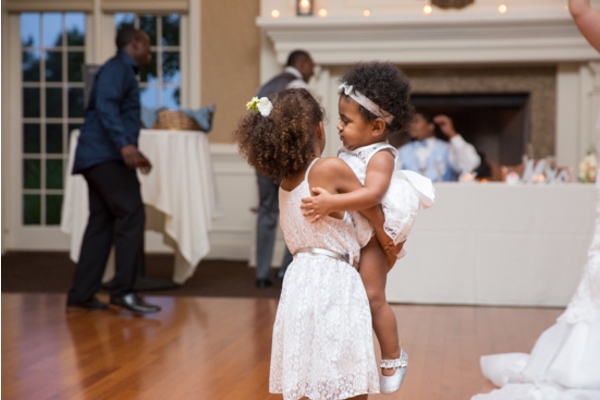 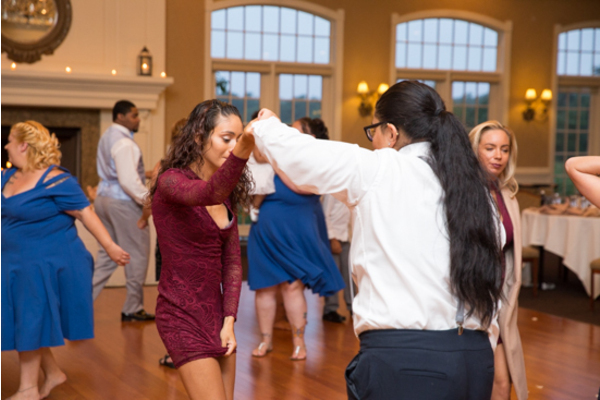 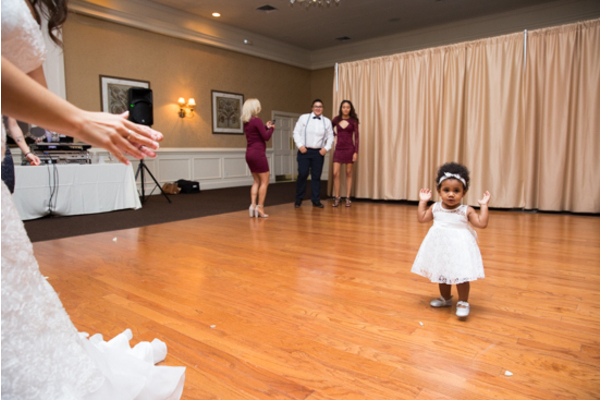 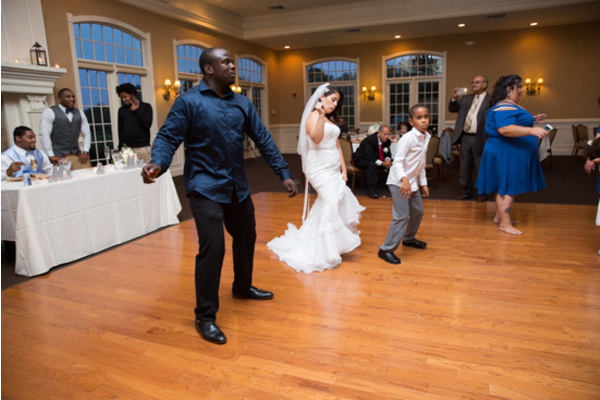 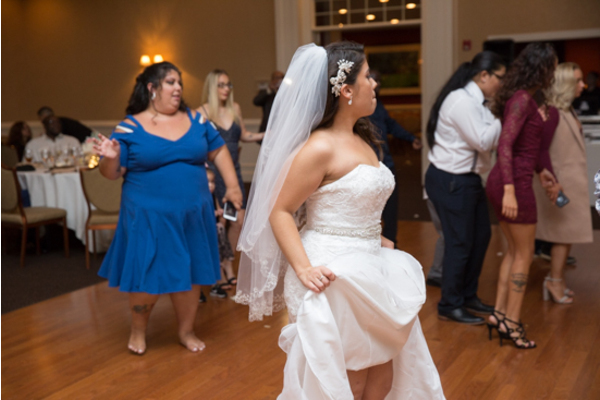 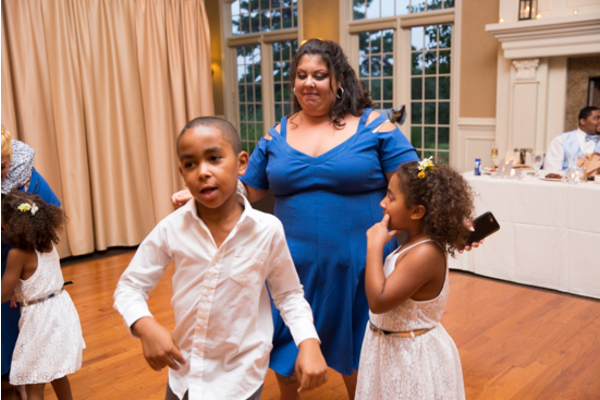 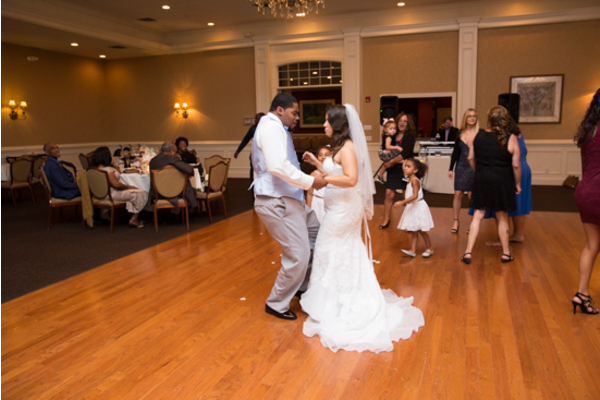 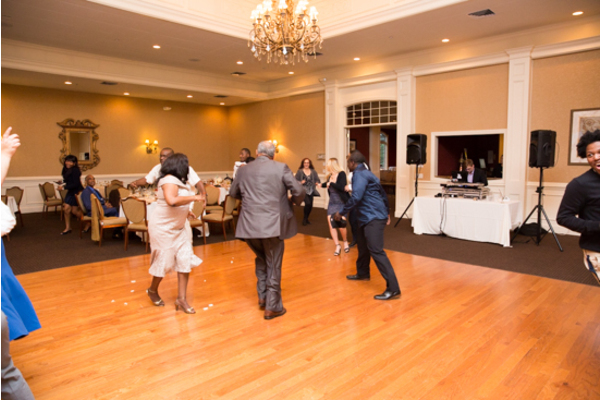 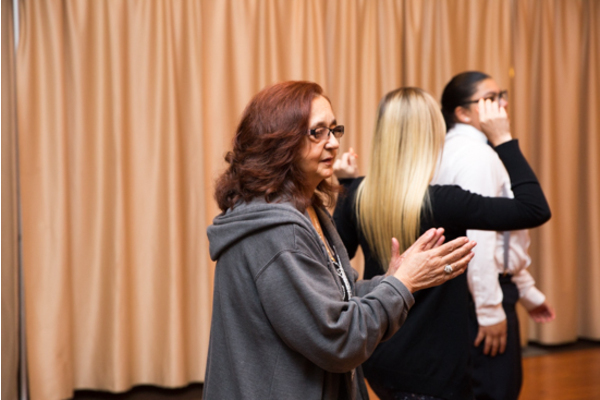 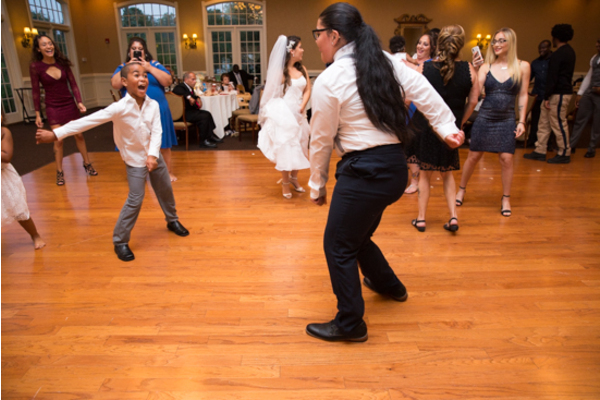 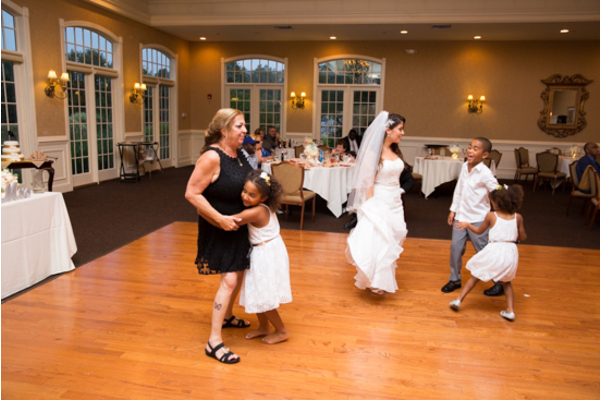 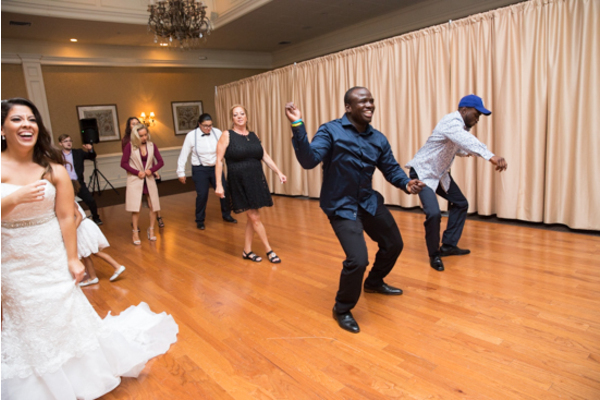 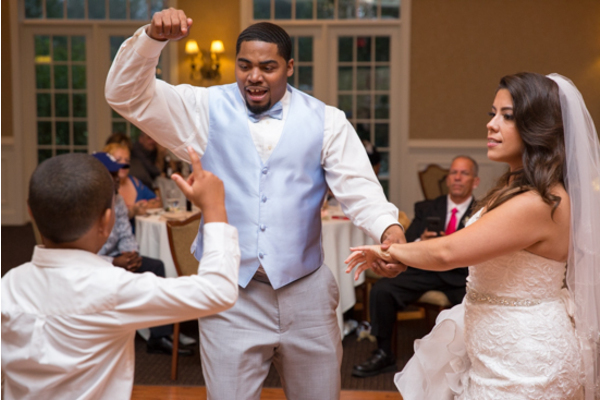 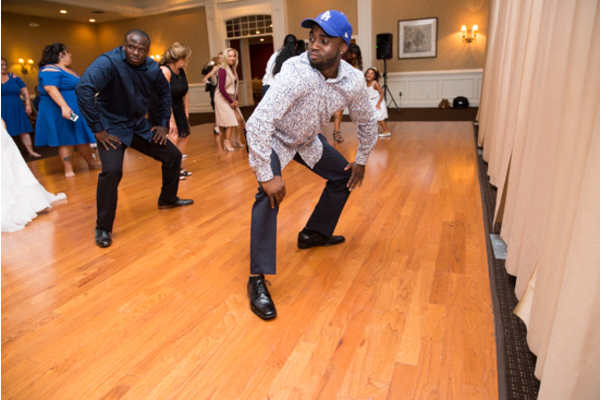 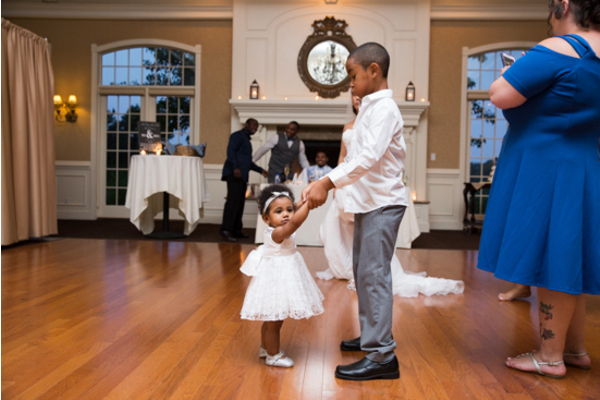 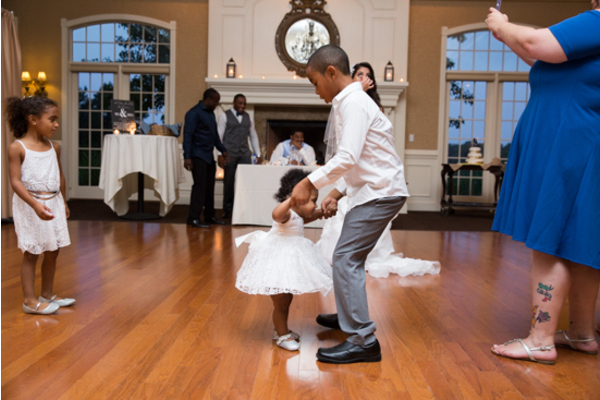 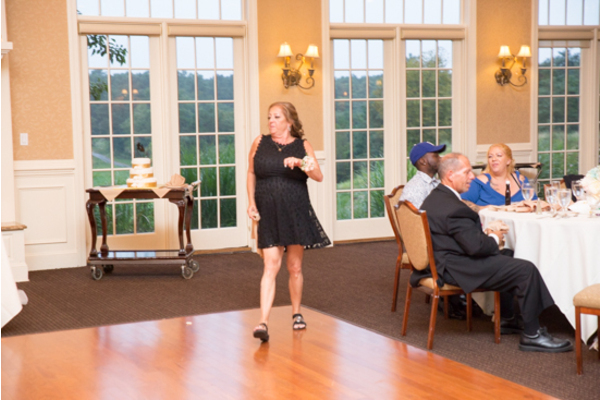 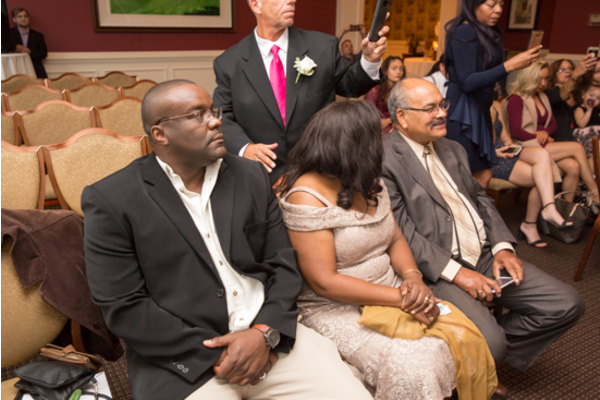 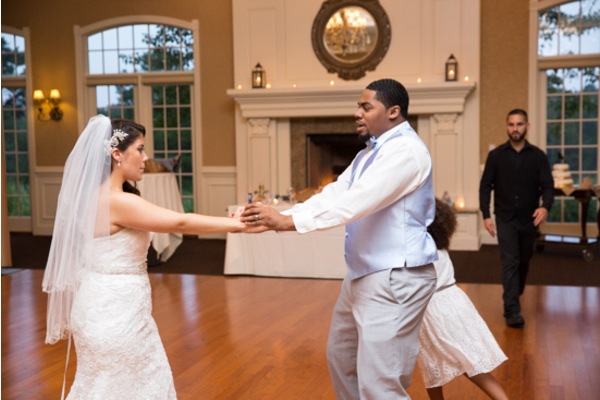 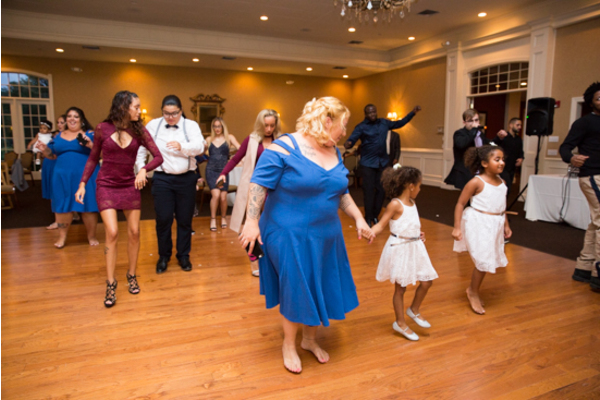 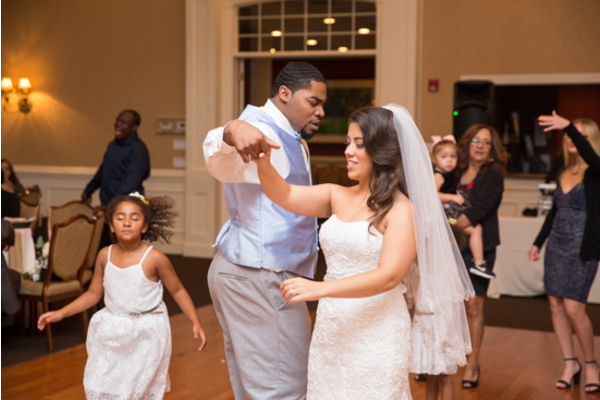 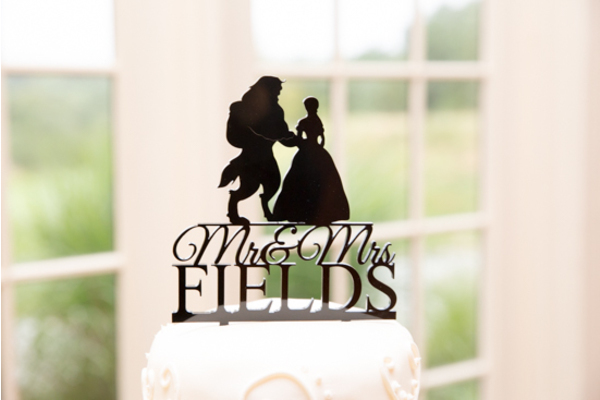 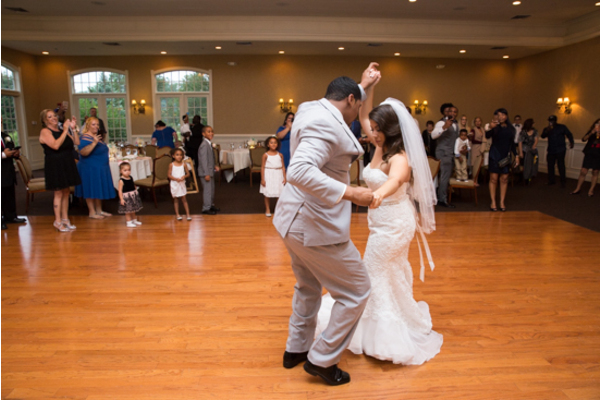 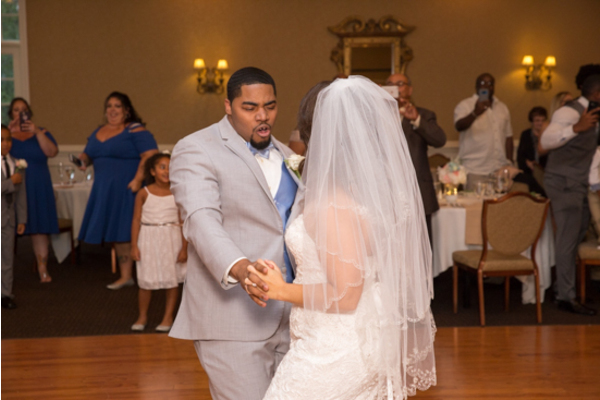 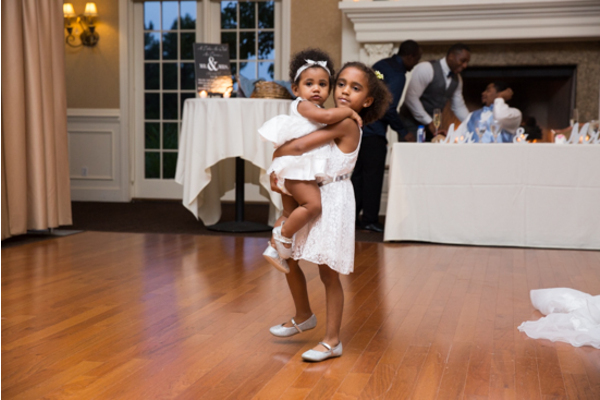 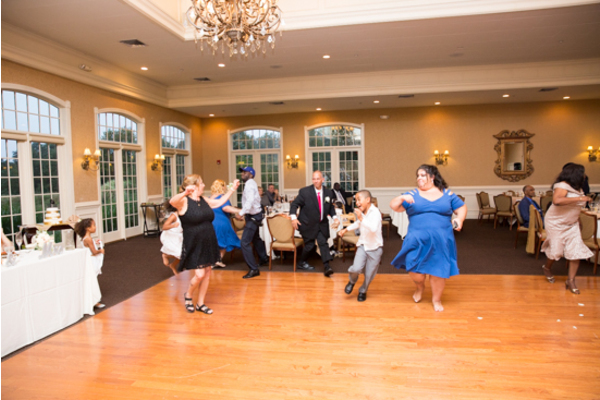 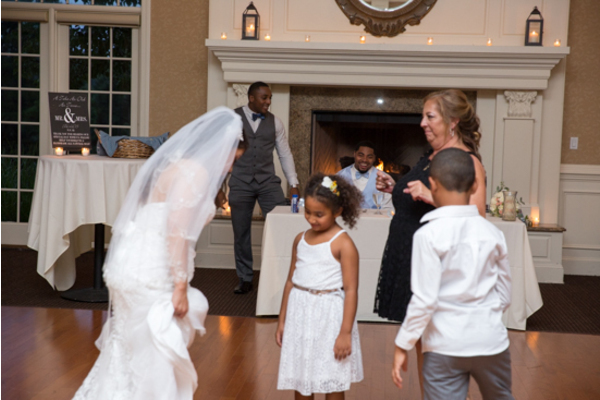 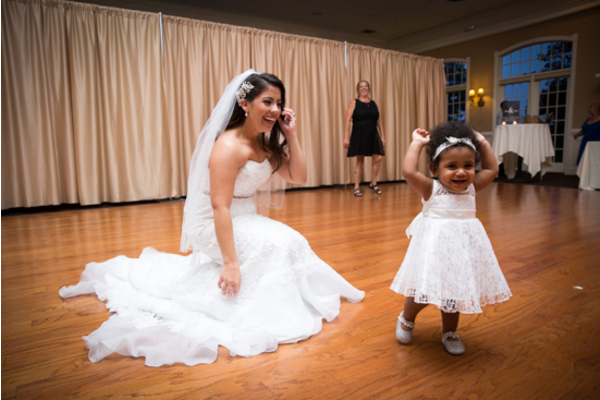 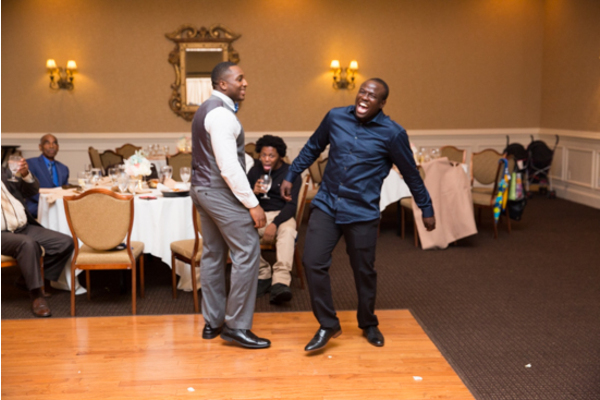 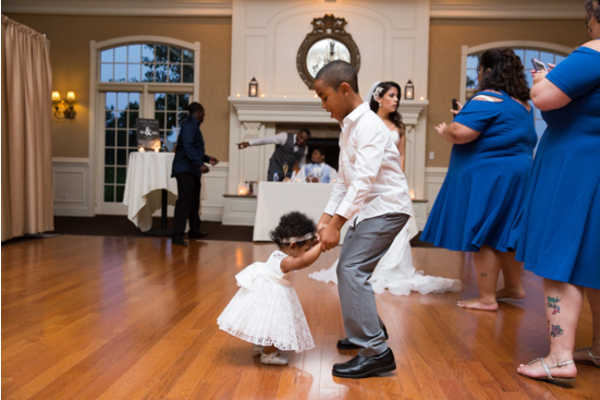 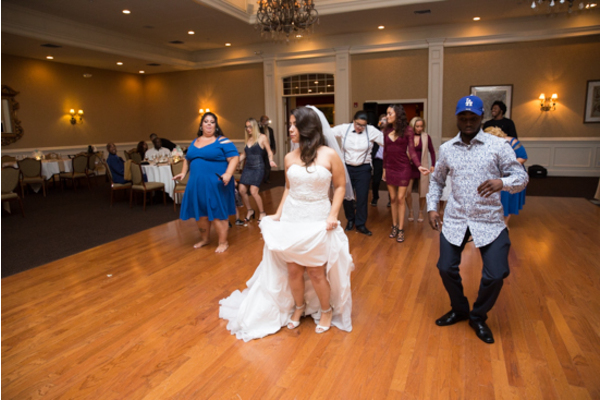 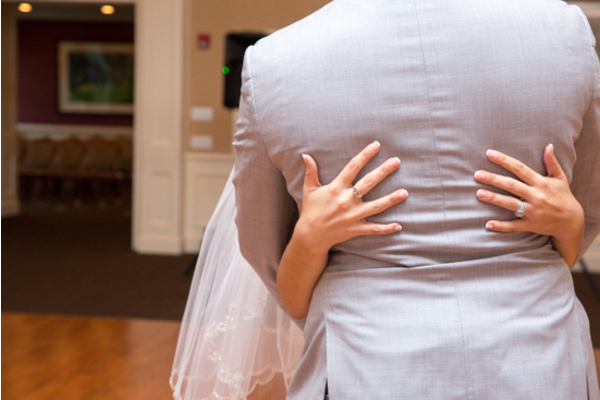 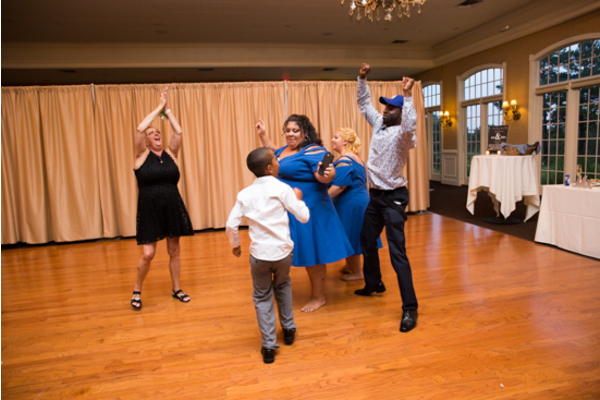 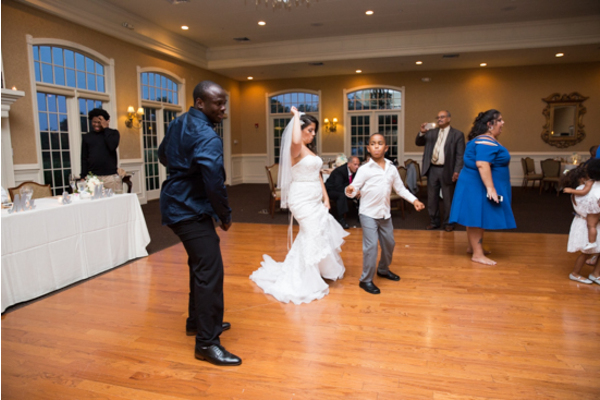 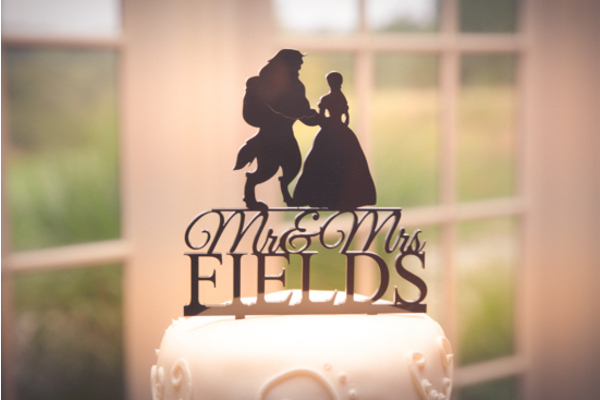 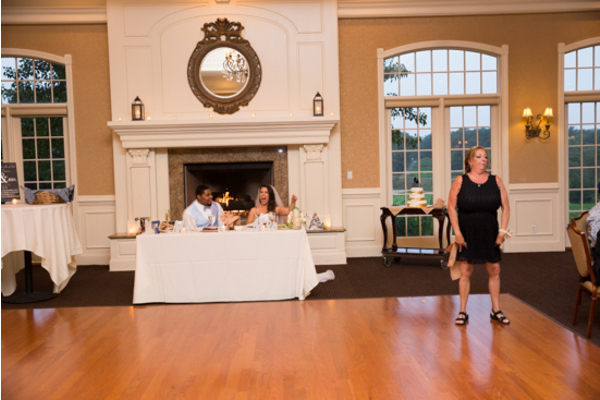 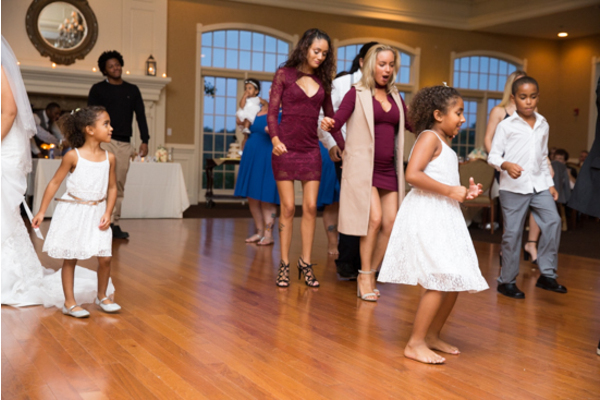 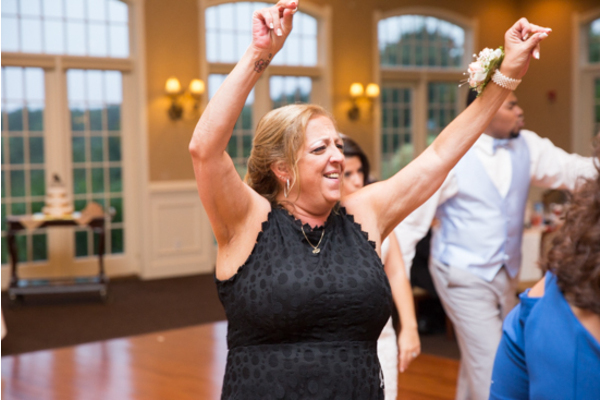 They danced their way into the ceremony and made it front and center on the dance floor. 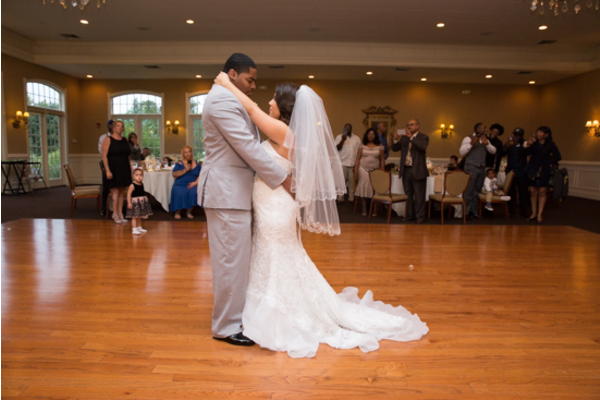 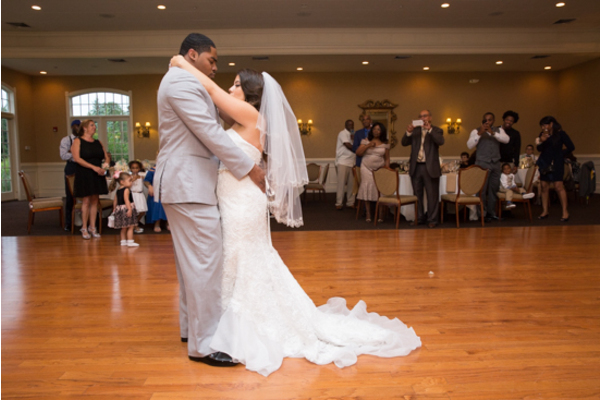 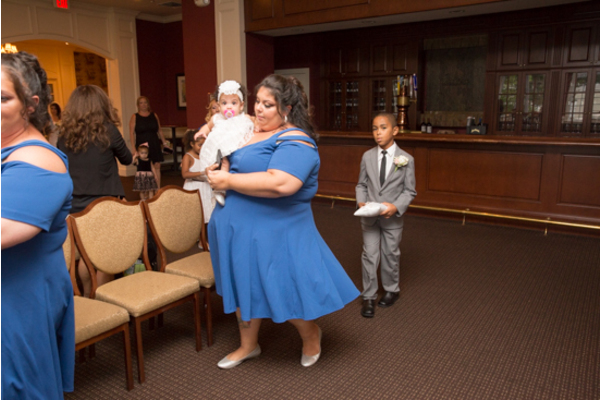 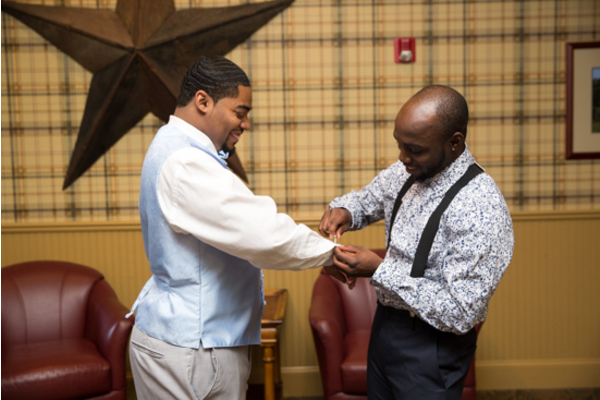 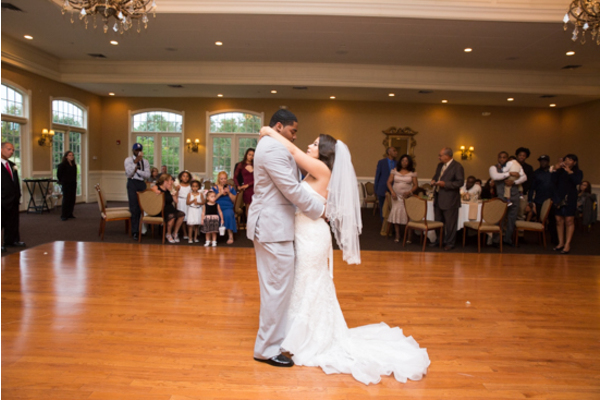 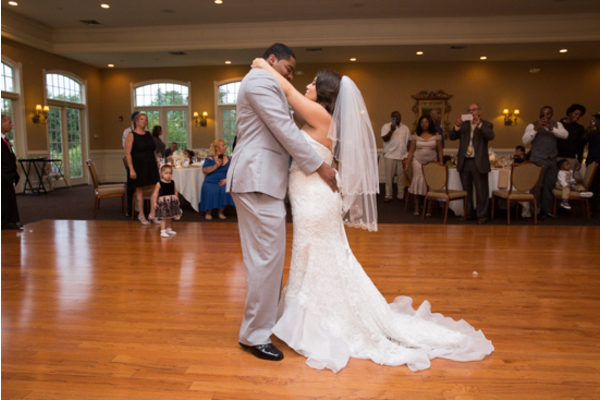 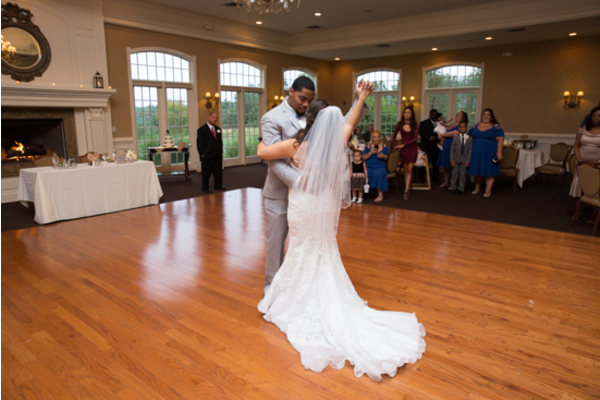 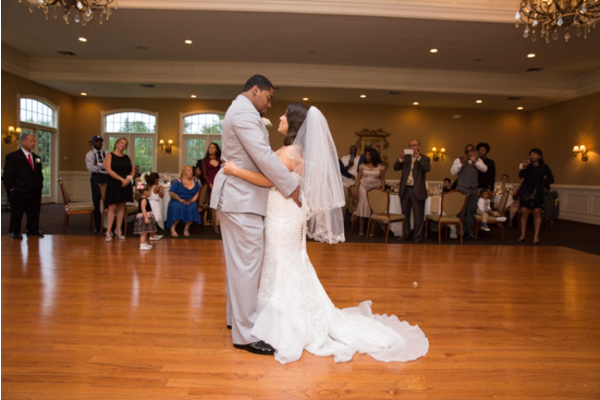 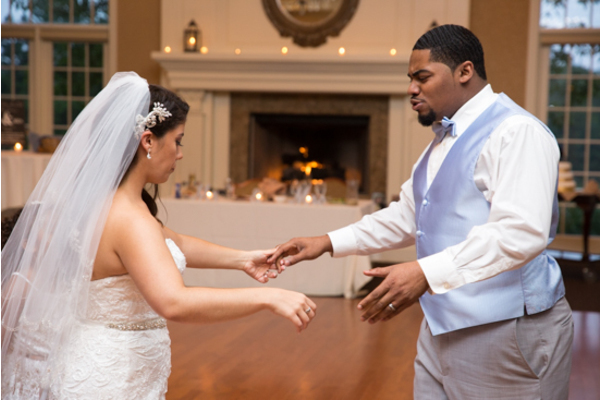 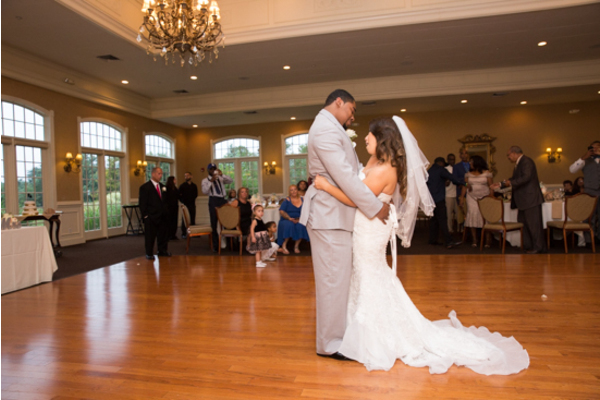 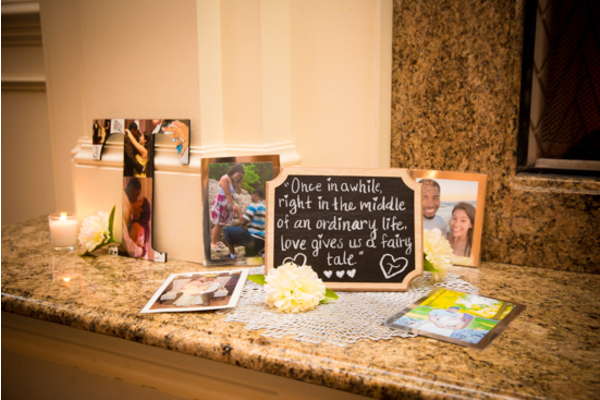 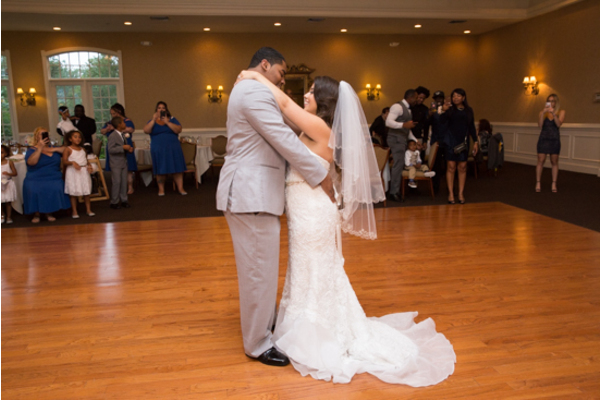 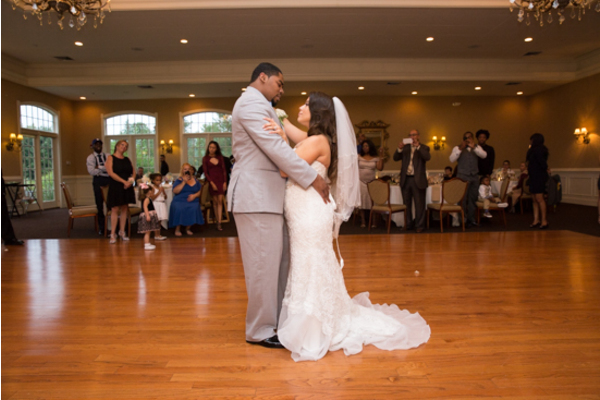 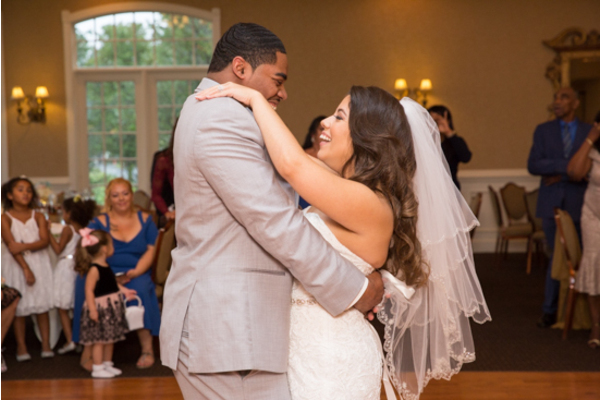 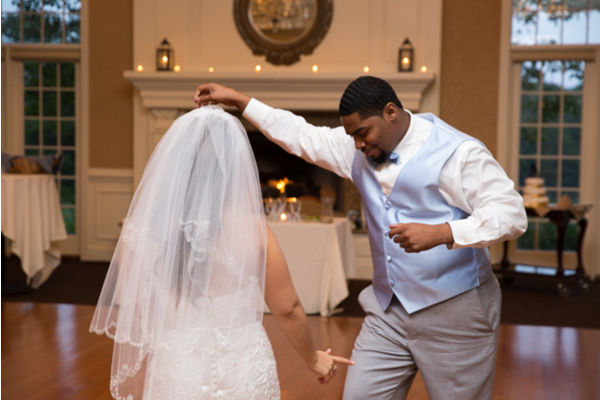 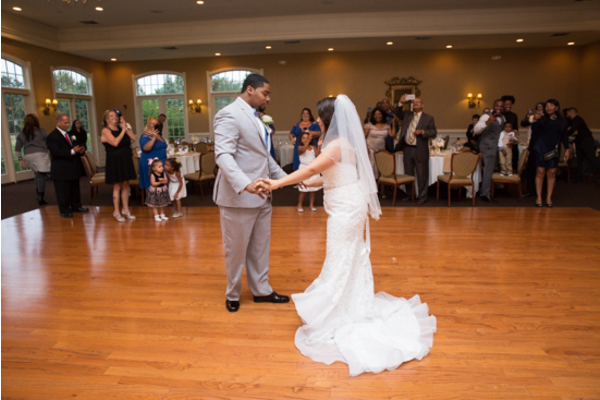 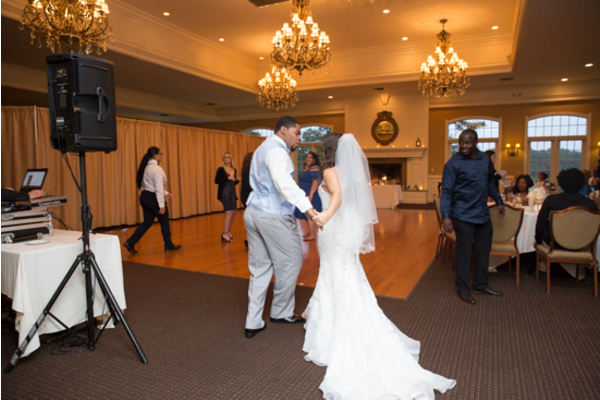 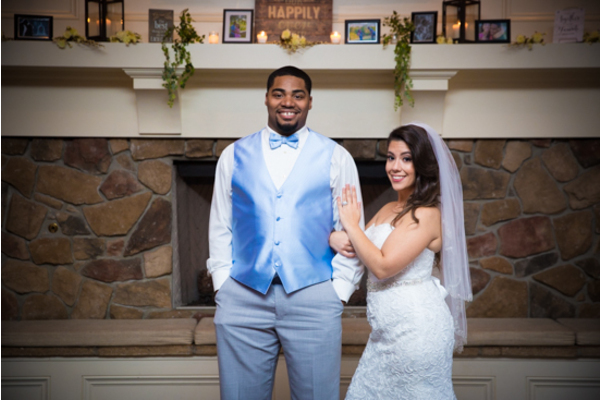 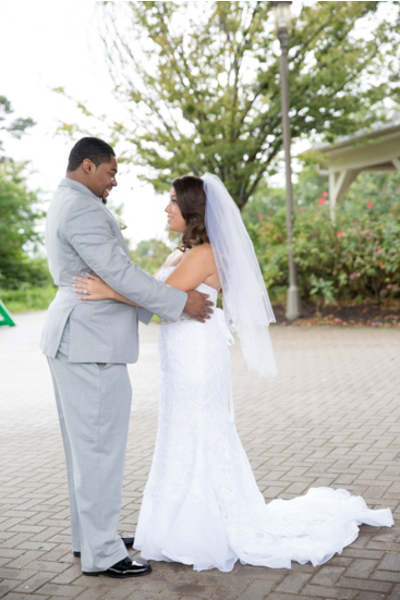 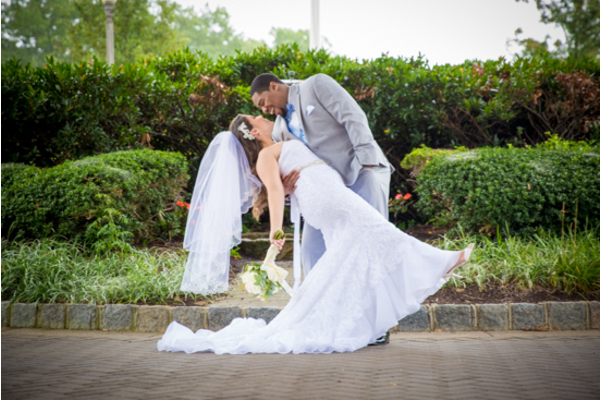 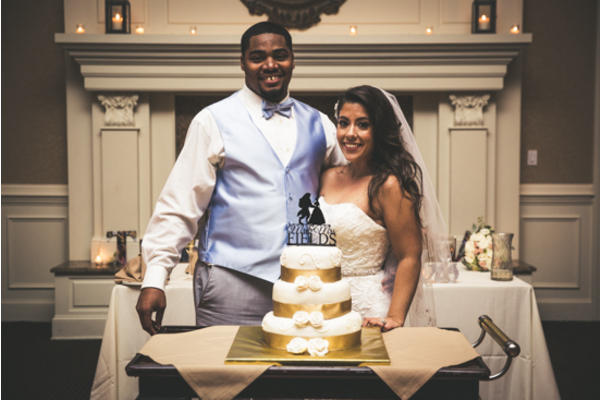 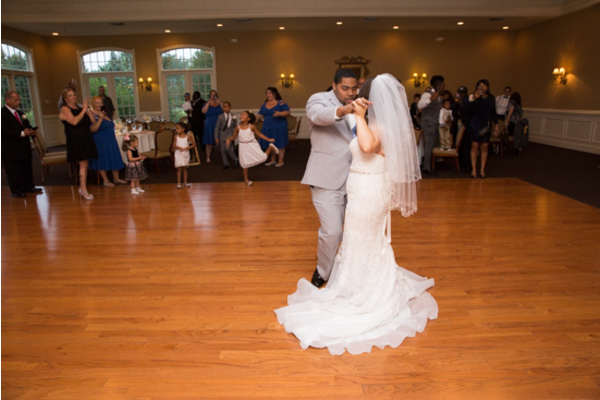 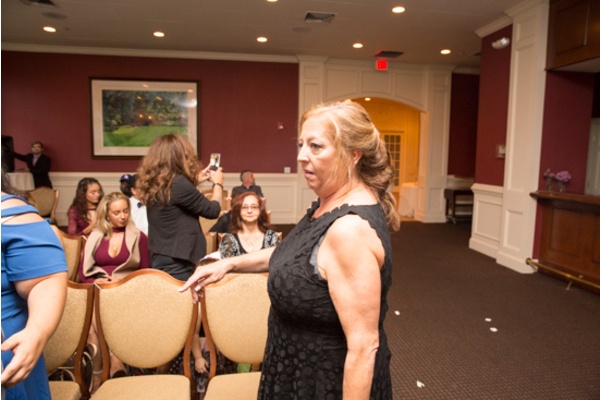 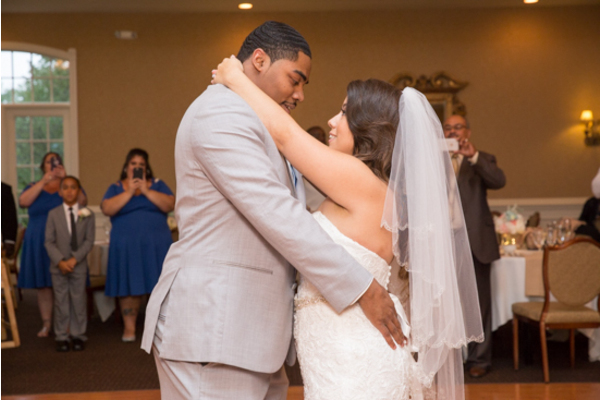 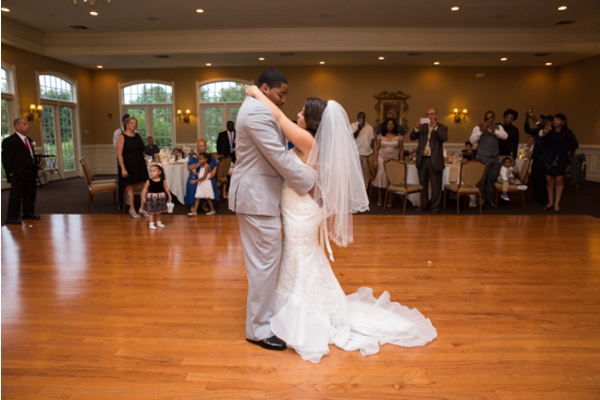 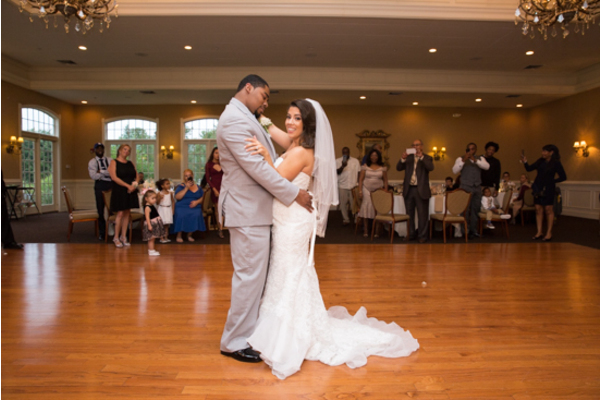 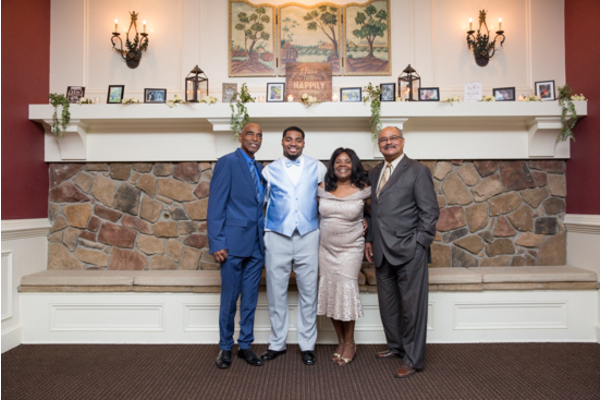 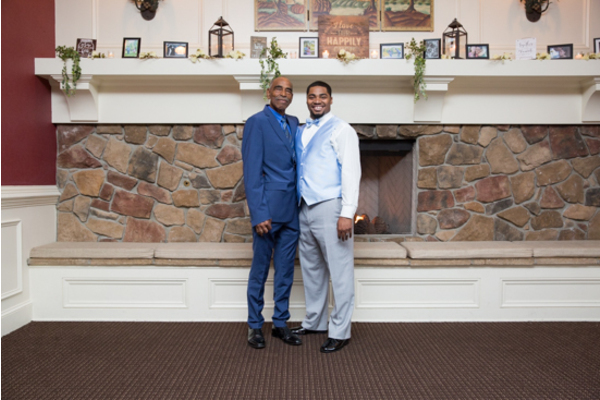 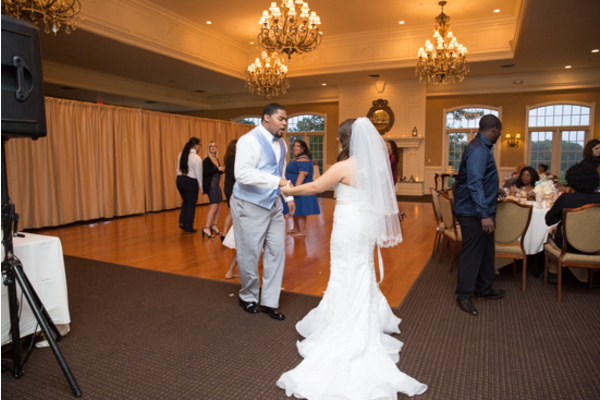 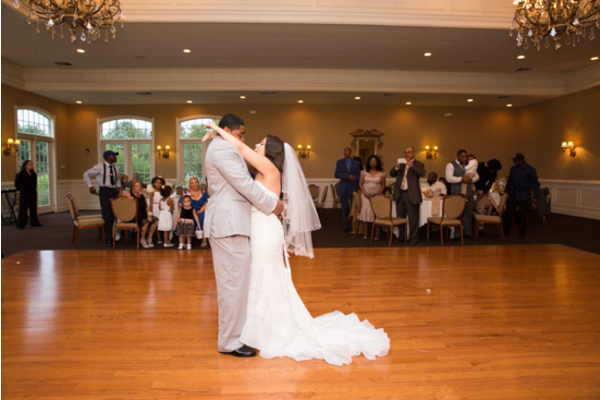 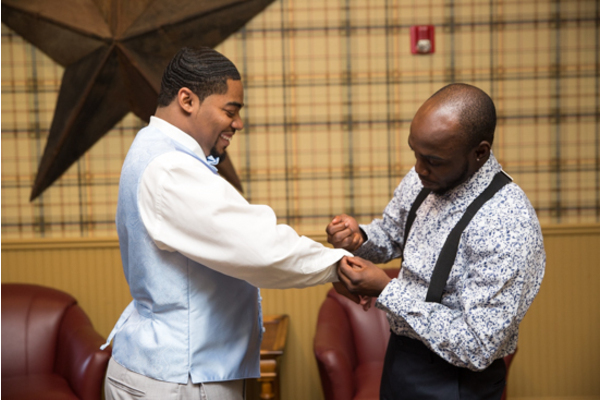 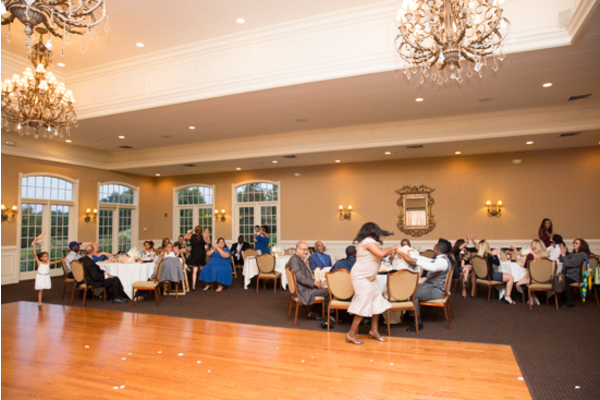 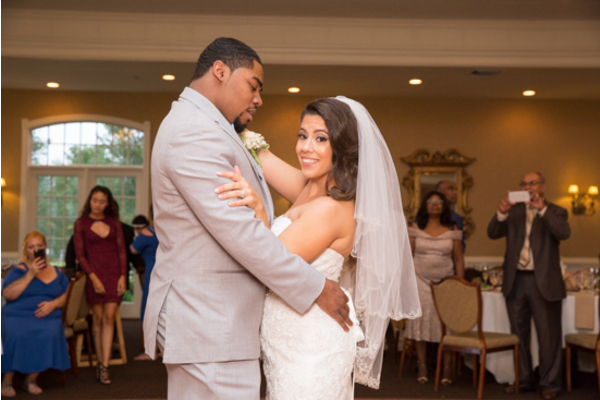 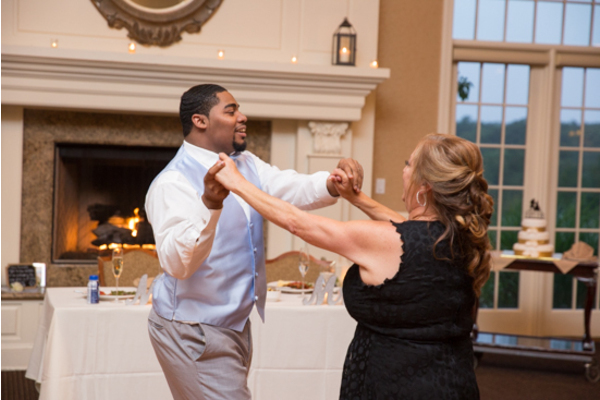 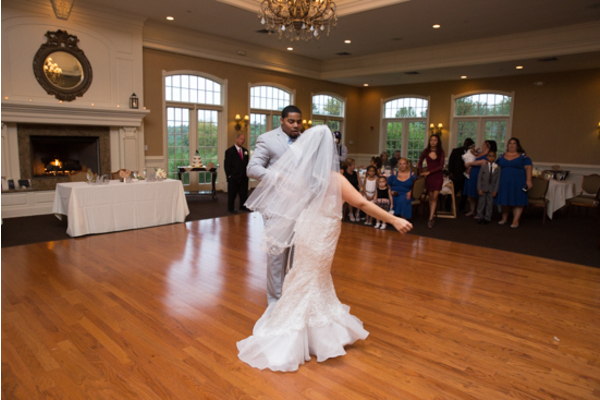 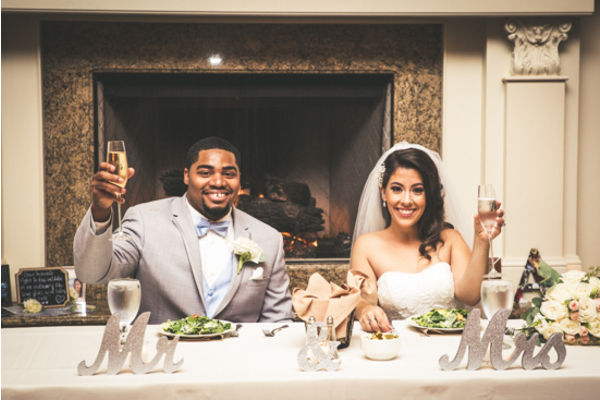 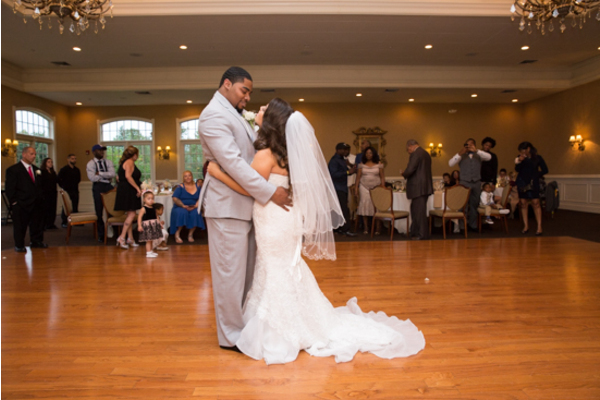 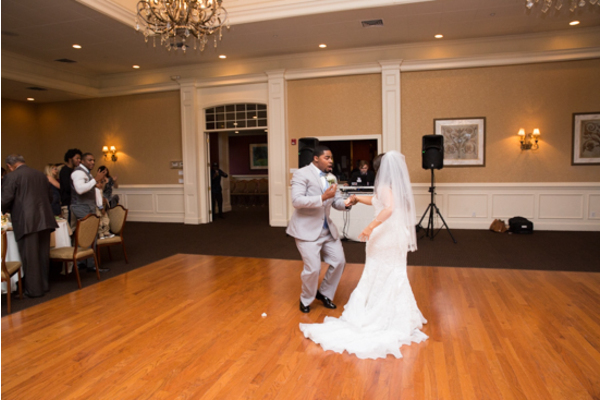 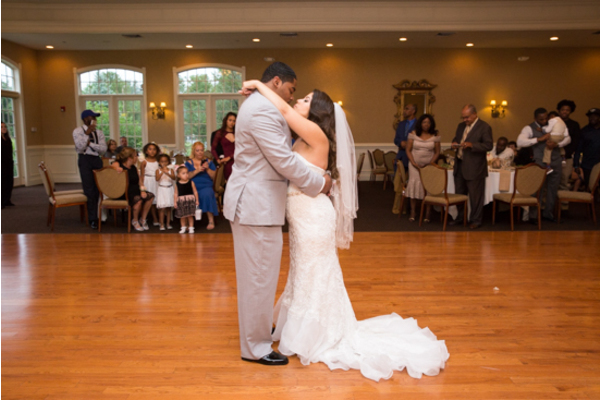 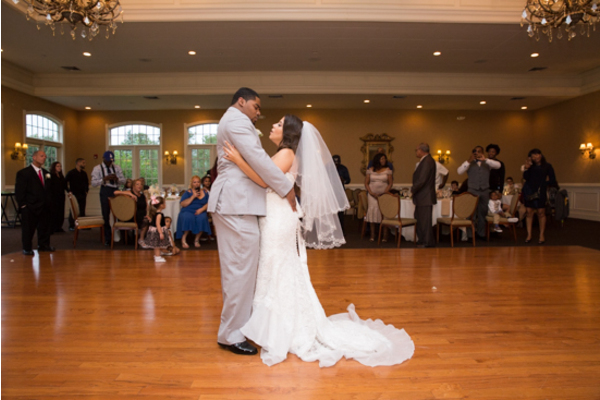 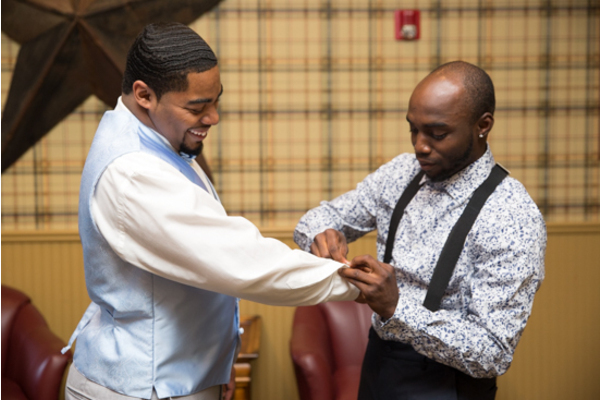 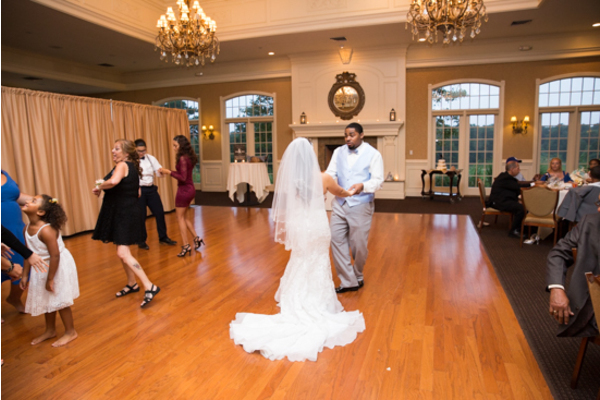 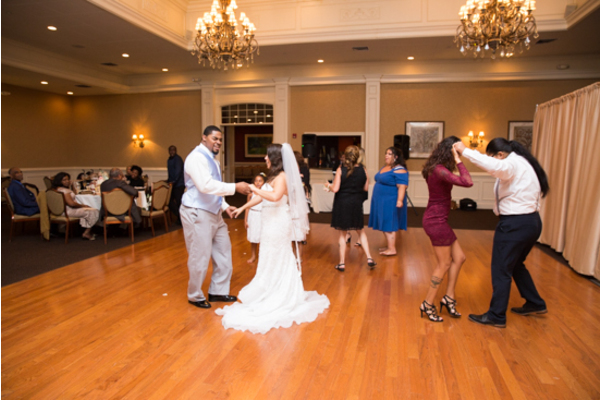 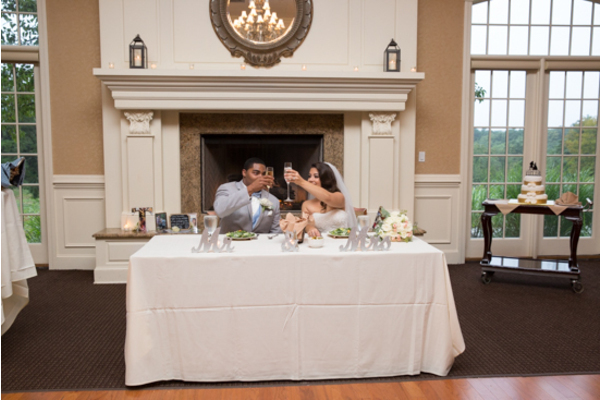 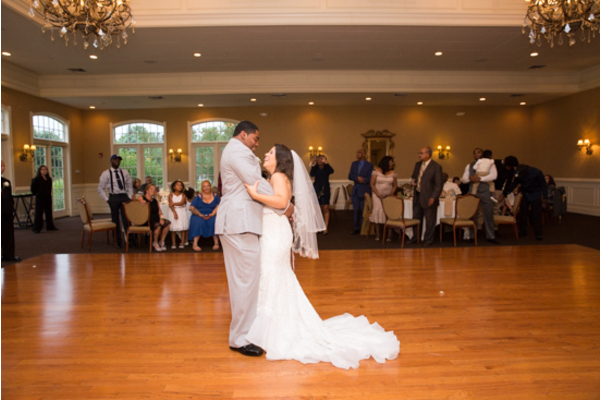 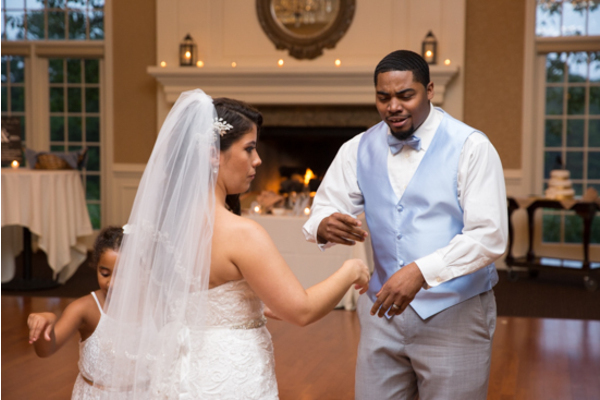 Toni Ann and Antonio shared their first dance together and then headed over to their sweetheart table for a champagne toast. 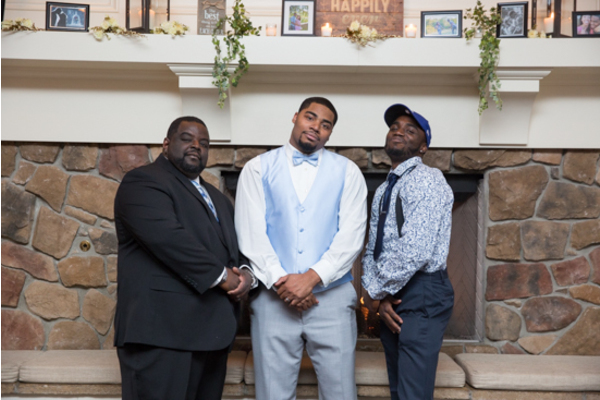 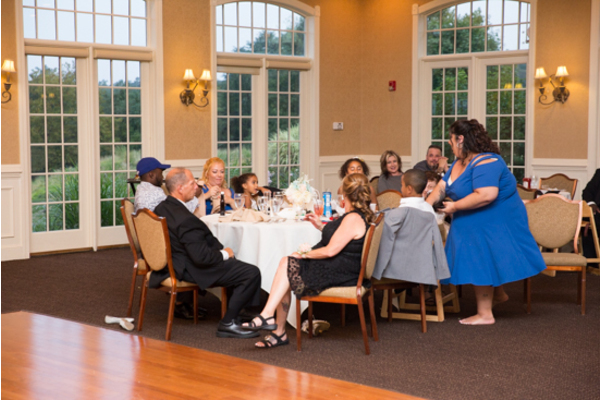 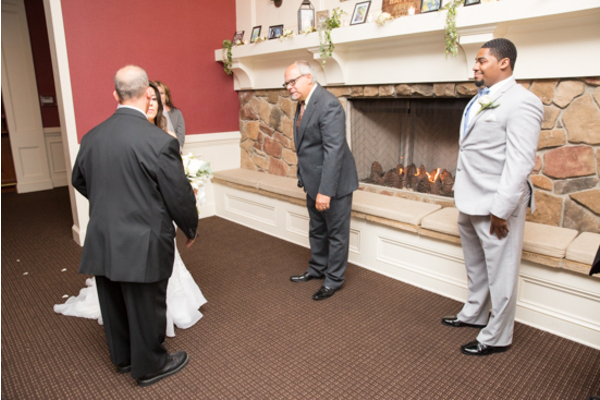 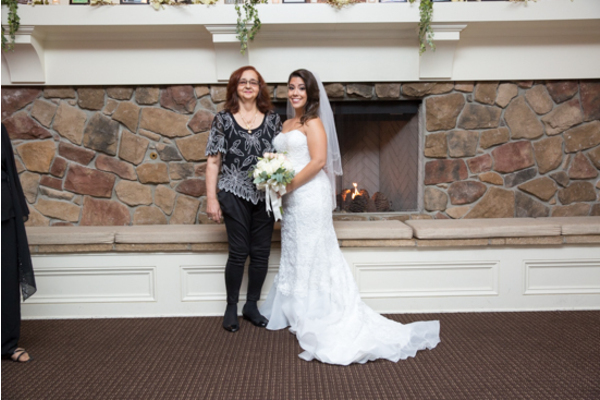 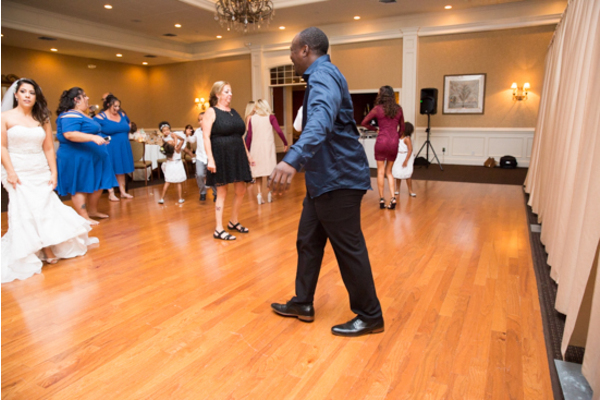 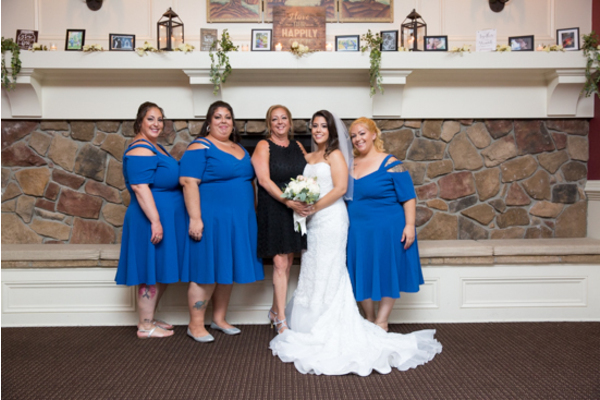 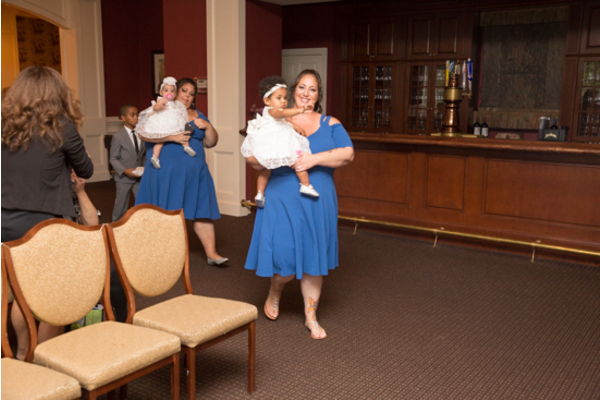 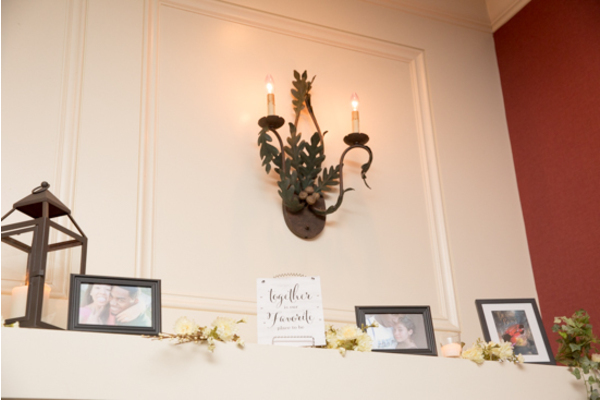 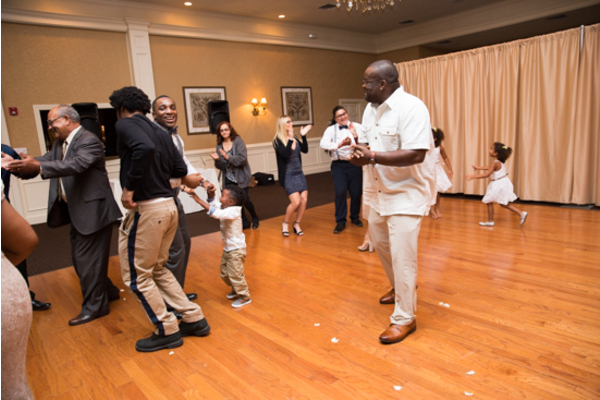 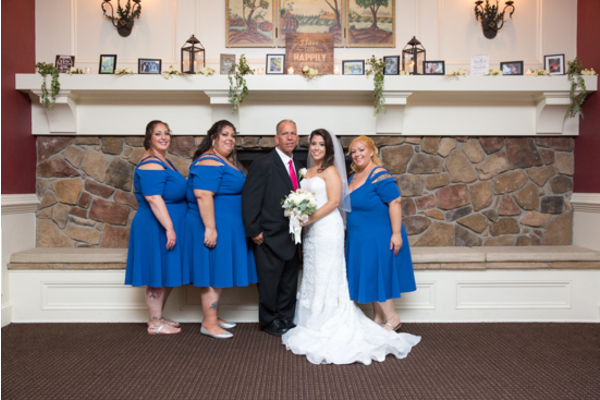 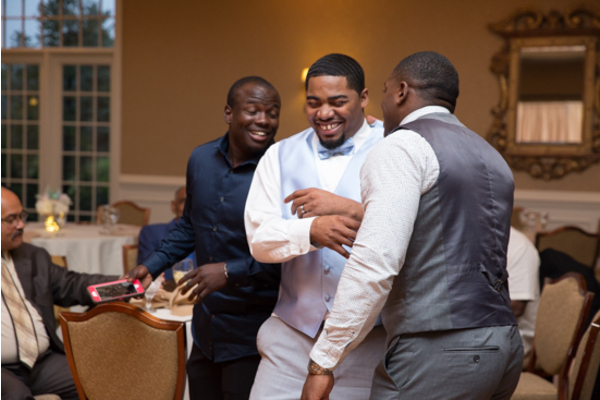 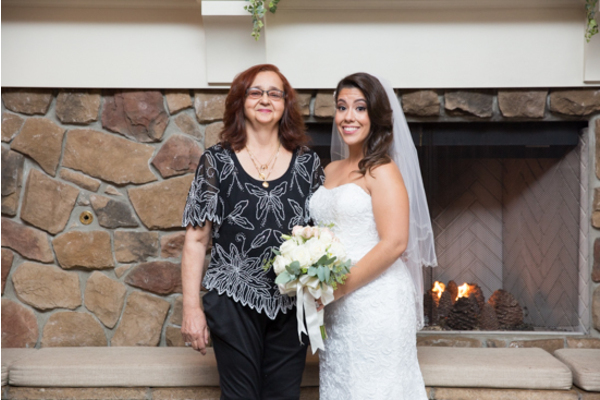 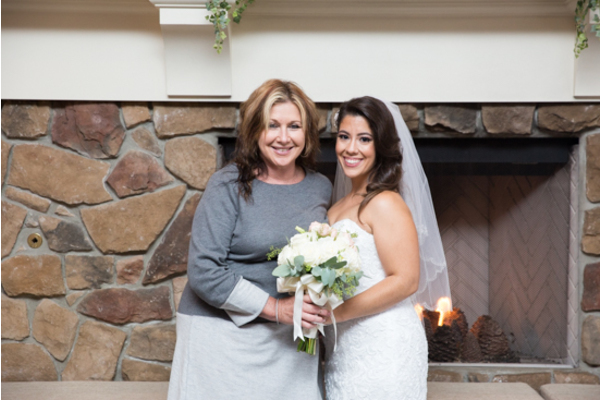 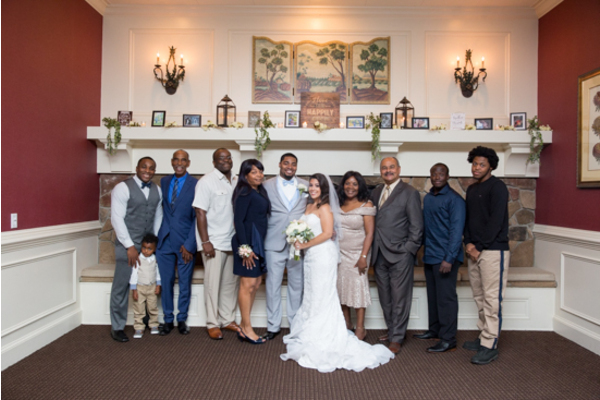 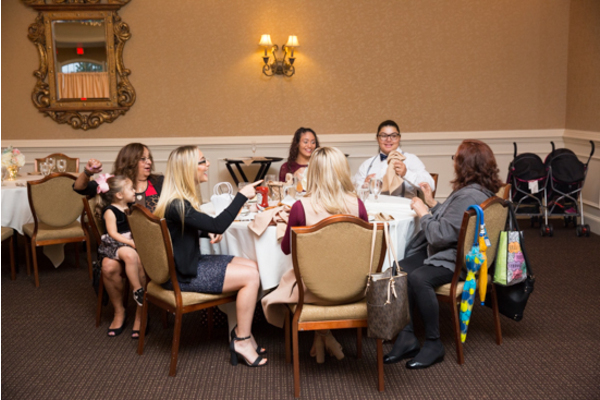 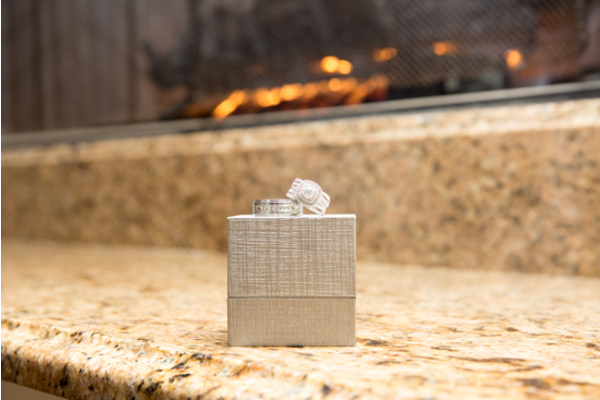 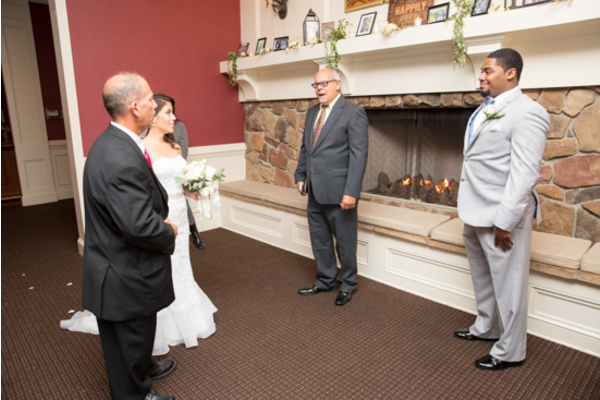 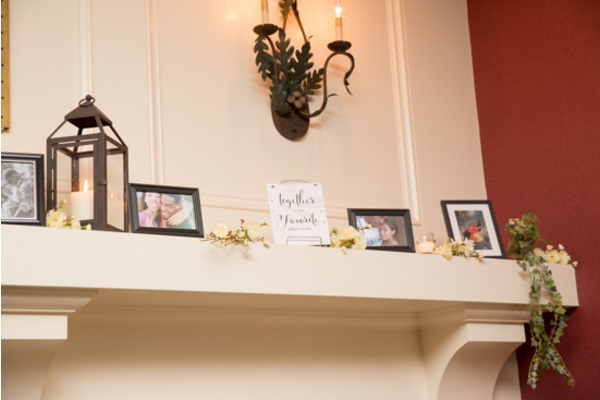 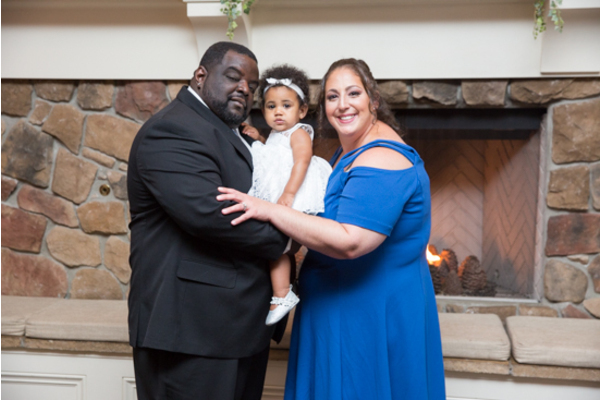 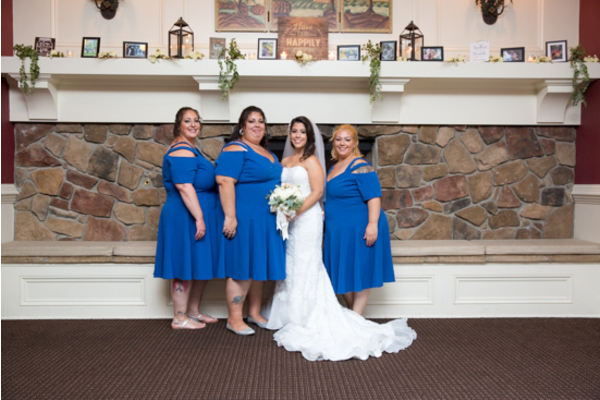 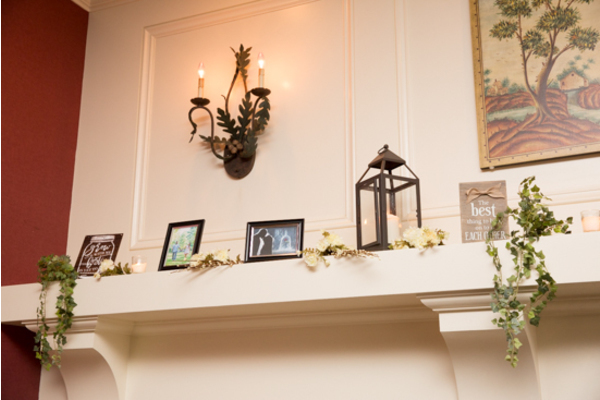 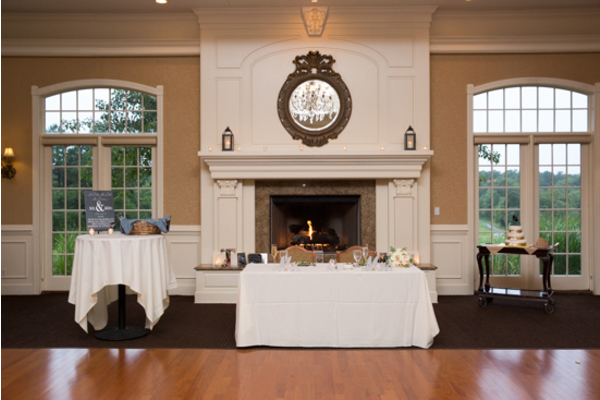 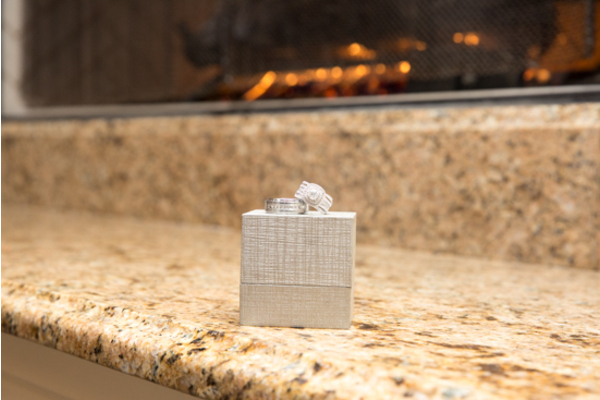 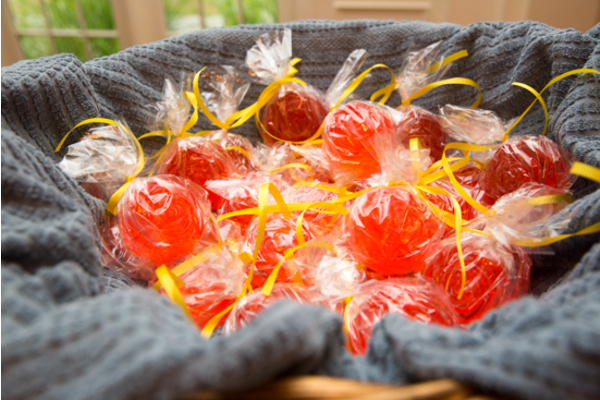 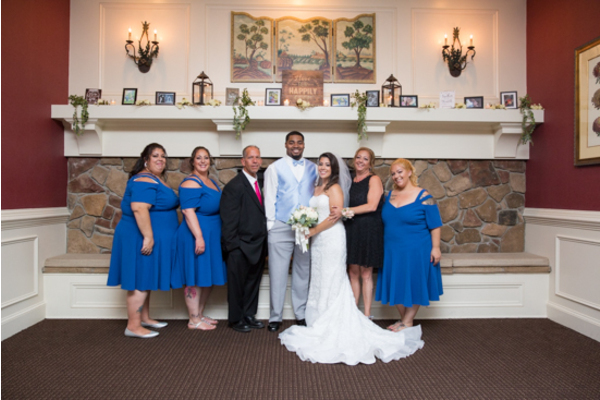 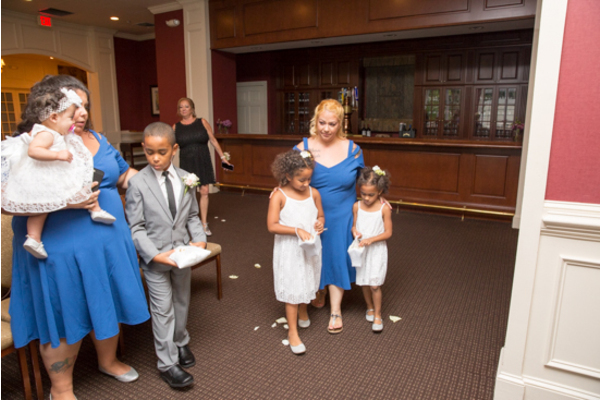 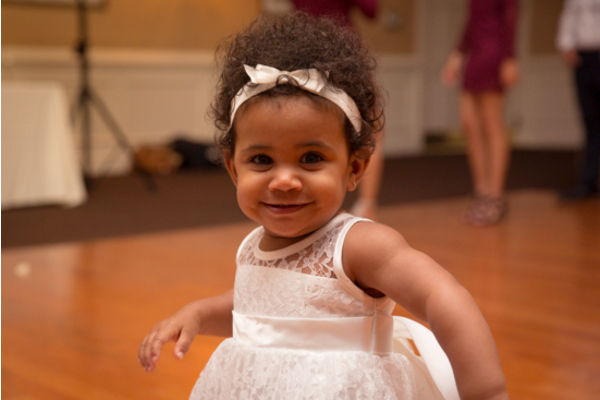 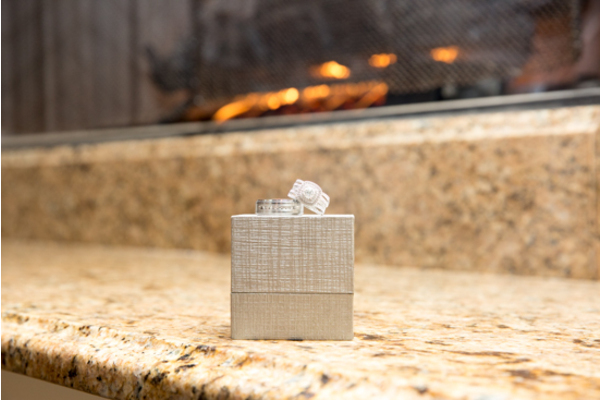 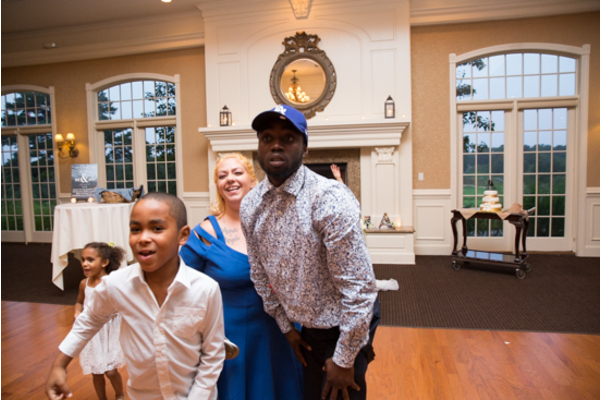 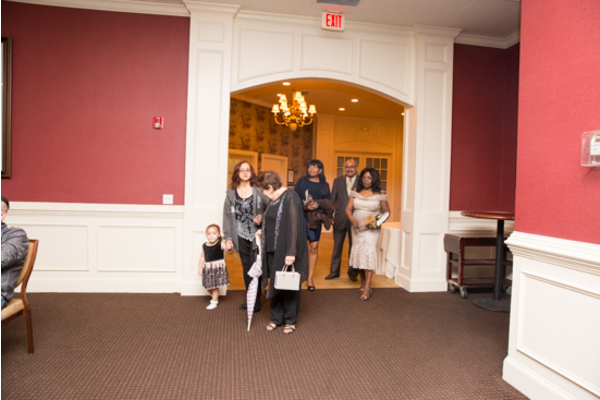 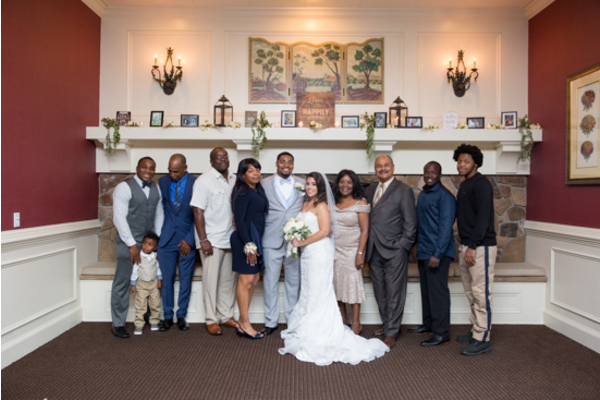 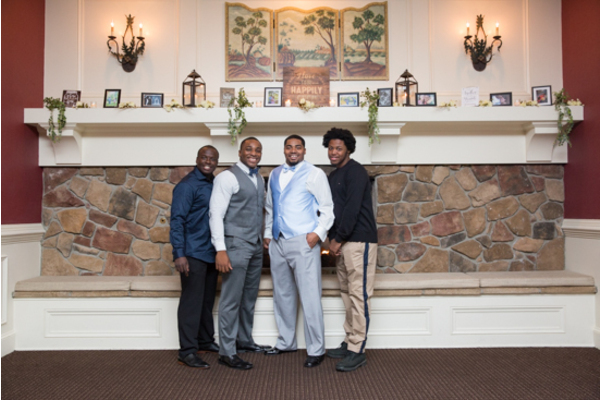 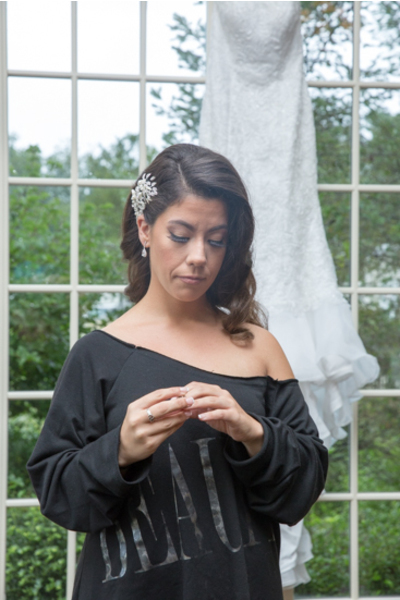 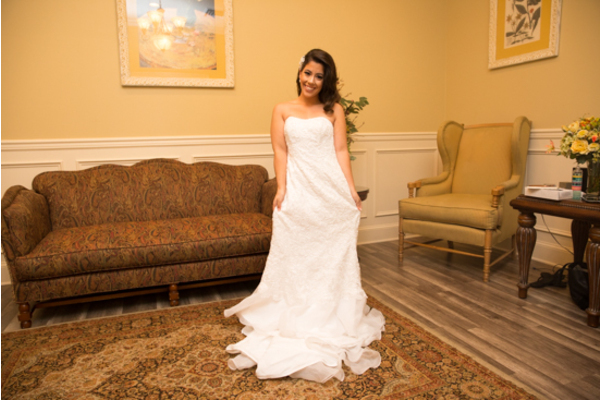 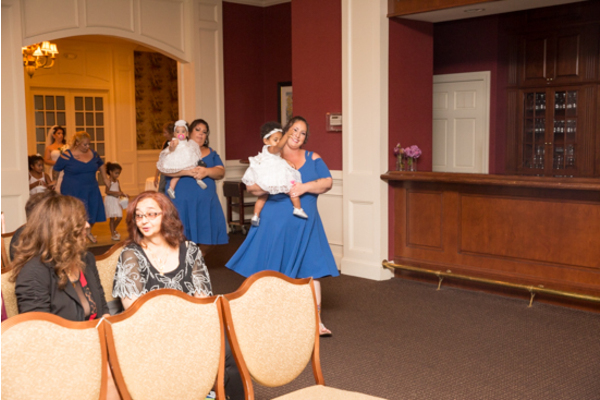 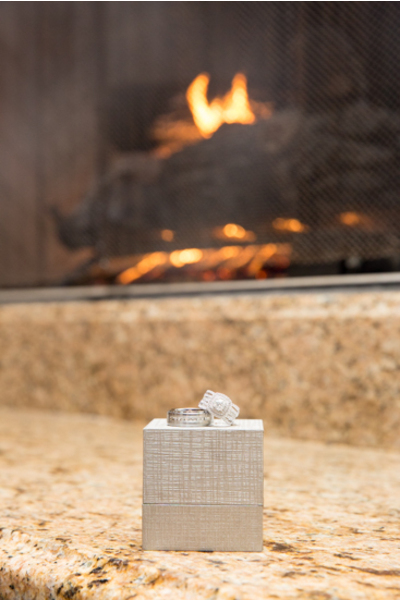 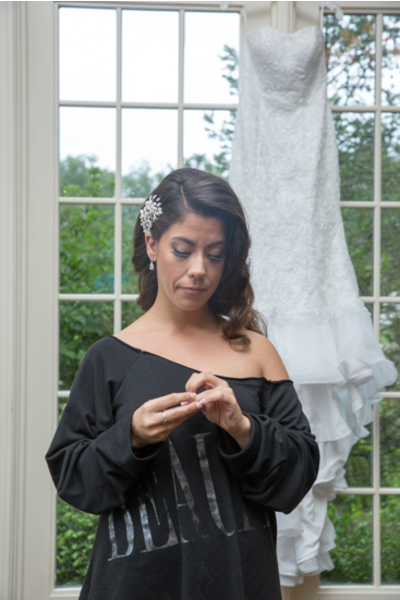 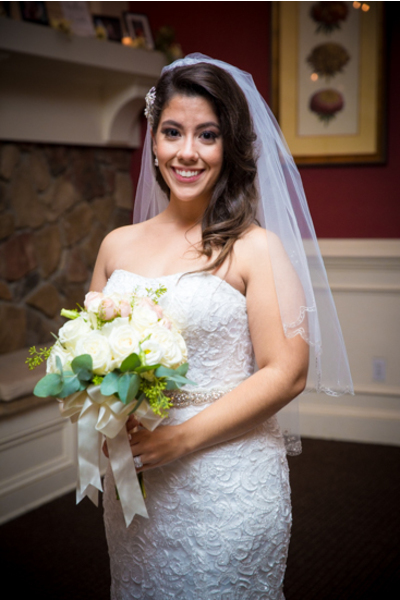 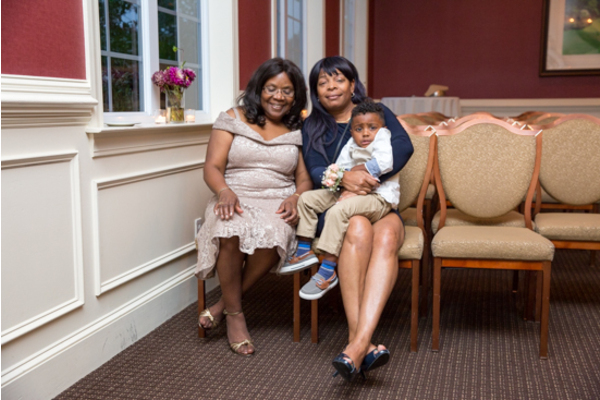 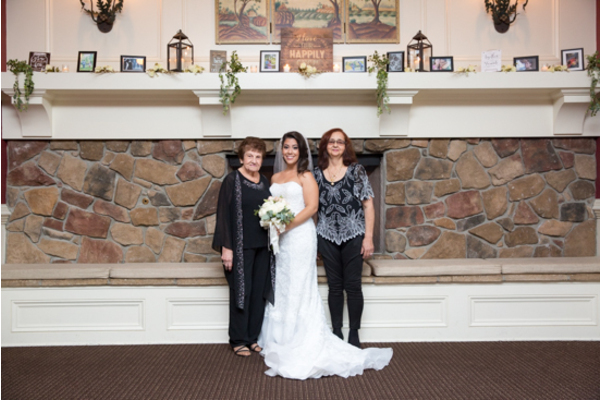 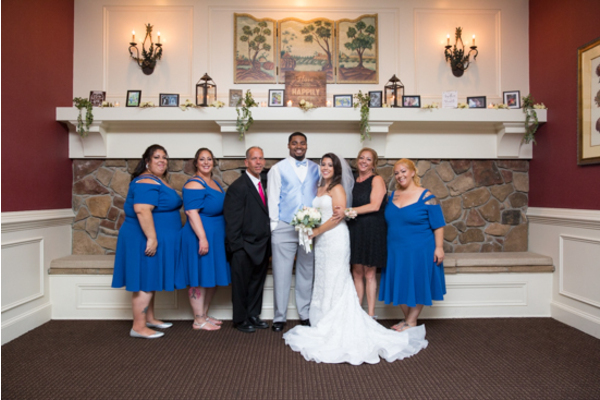 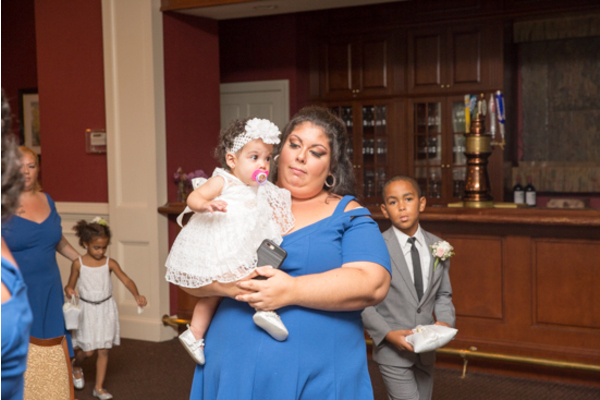 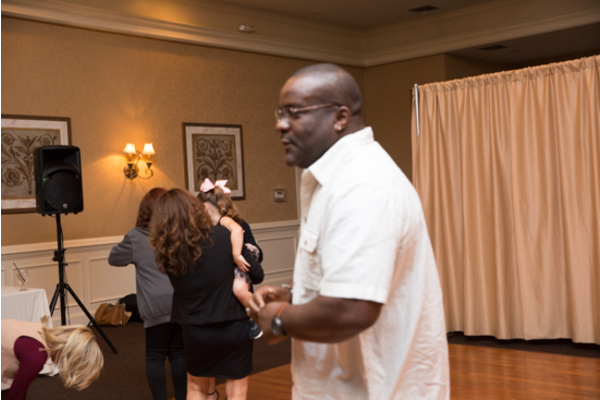 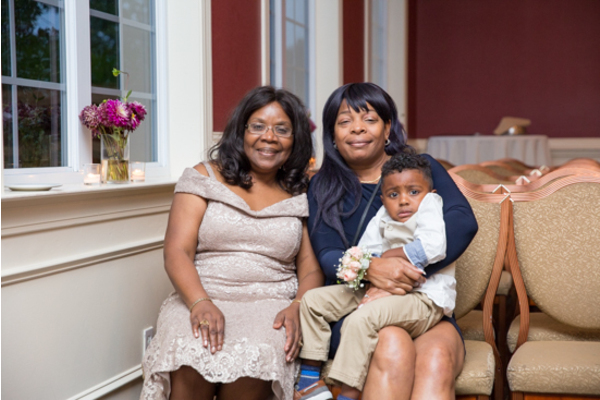 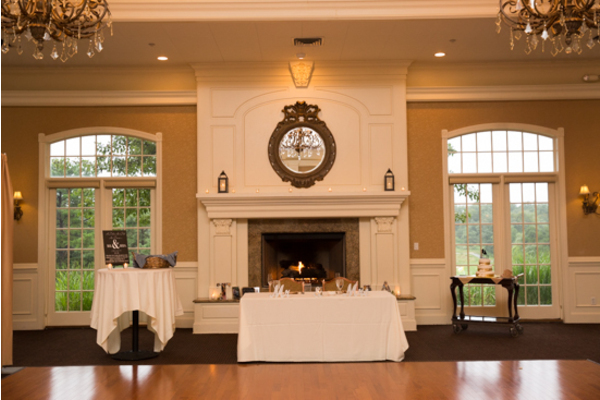 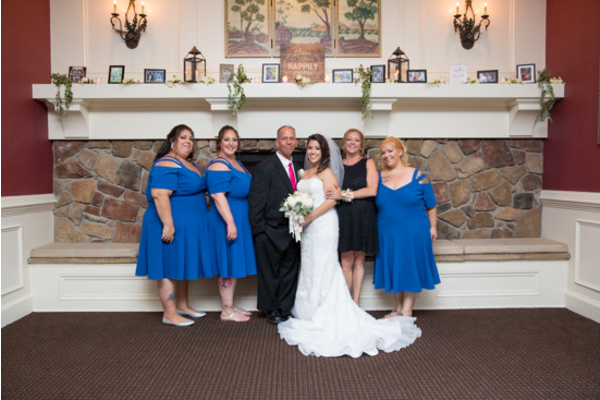 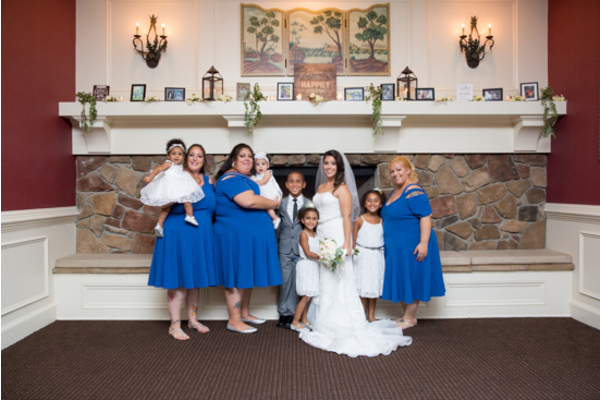 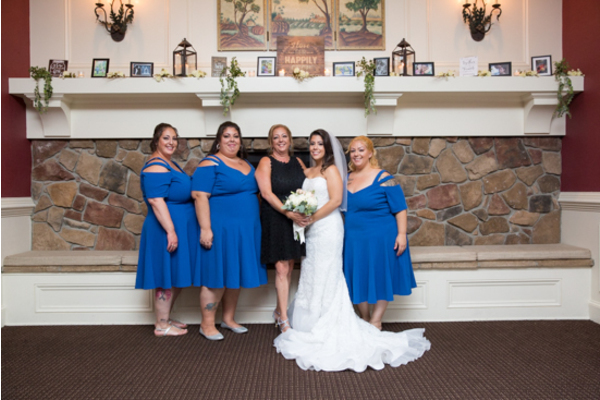 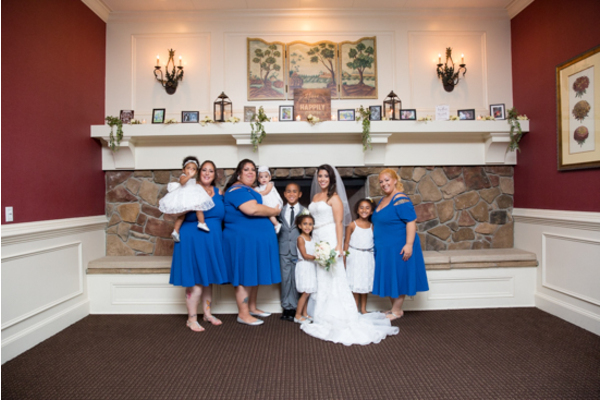 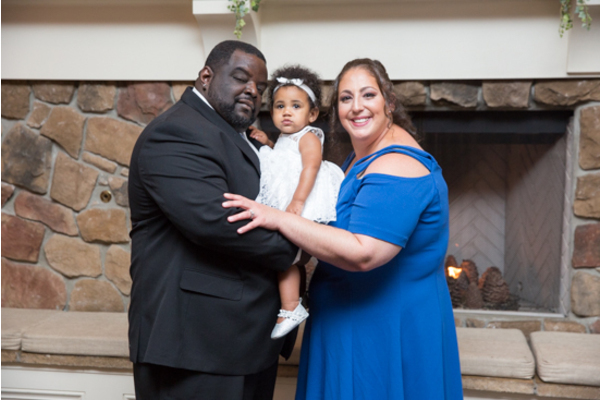 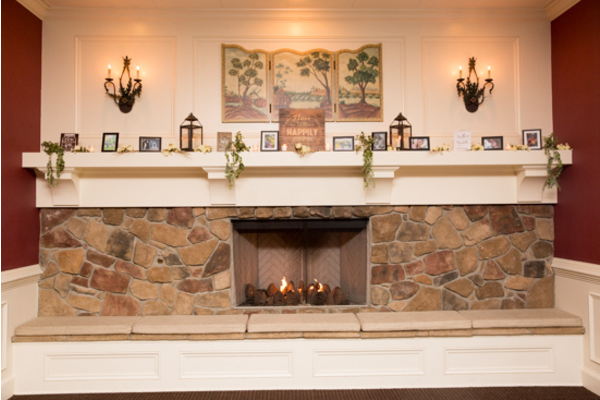 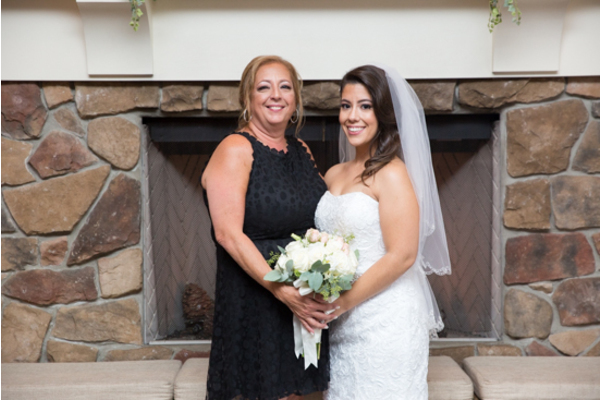 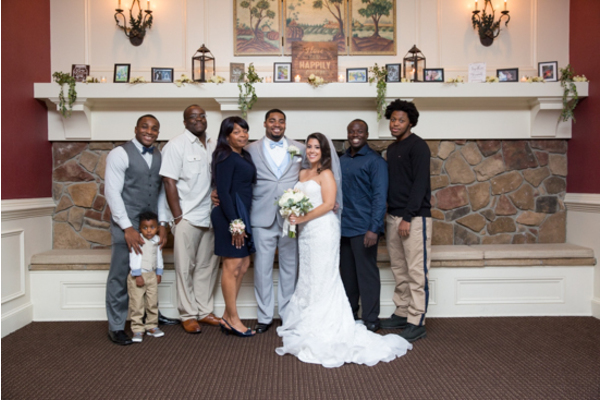 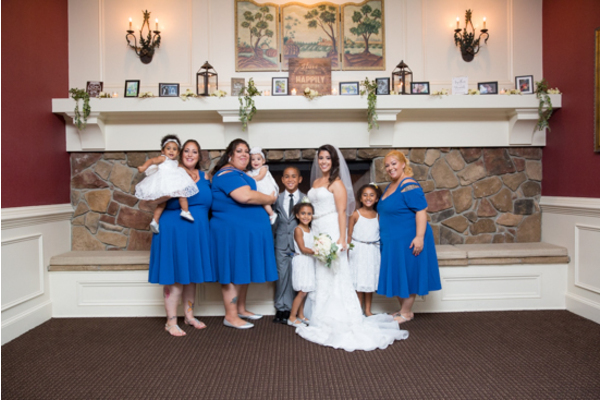 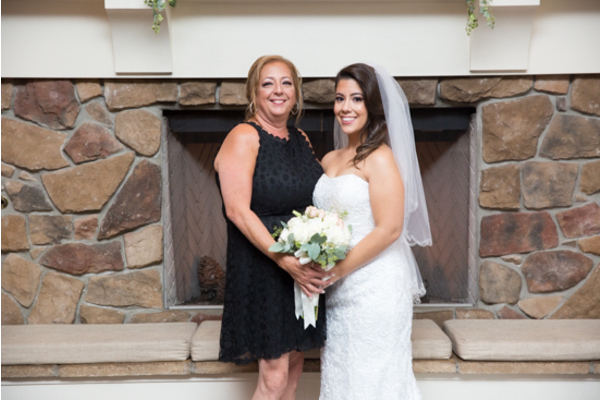 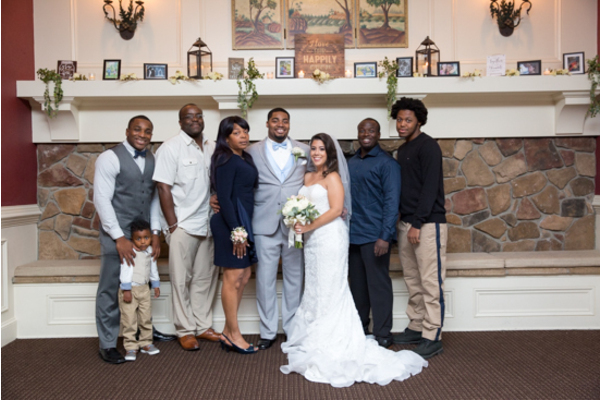 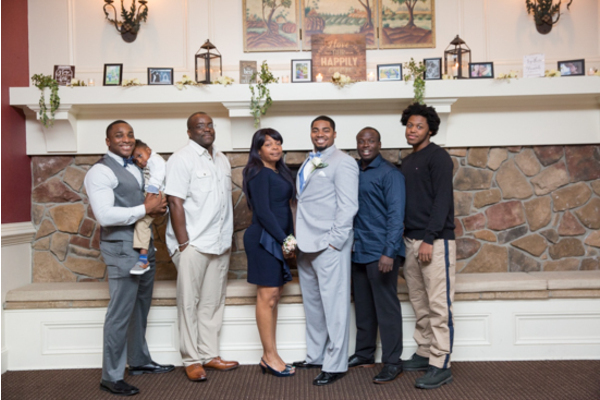 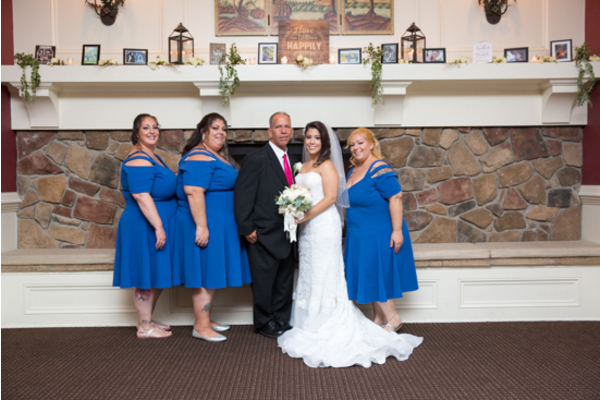 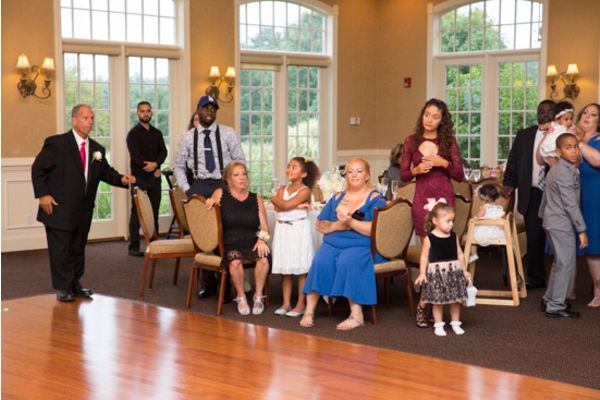 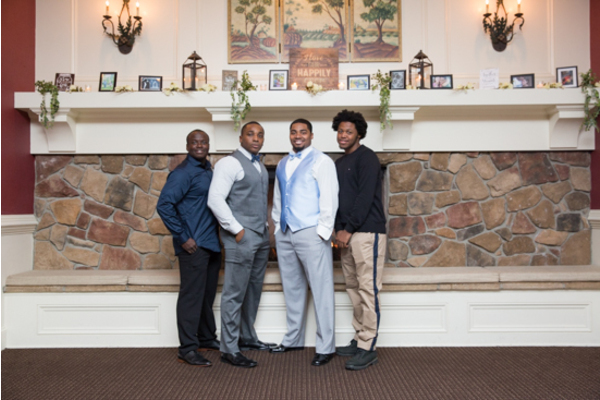 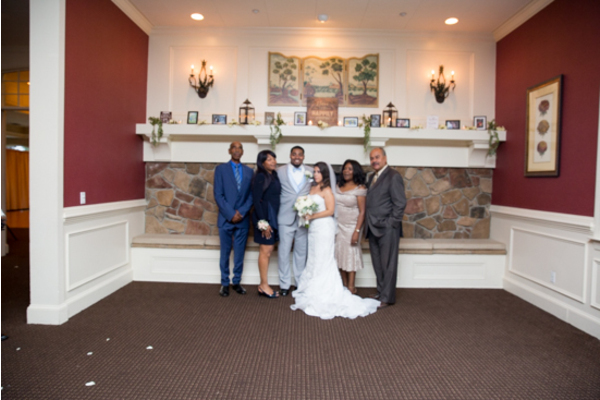 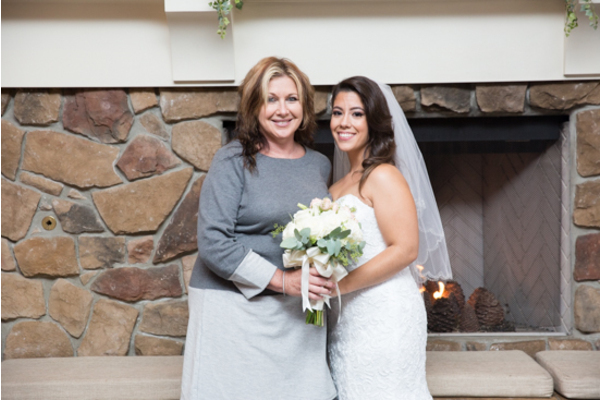 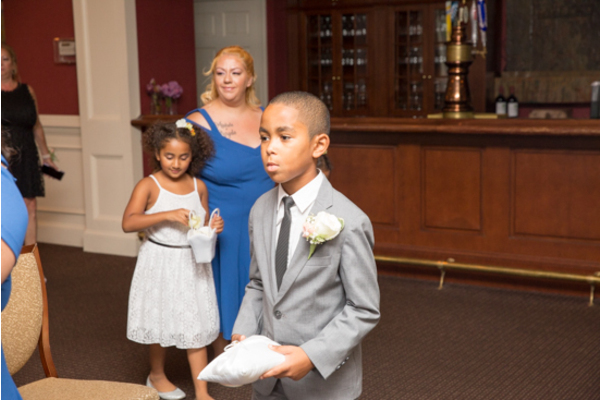 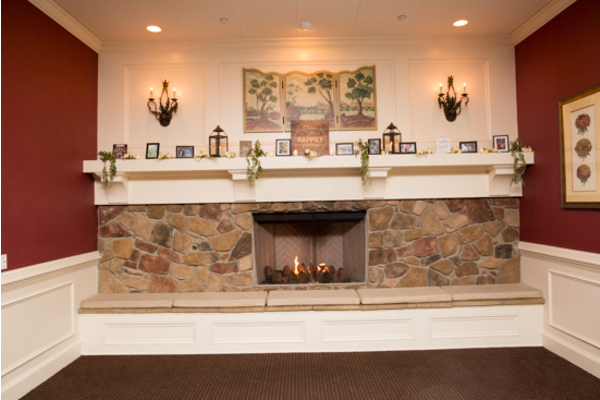 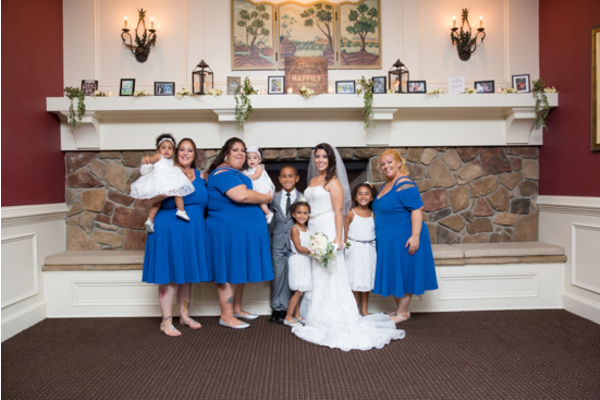 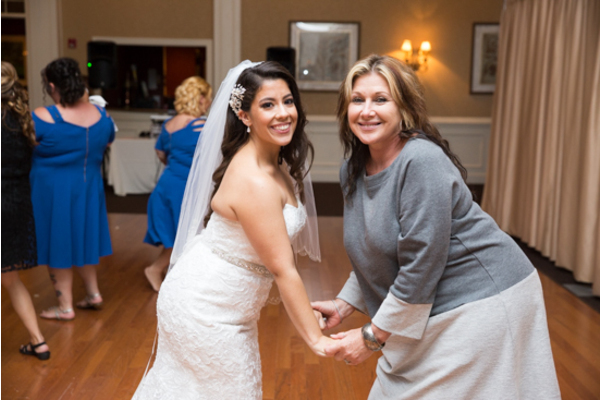 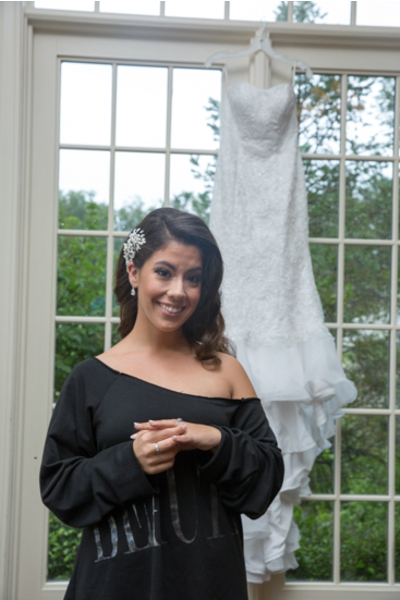 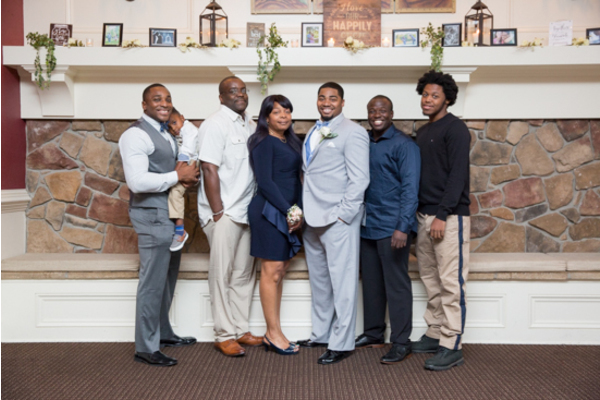 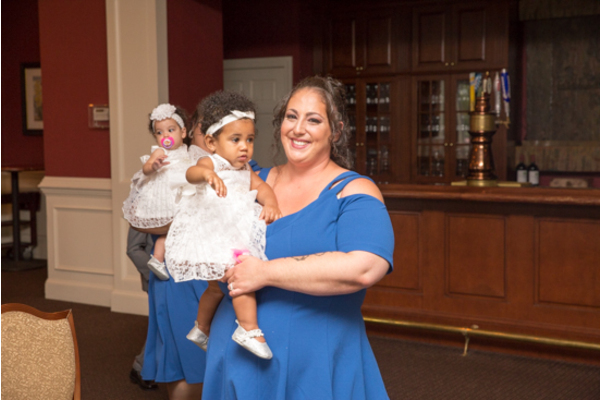 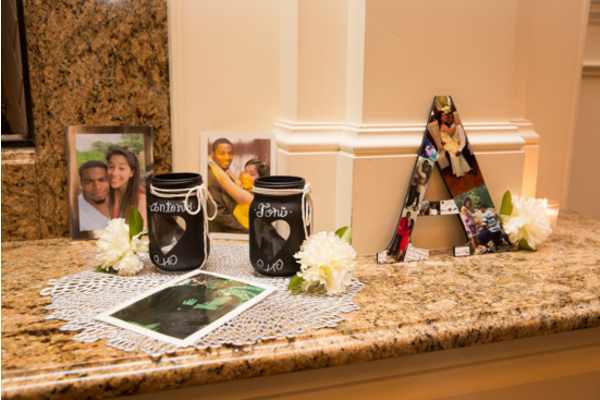 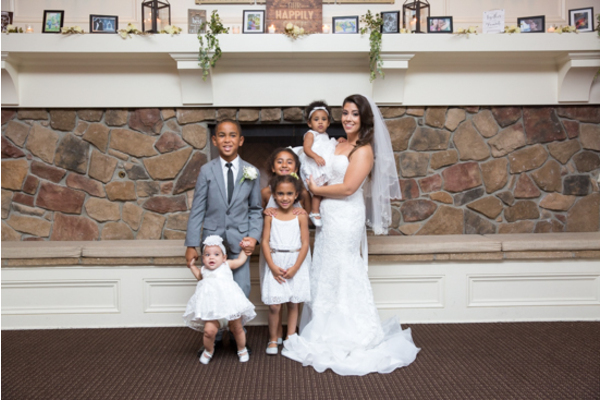 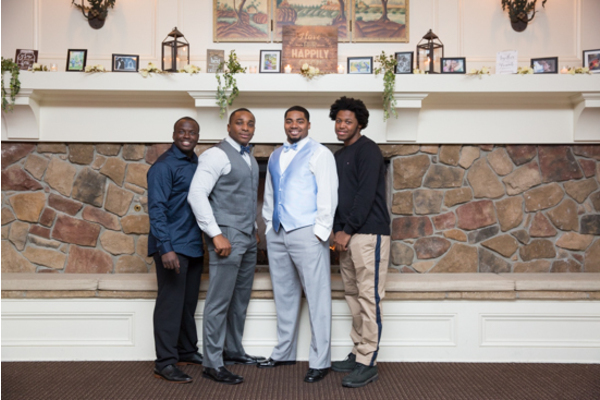 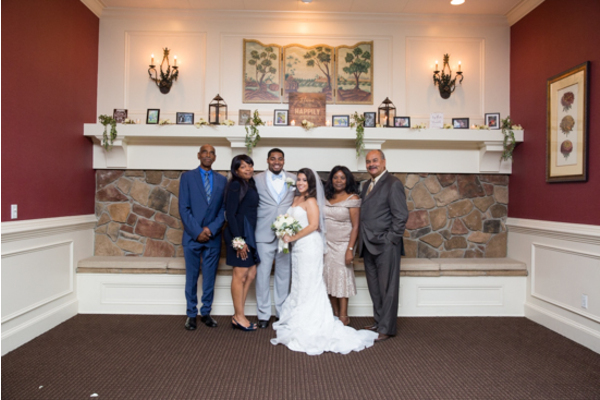 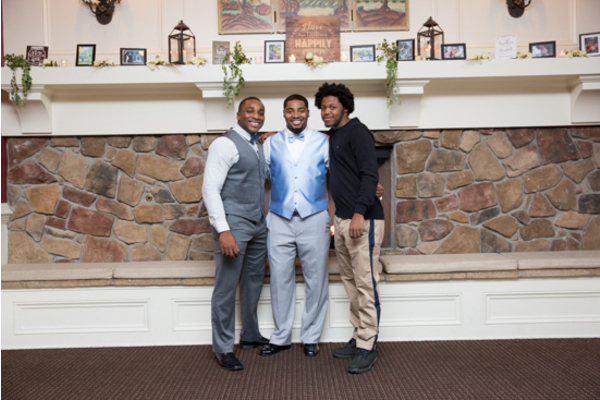 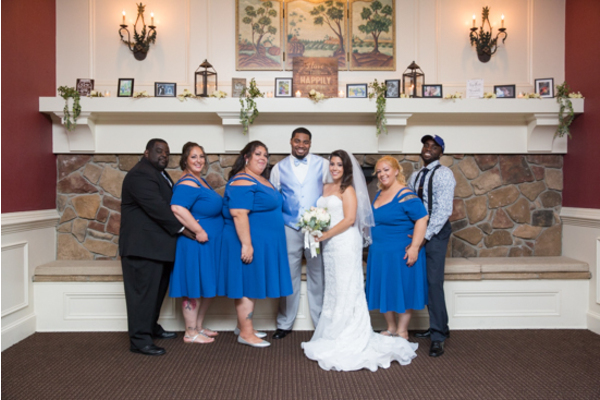 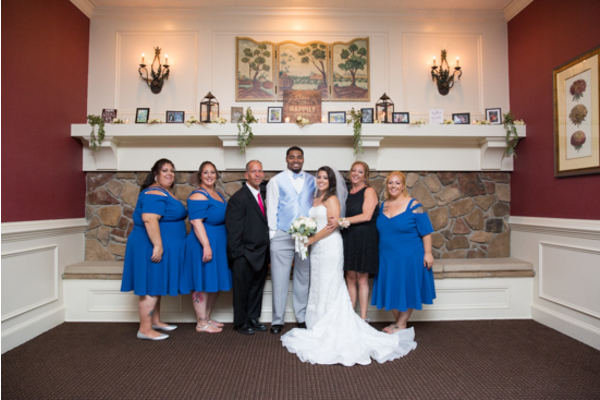 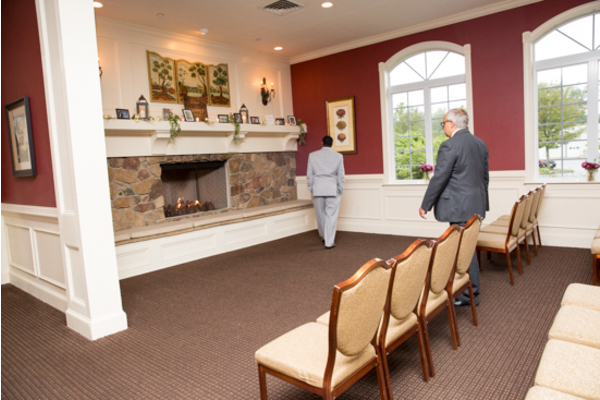 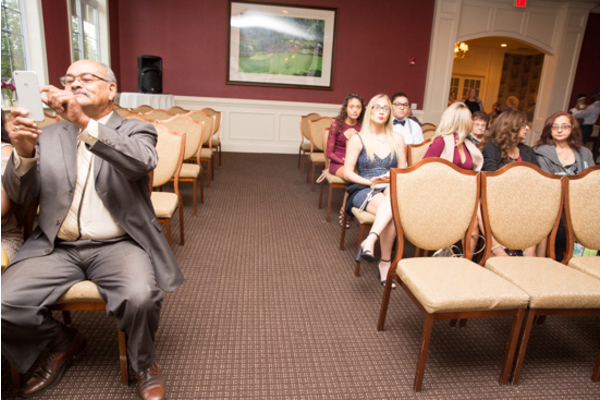 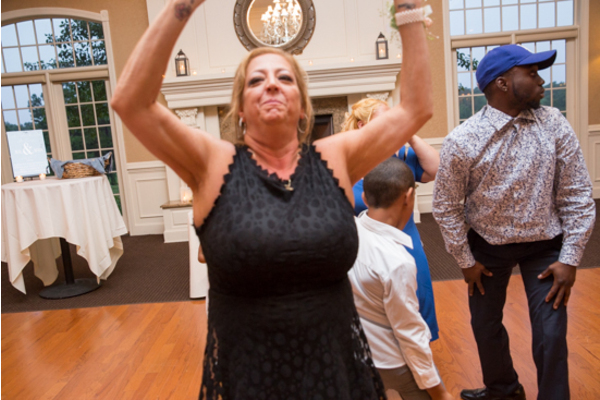 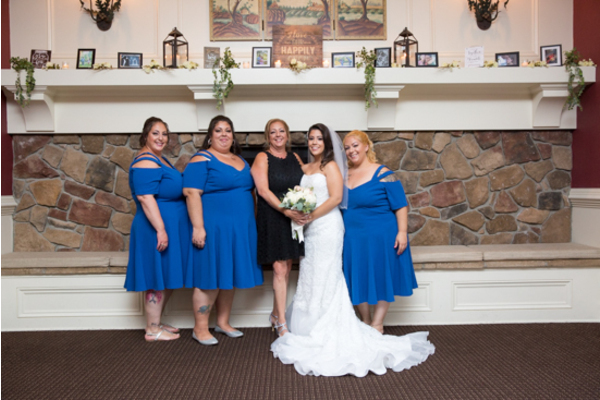 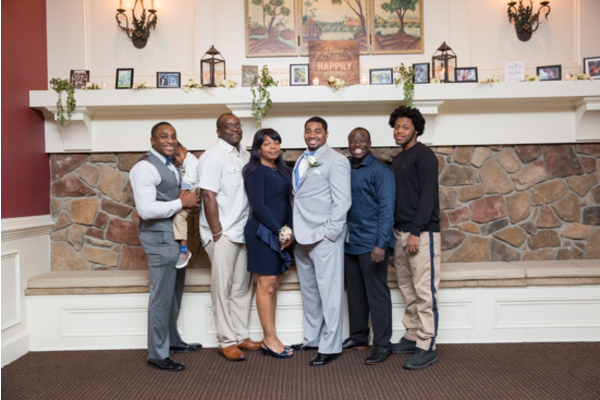 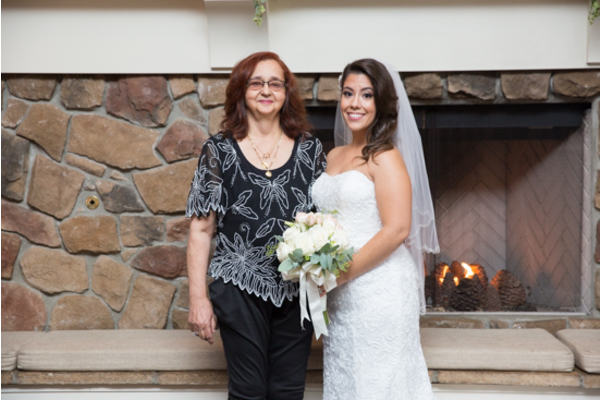 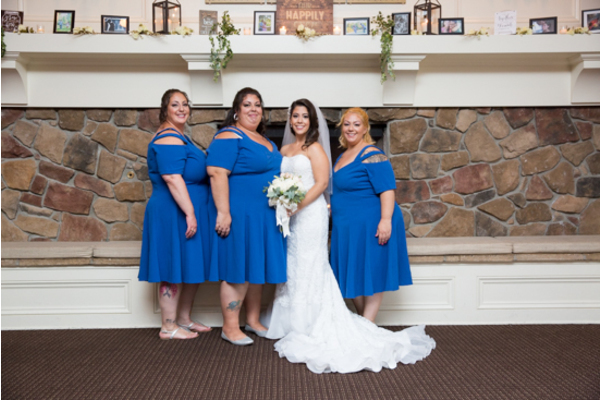 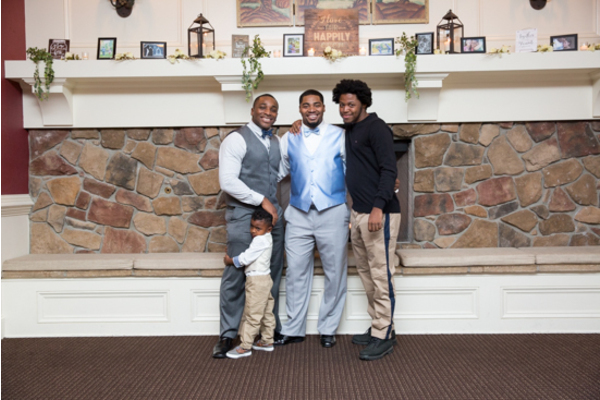 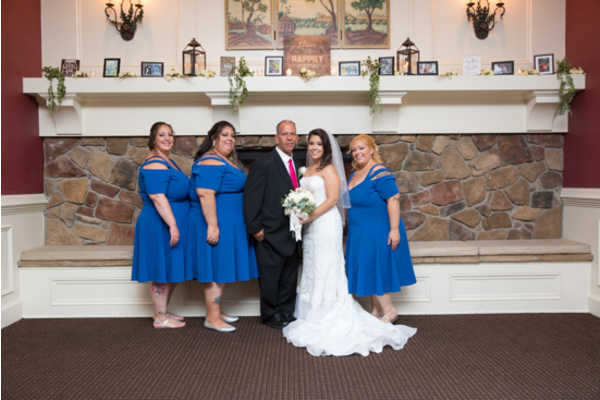 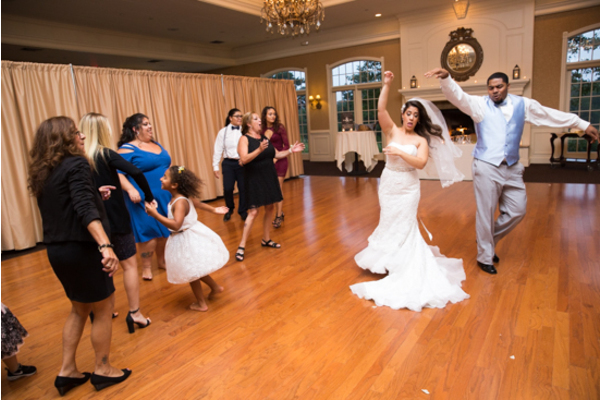 Our NJ Wedding Photographer then took photos of the bridal party and family in front of the fireplace, and then it was time to party! 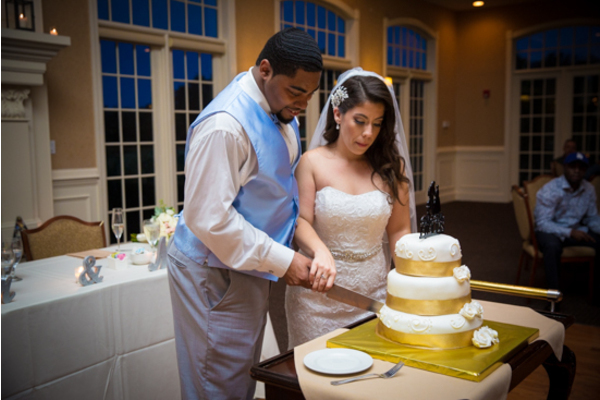 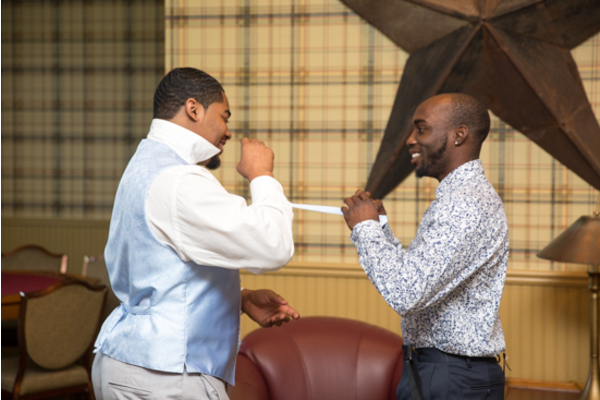 Guests enjoyed the cake cutting as these two fed each other their first bites. 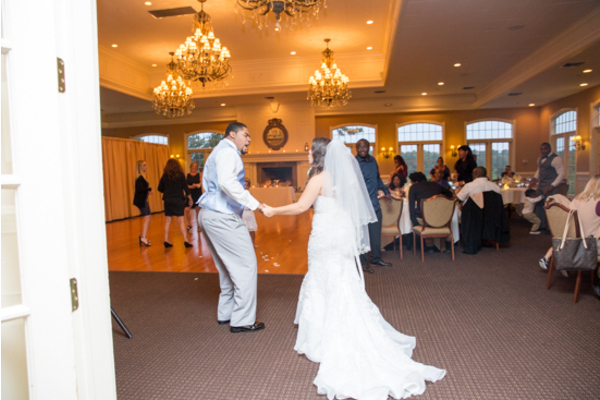 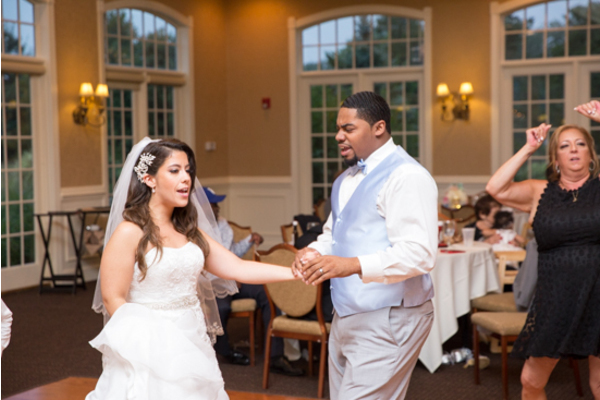 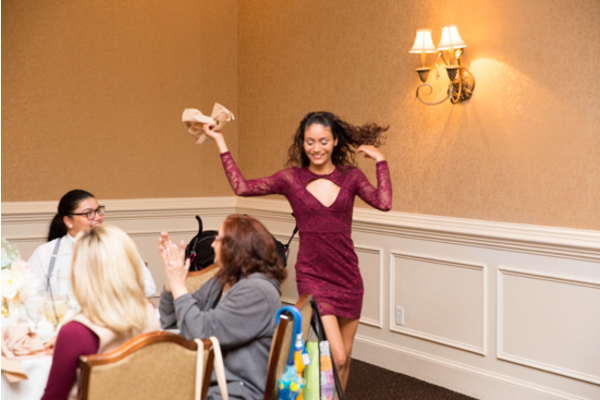 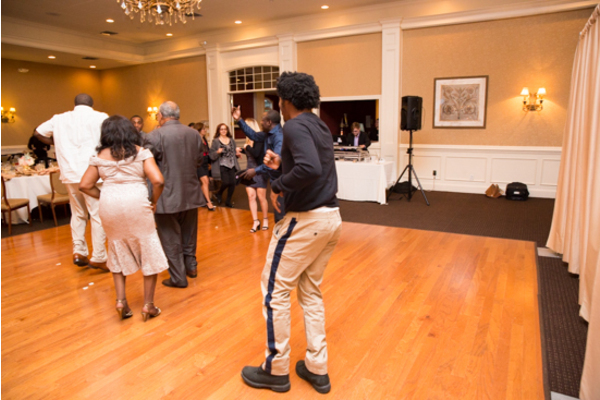 Everyone danced the night away and were so excited to have been apart of the celebrations! 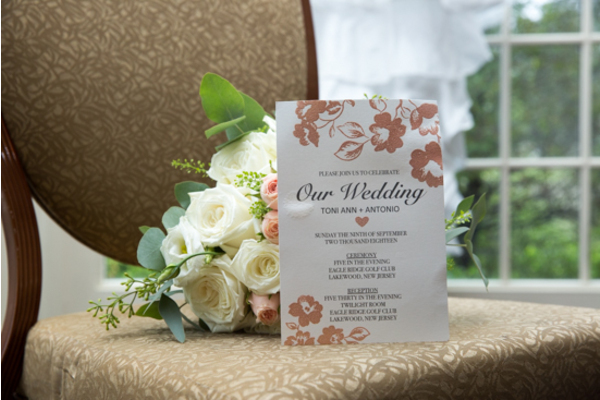 Congratulations, again, to Toni Ann and Antonio! 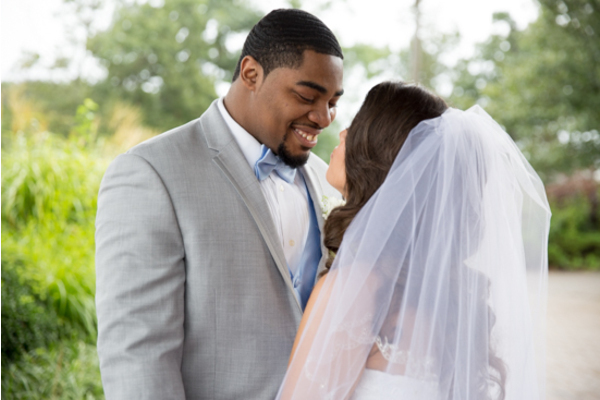 We wish you a lifetime of love, happiness, and success.